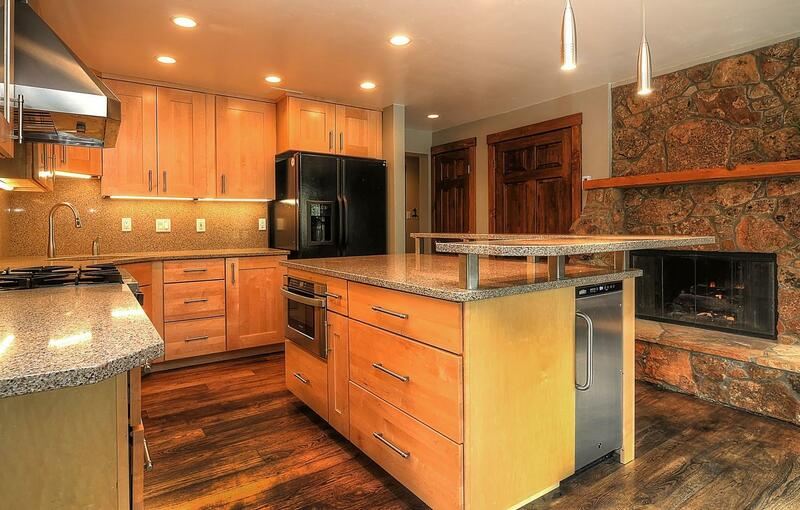 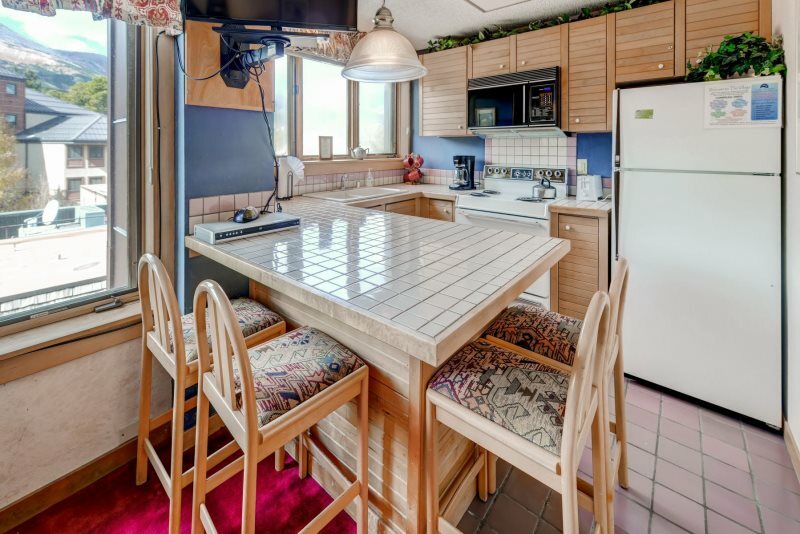 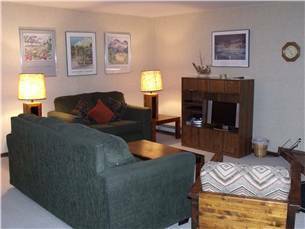 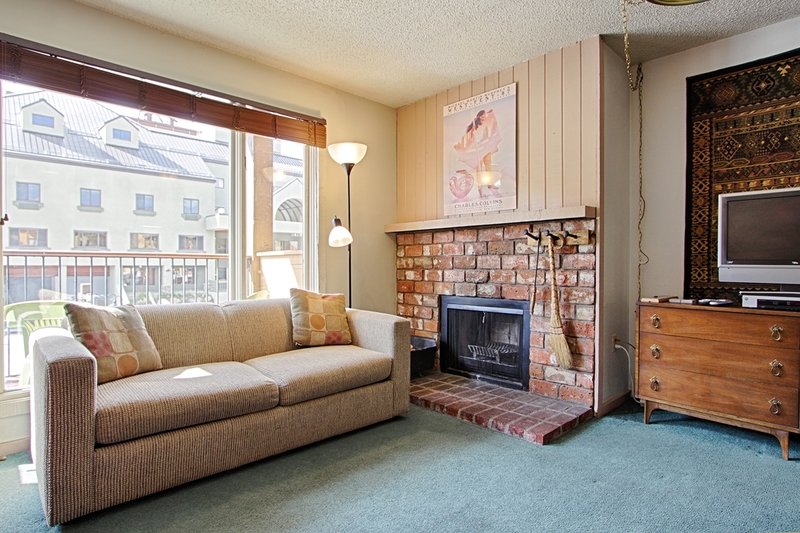 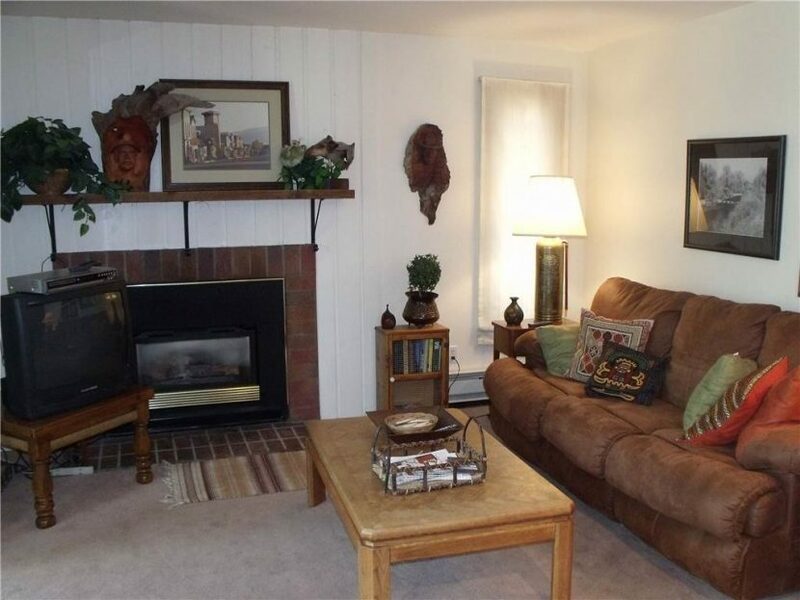 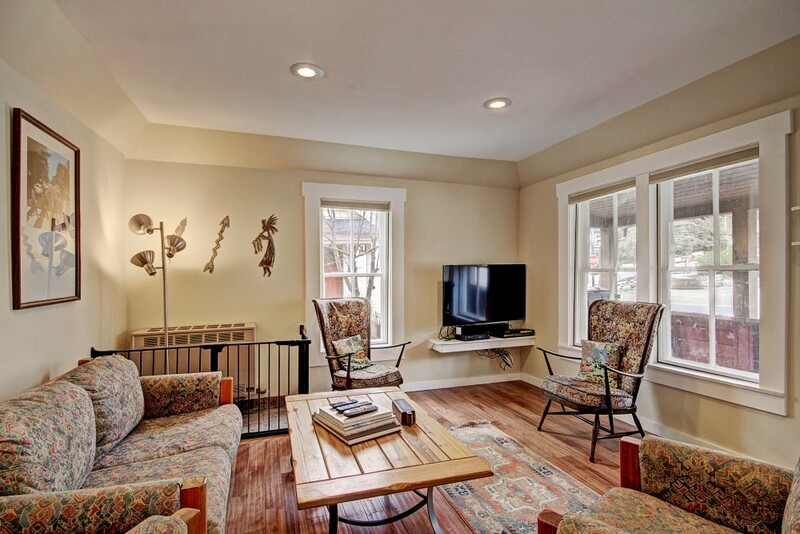 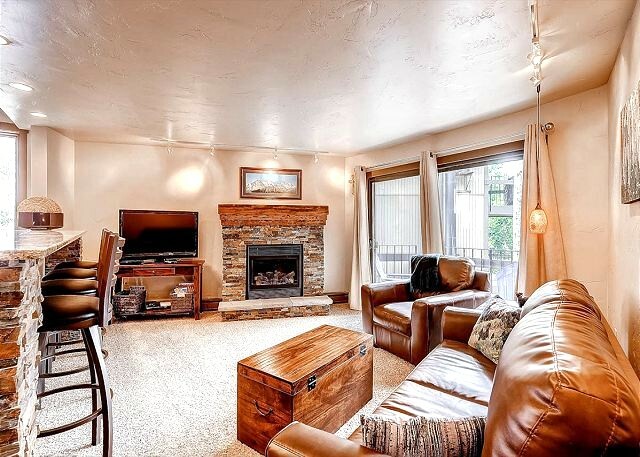 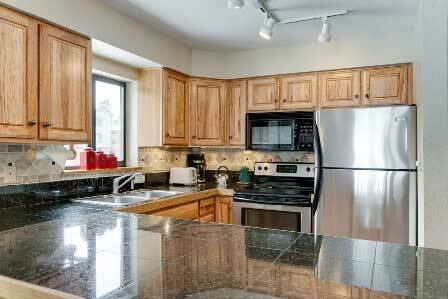 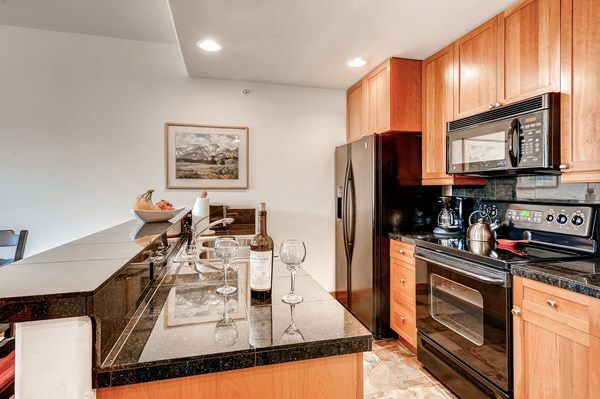 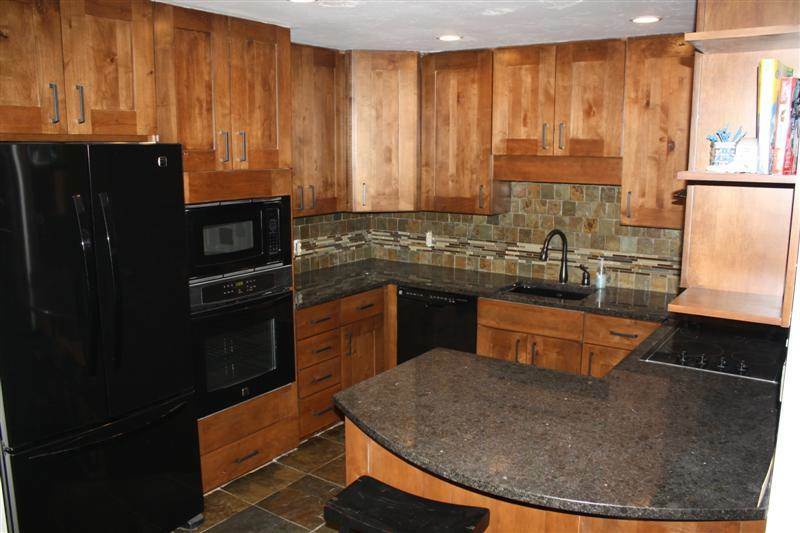 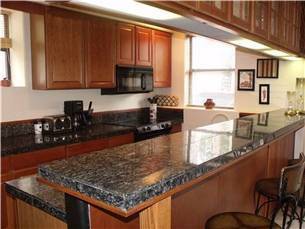 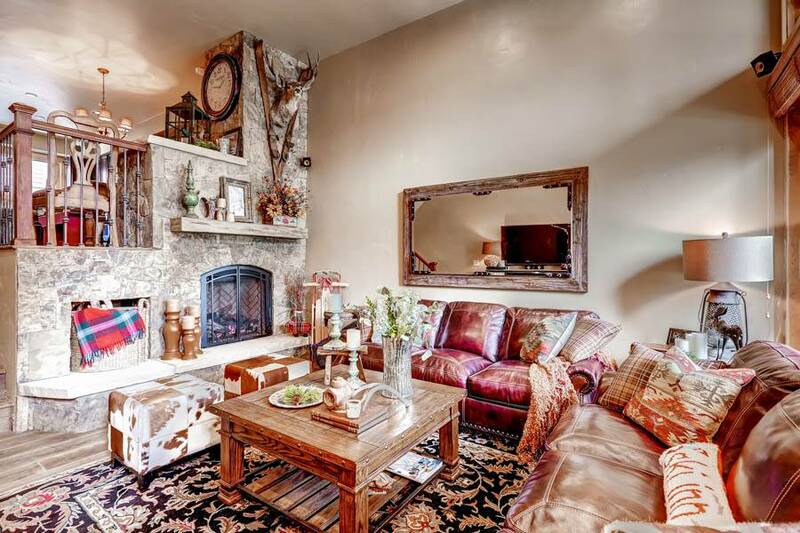 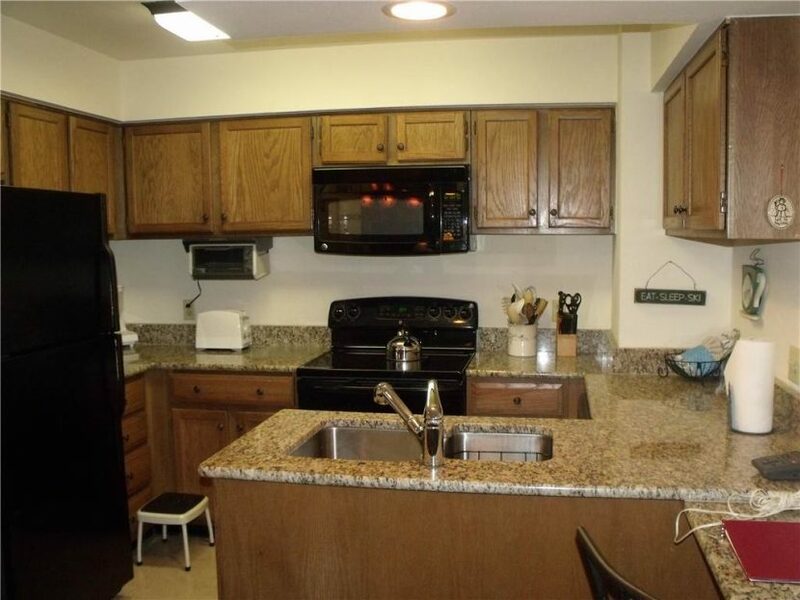 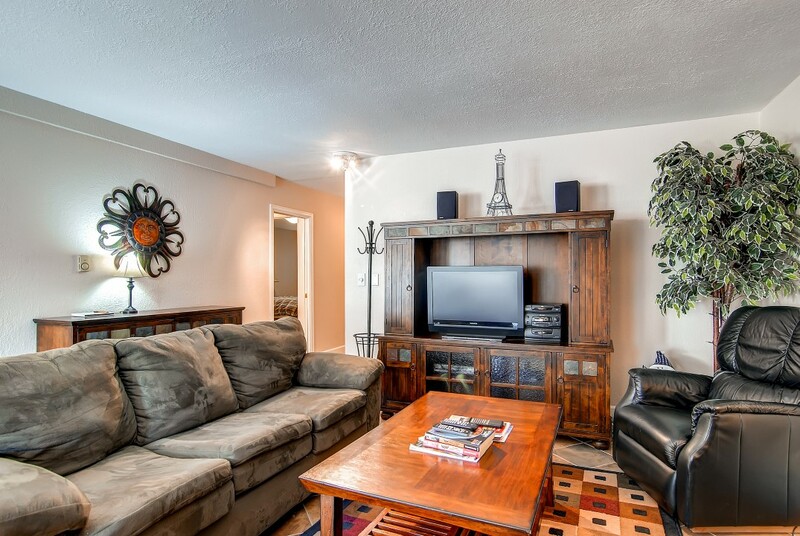 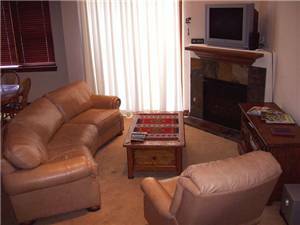 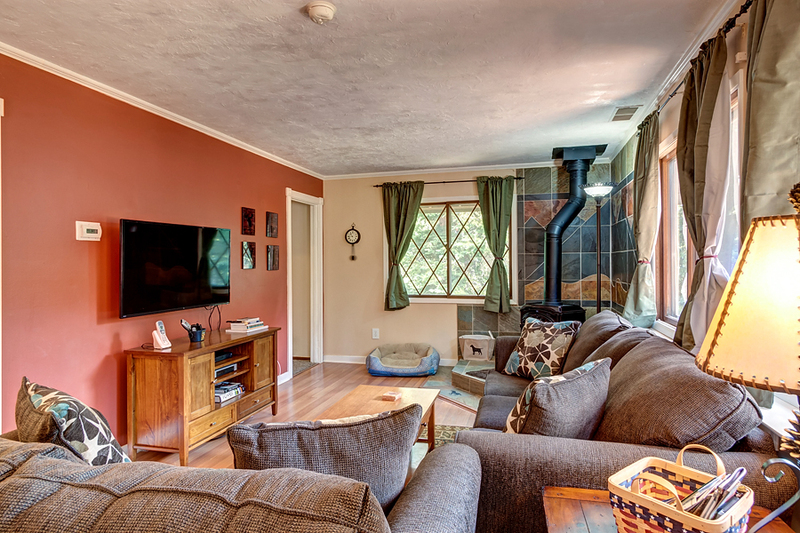 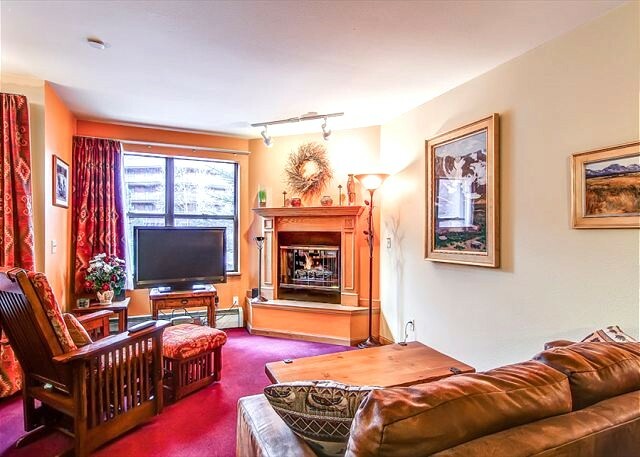 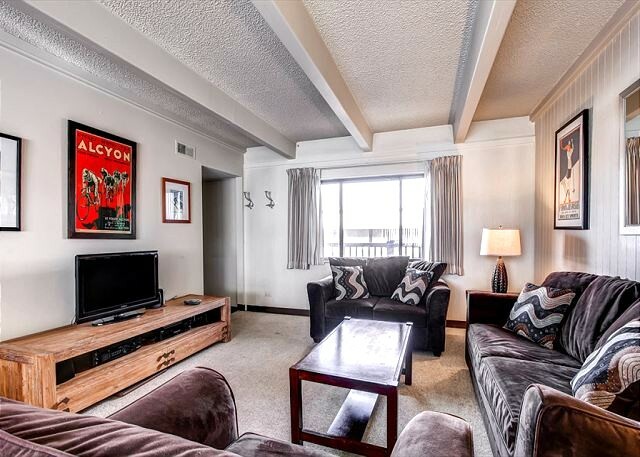 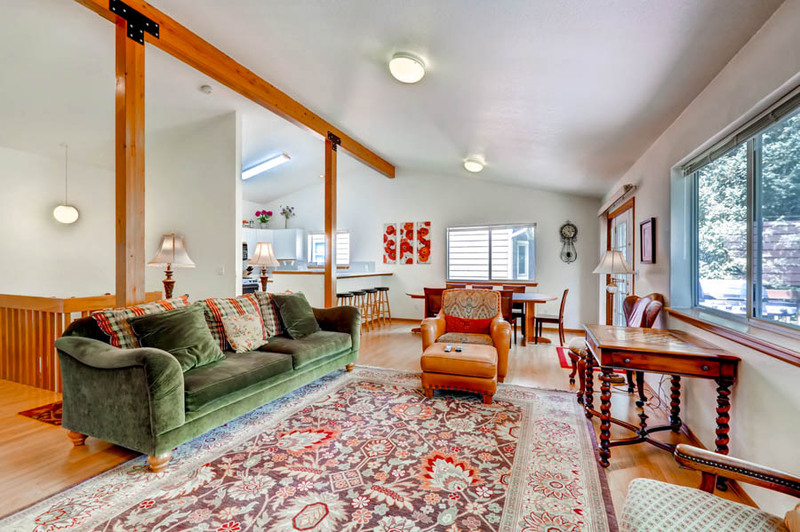 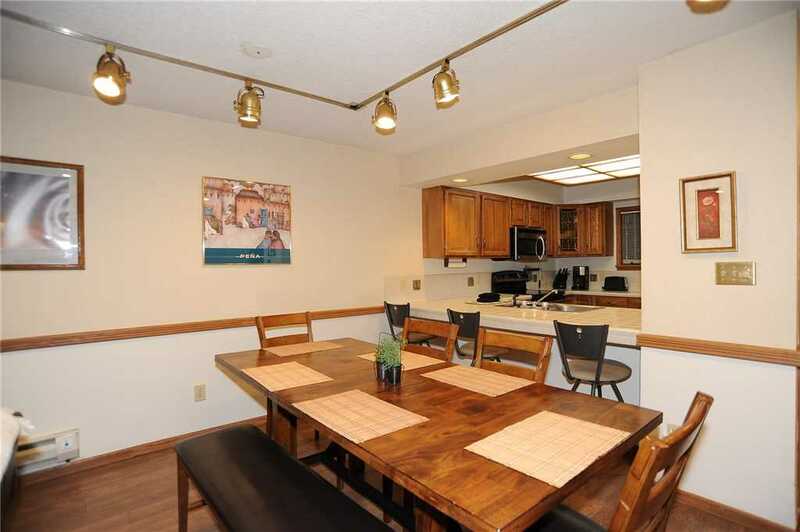 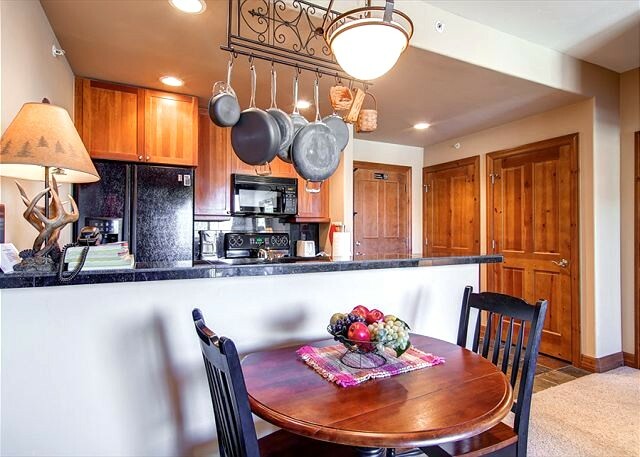 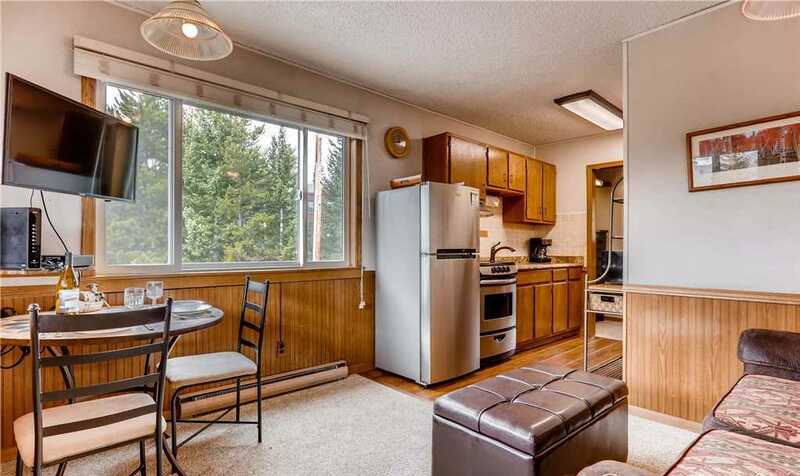 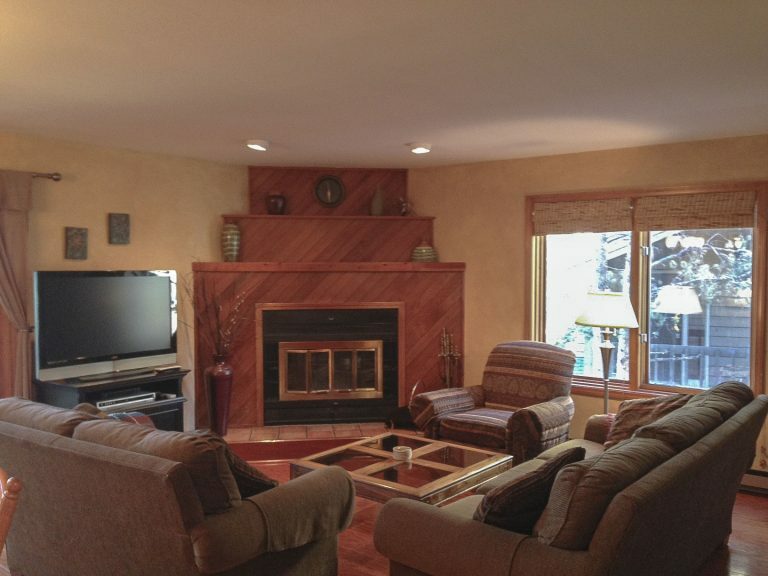 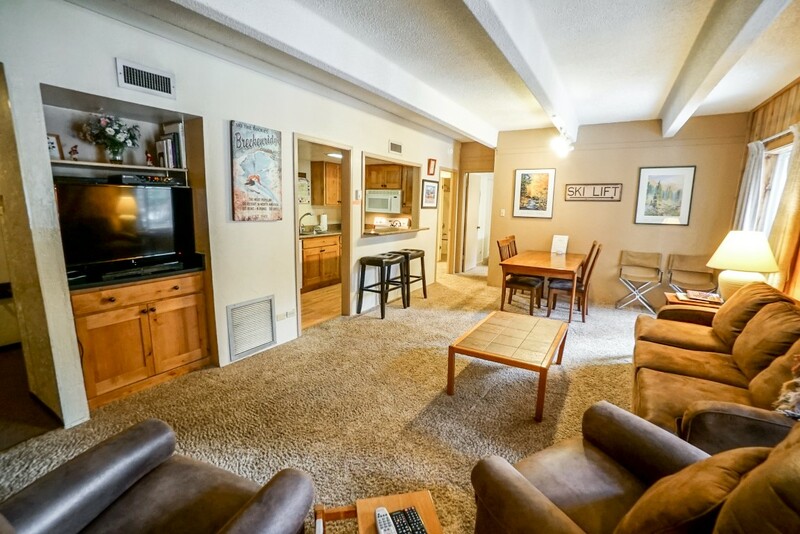 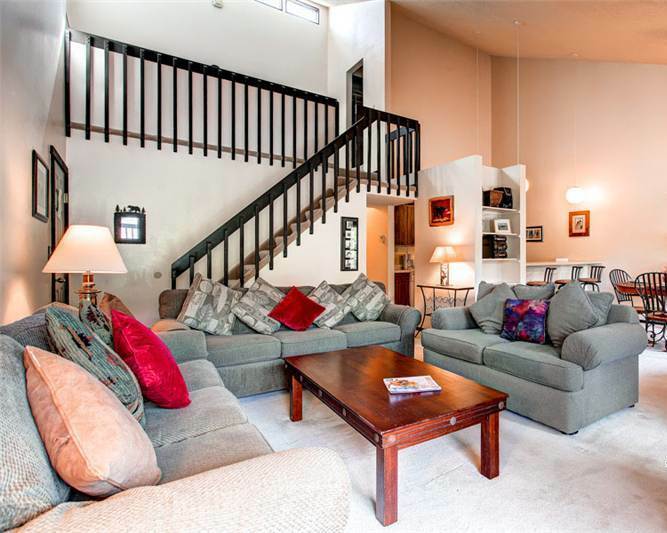 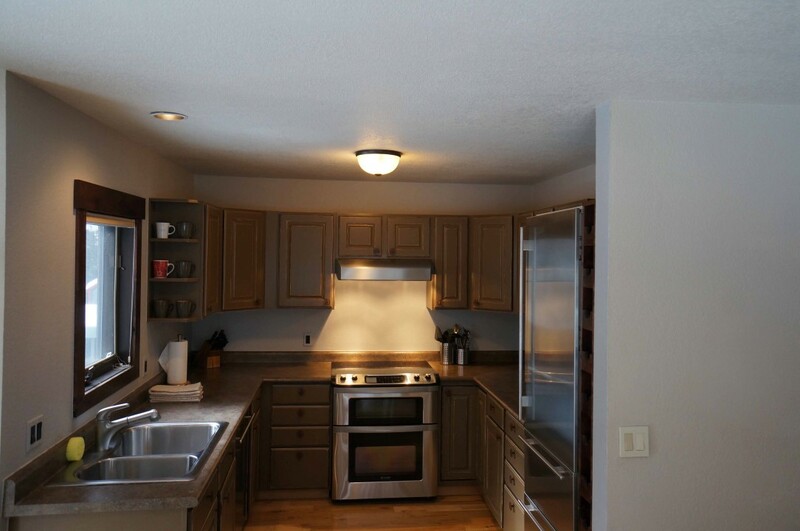 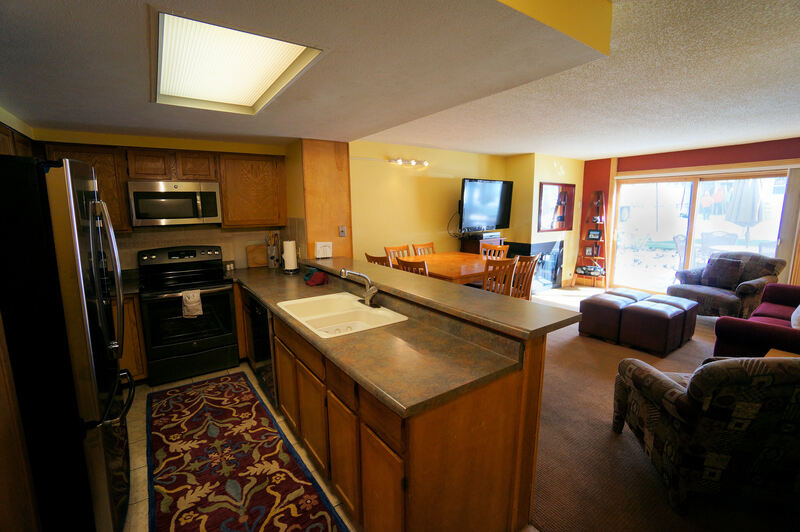 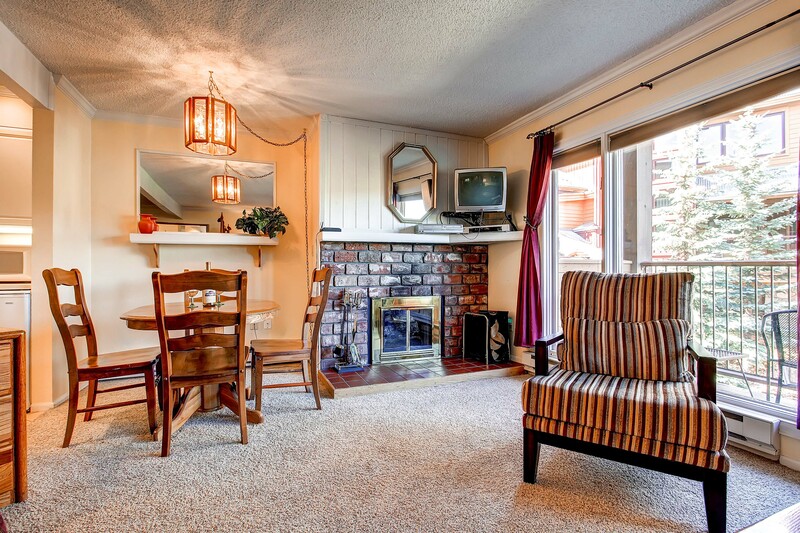 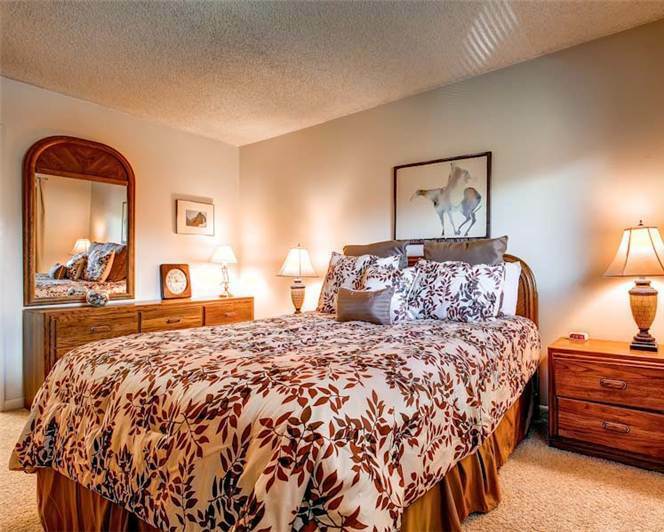 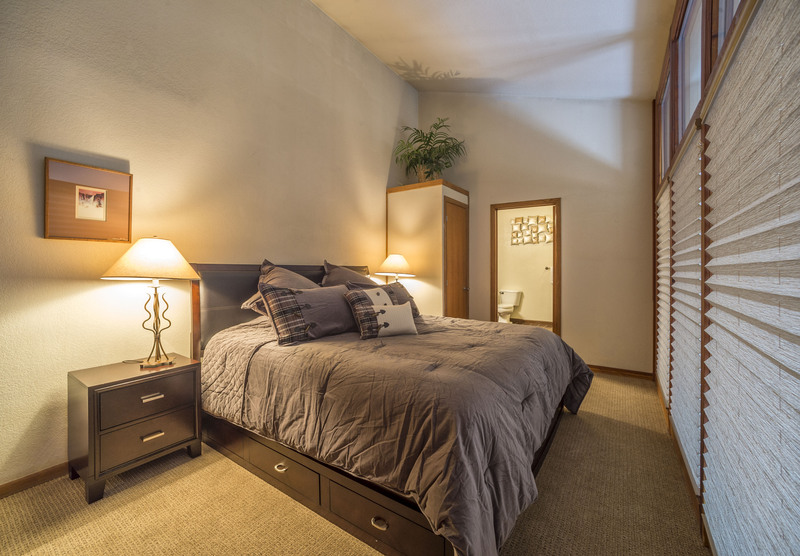 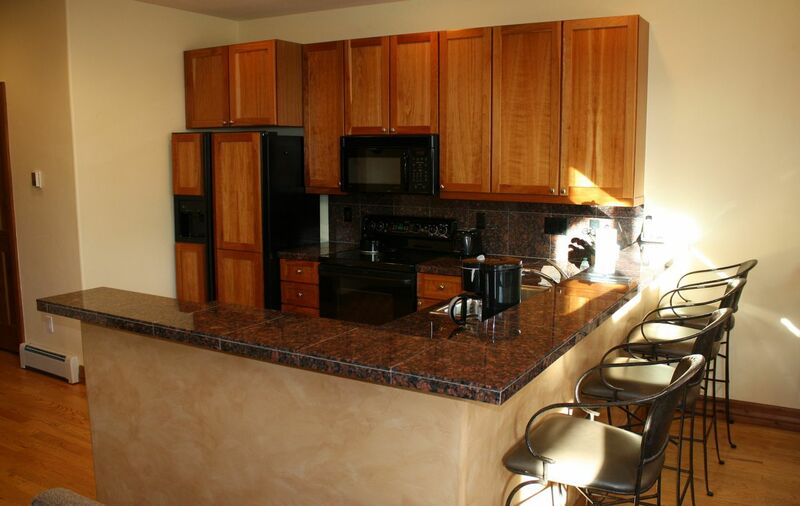 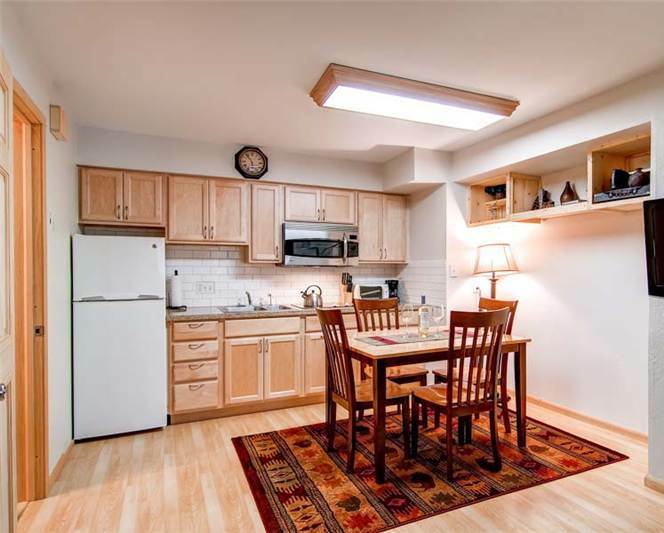 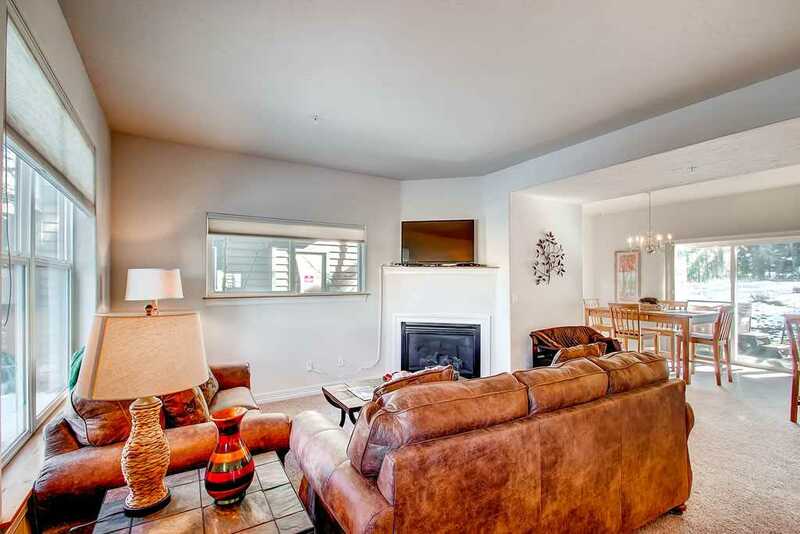 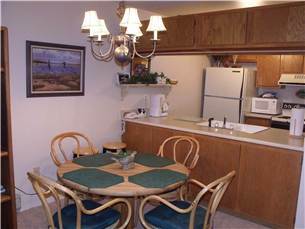 This completely remodeled, second floor, one bedroom unit is a true home away from home. 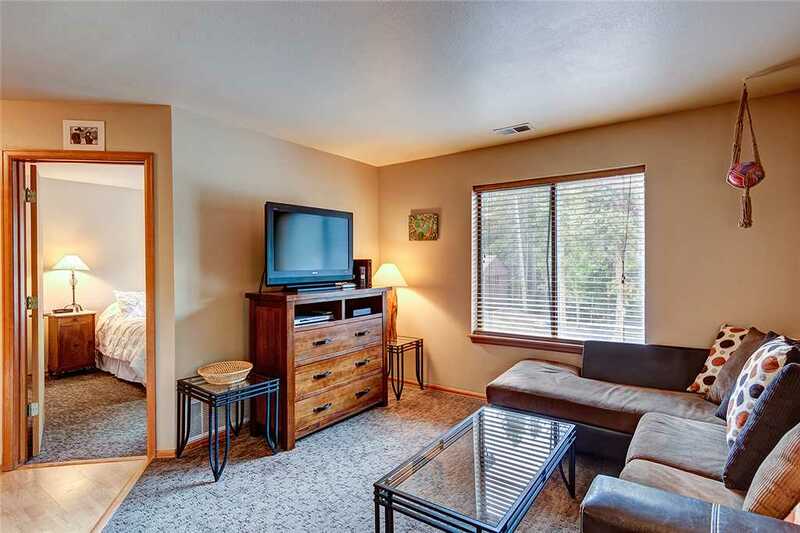 This adorable, 300 square foot unit offers a flat screen TV with cable/DVD and a luxurious leather sleeper sofa in the living room. 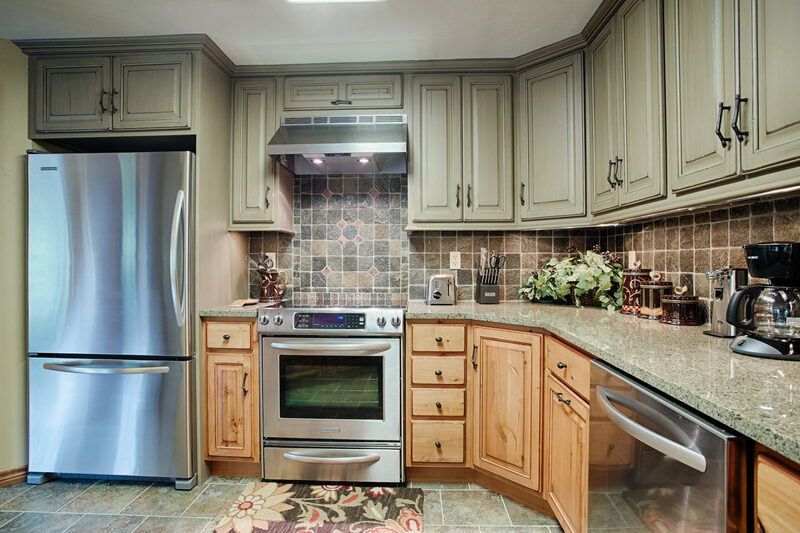 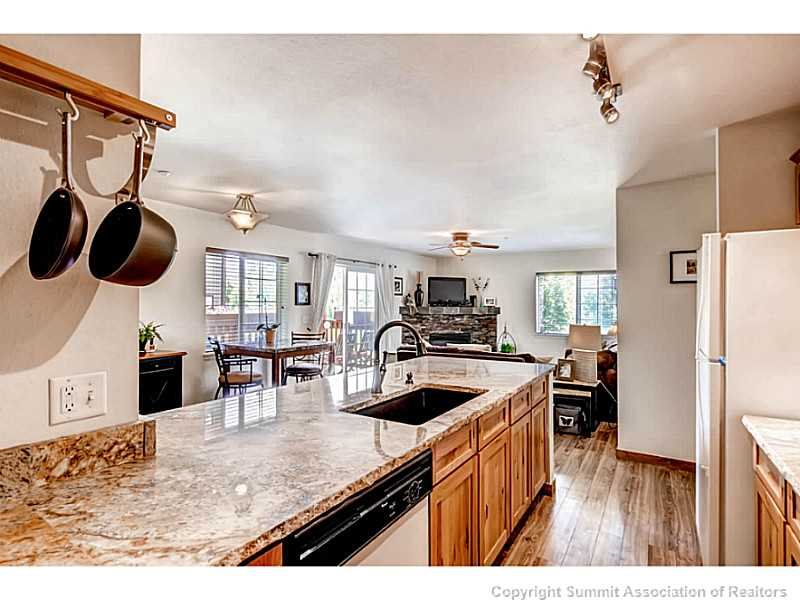 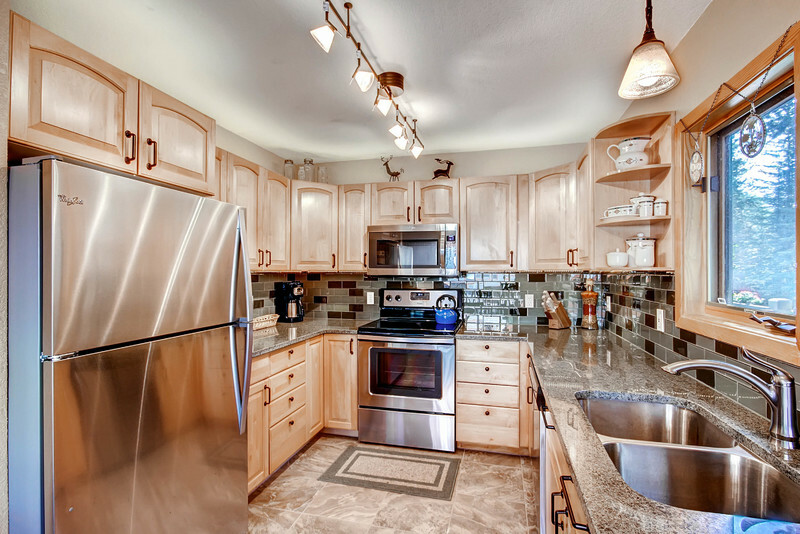 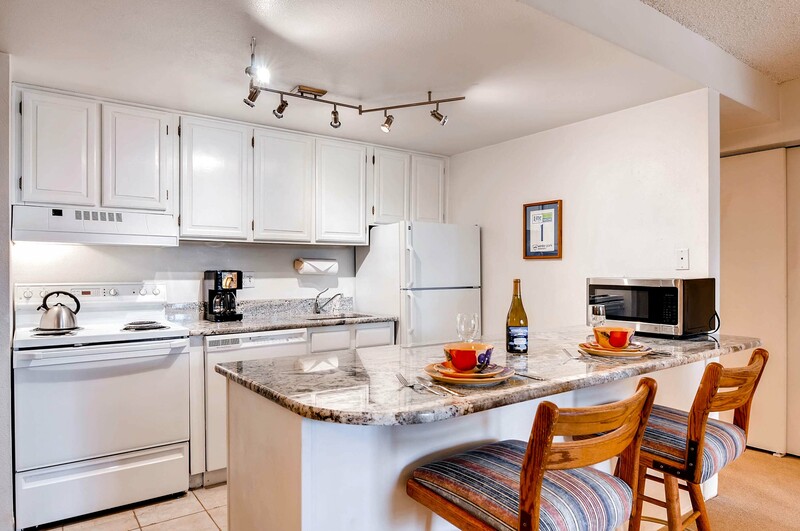 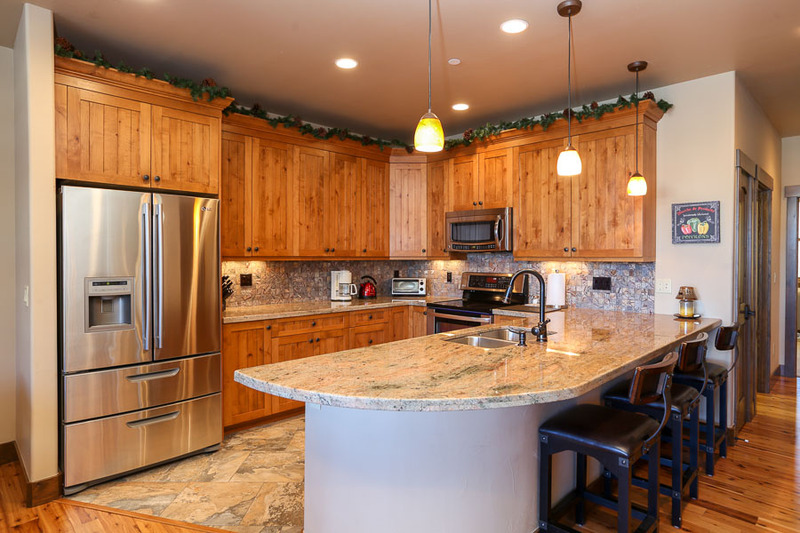 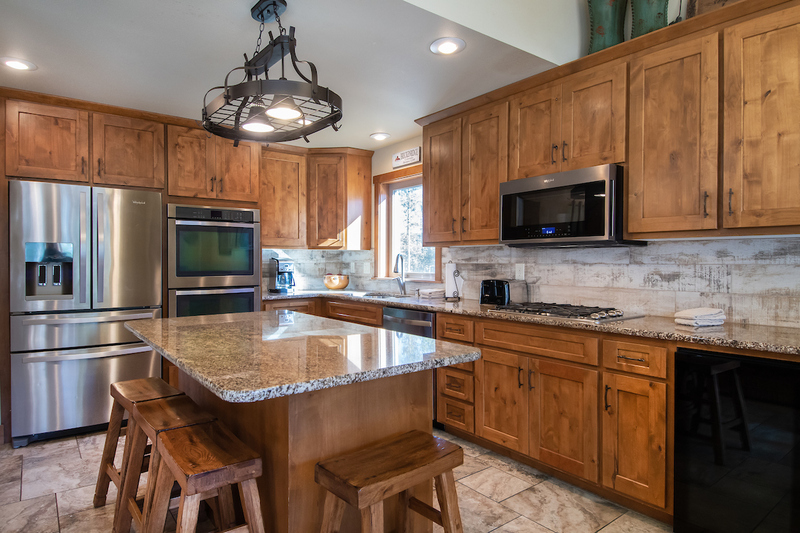 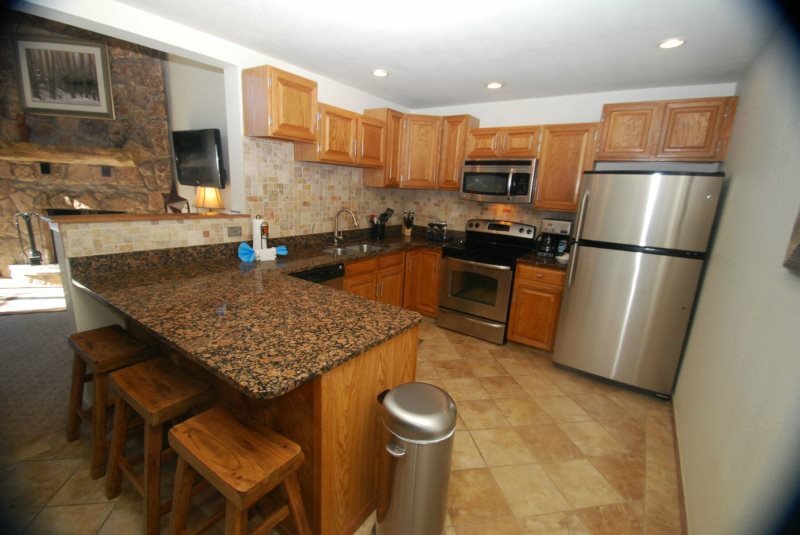 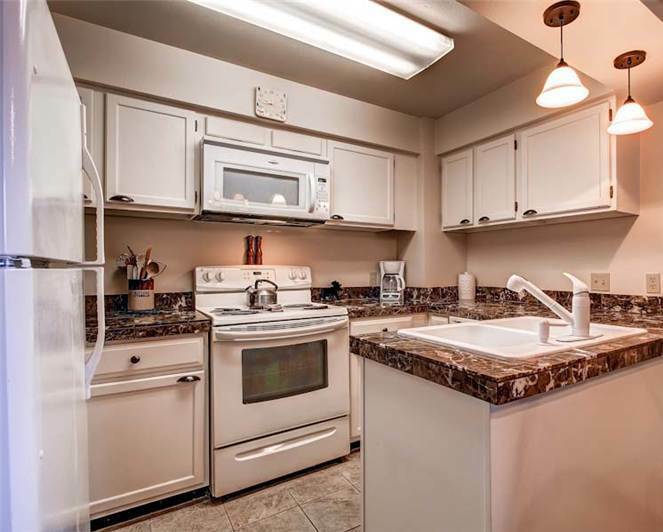 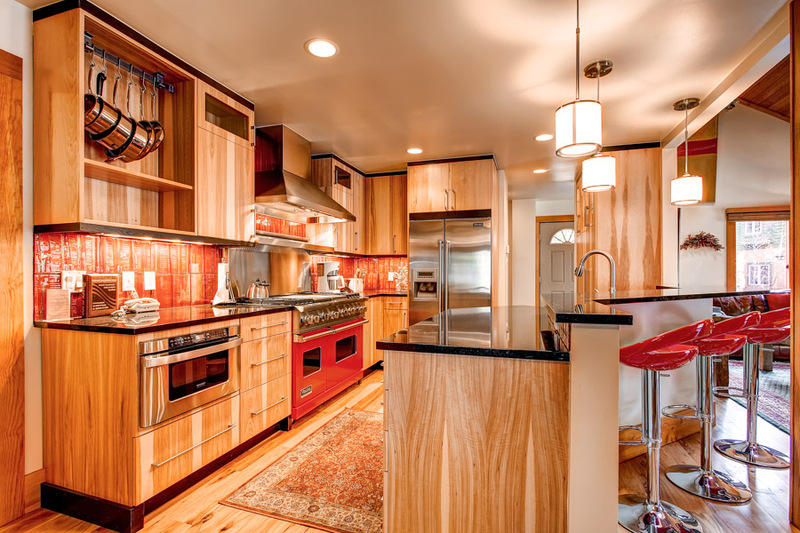 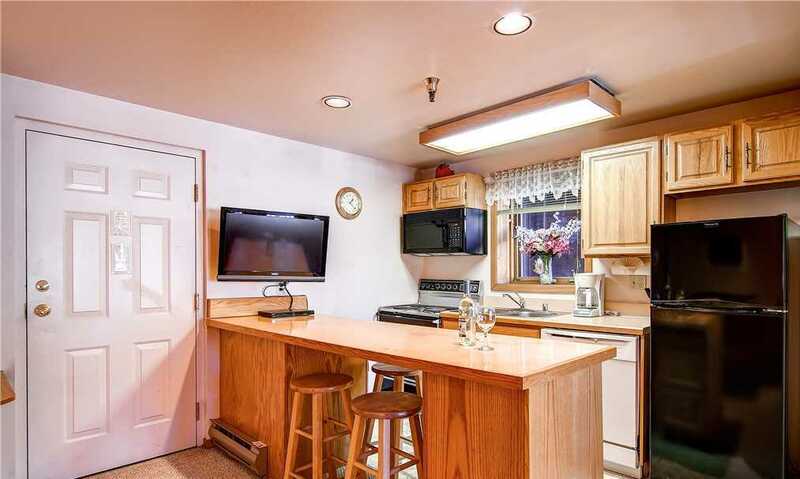 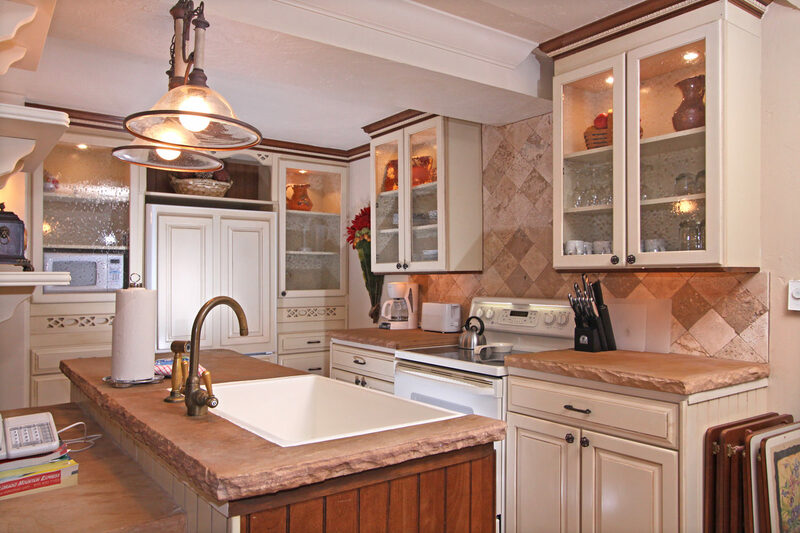 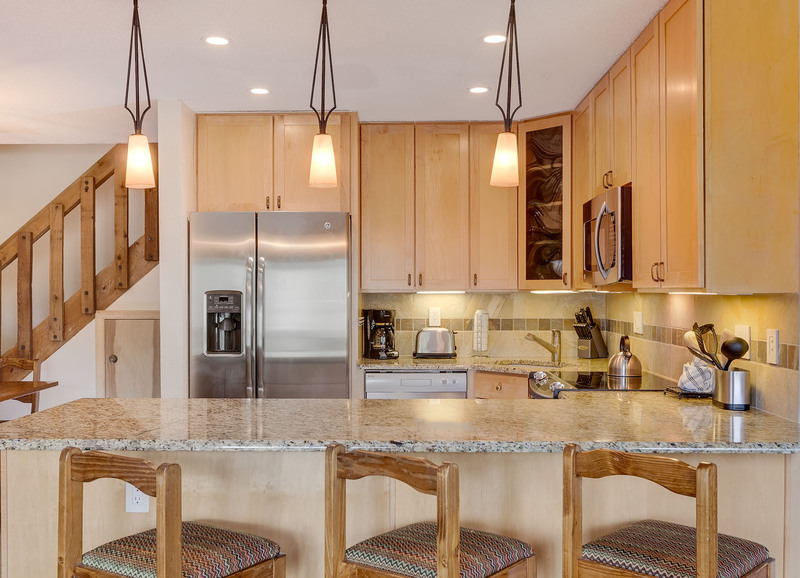 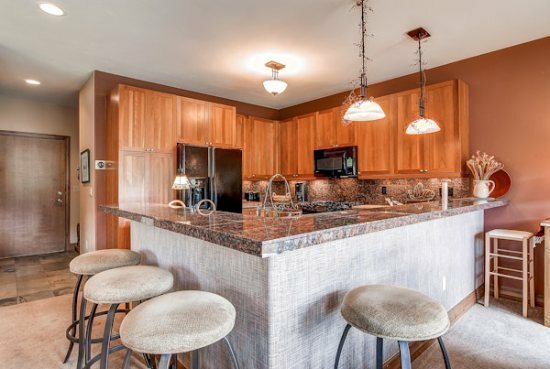 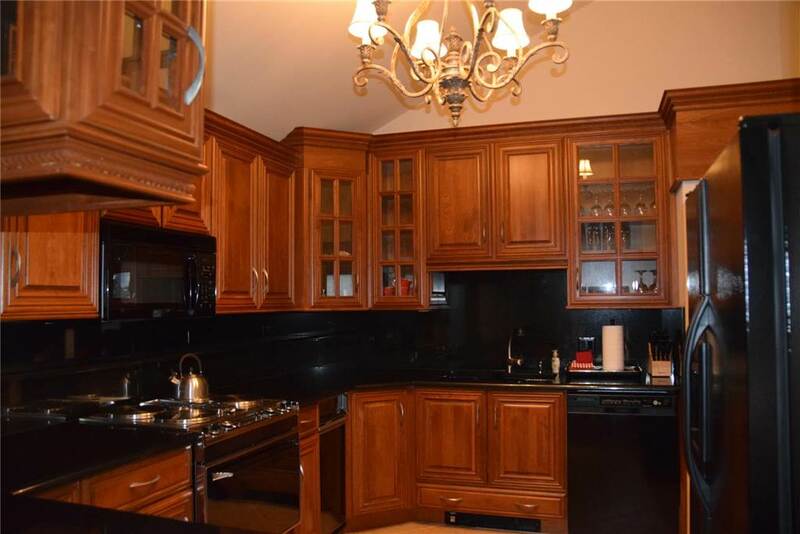 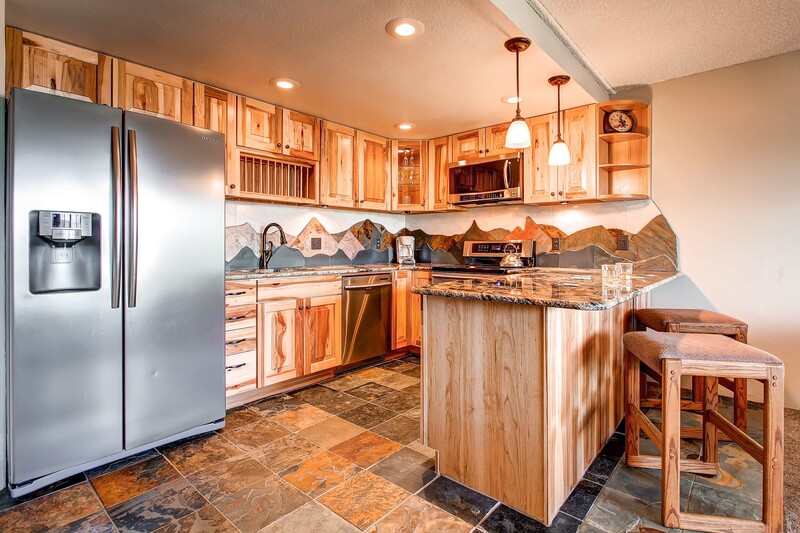 The gourmet granite countertop kitchen has all the necessary cooking comforts of home and shines with stainless steel appliances; cooking and dining utensils, refrigerator, stove, microwave, toaster, and coffee maker. 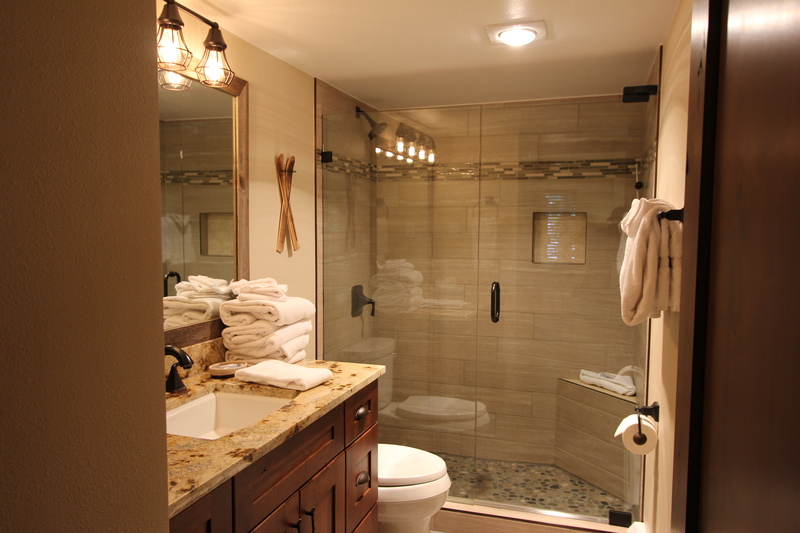 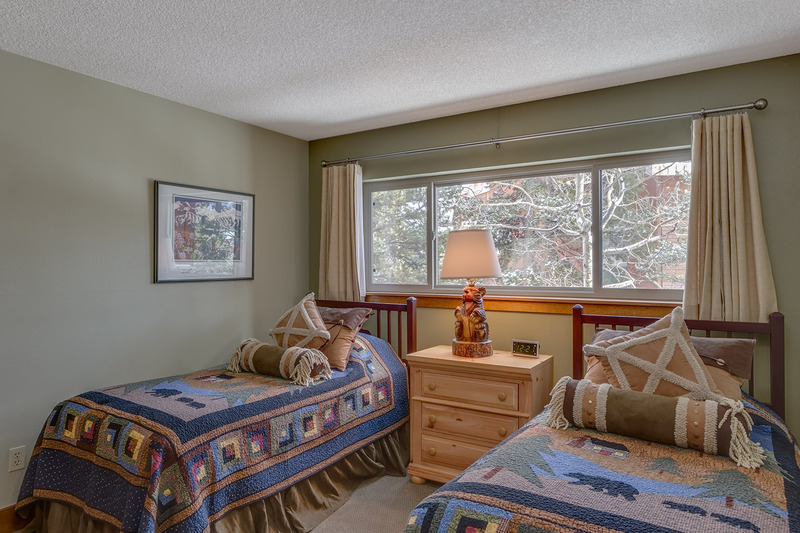 After a long day of skiing or exploring, retreat to this unit and take advantage of the clean and beautifully decorated and tiled bathroom to enjoy a steamy shower. 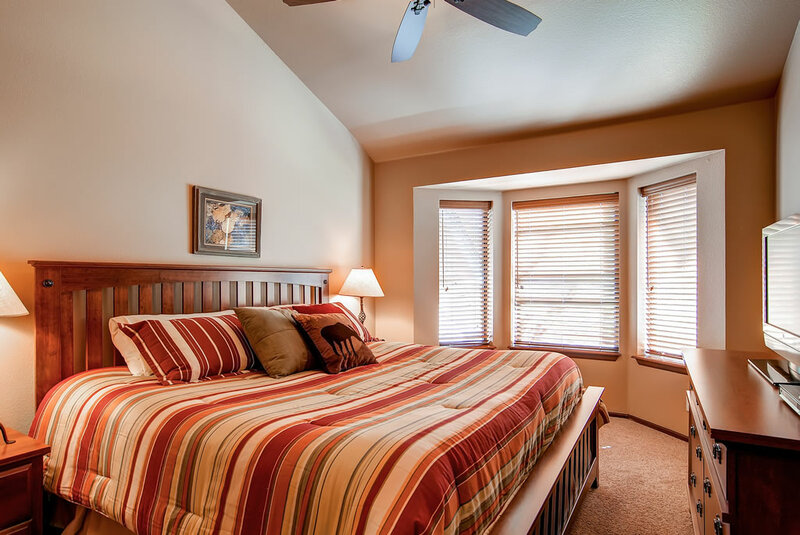 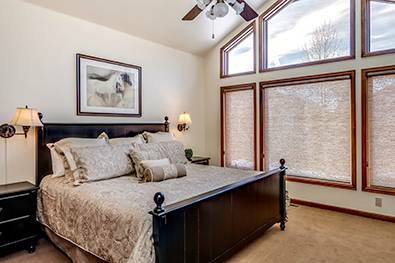 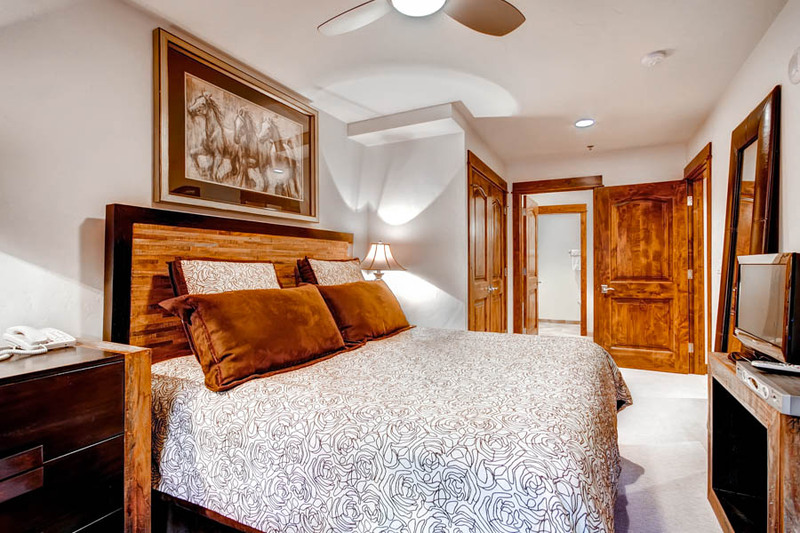 The comfortable bedroom is furnished with beautiful darkwood accent furniture, a Queen size pillow-top mattress encased in refreshing paisley bedding, and a ceiling fan for a peaceful night’s rest. 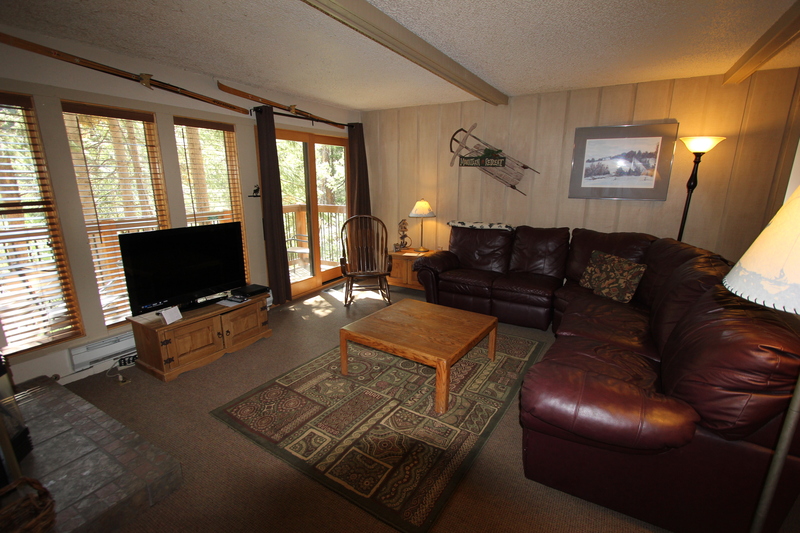 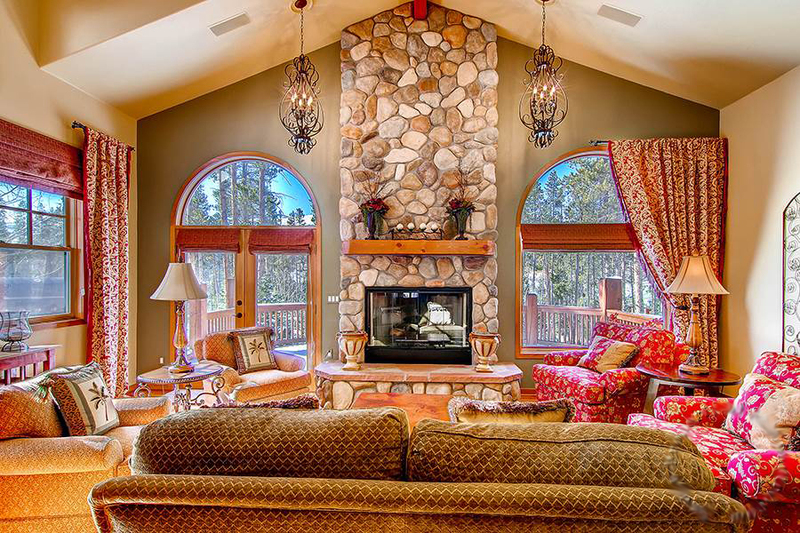 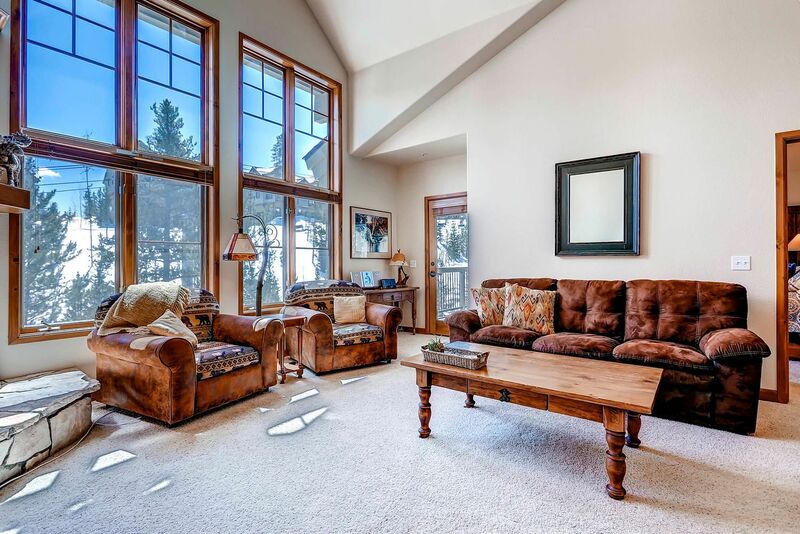 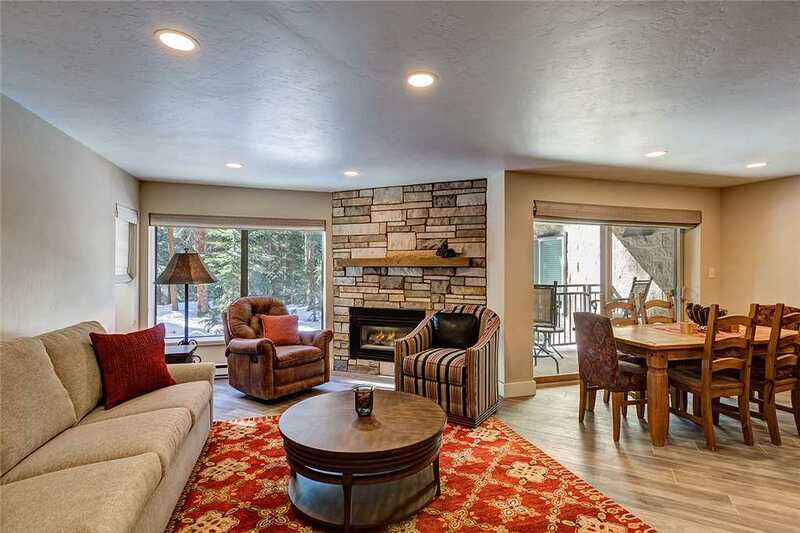 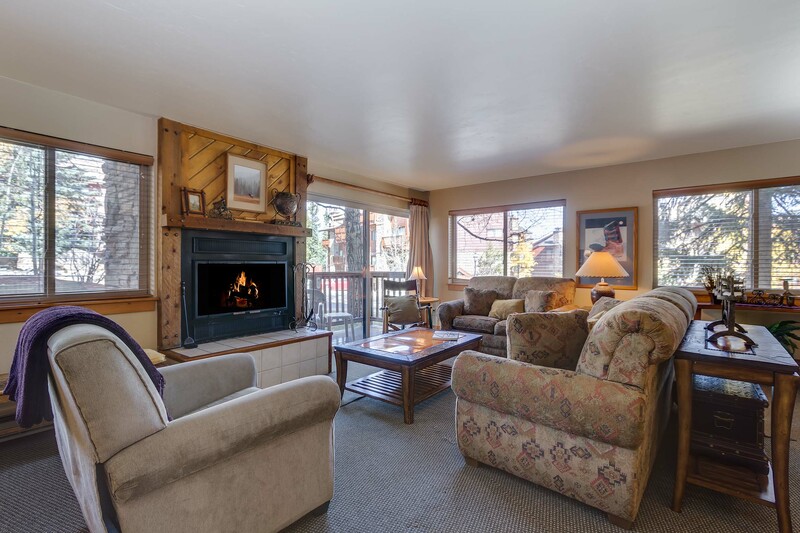 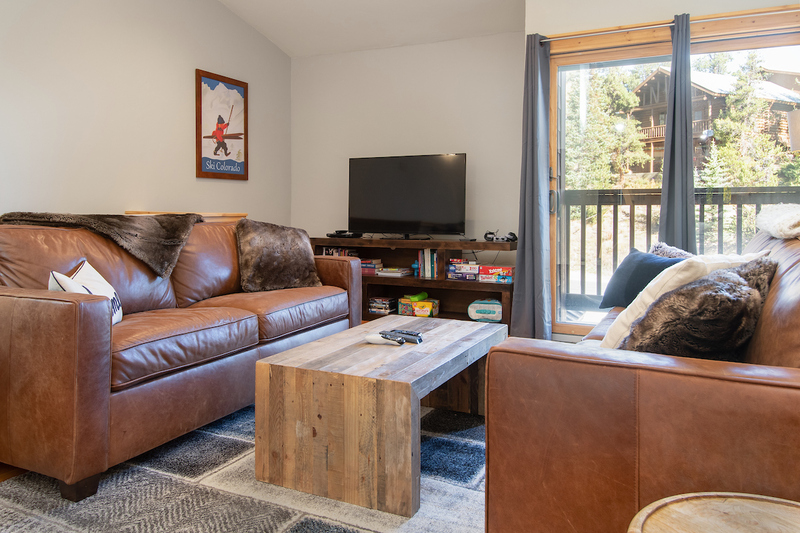 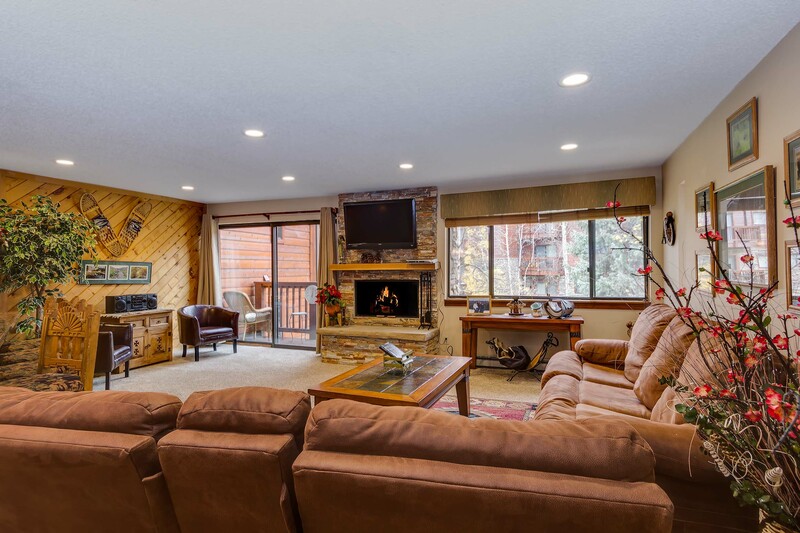 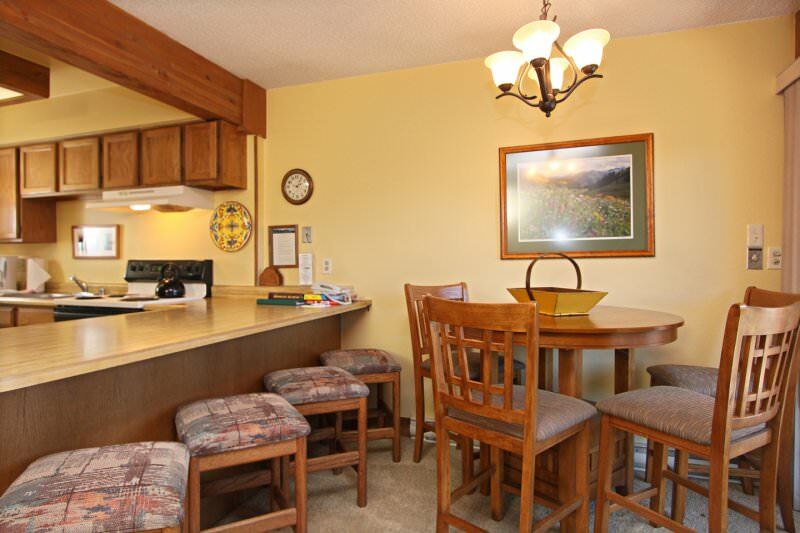 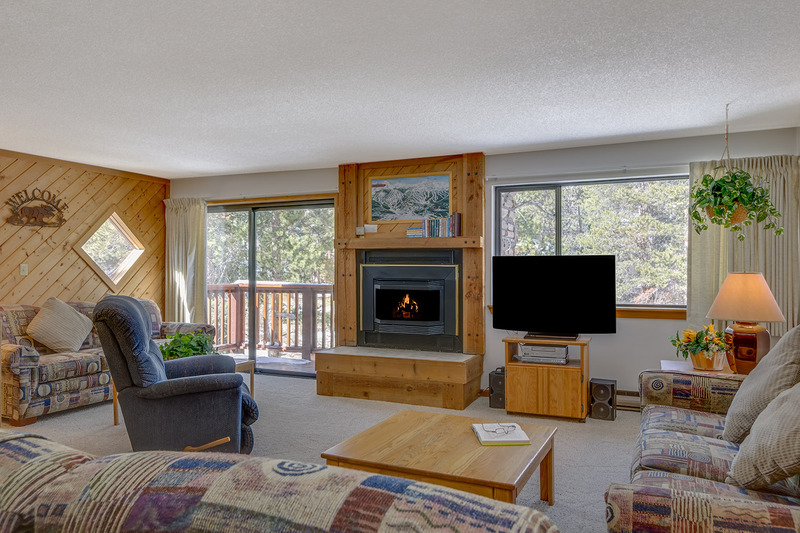 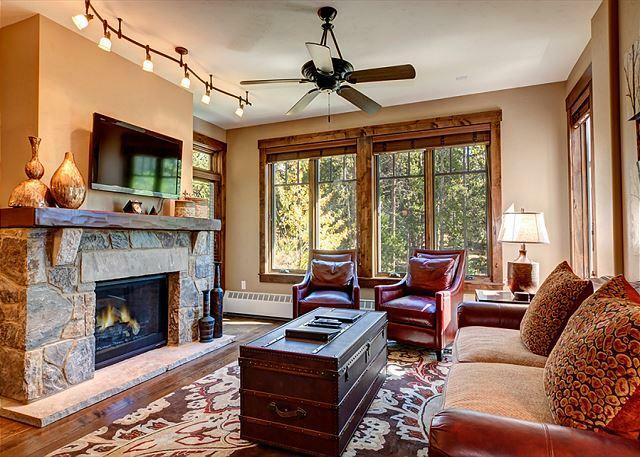 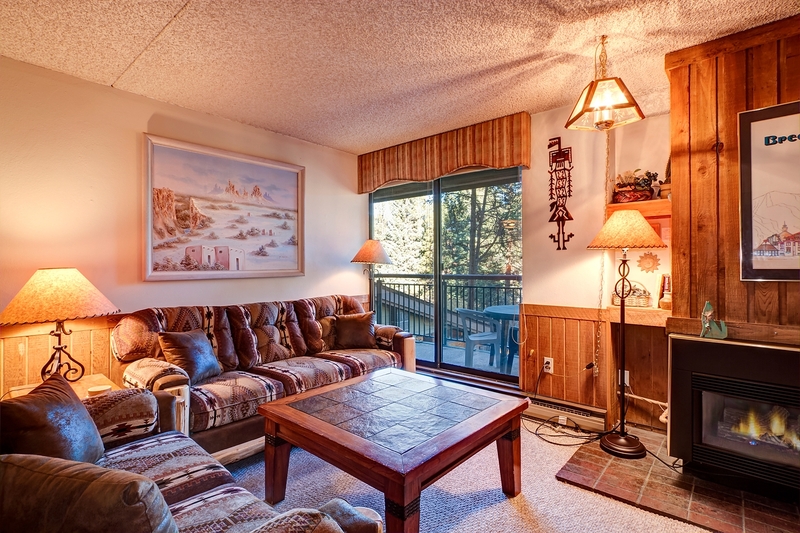 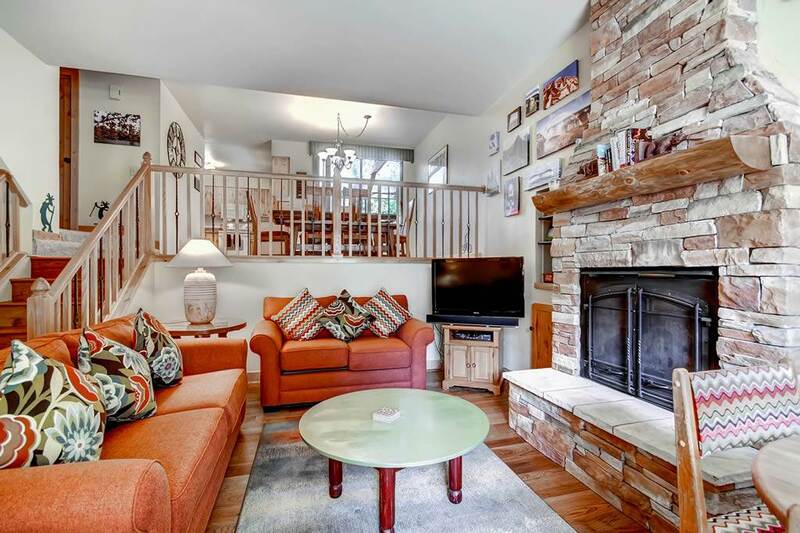 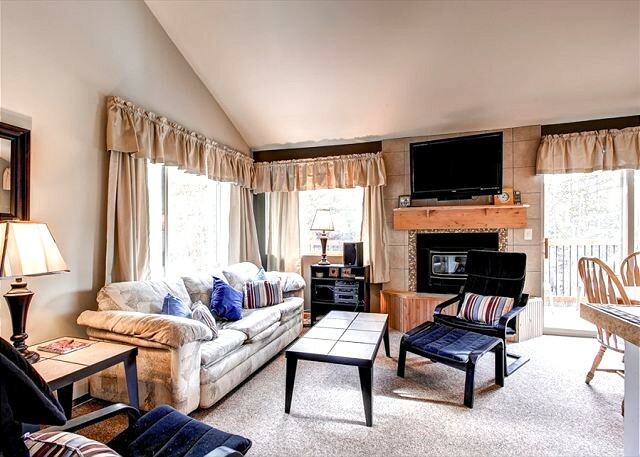 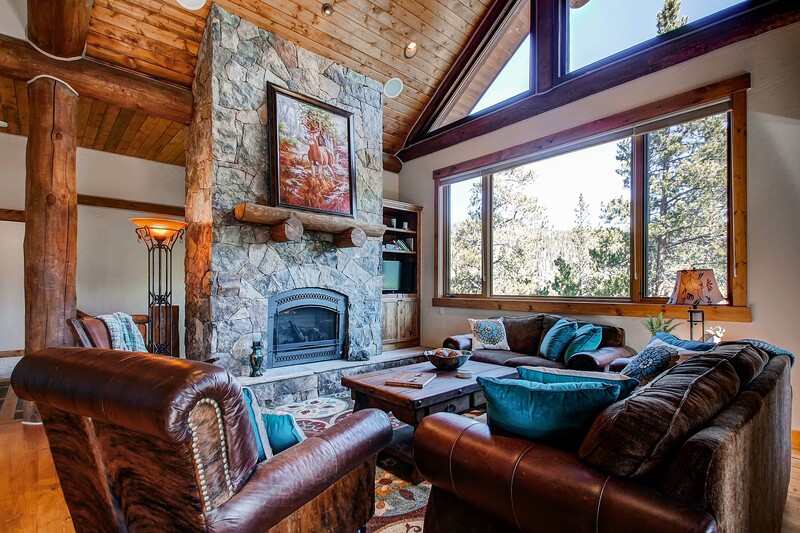 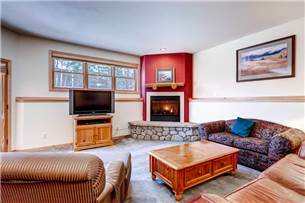 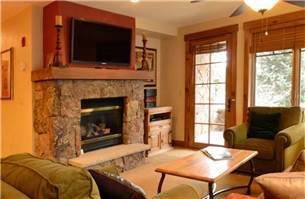 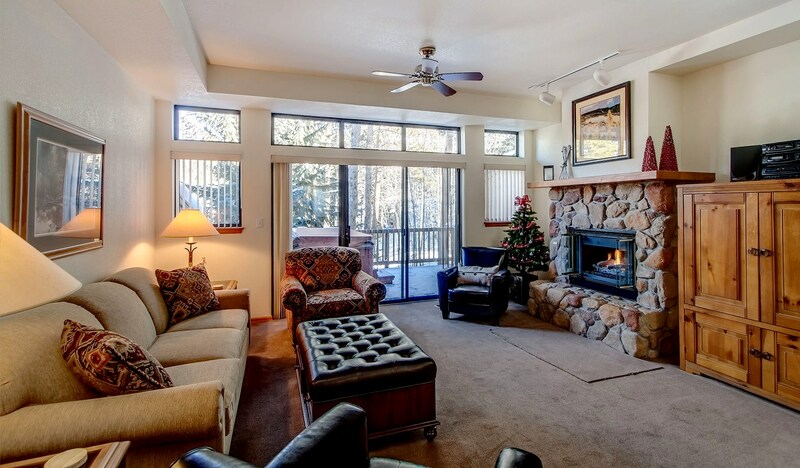 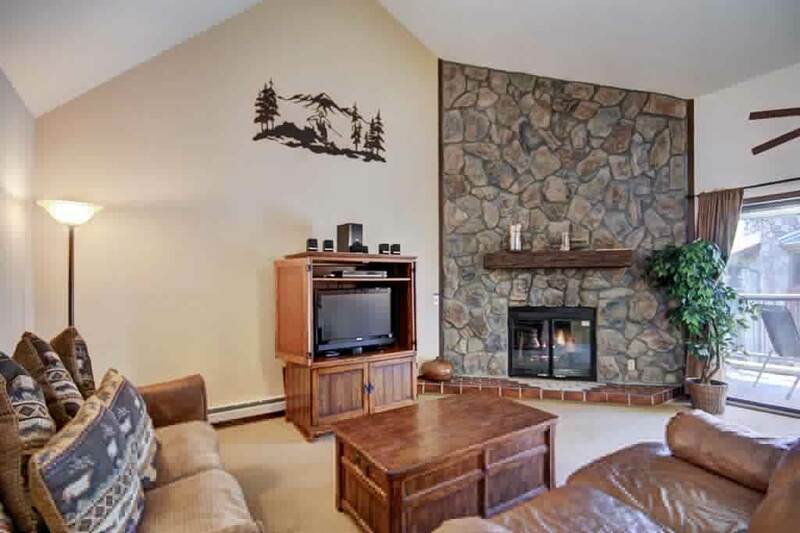 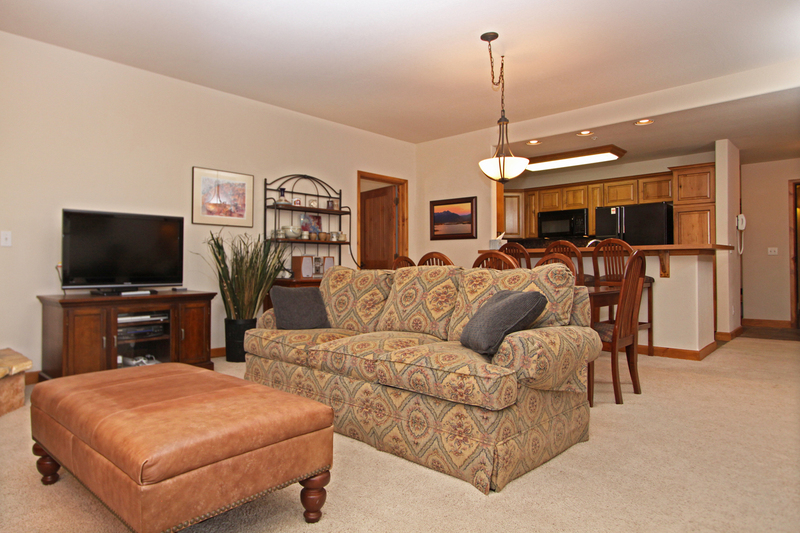 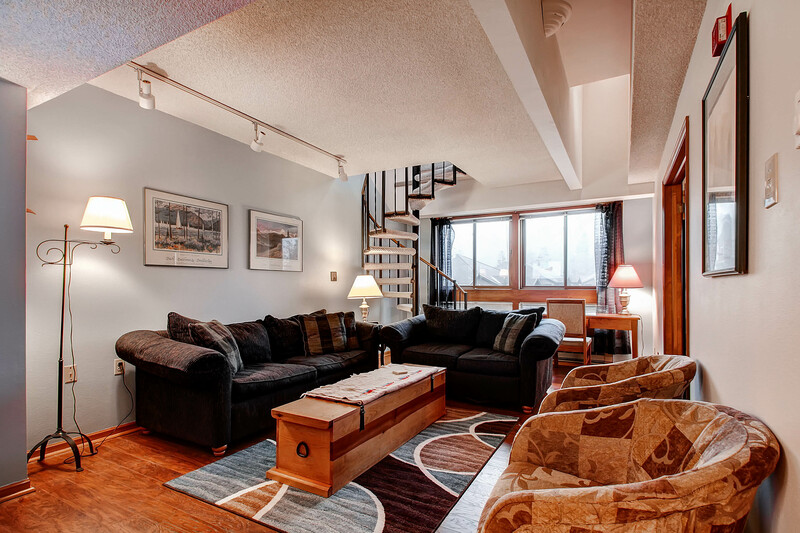 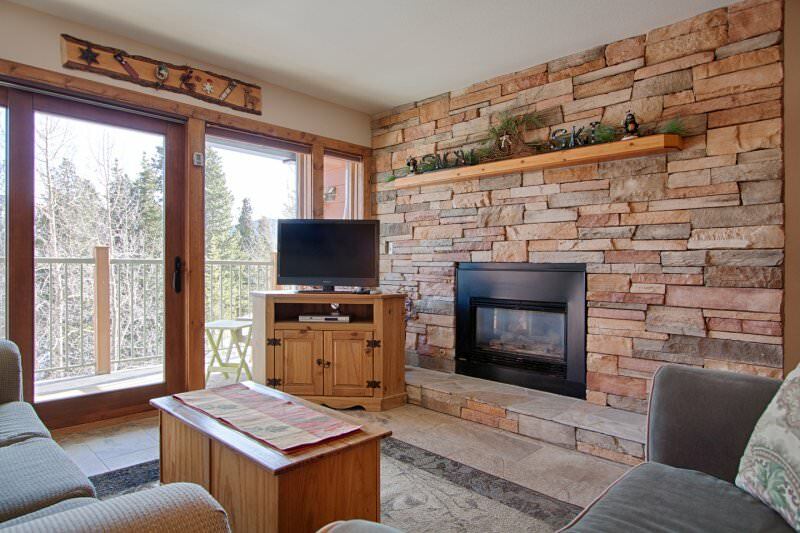 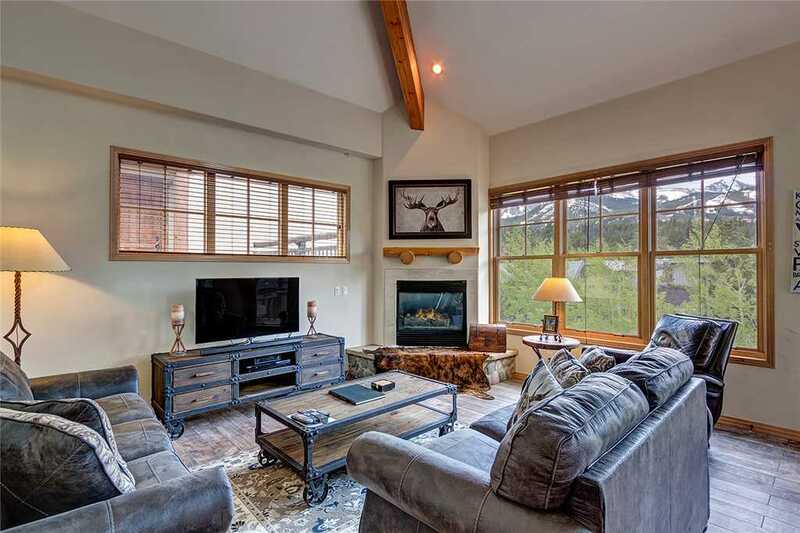 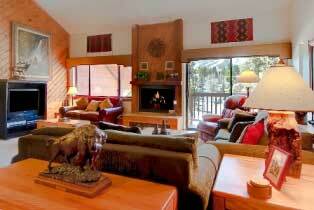 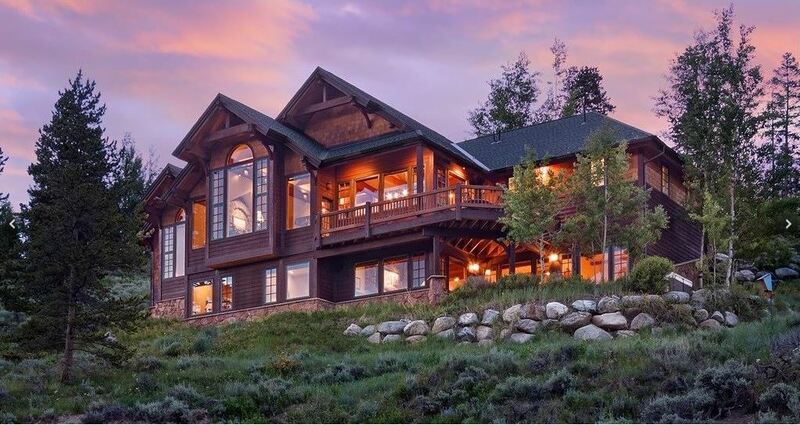 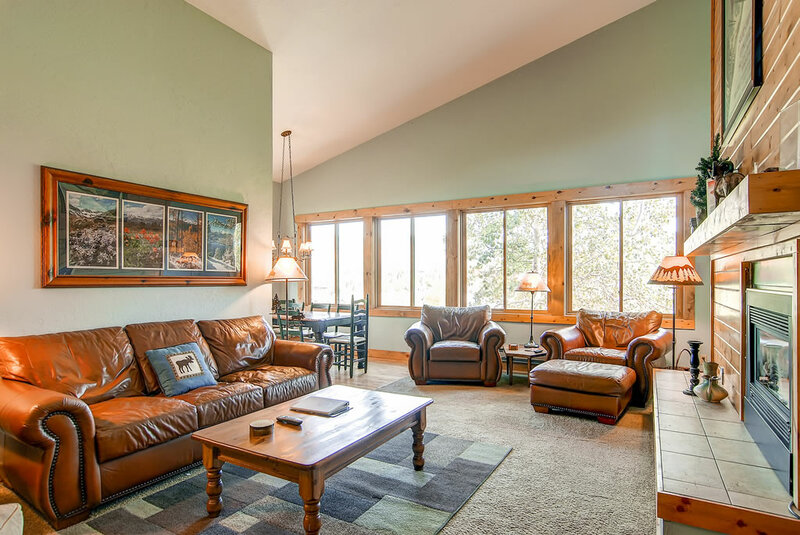 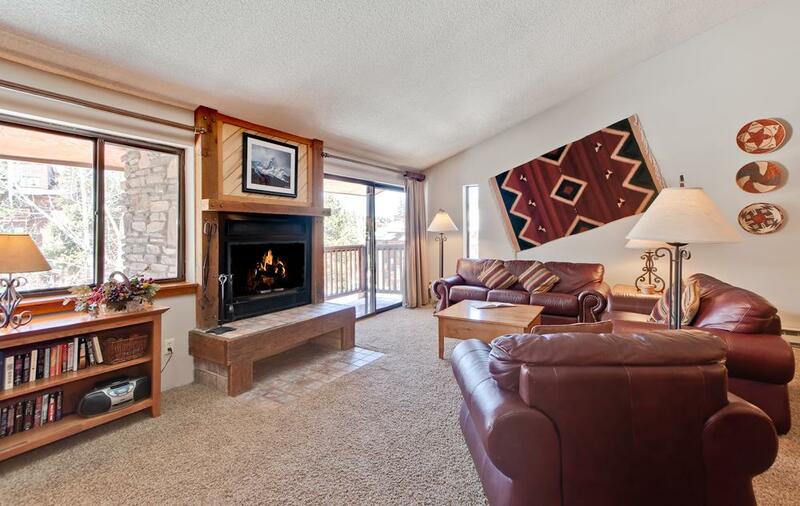 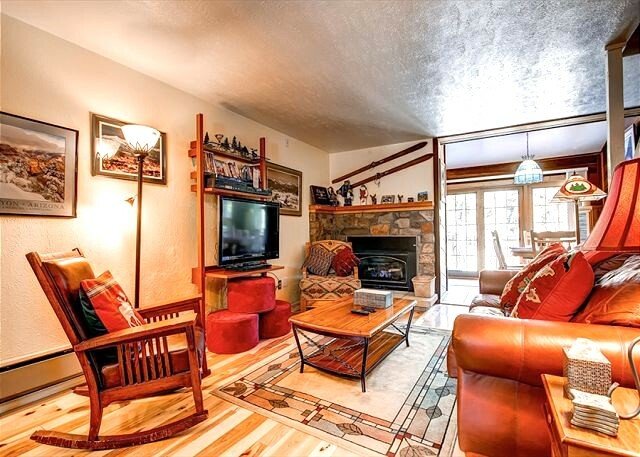 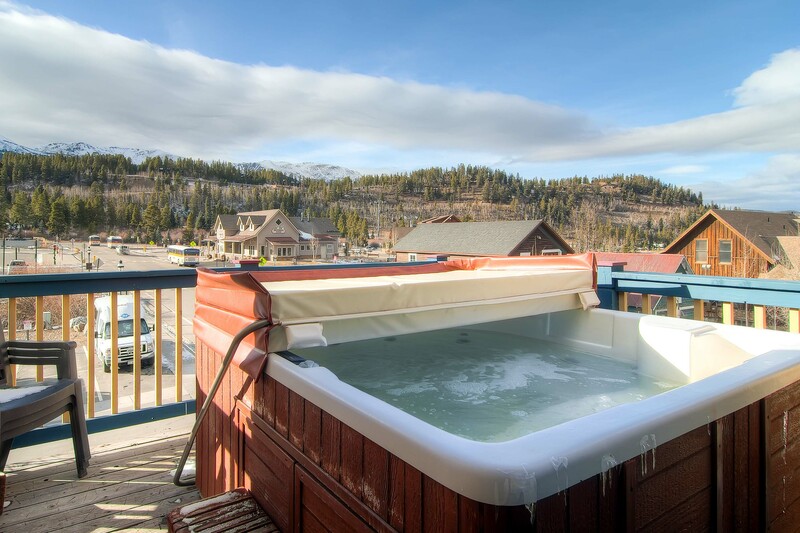 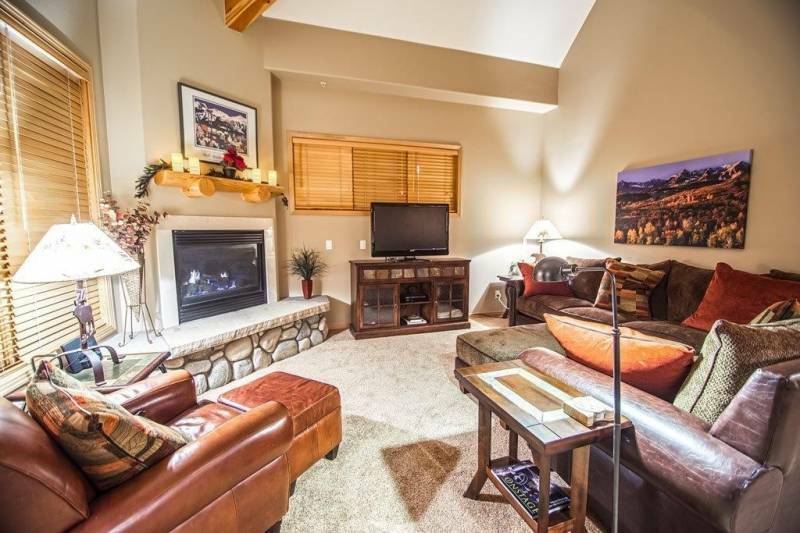 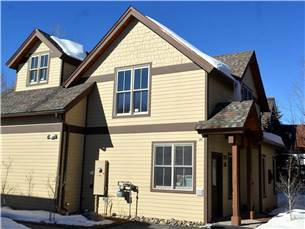 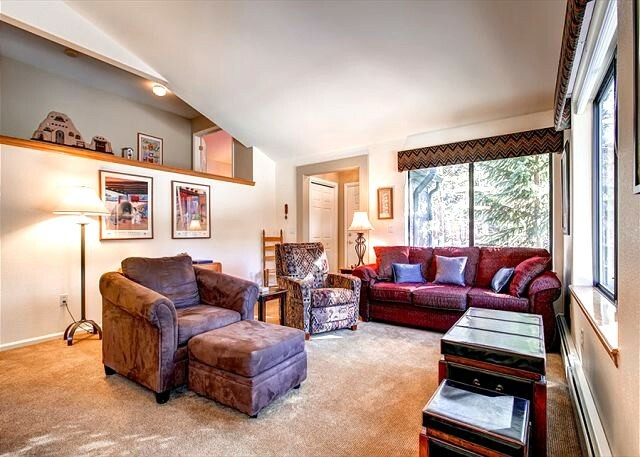 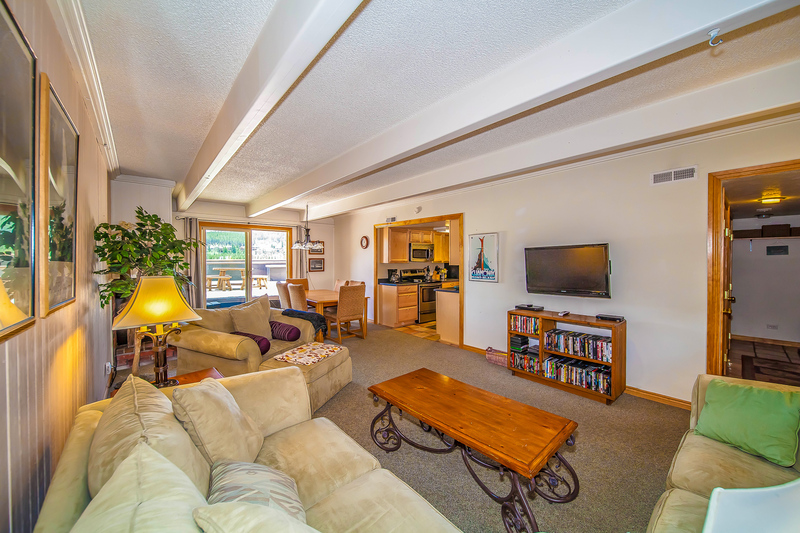 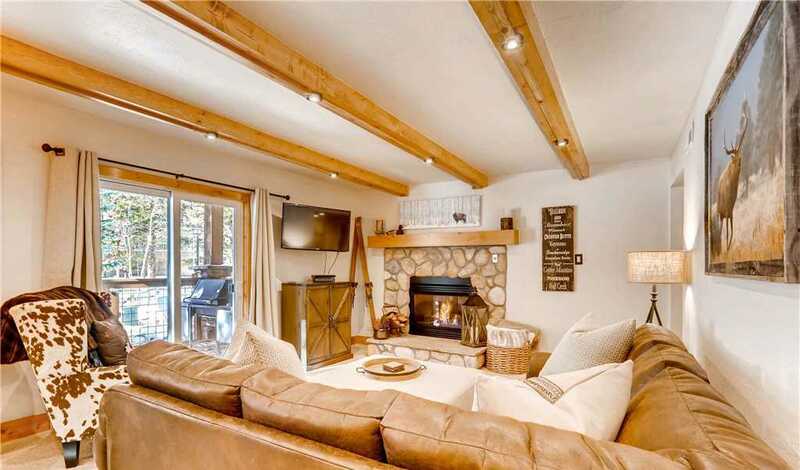 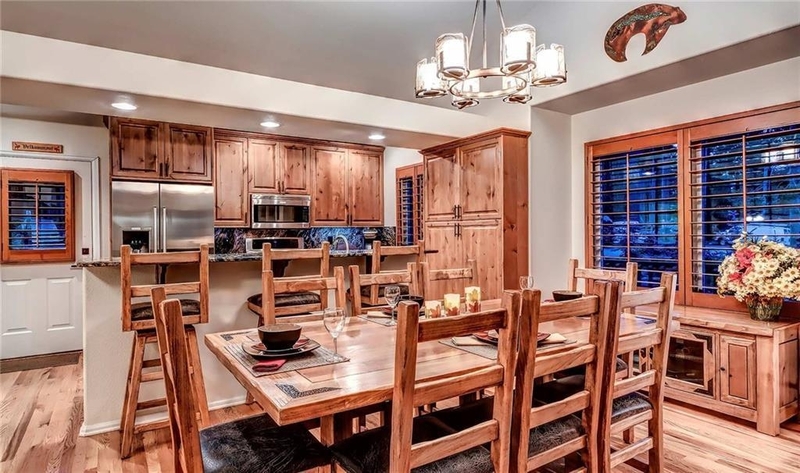 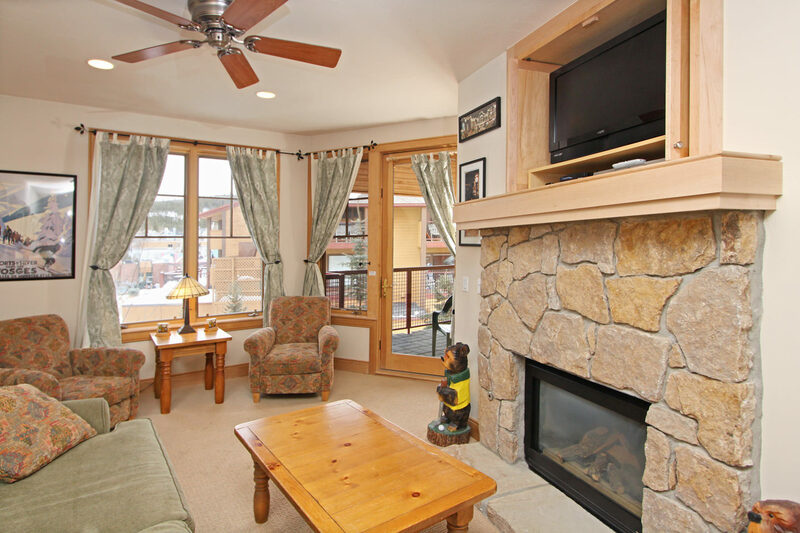 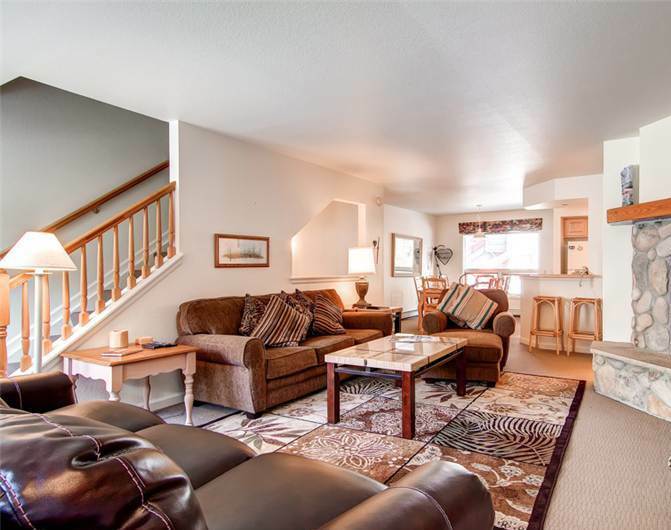 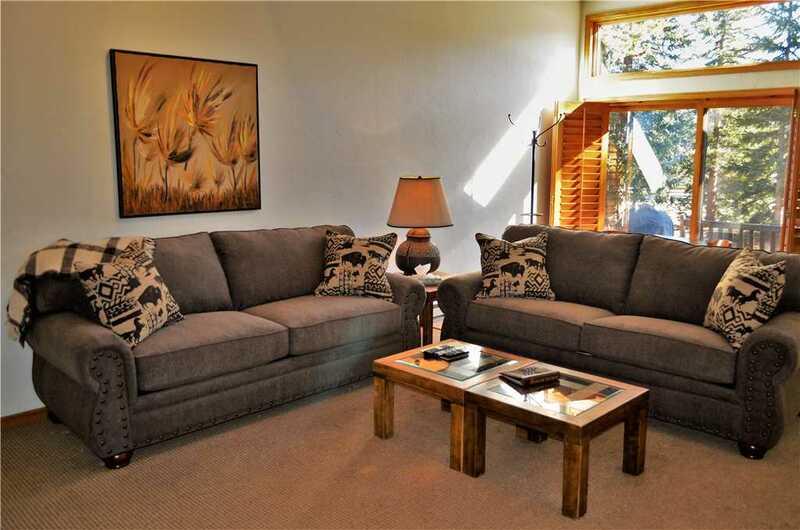 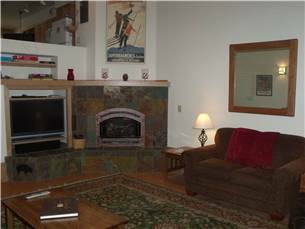 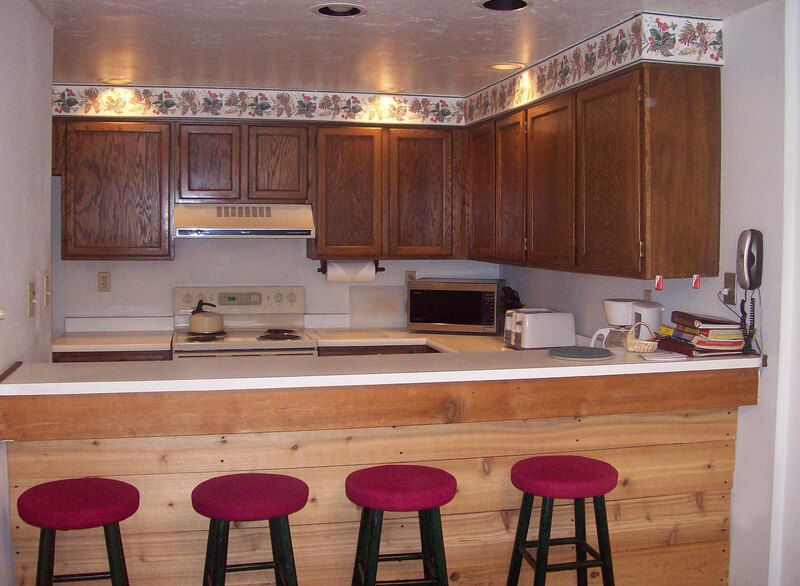 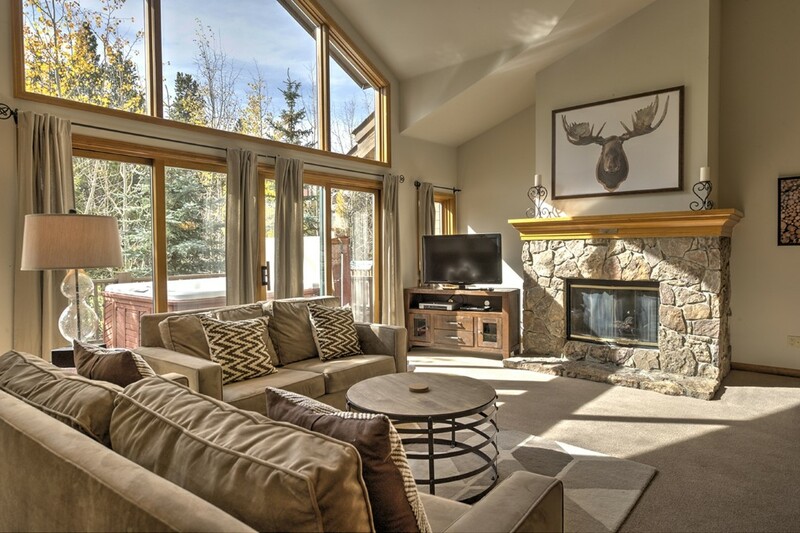 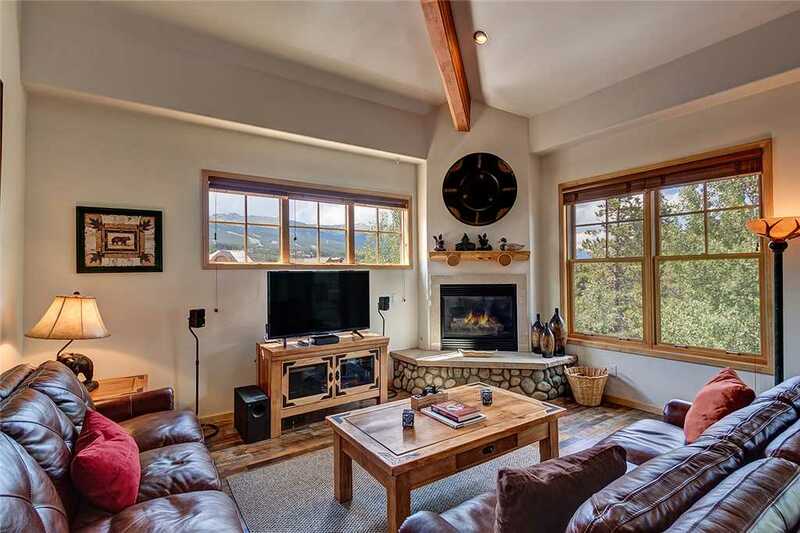 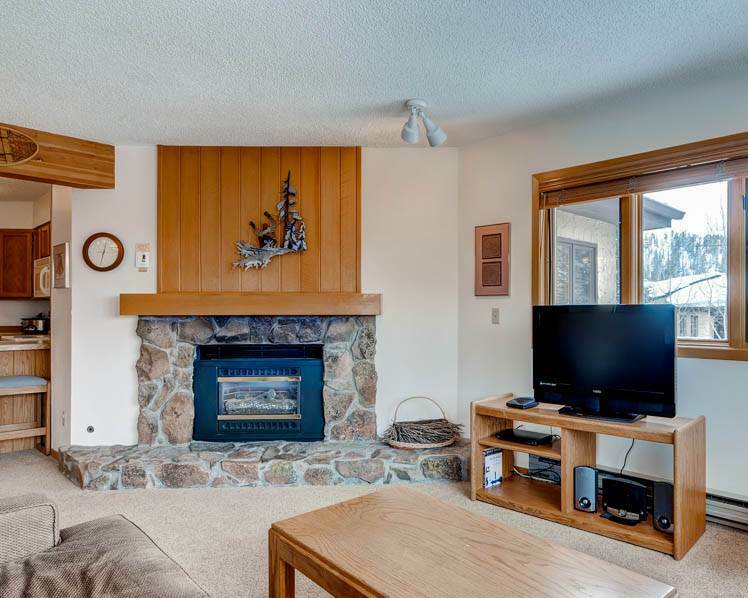 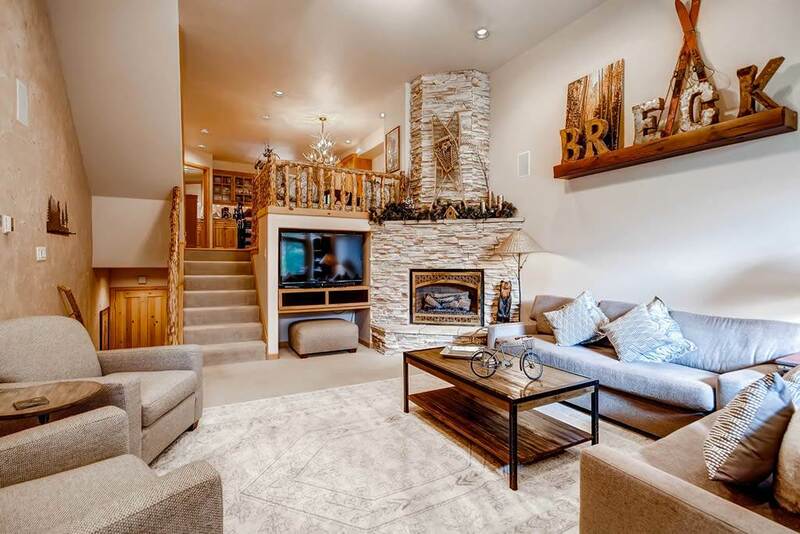 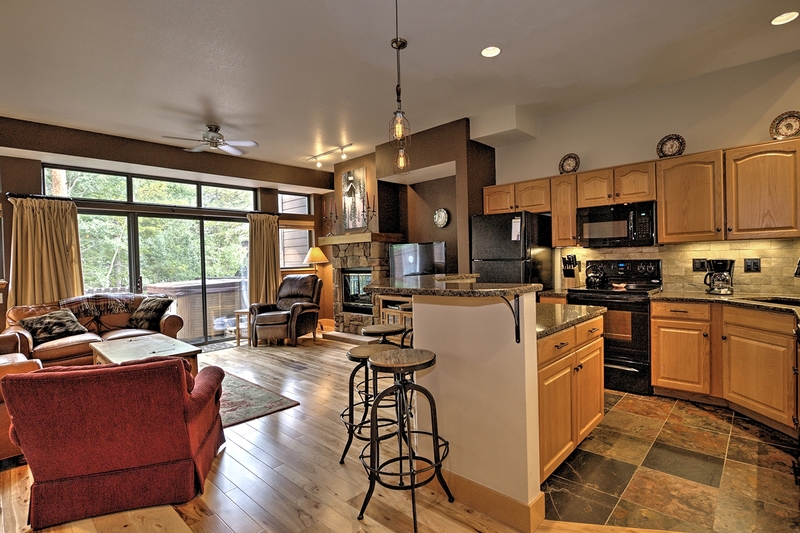 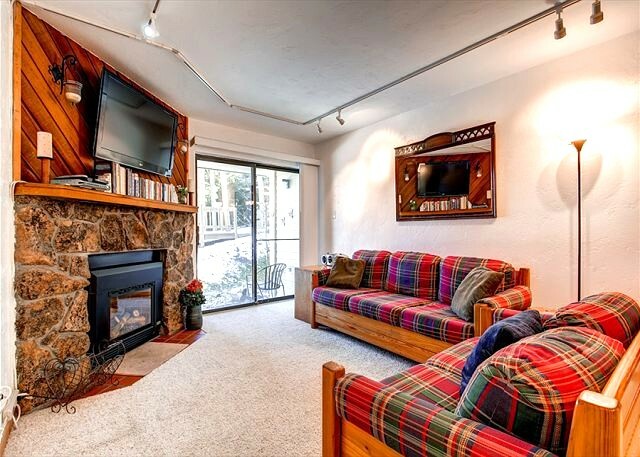 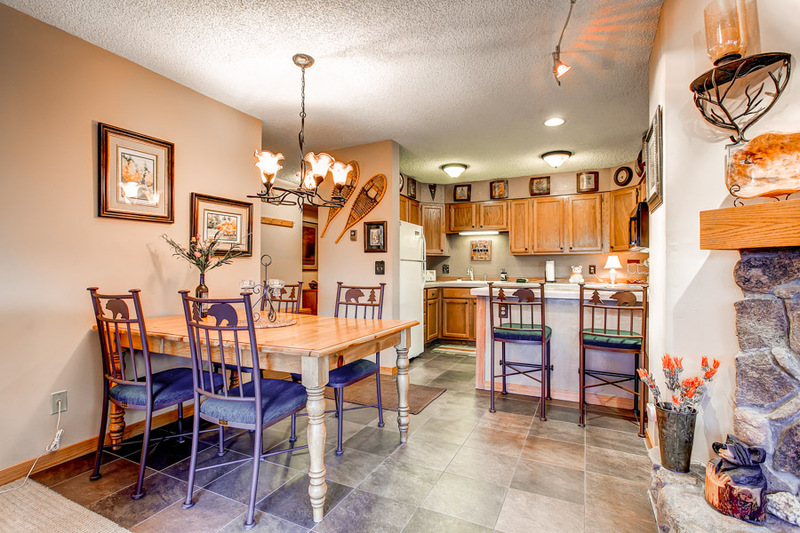 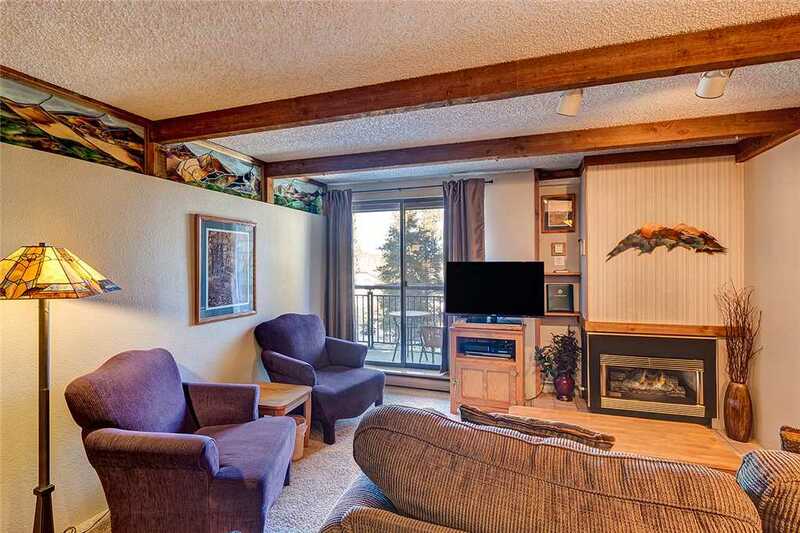 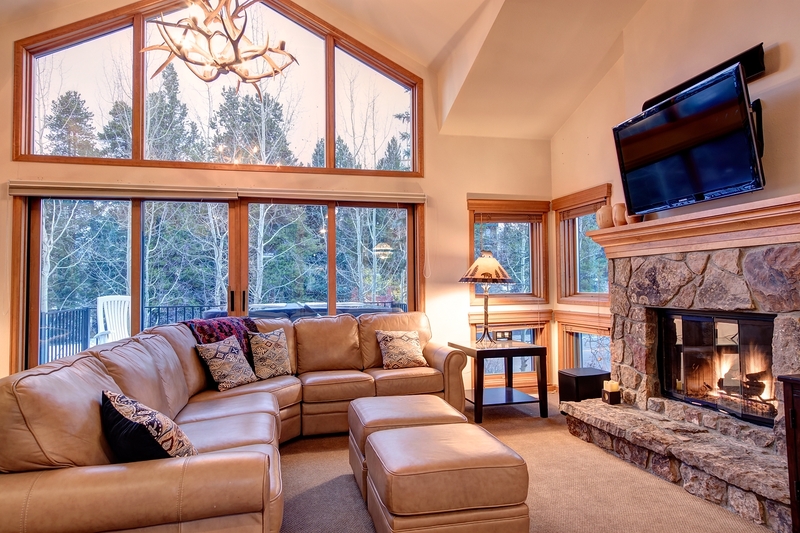 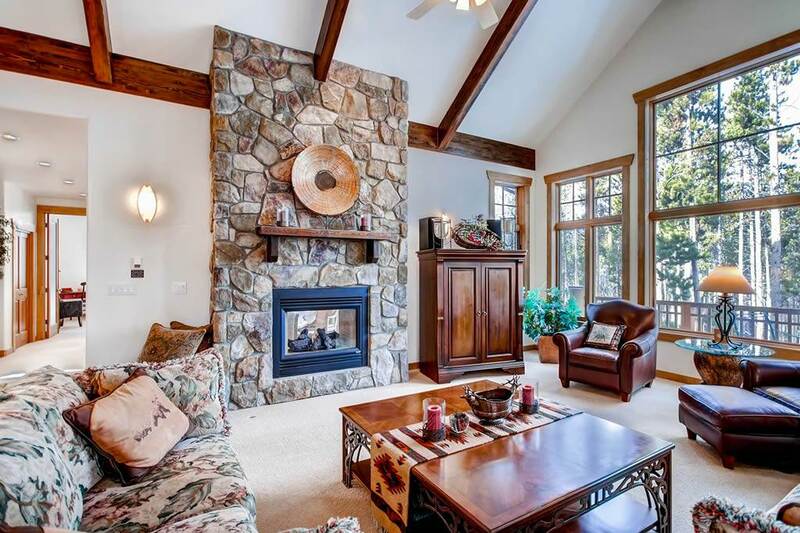 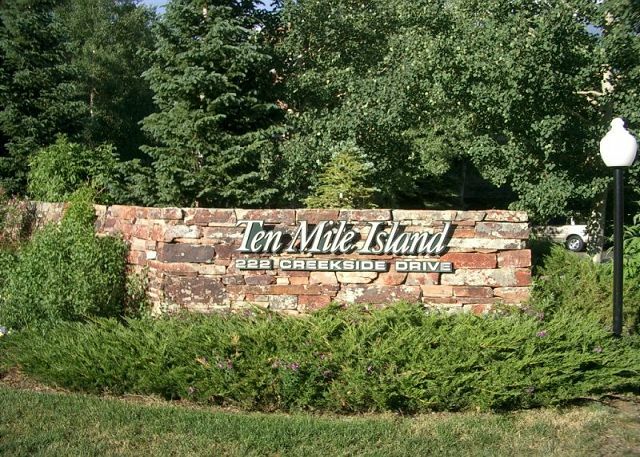 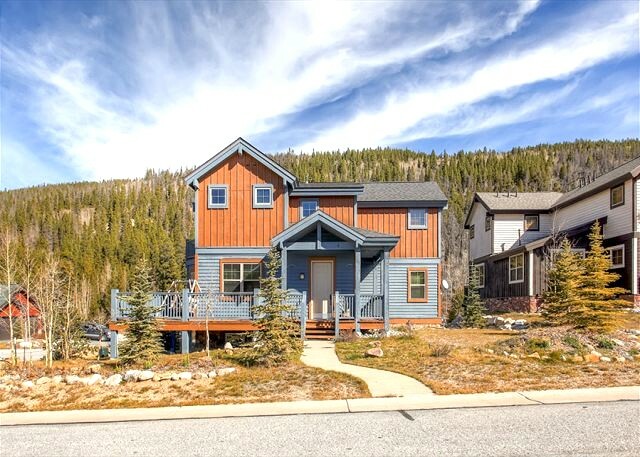 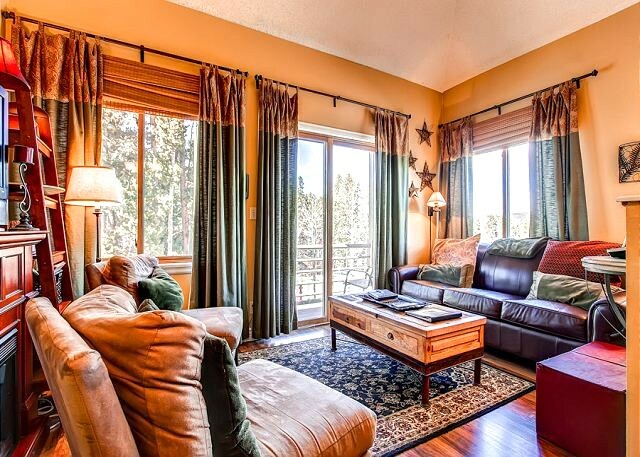 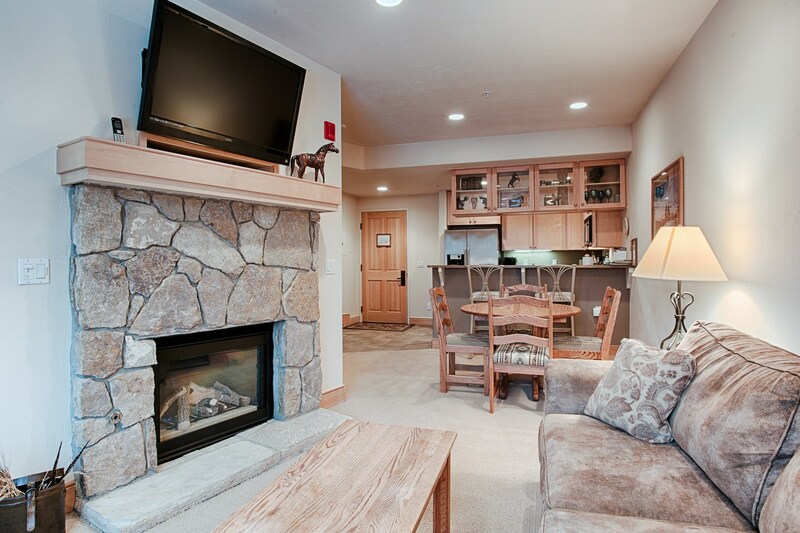 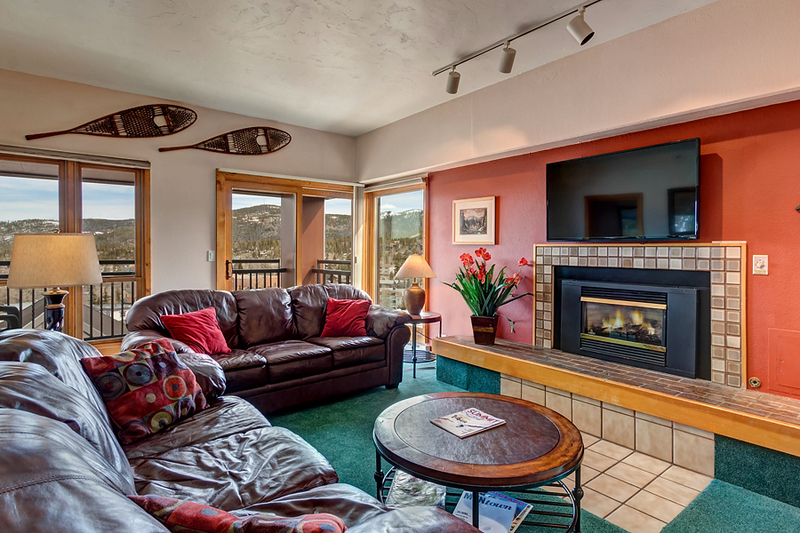 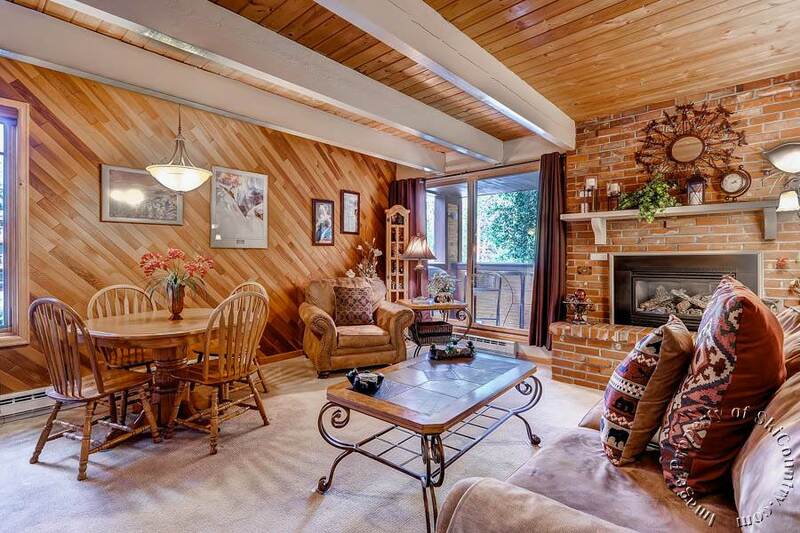 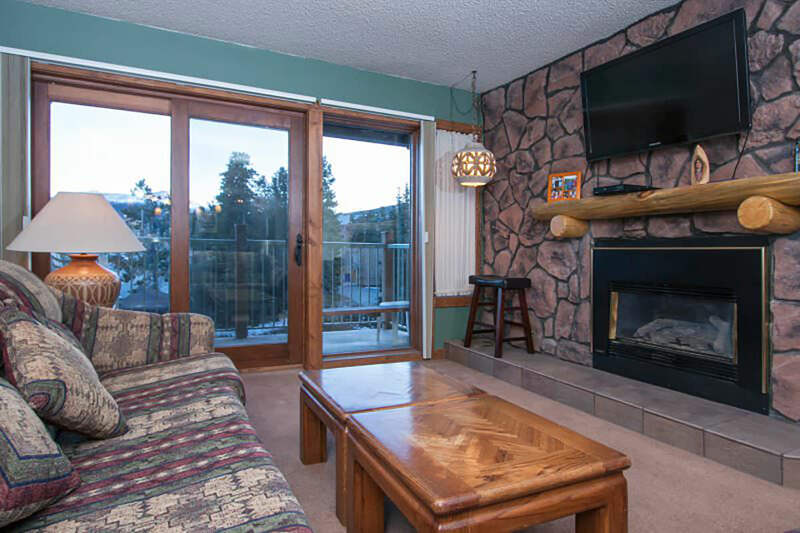 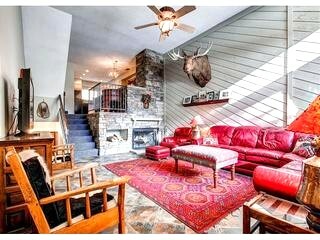 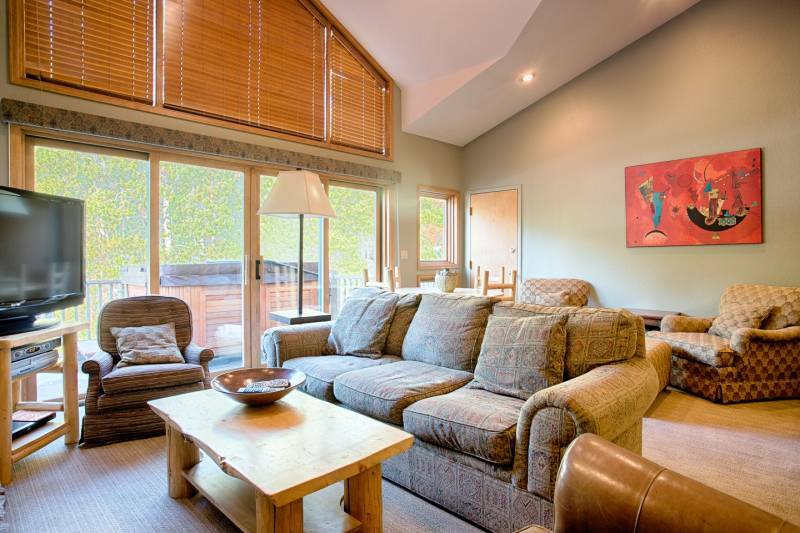 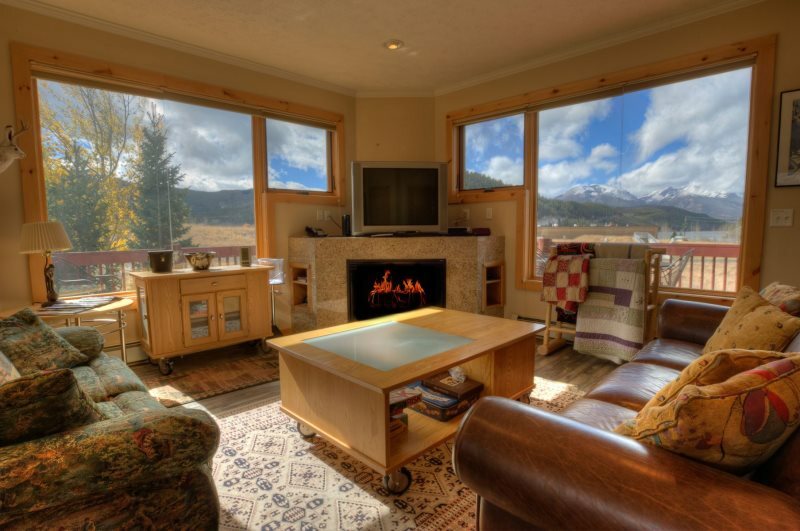 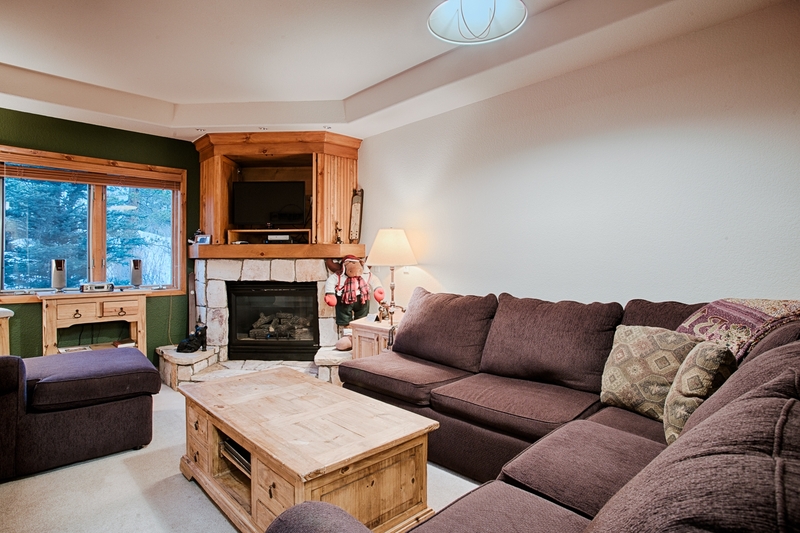 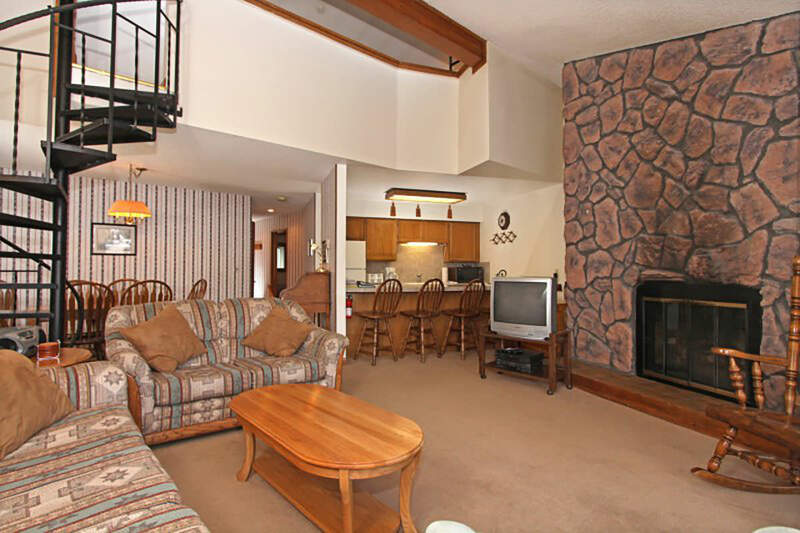 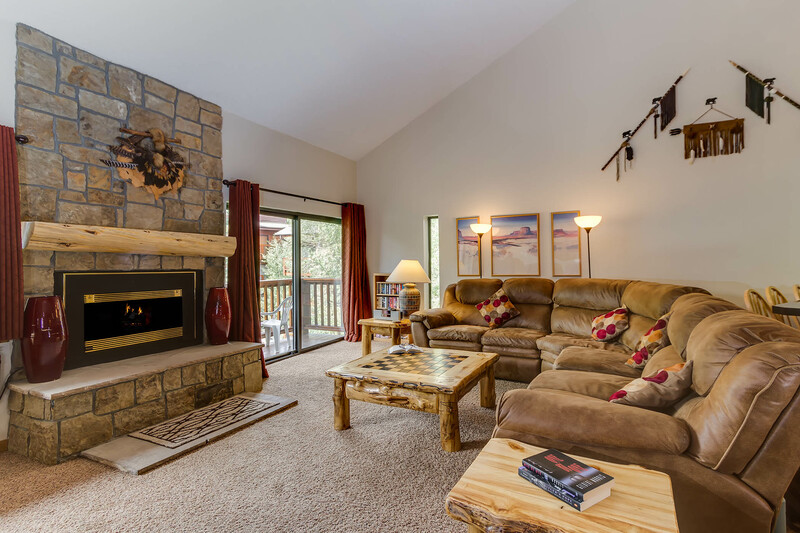 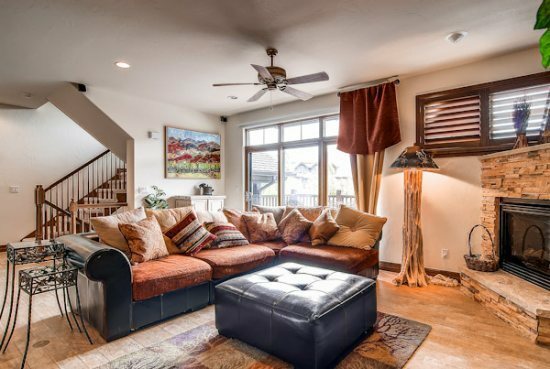 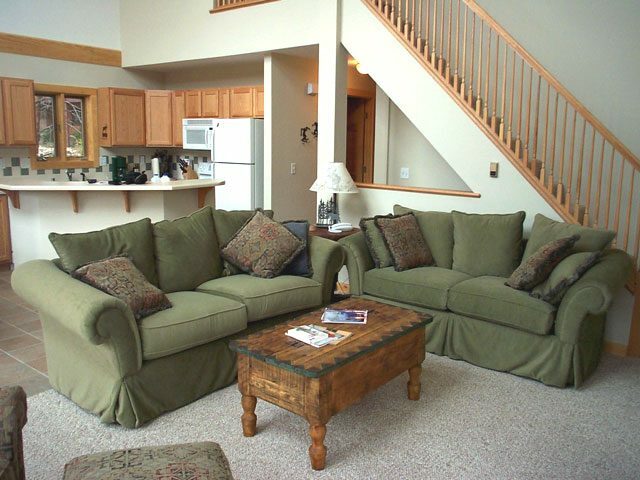 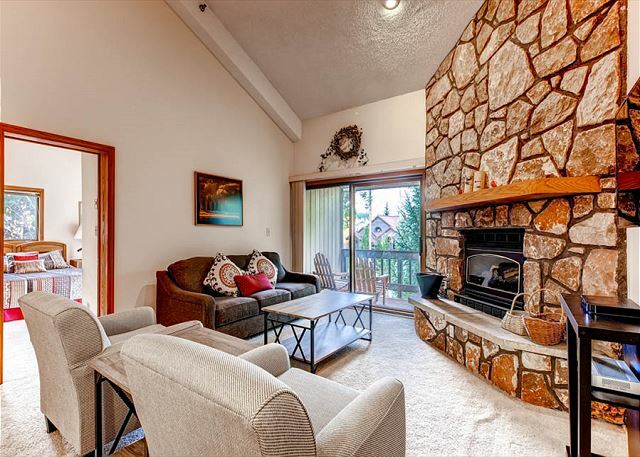 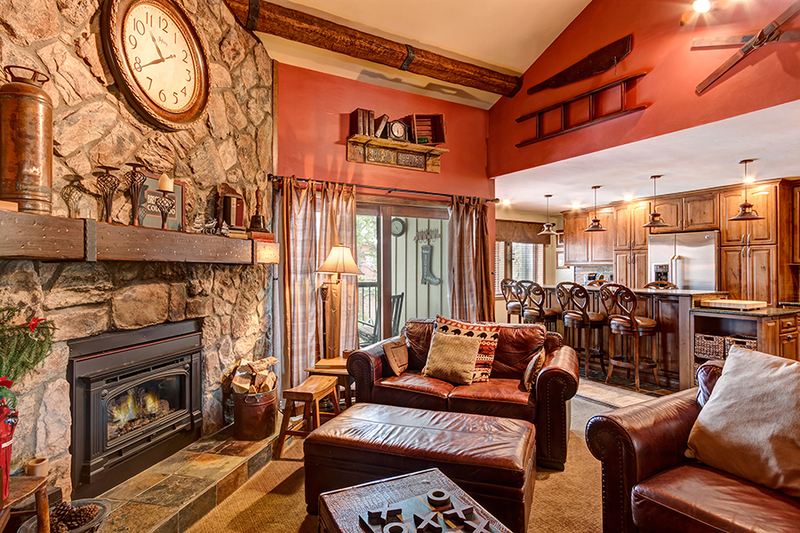 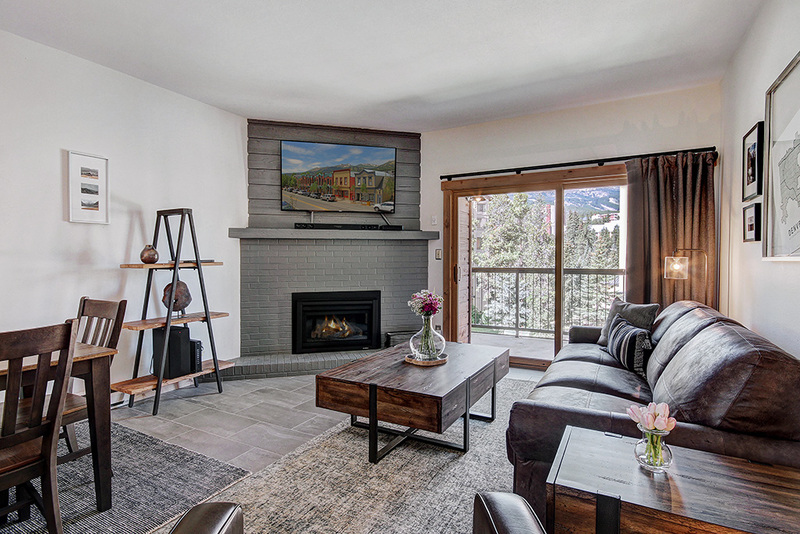 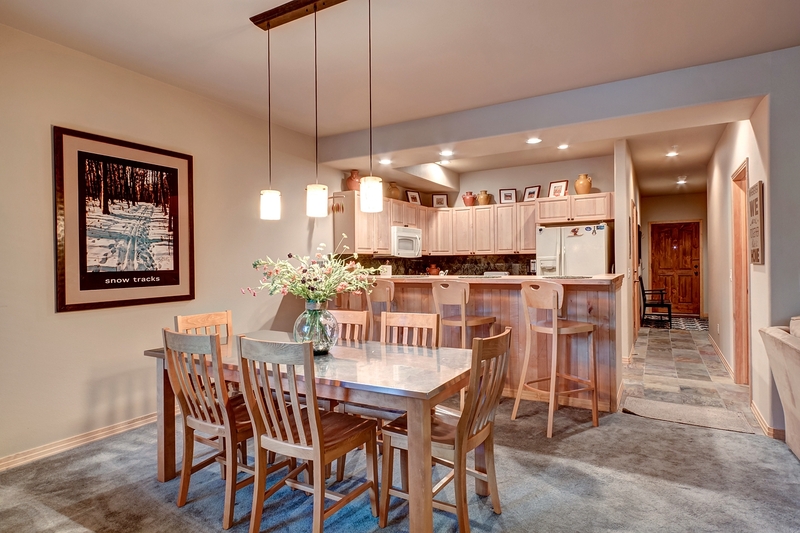 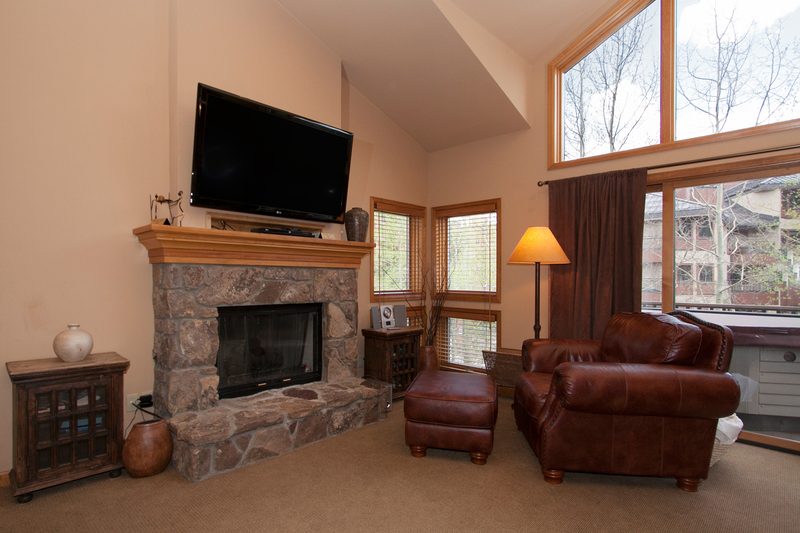 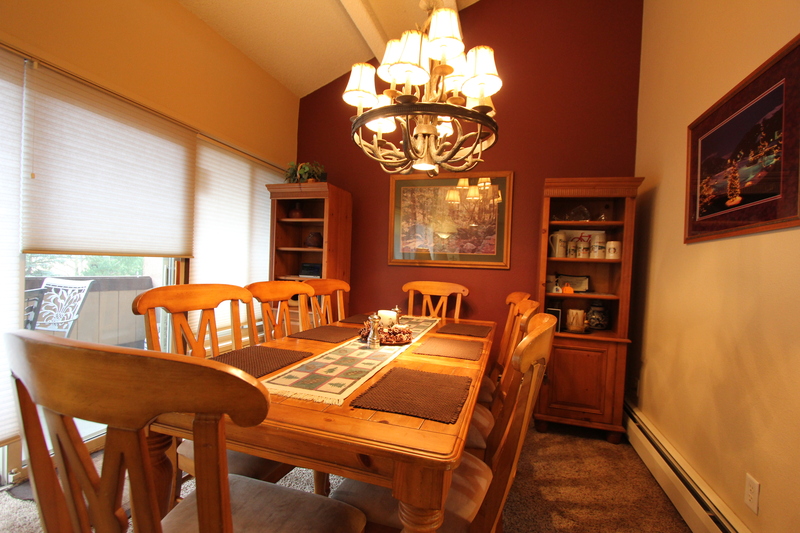 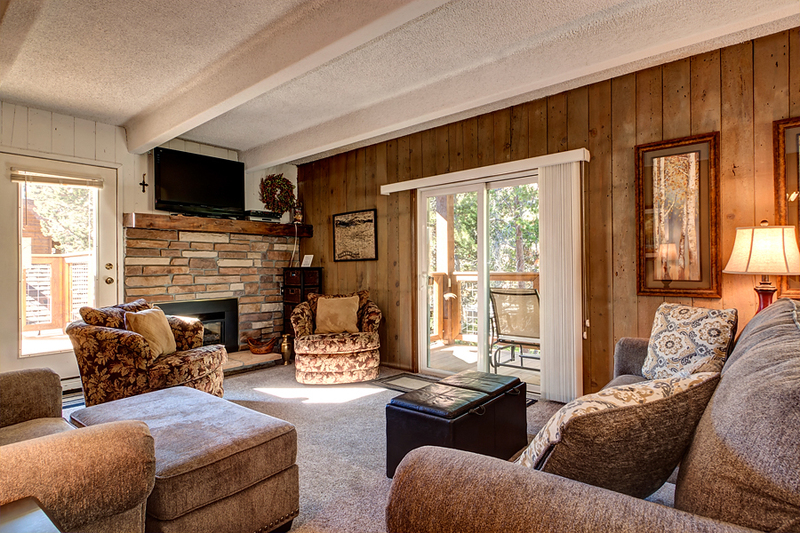 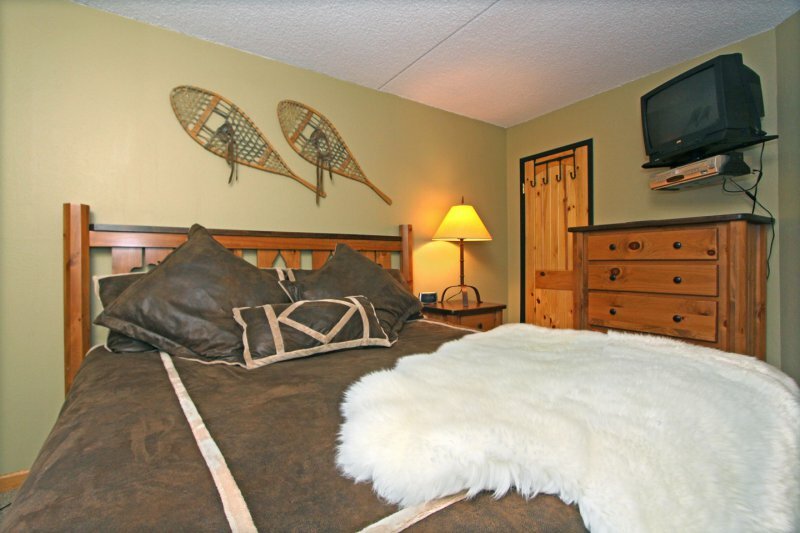 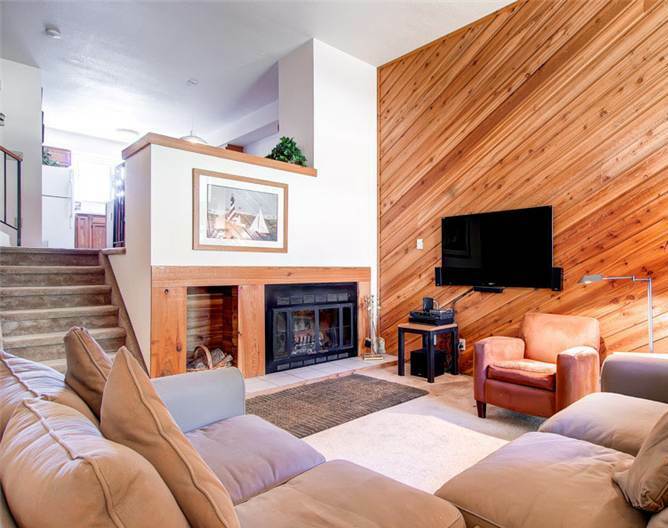 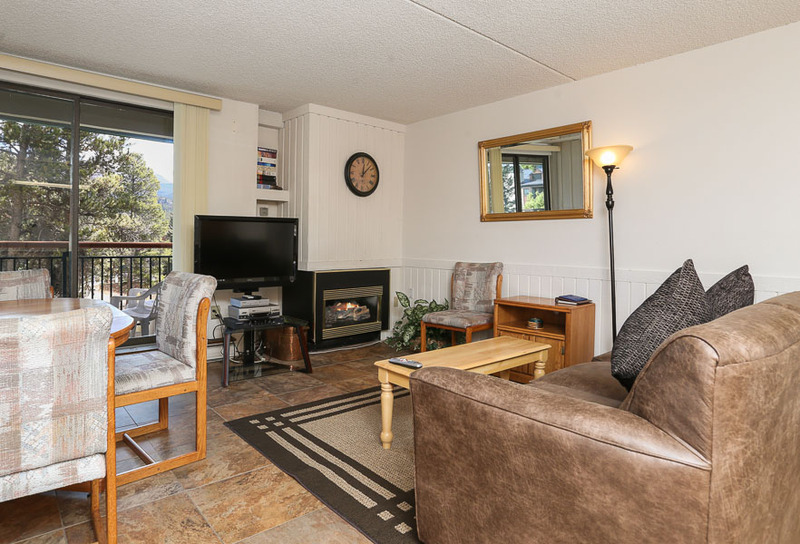 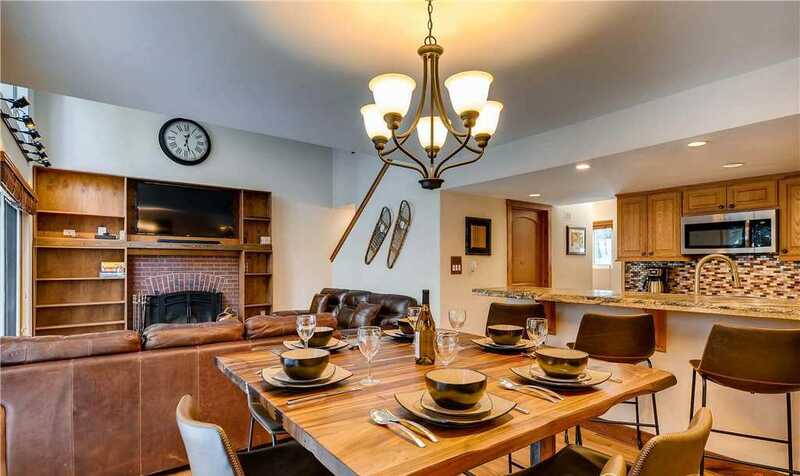 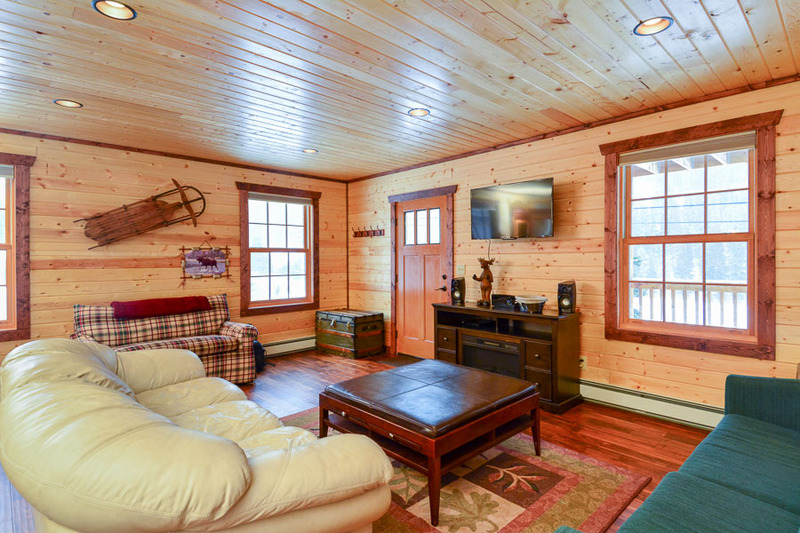 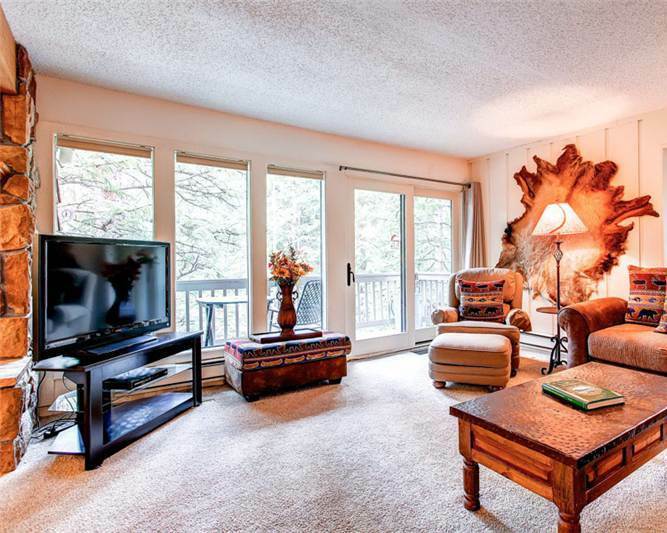 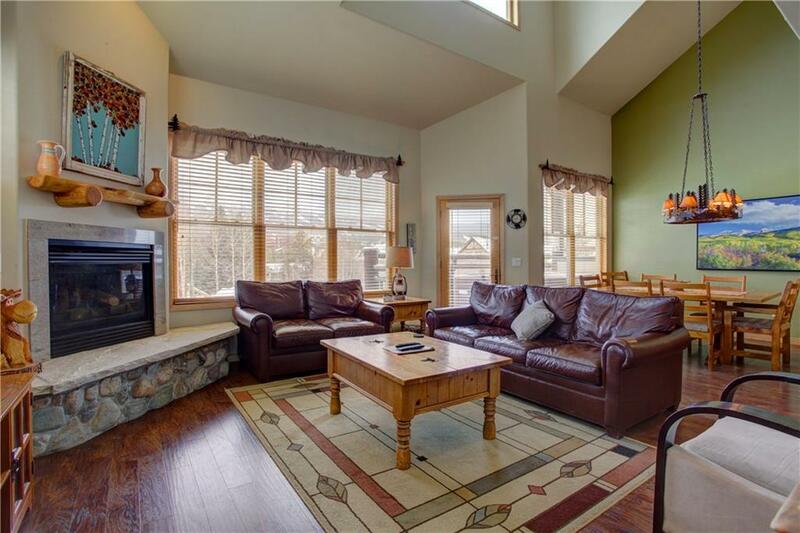 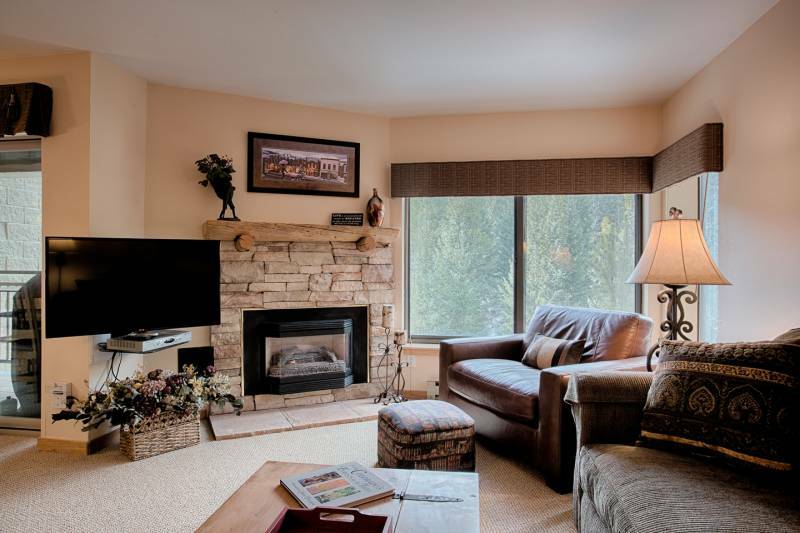 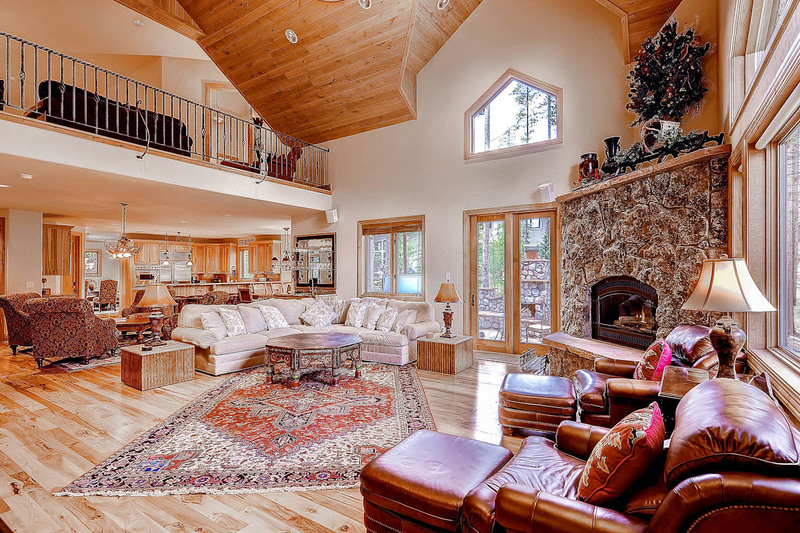 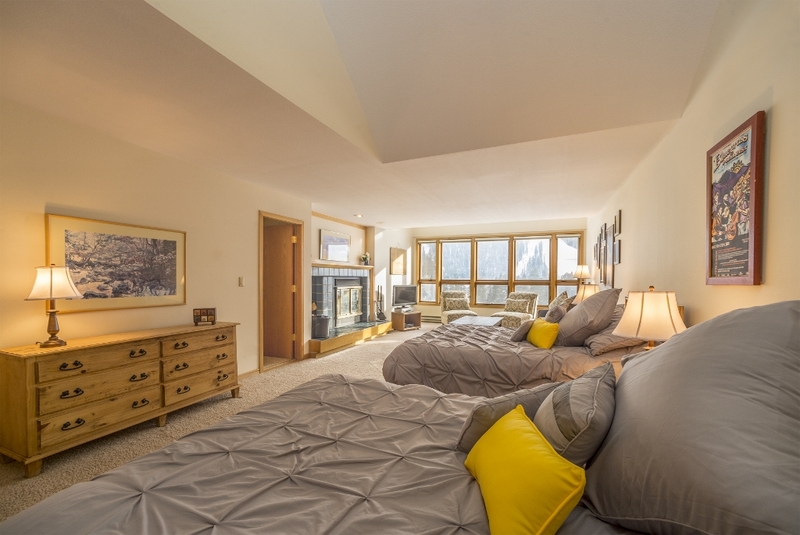 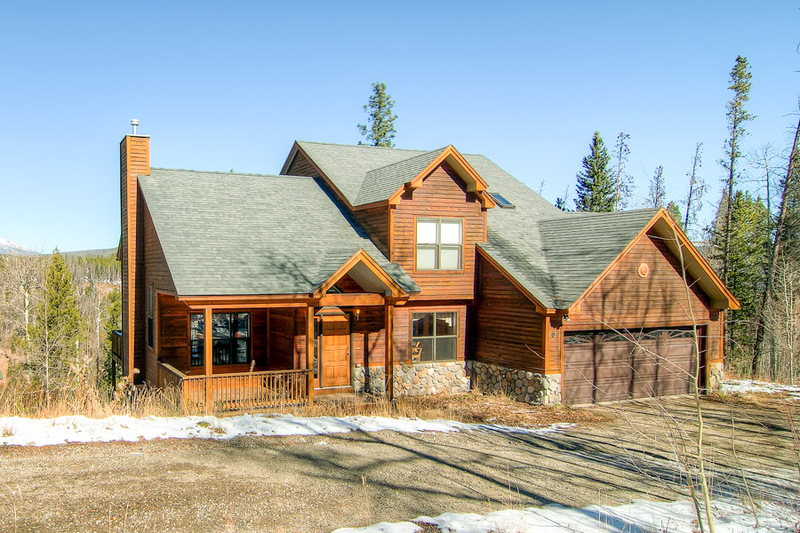 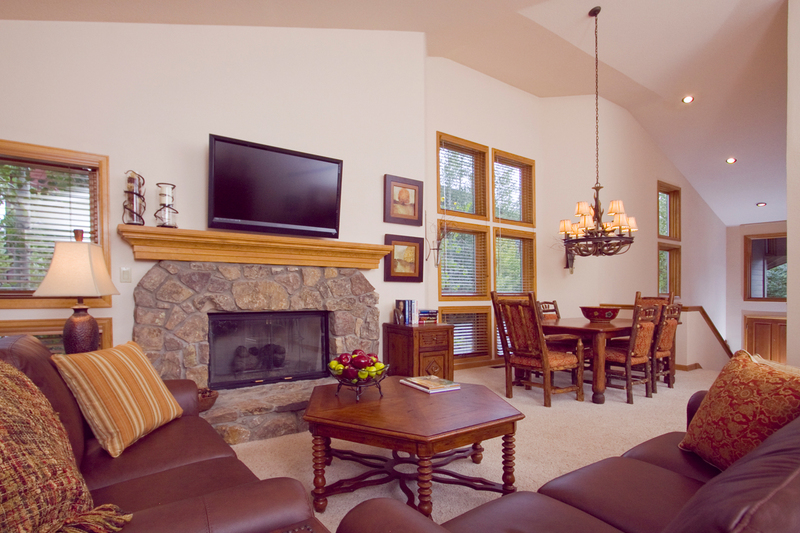 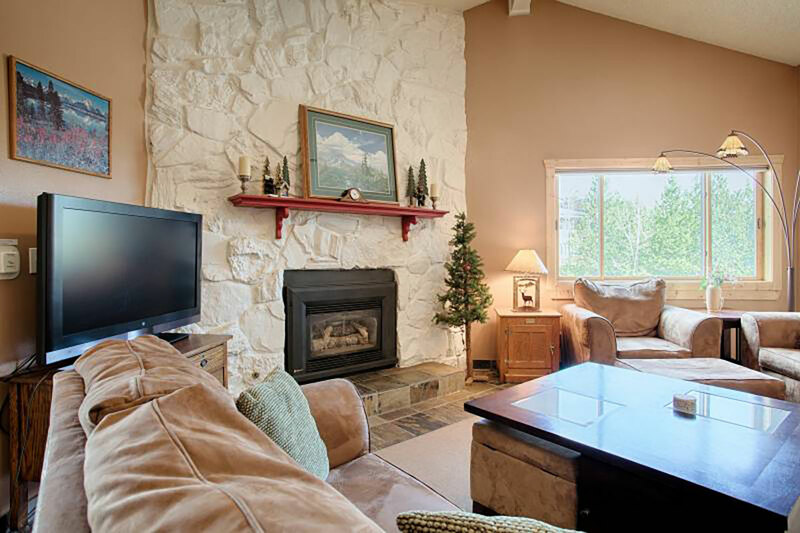 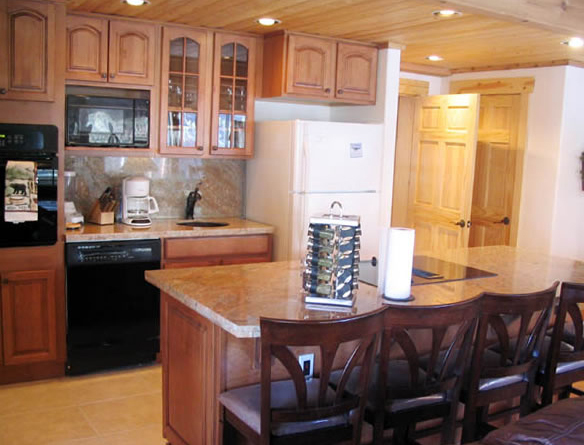 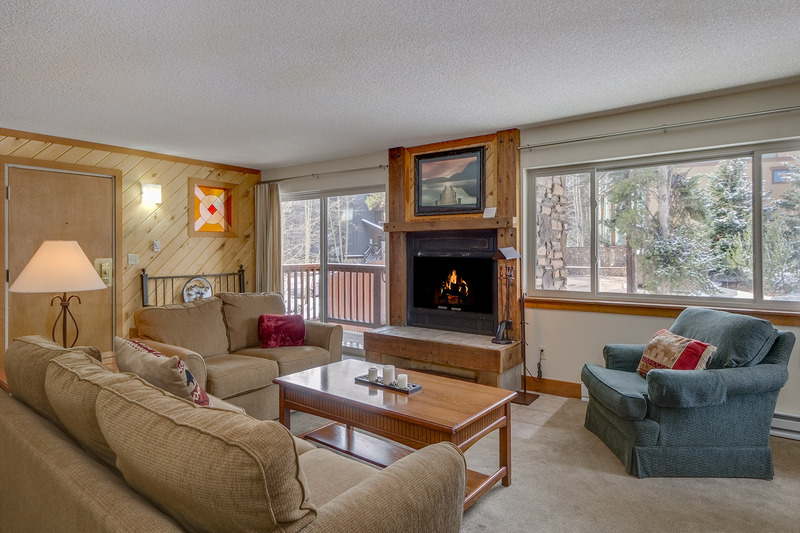 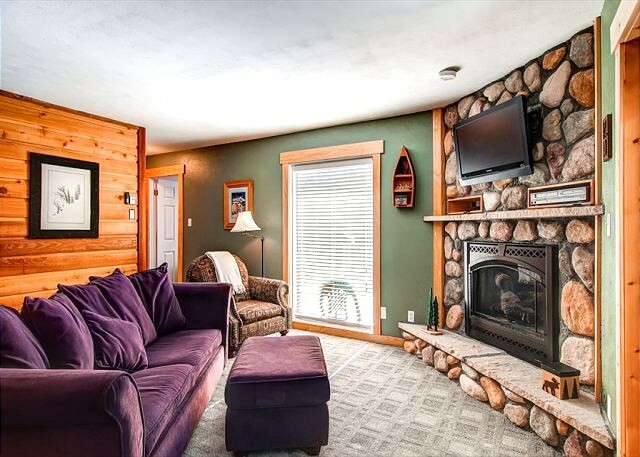 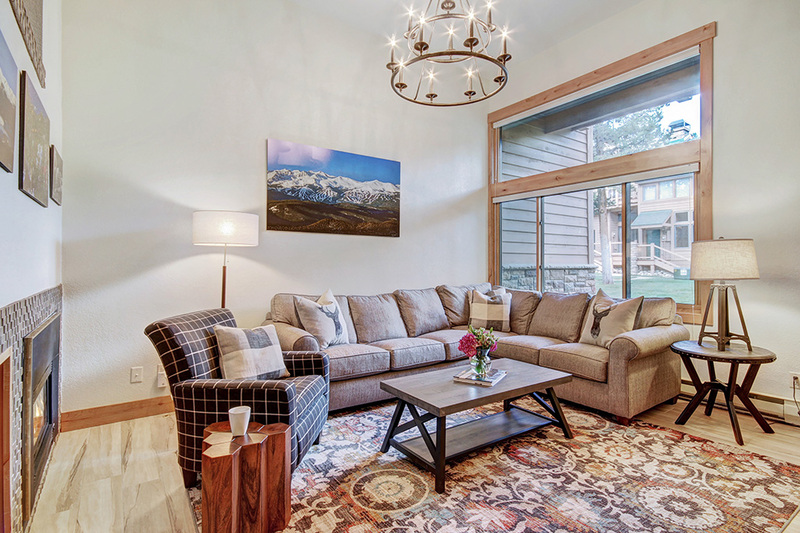 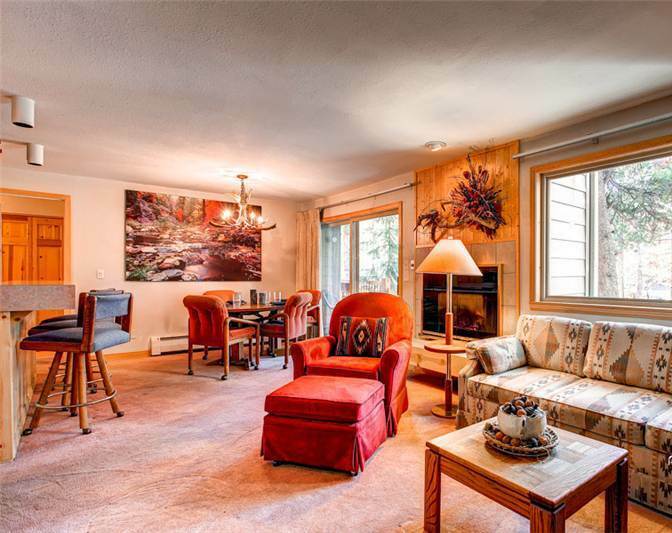 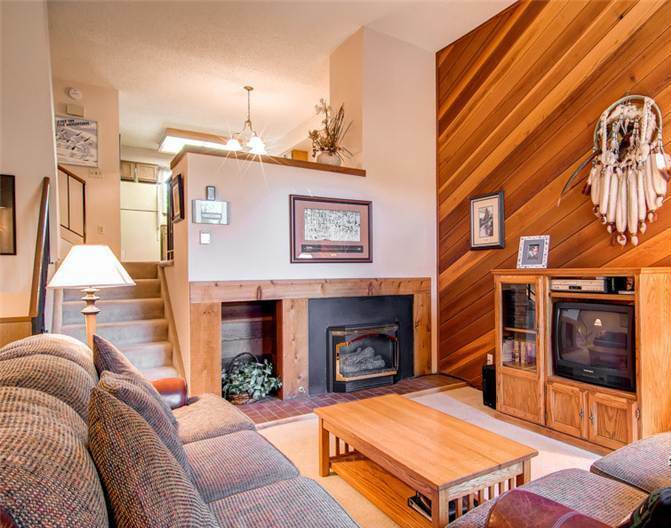 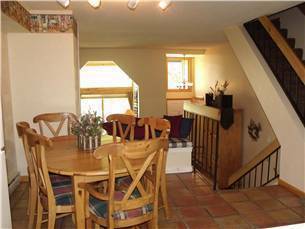 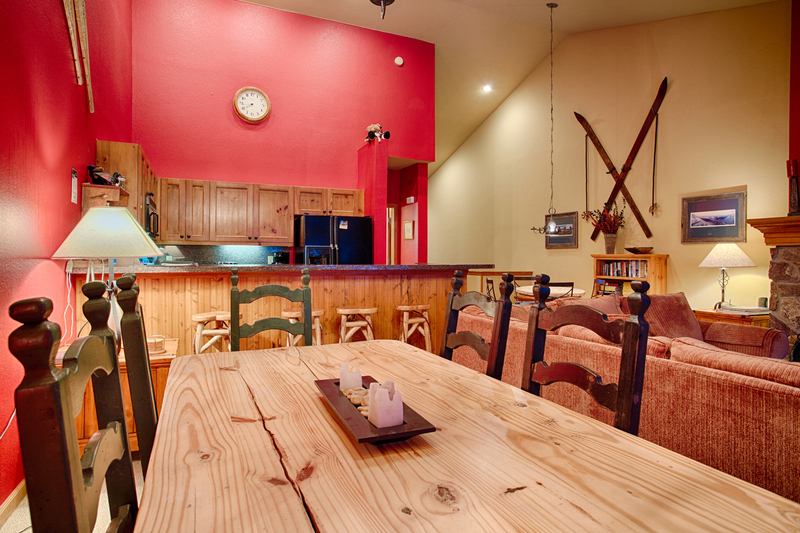 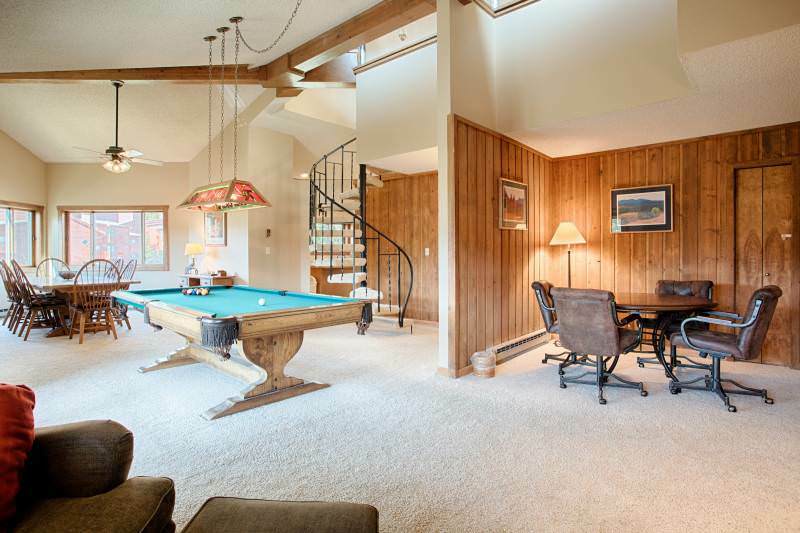 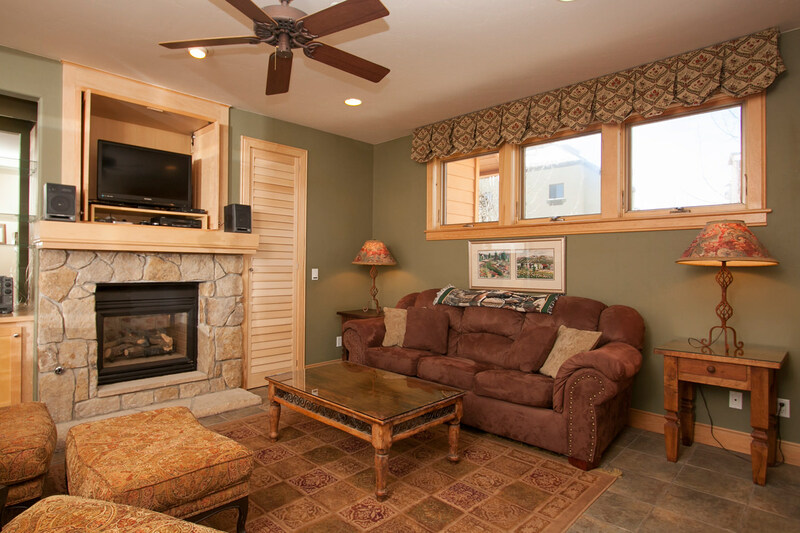 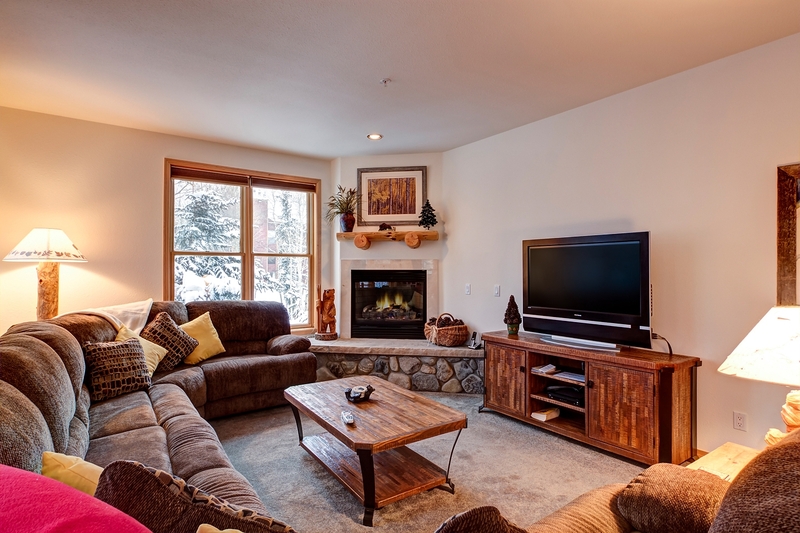 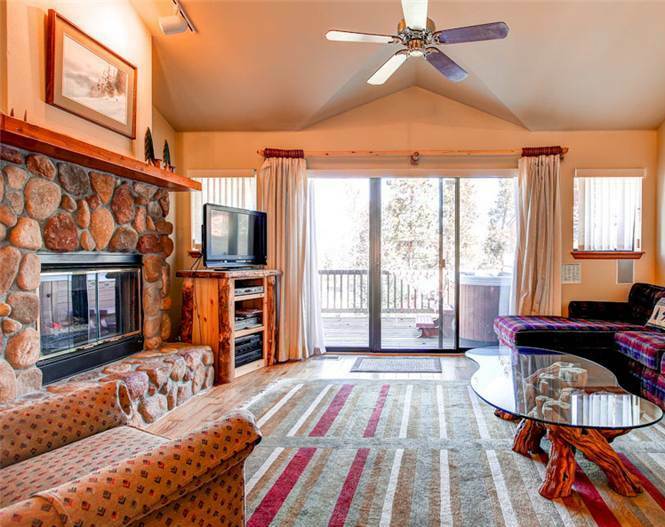 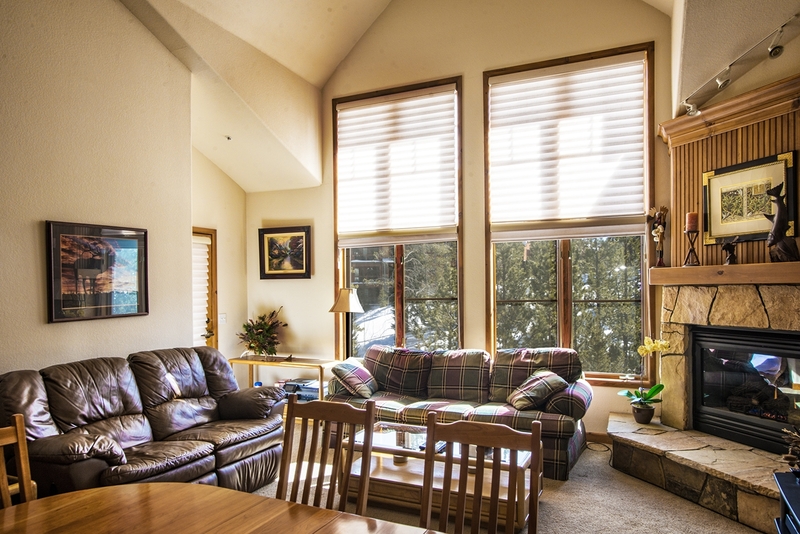 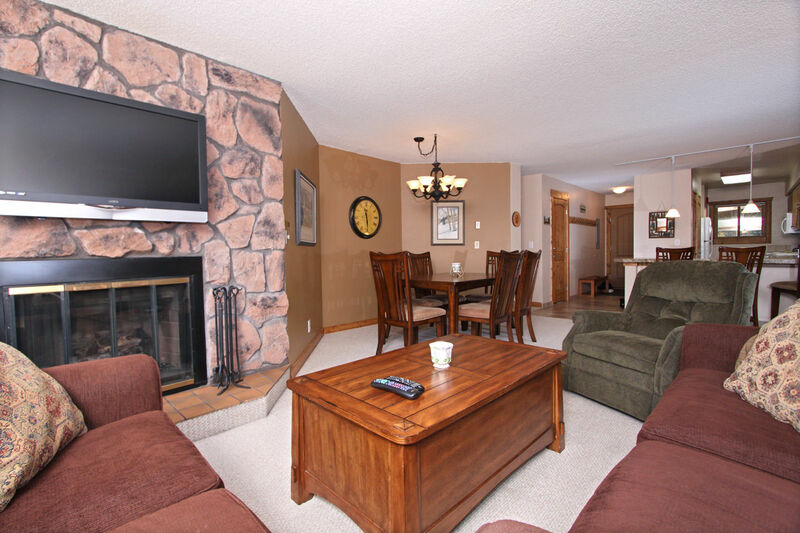 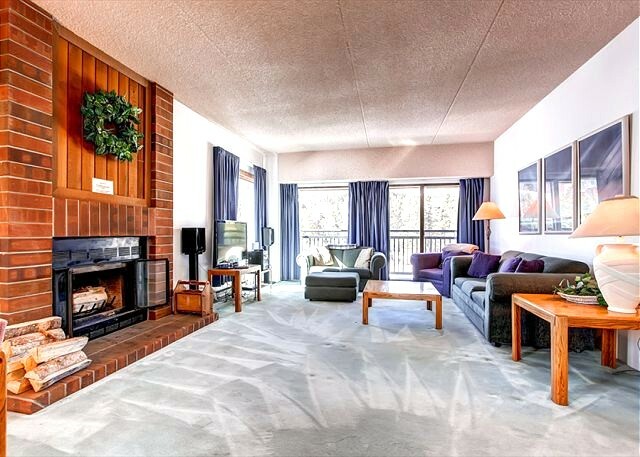 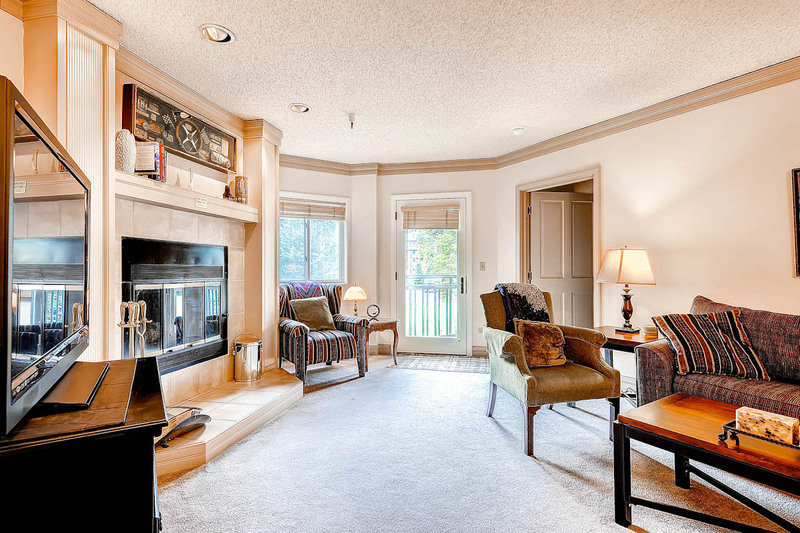 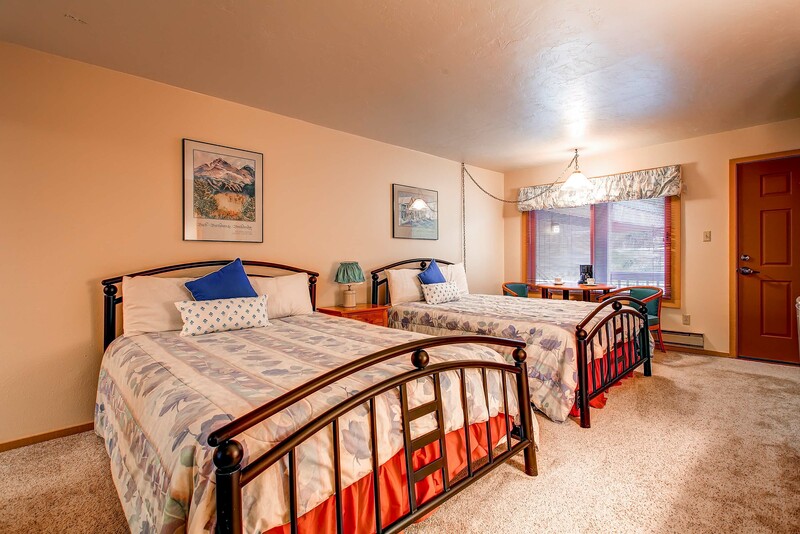 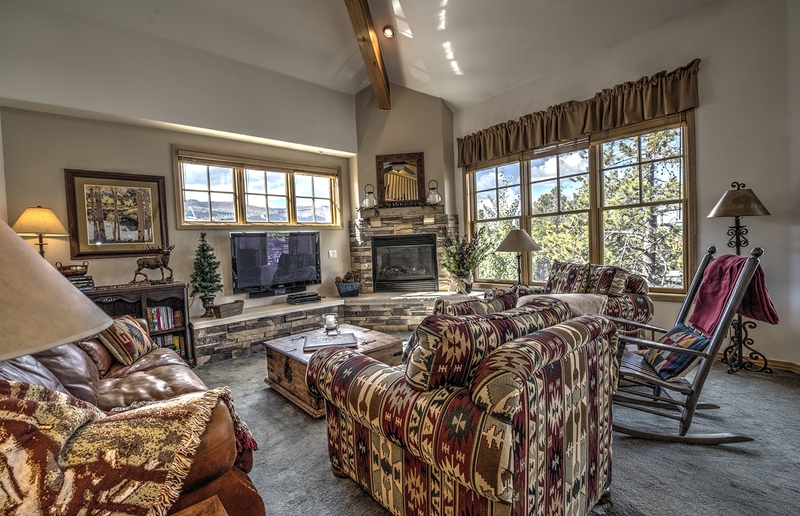 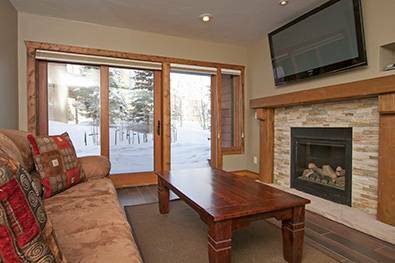 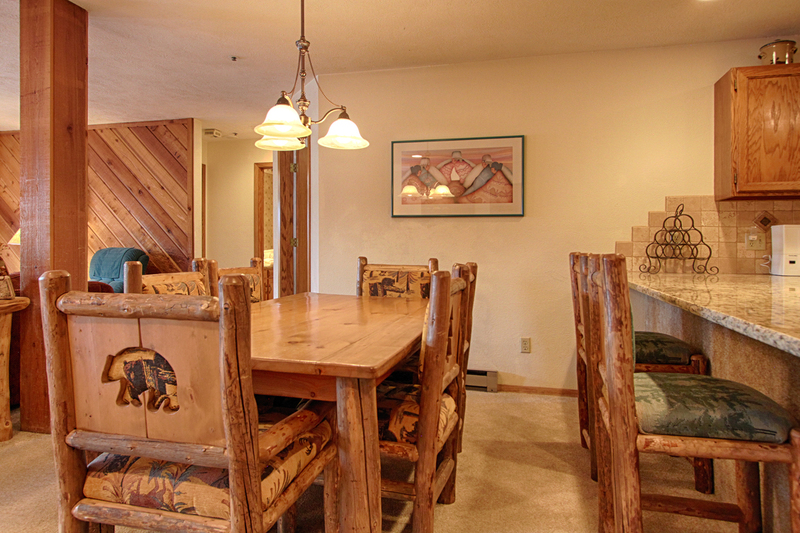 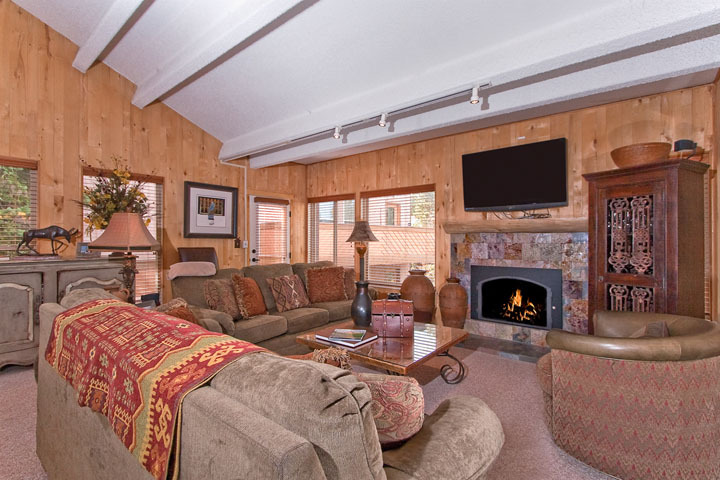 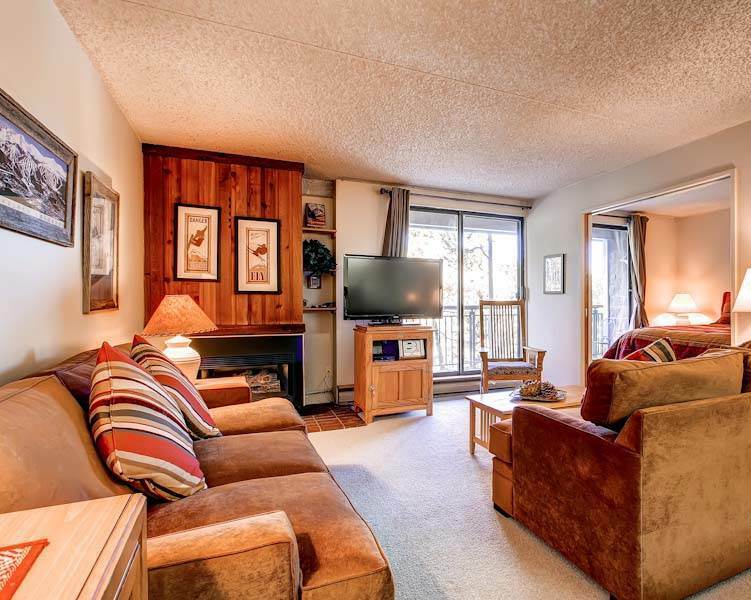 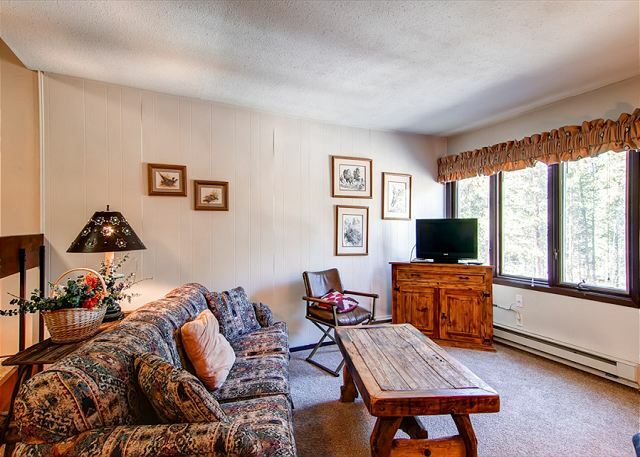 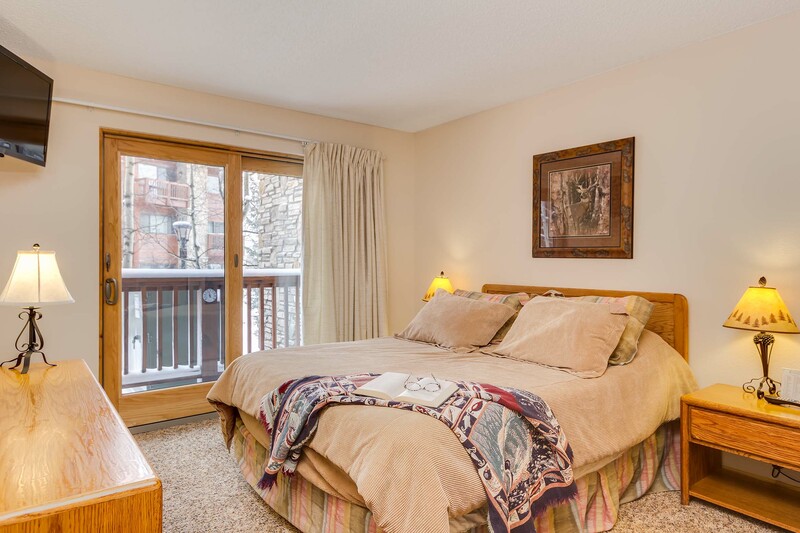 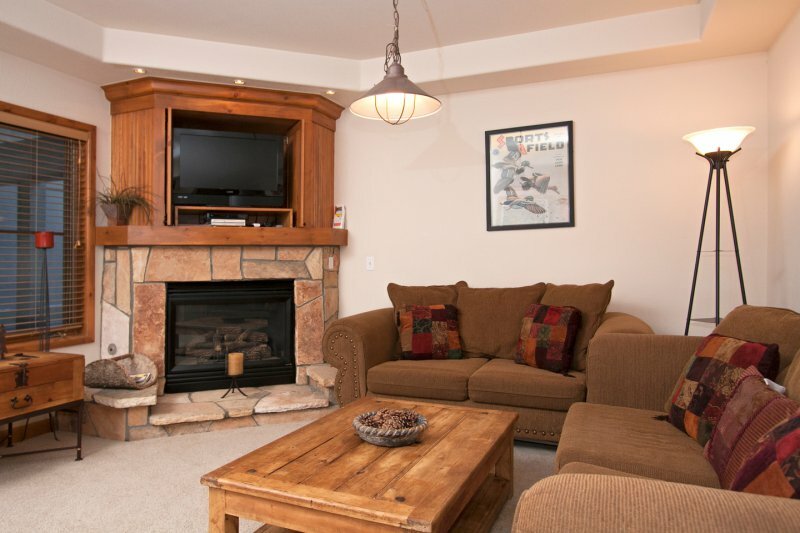 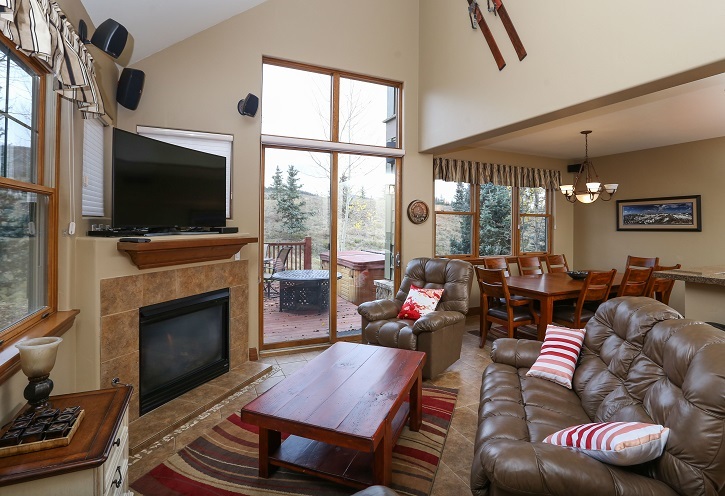 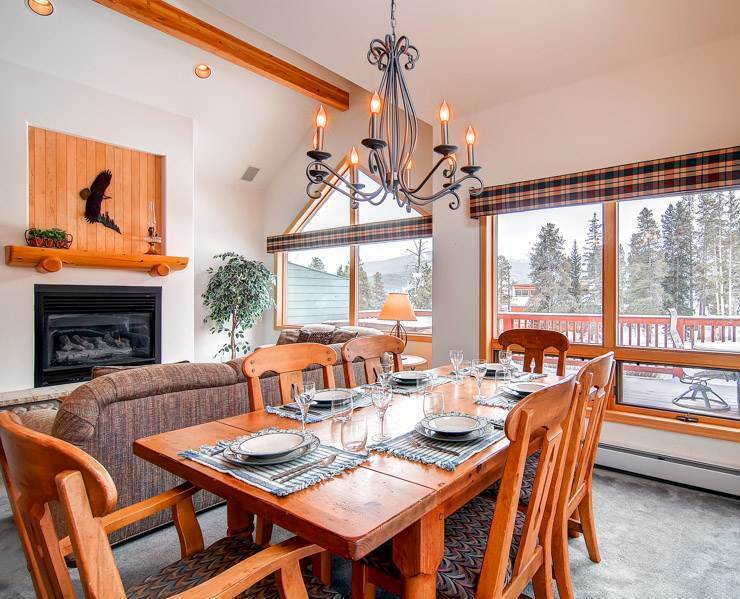 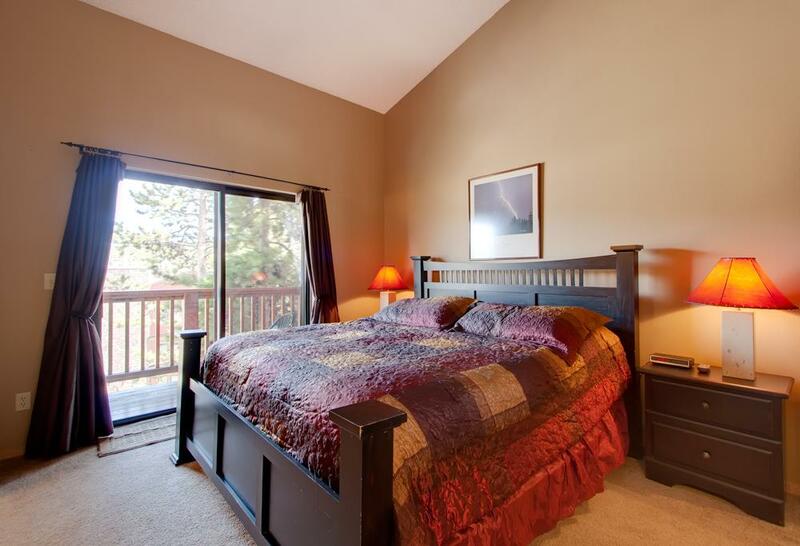 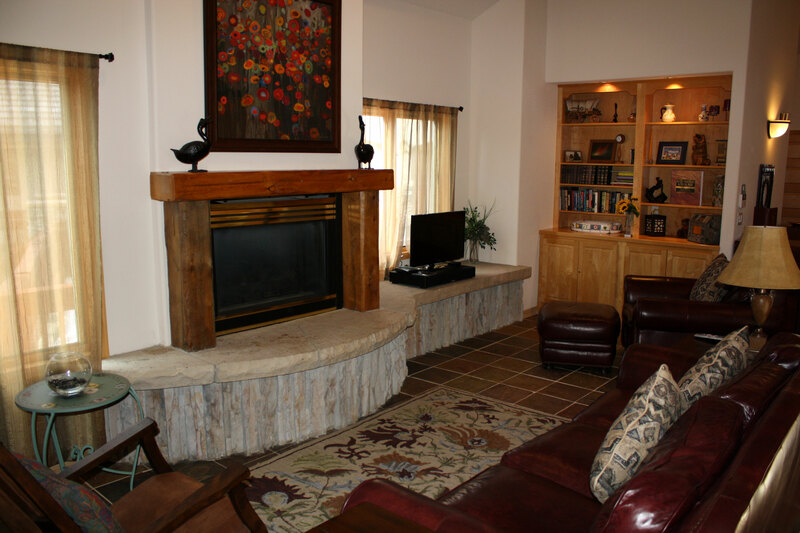 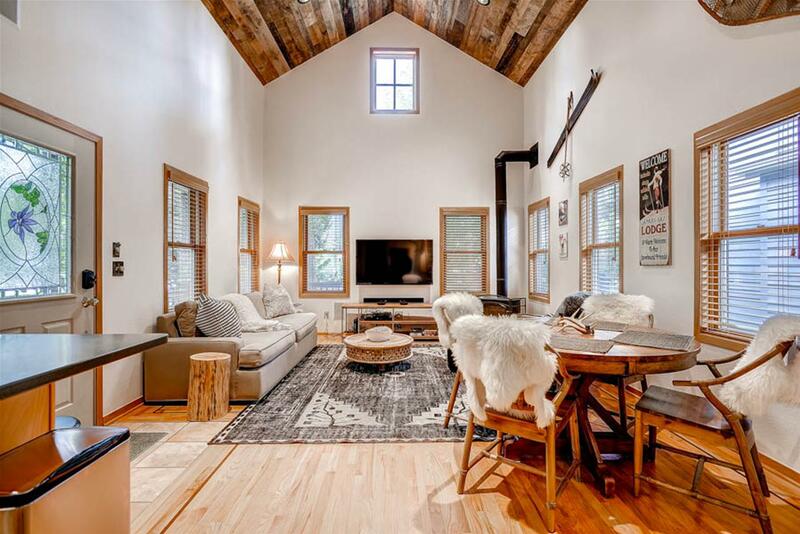 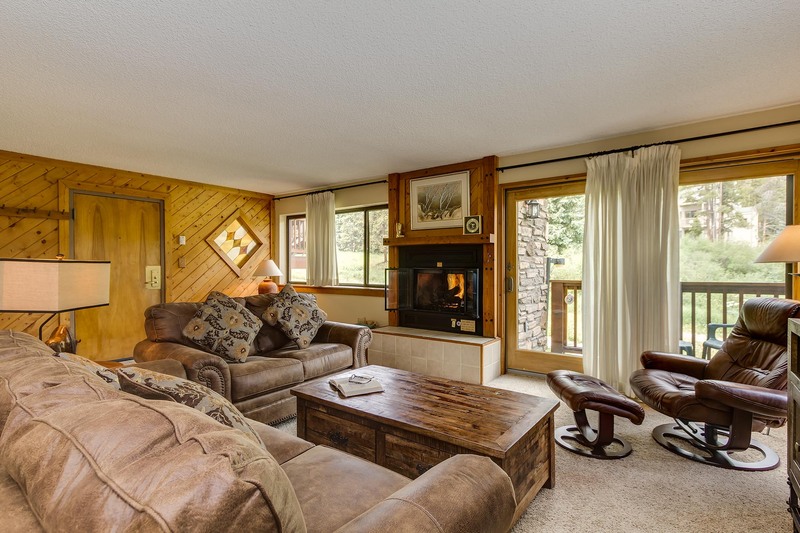 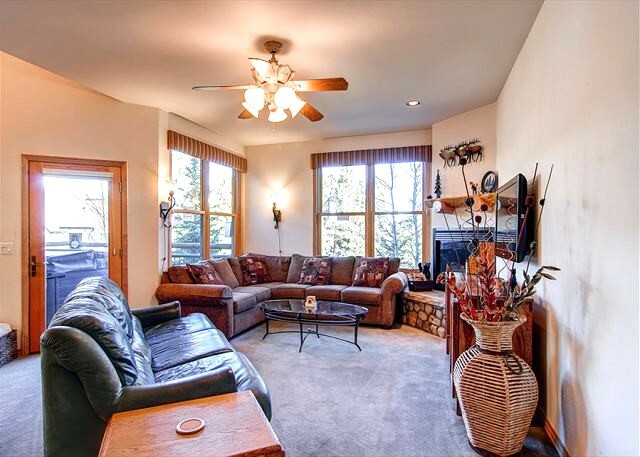 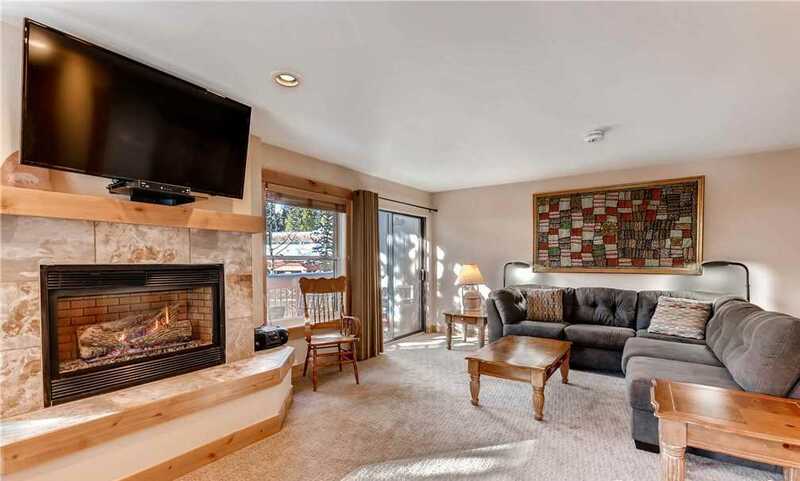 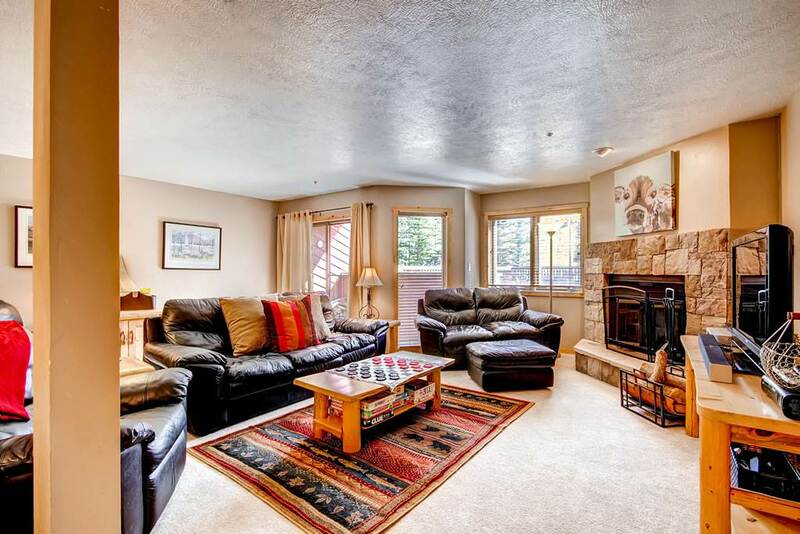 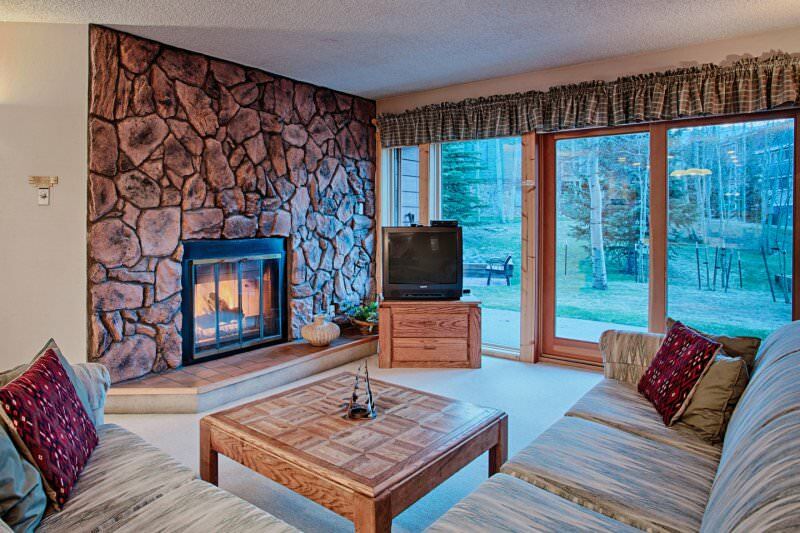 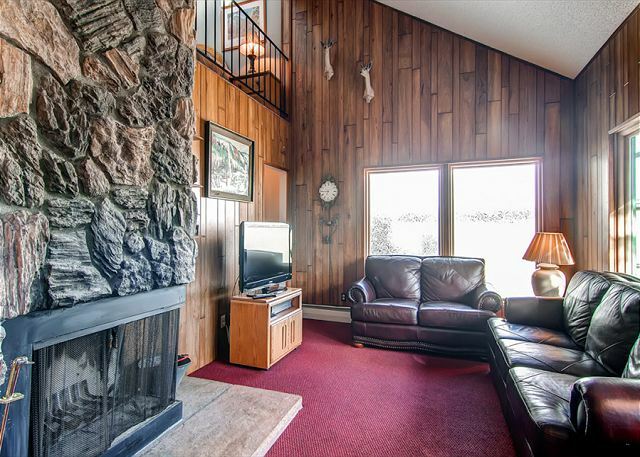 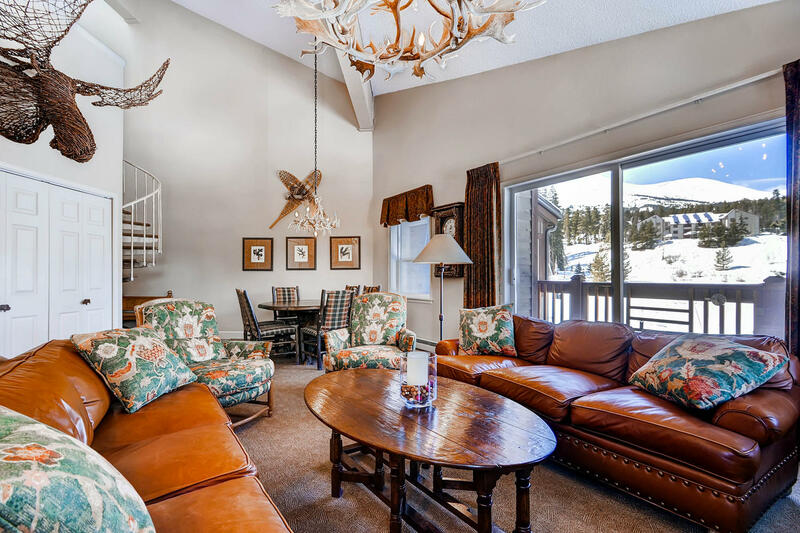 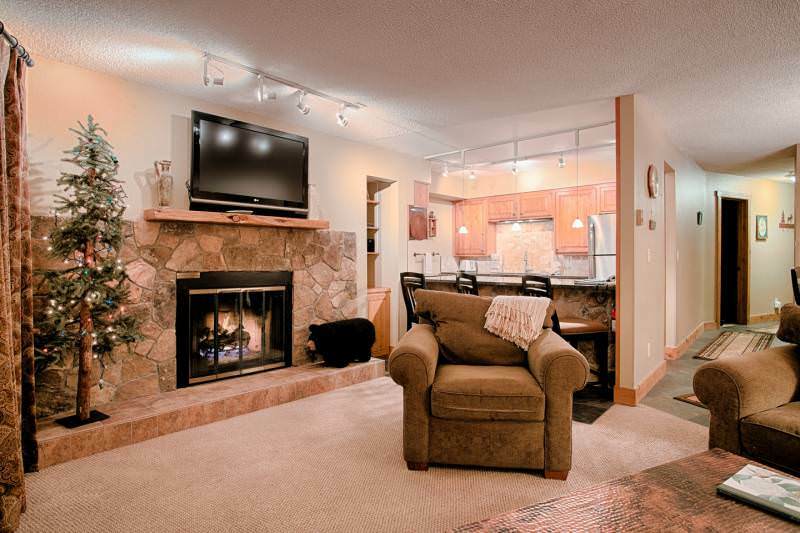 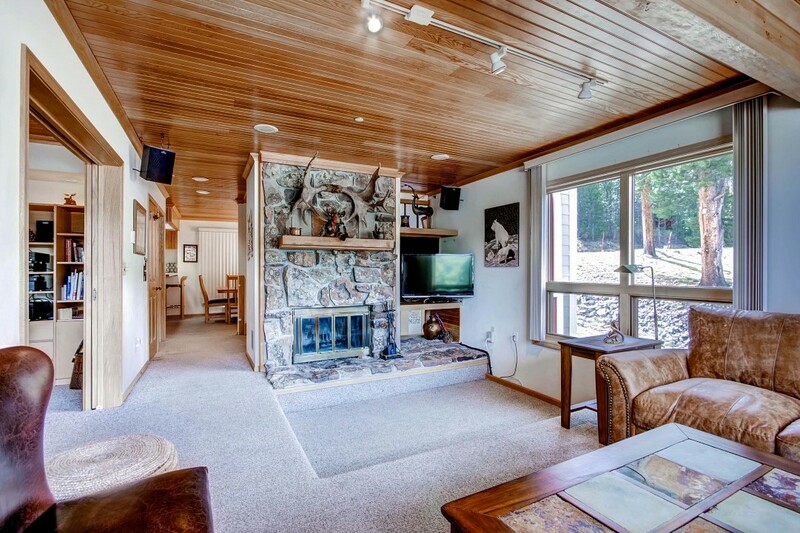 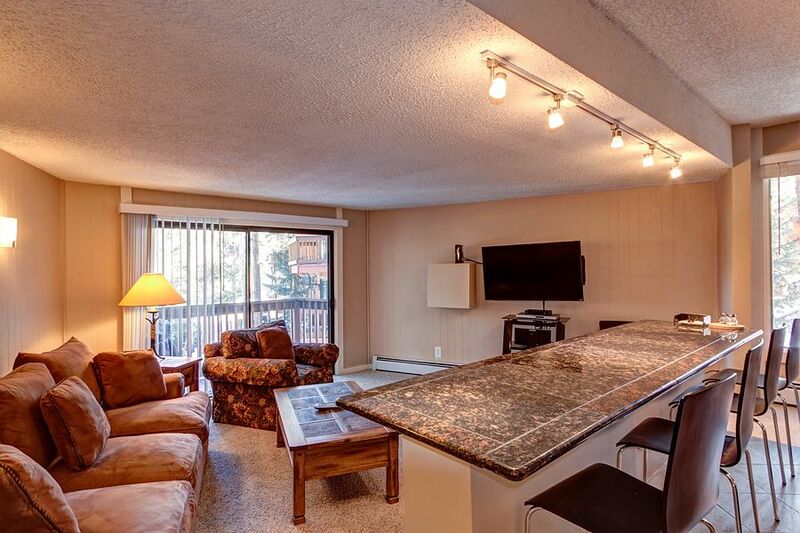 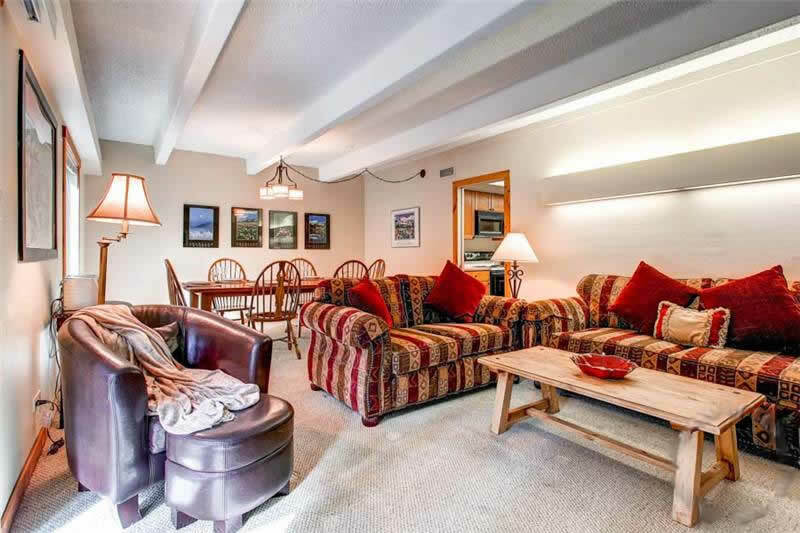 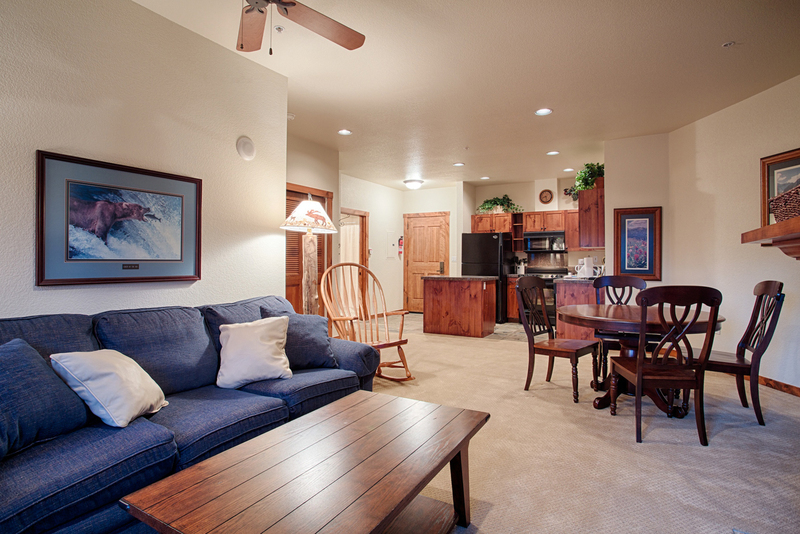 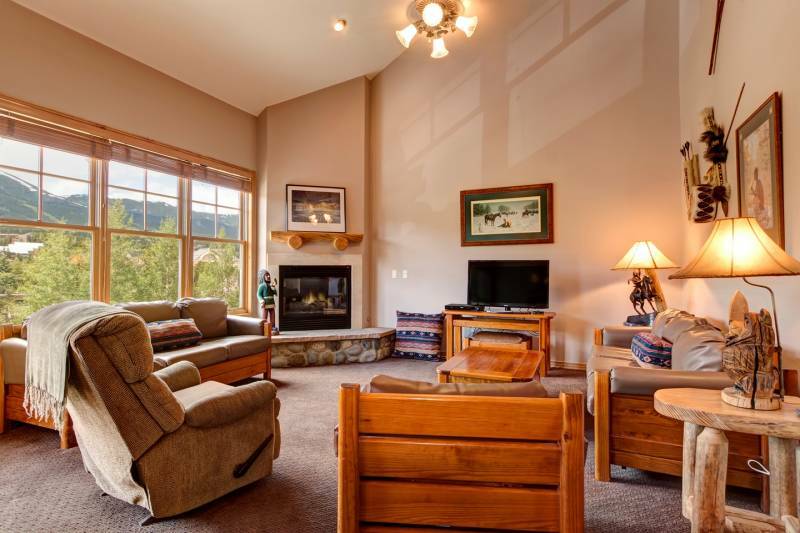 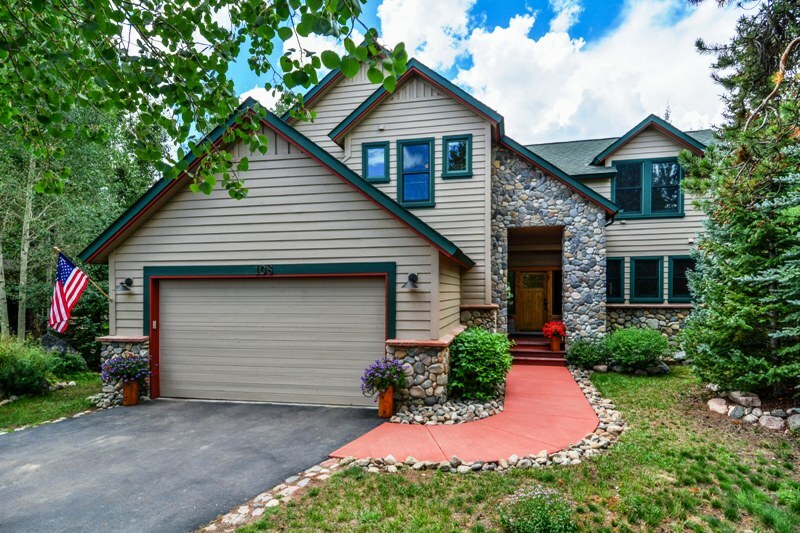 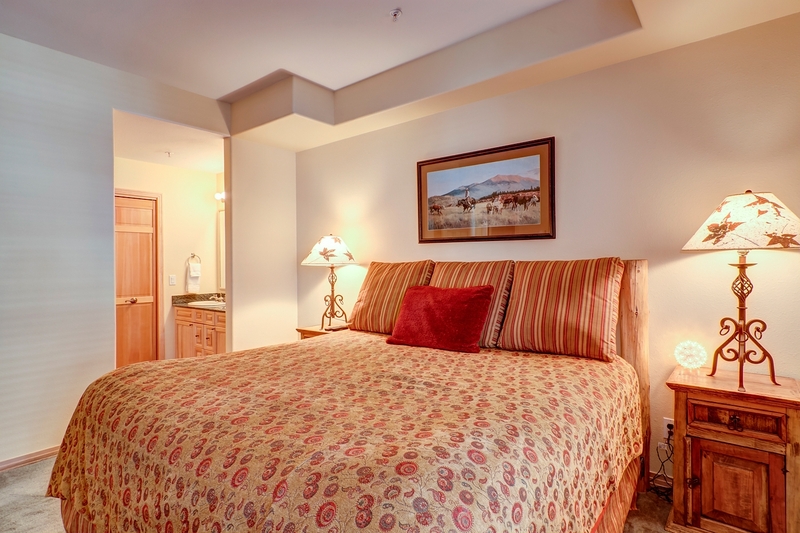 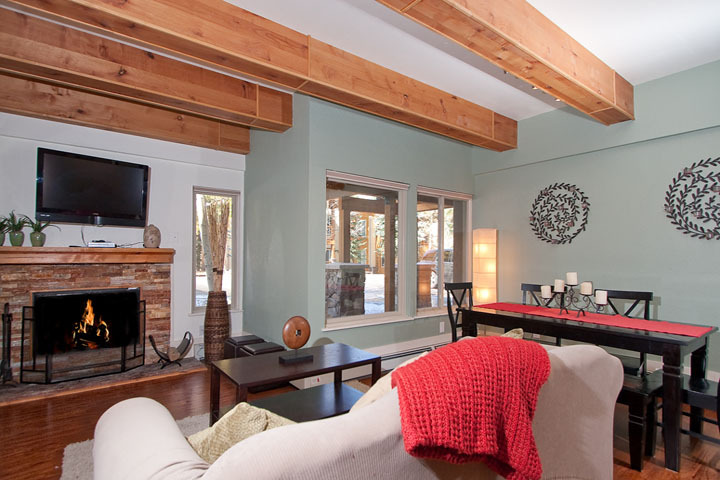 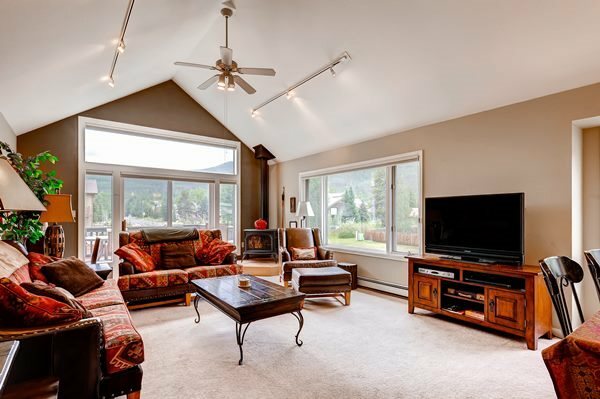 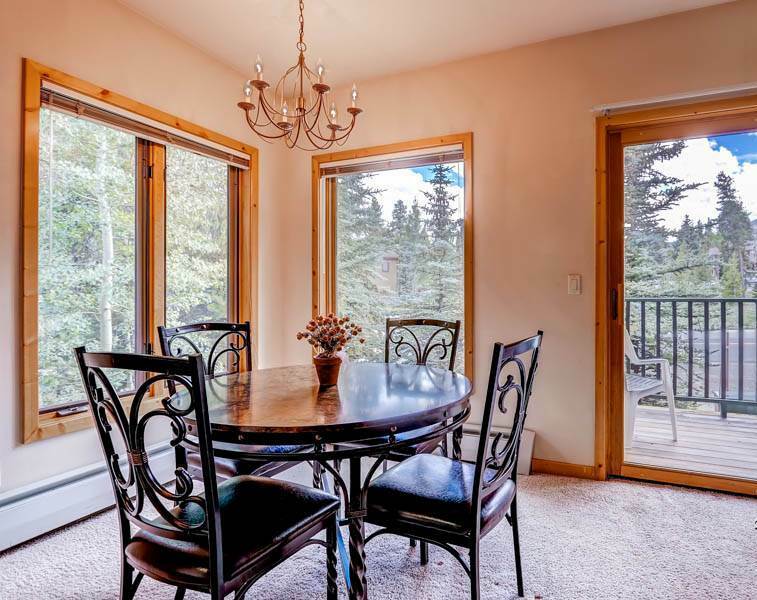 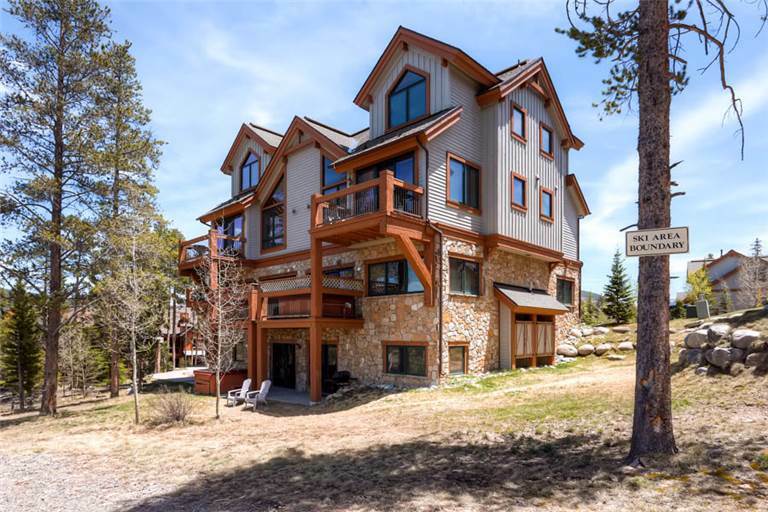 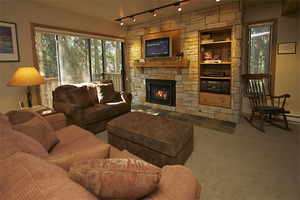 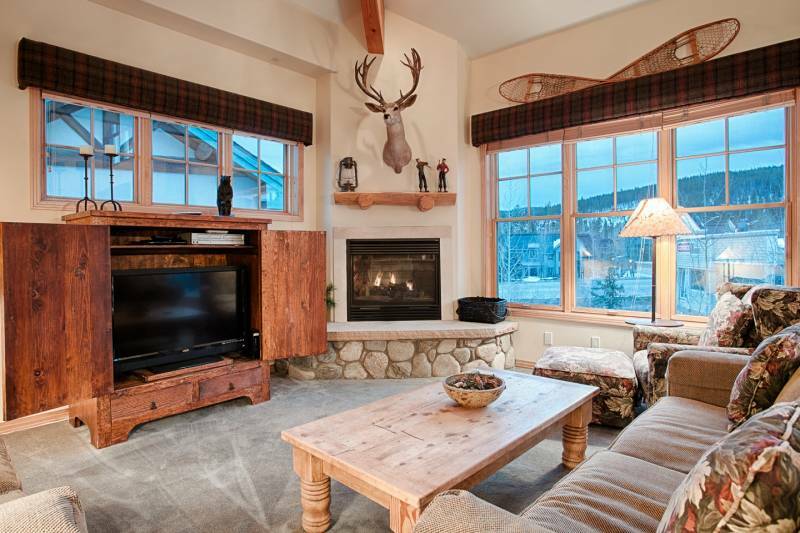 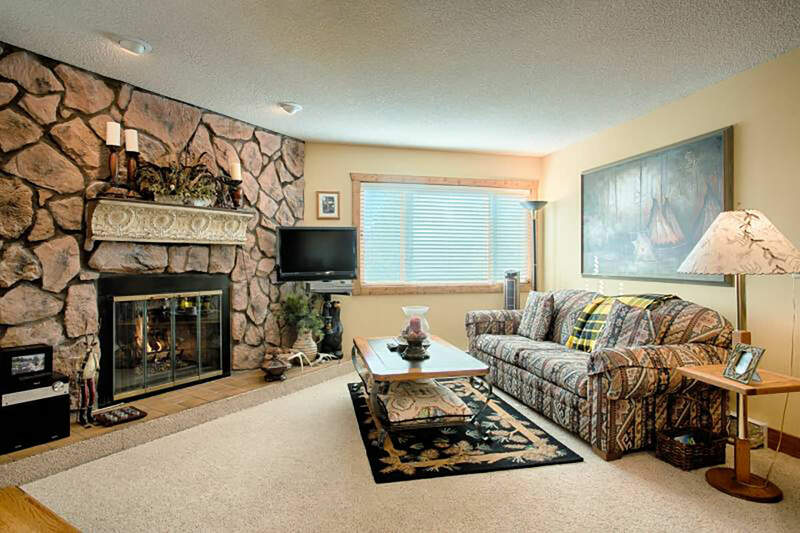 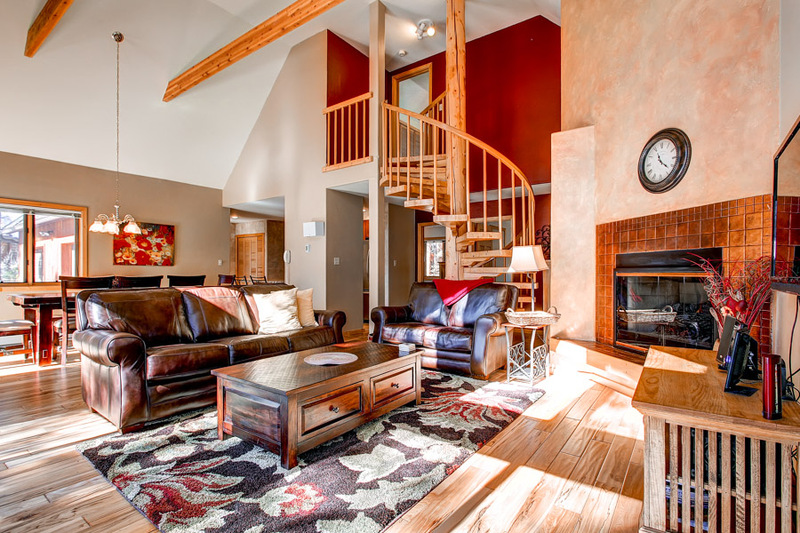 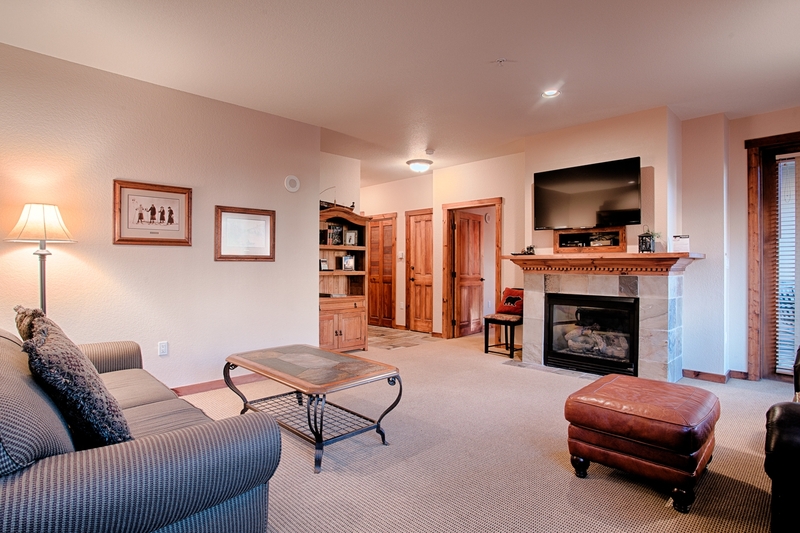 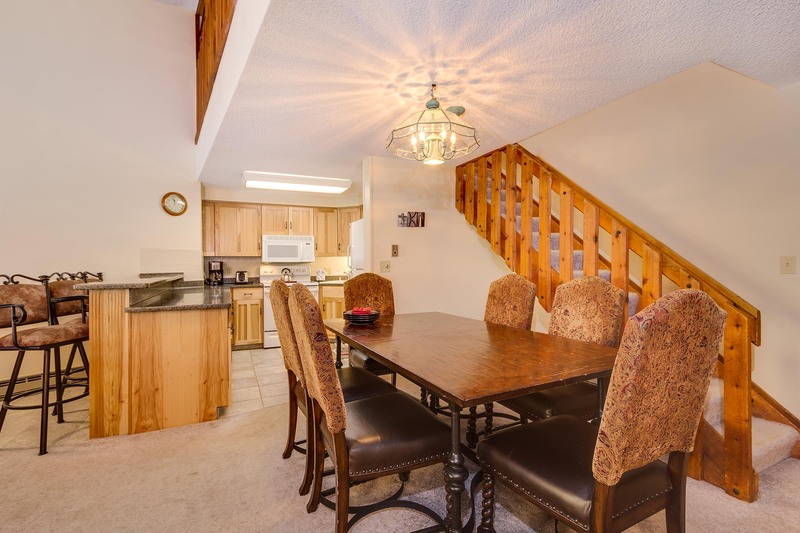 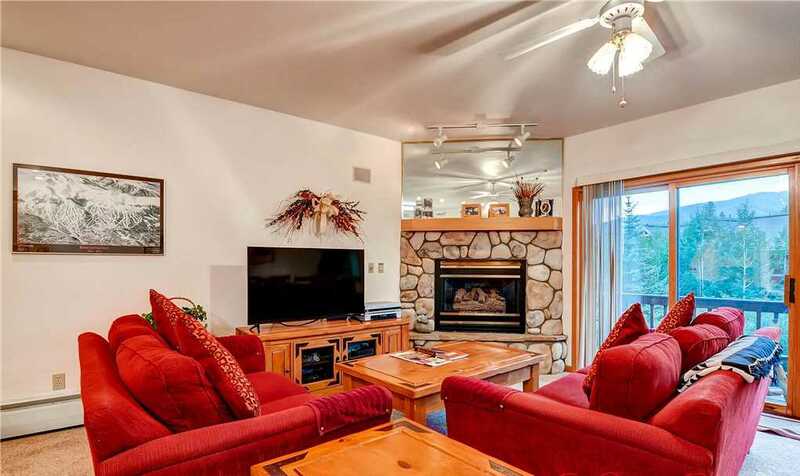 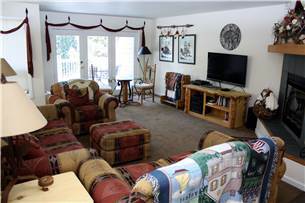 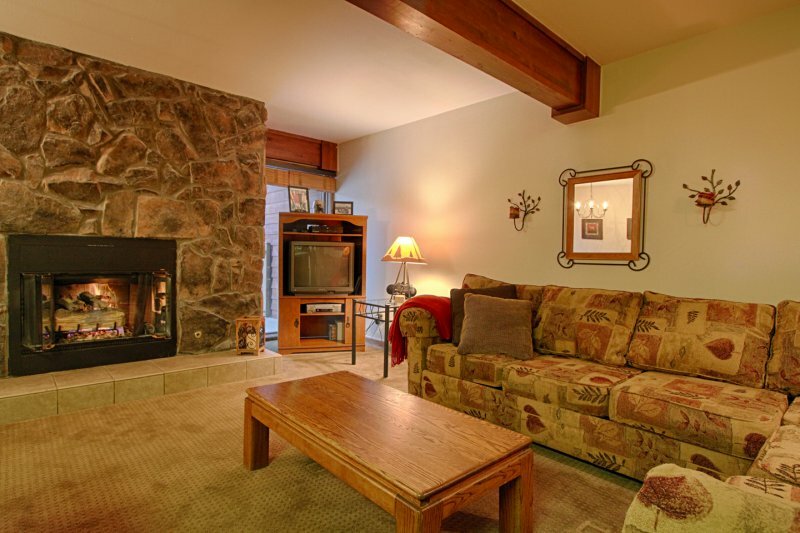 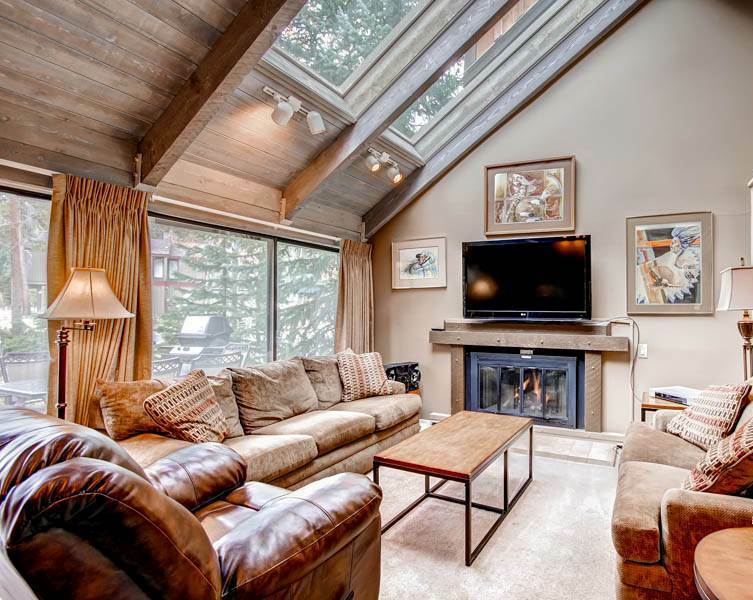 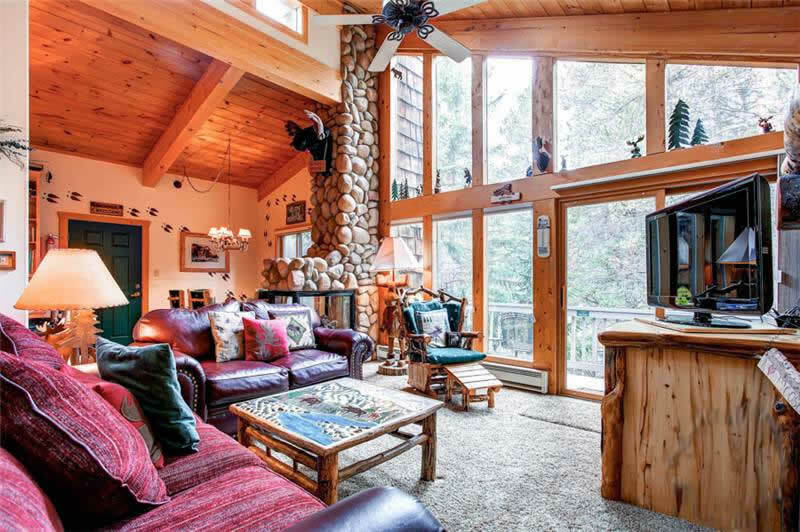 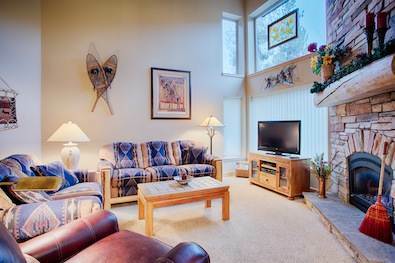 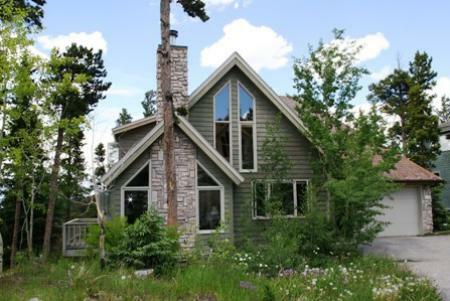 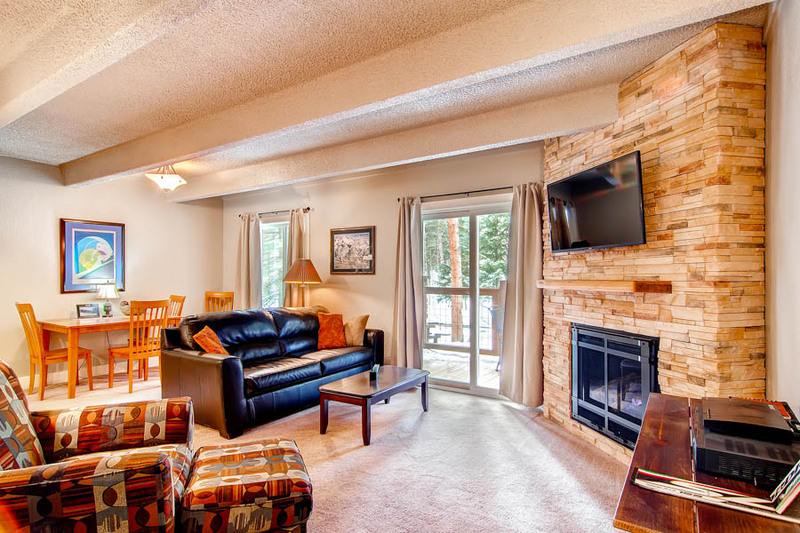 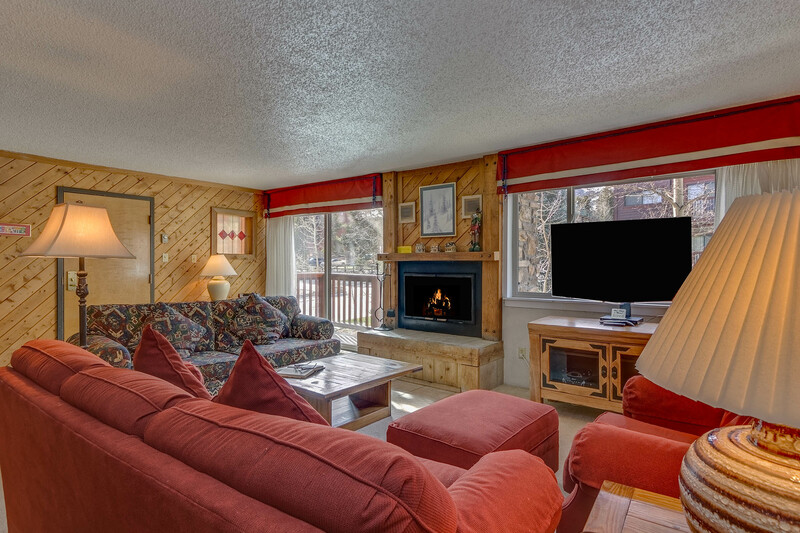 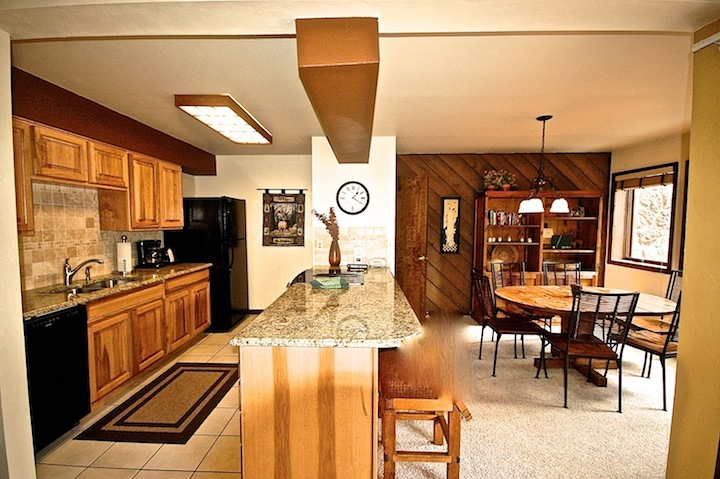 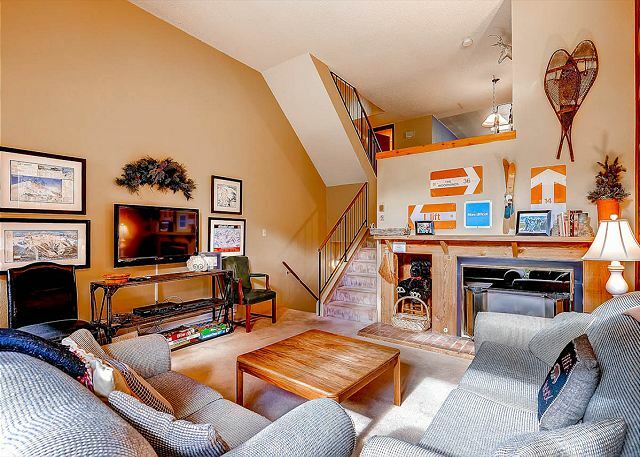 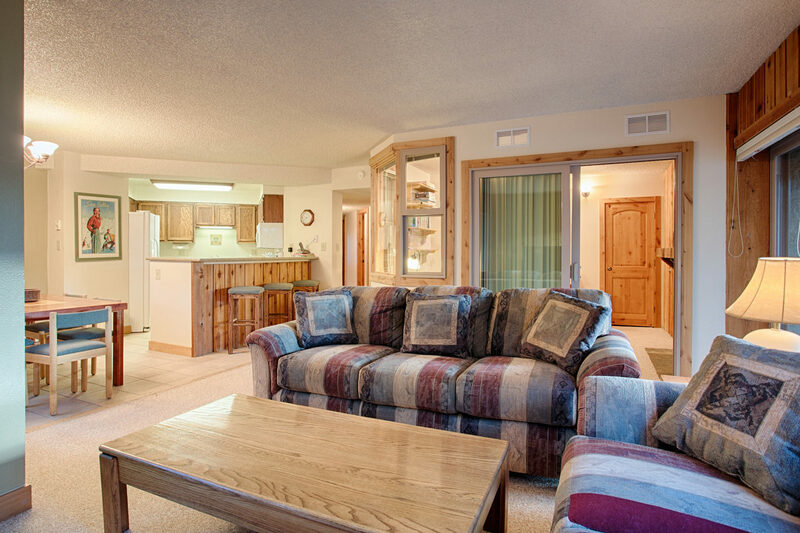 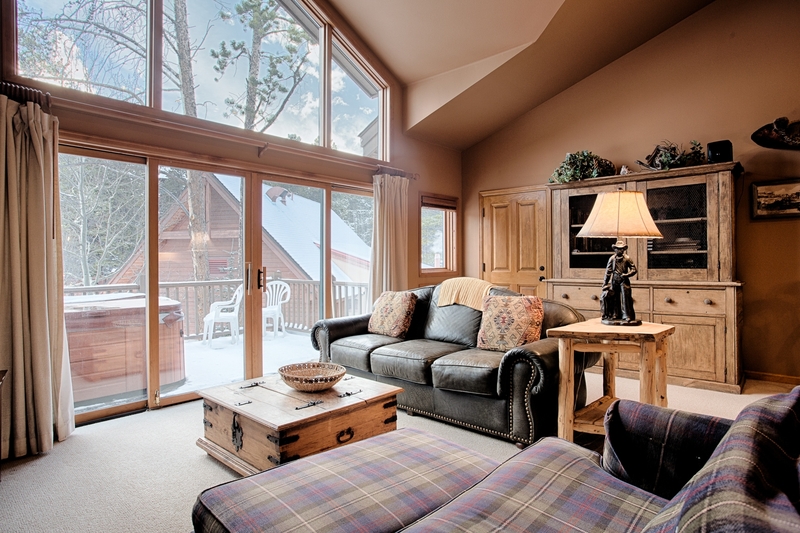 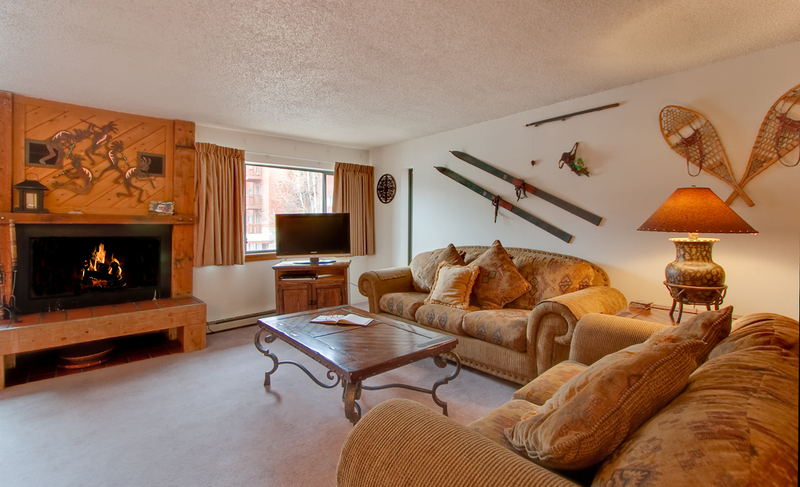 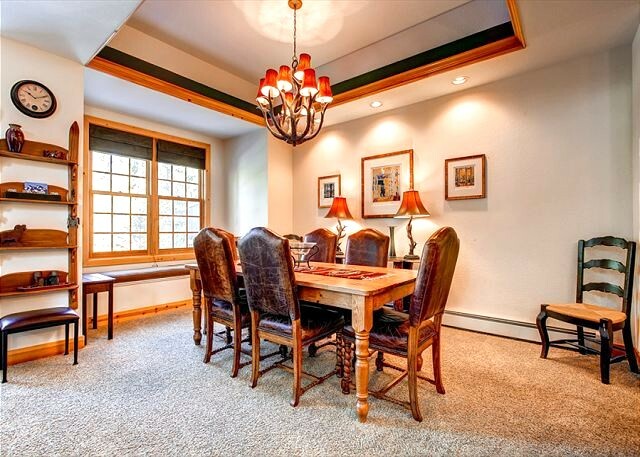 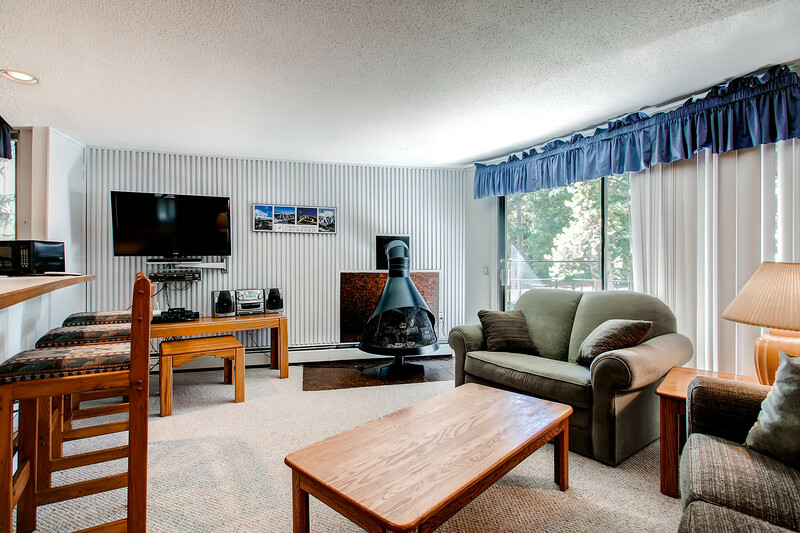 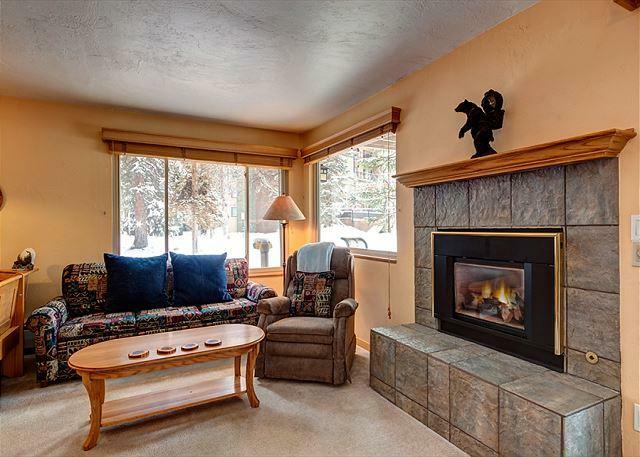 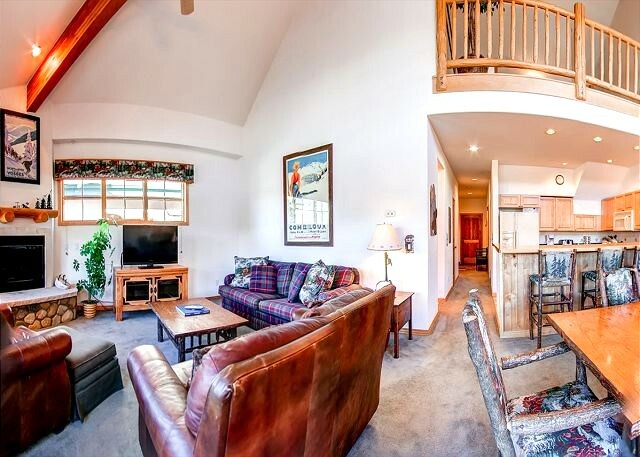 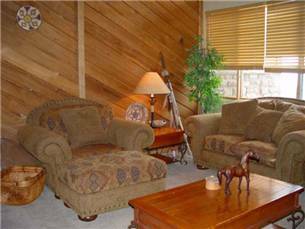 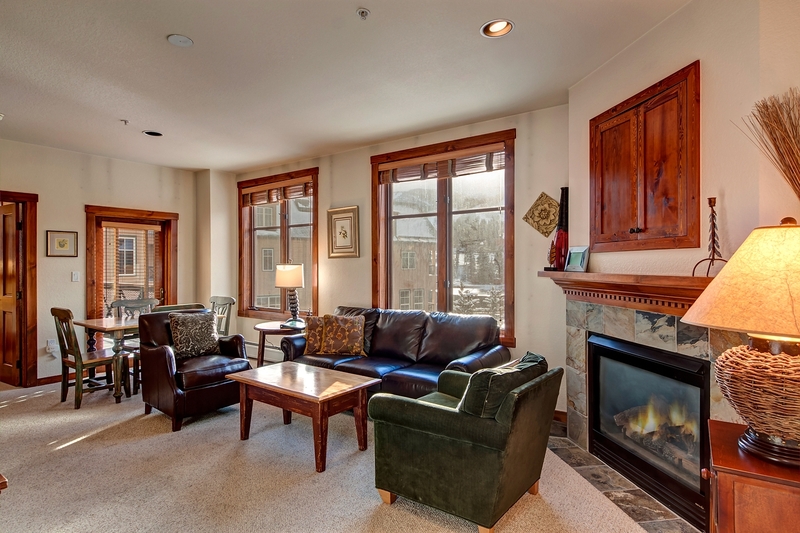 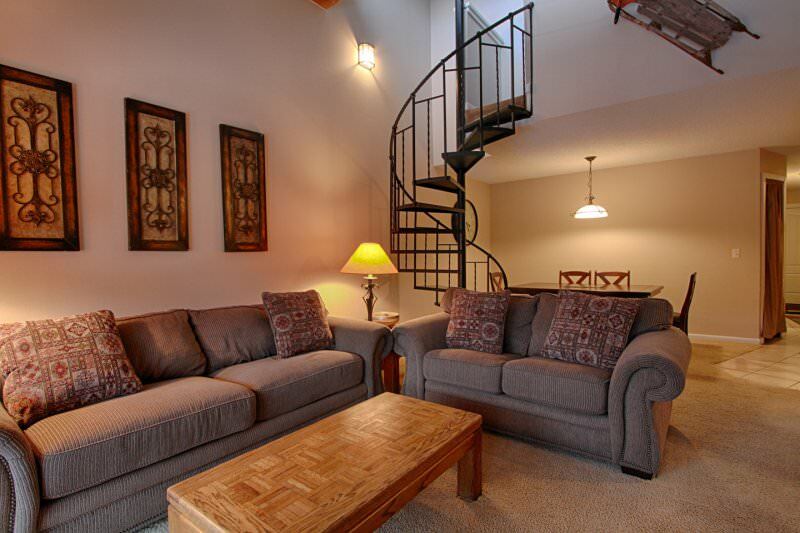 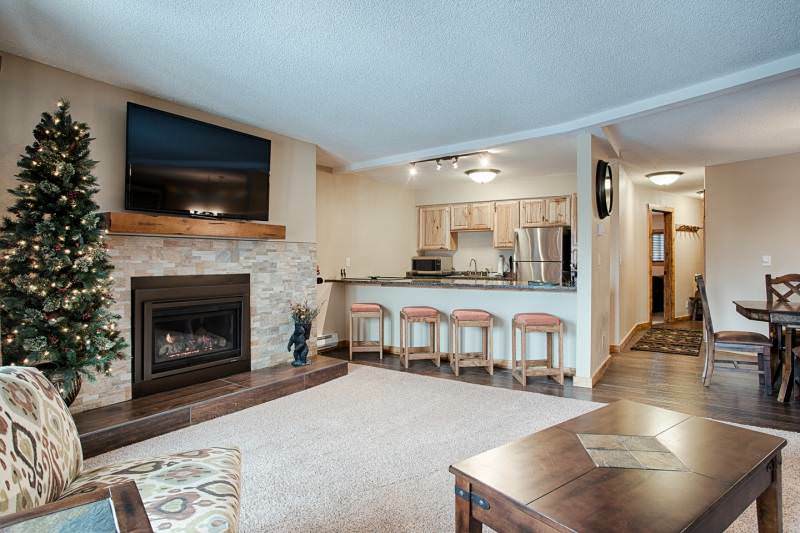 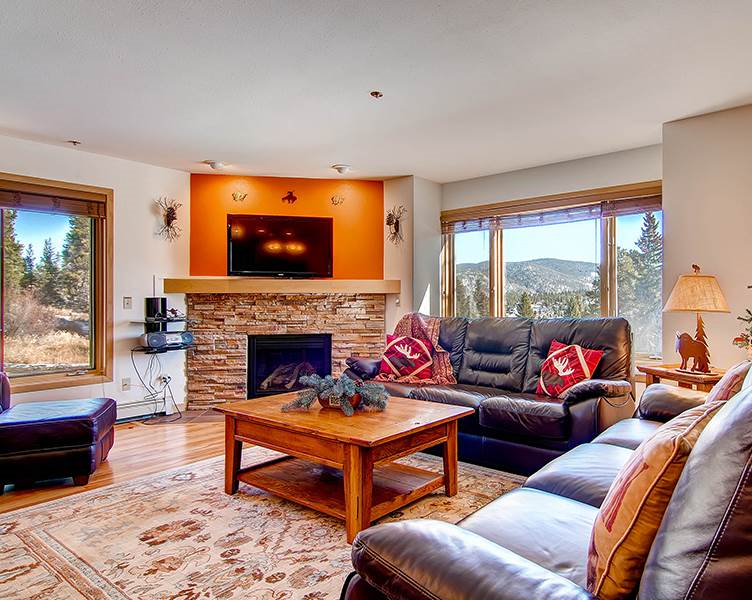 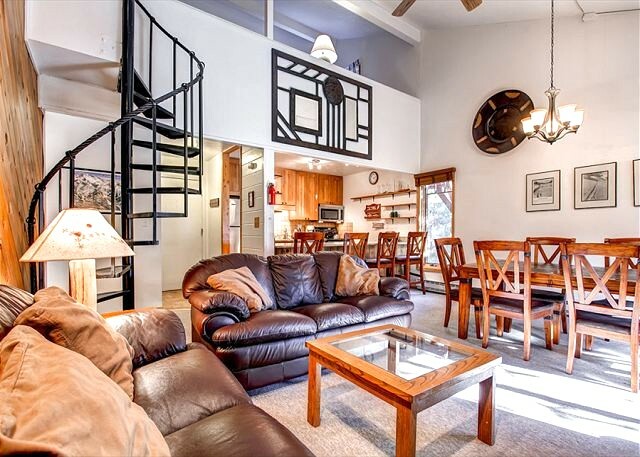 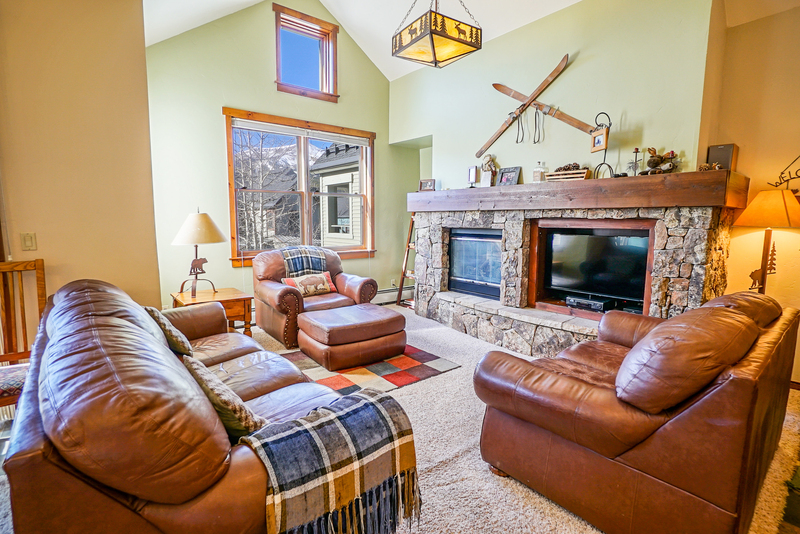 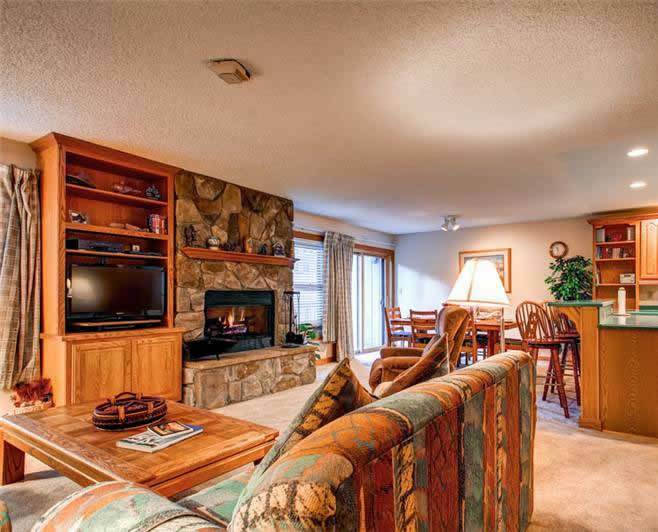 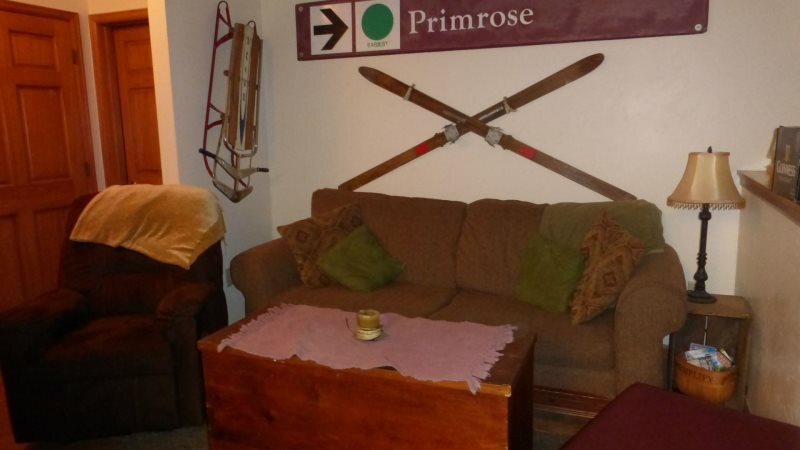 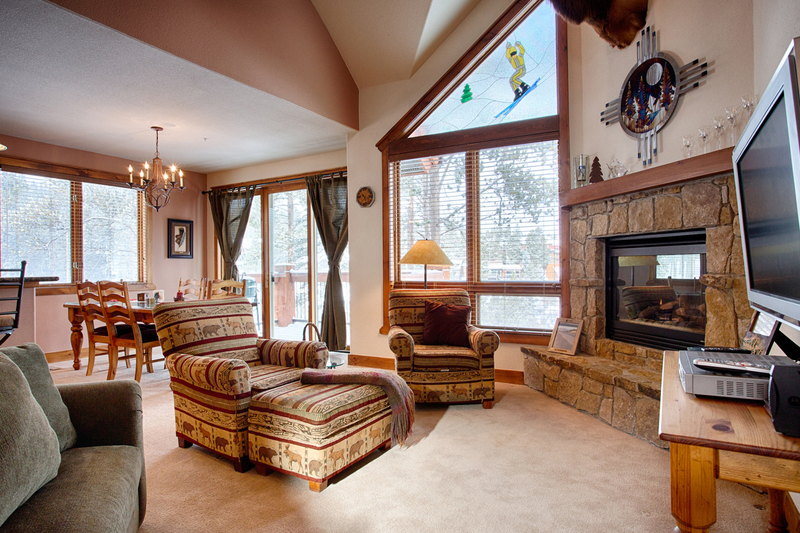 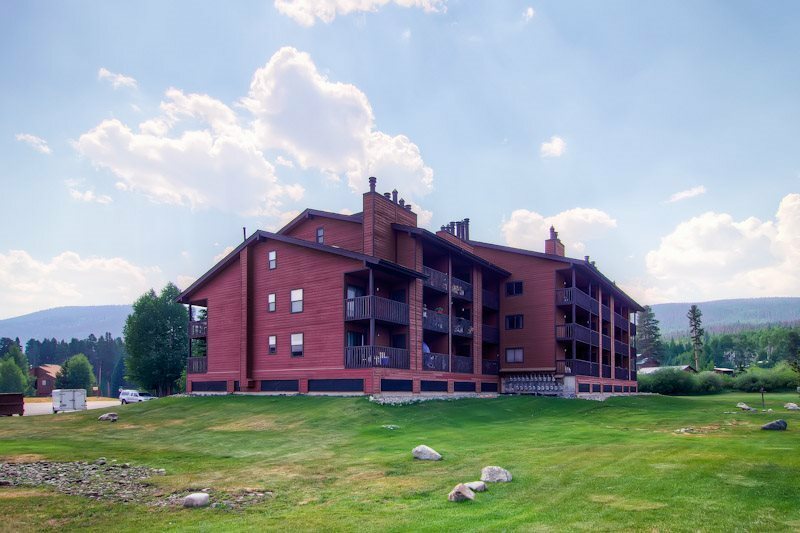 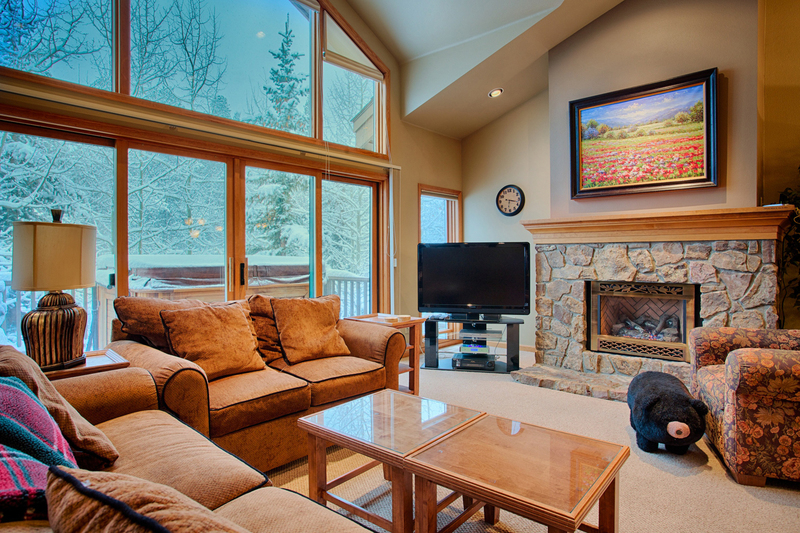 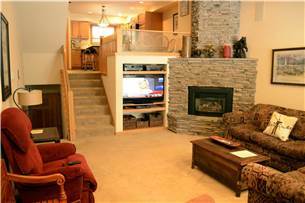 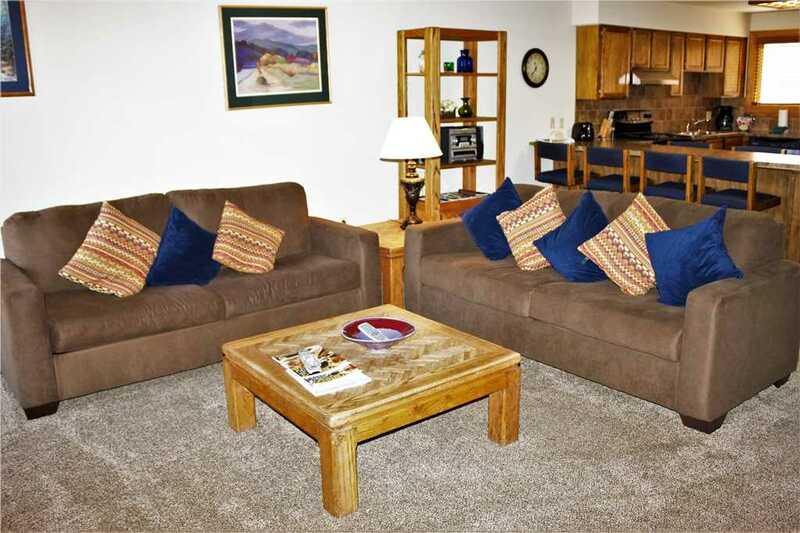 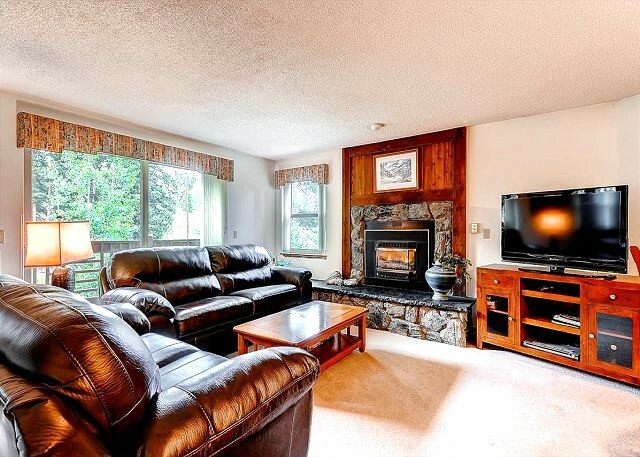 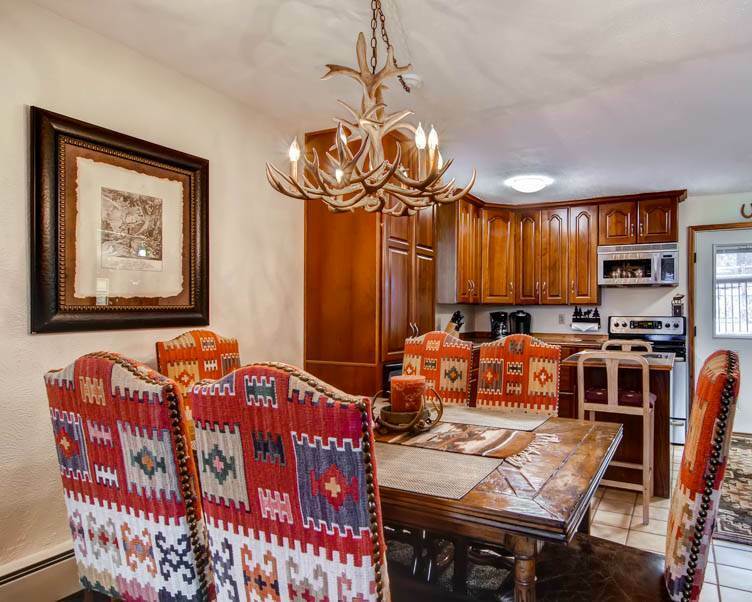 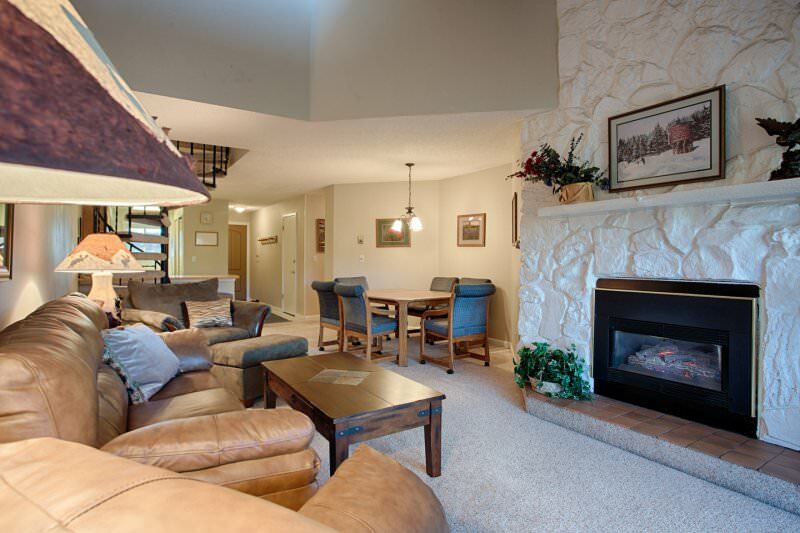 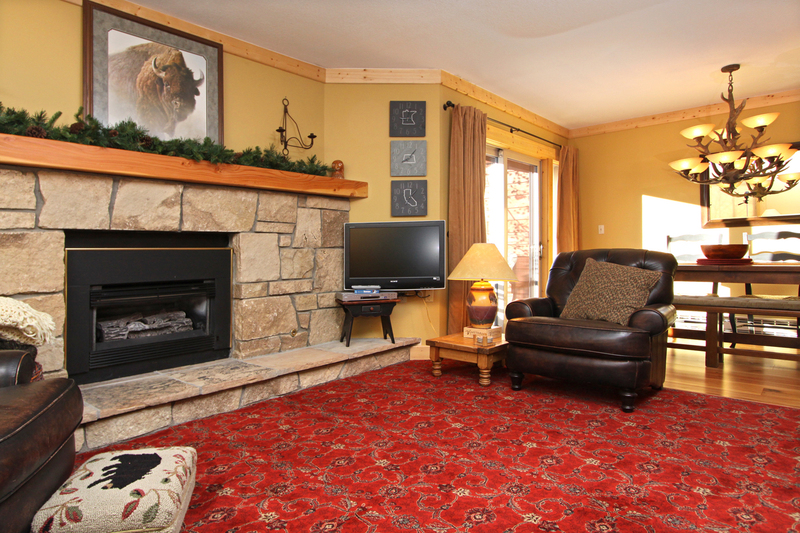 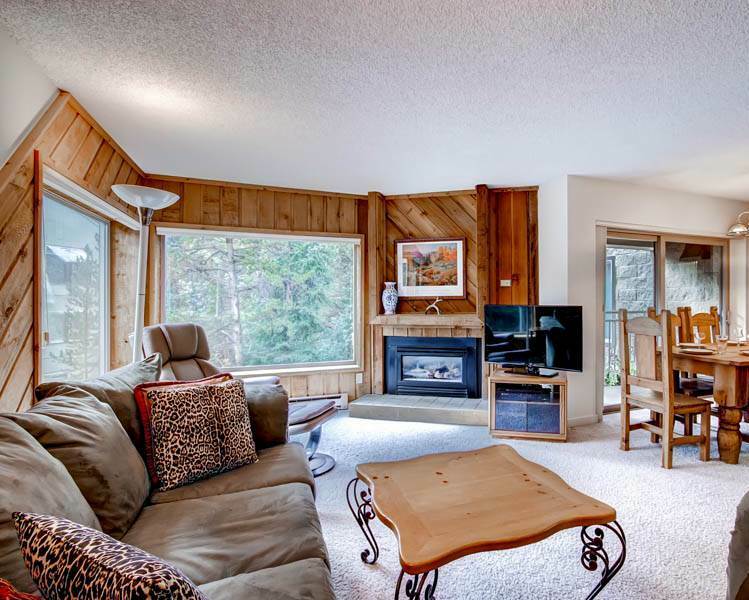 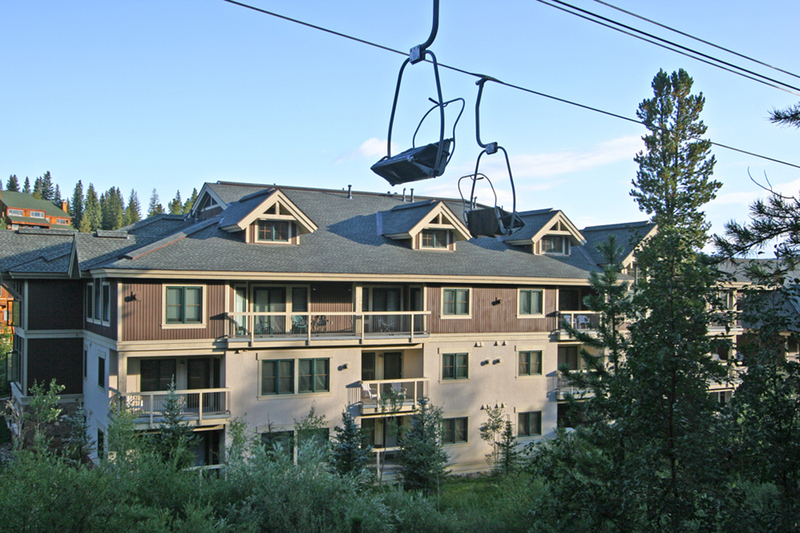 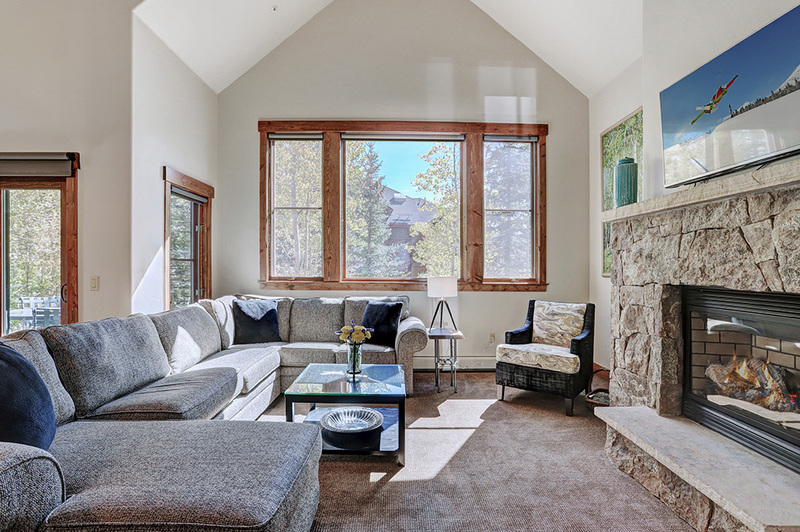 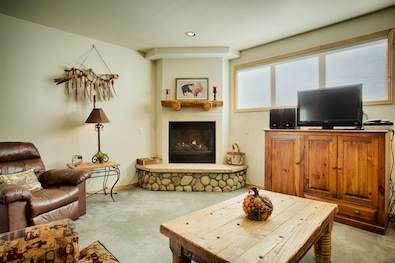 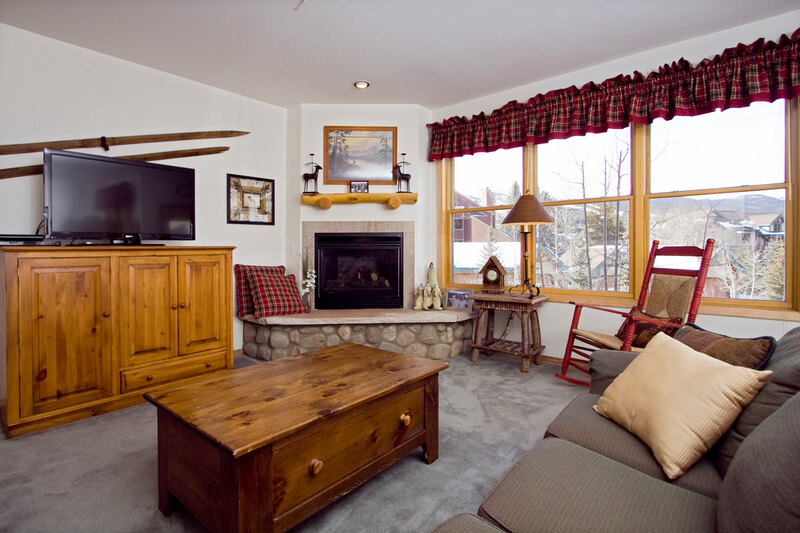 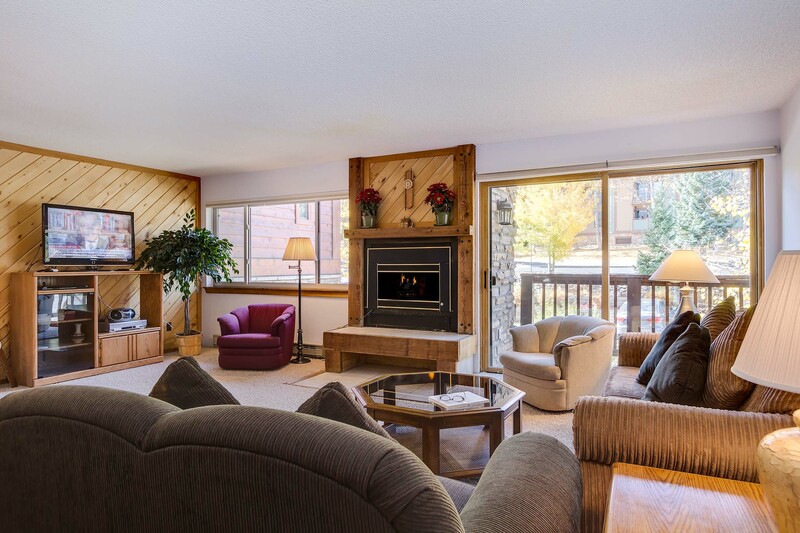 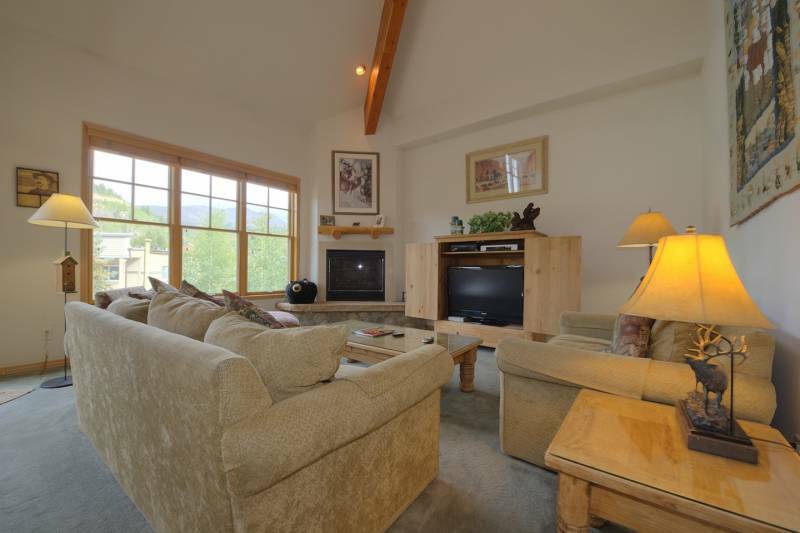 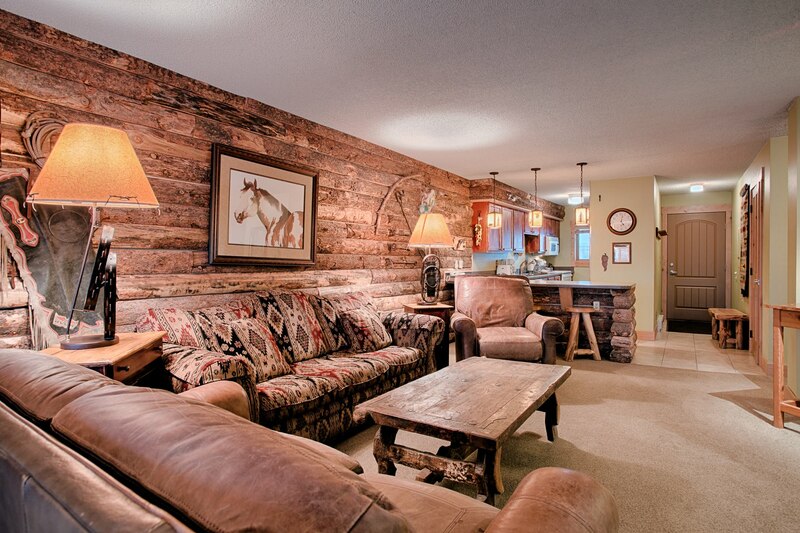 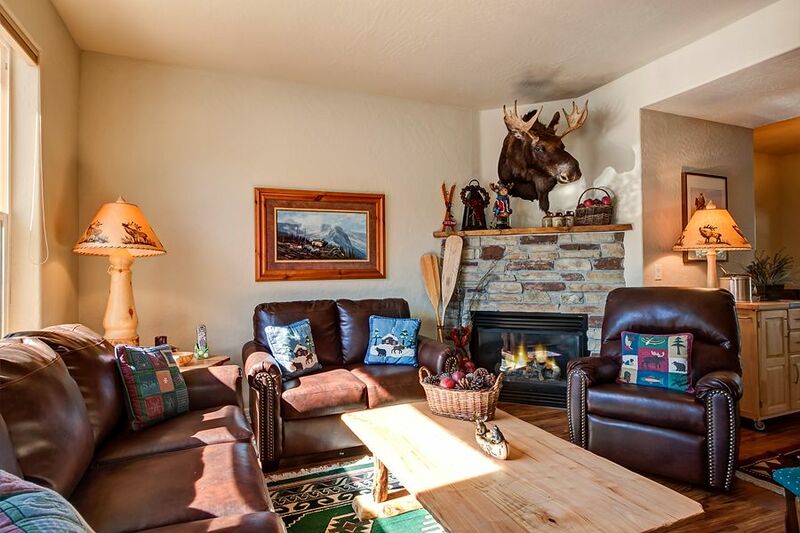 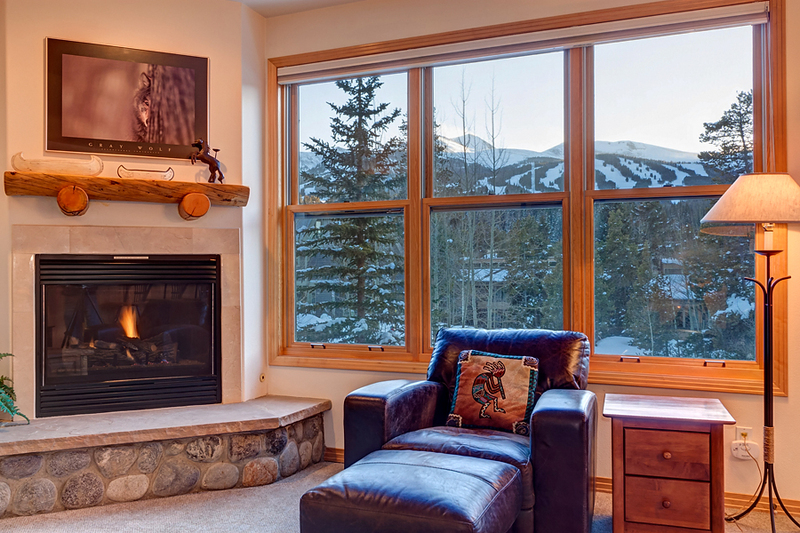 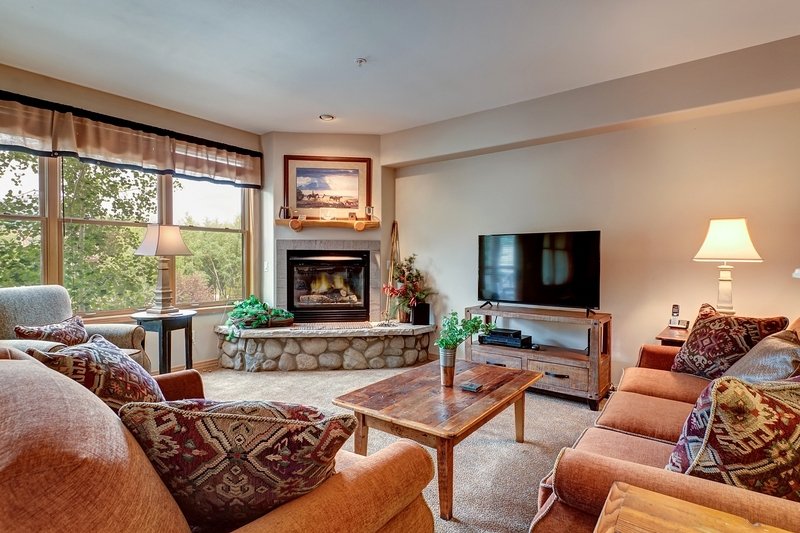 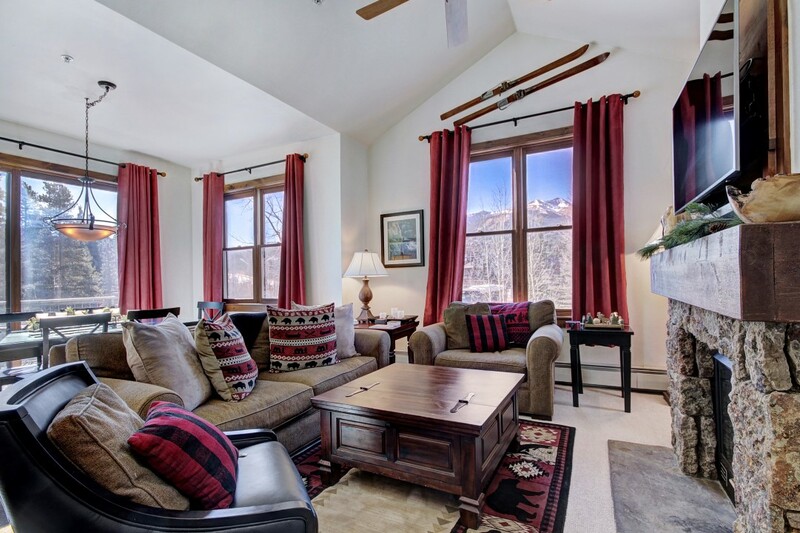 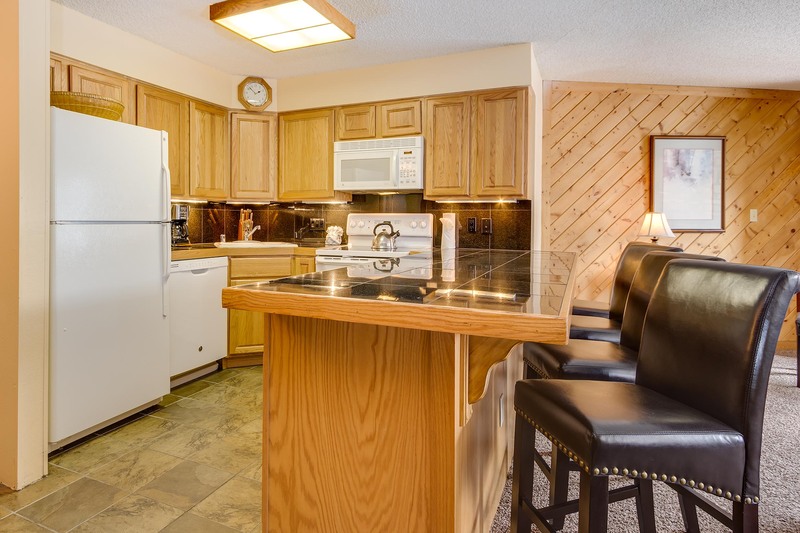 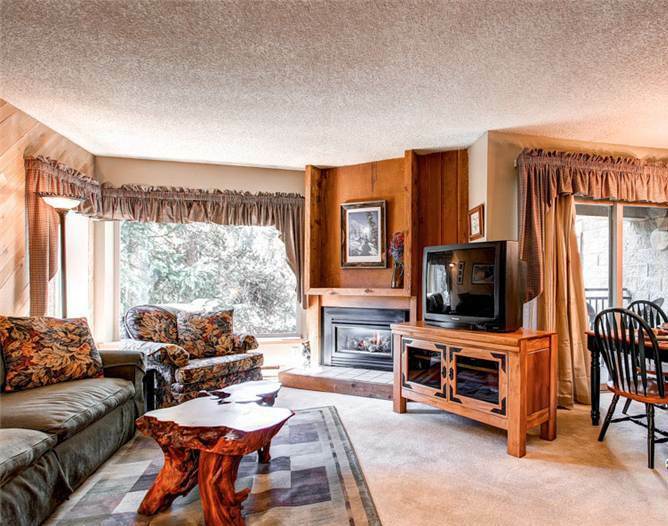 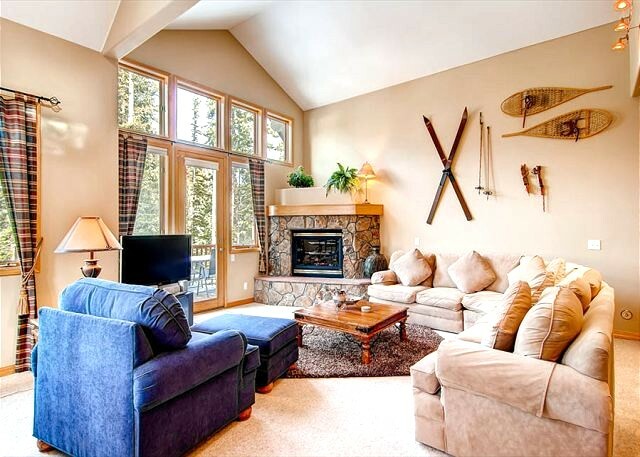 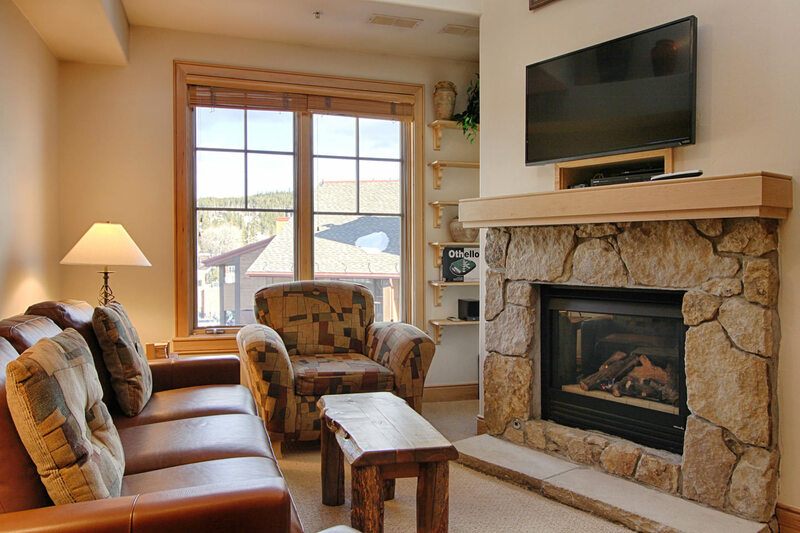 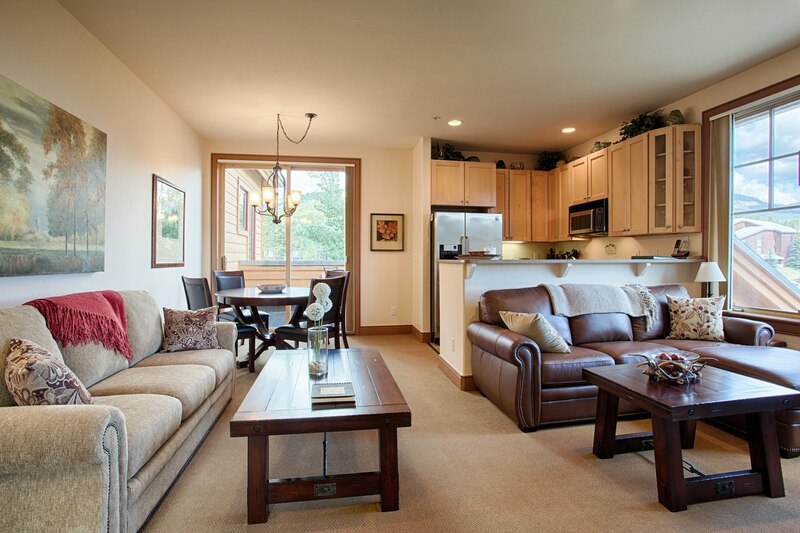 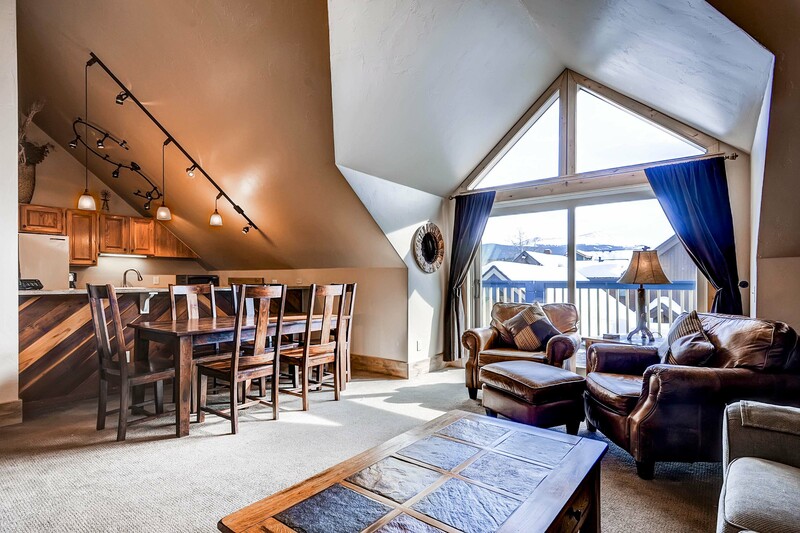 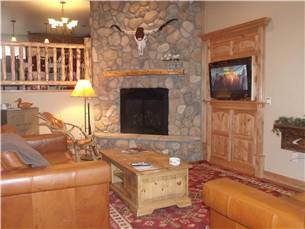 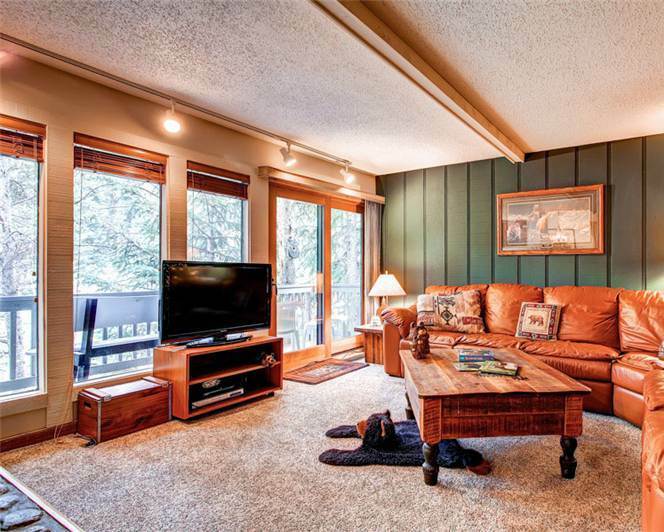 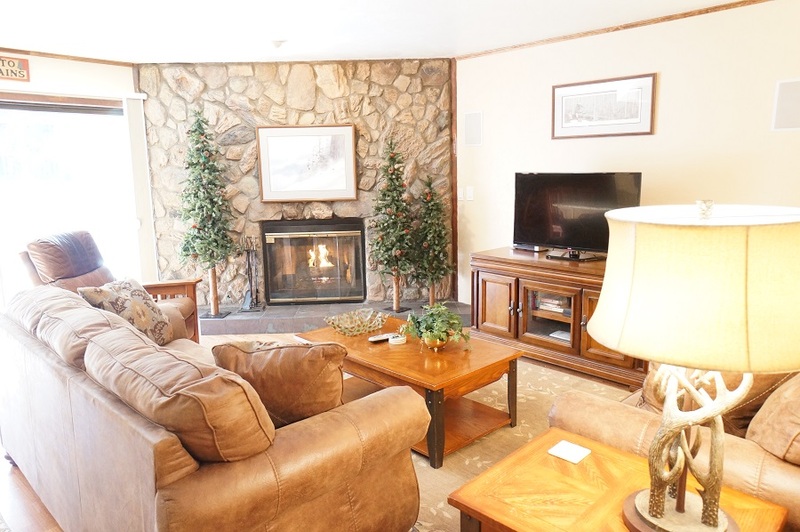 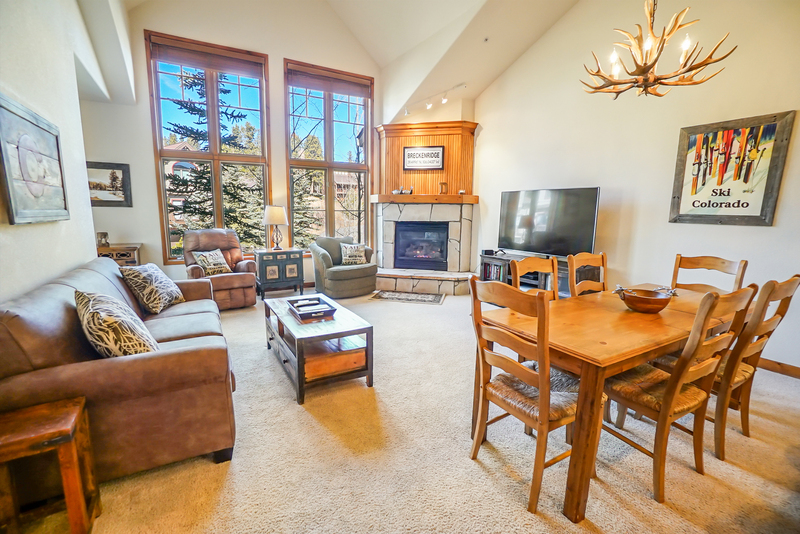 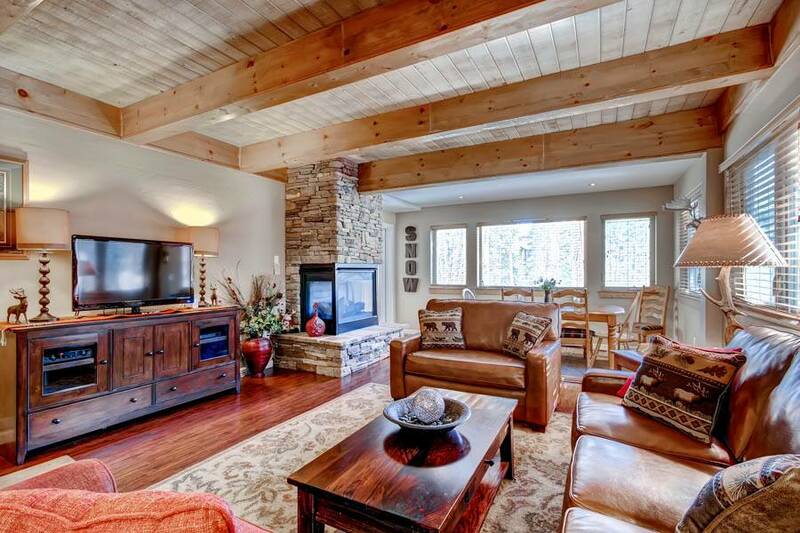 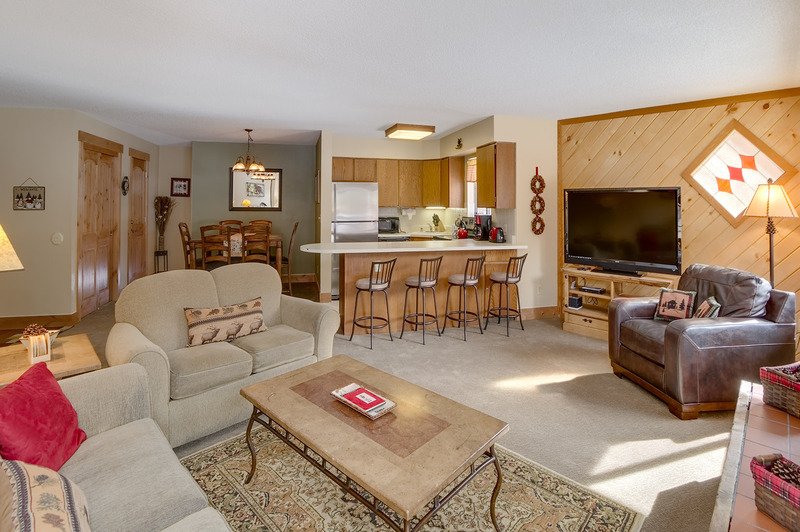 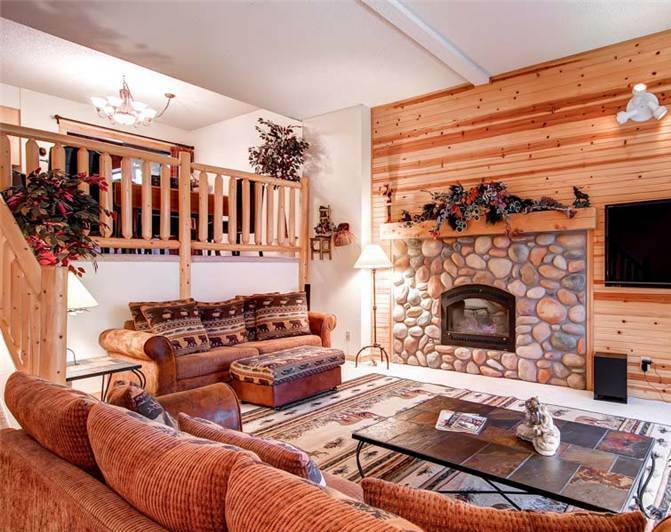 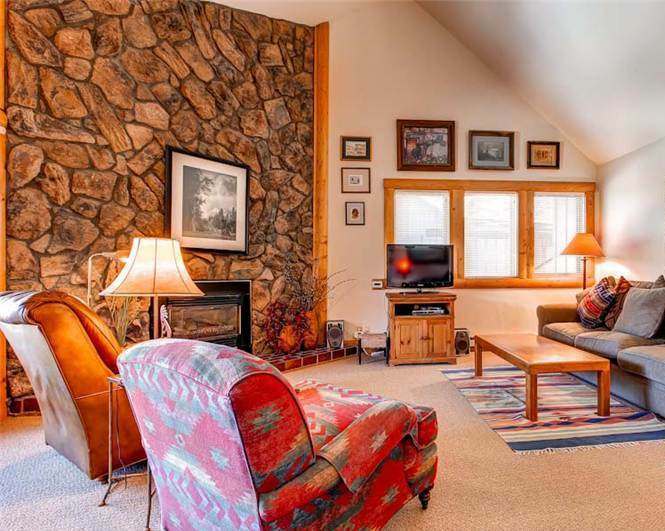 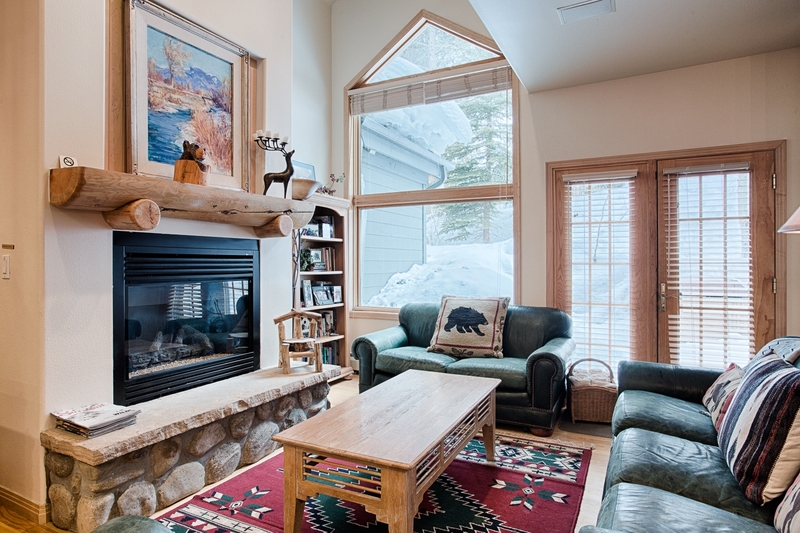 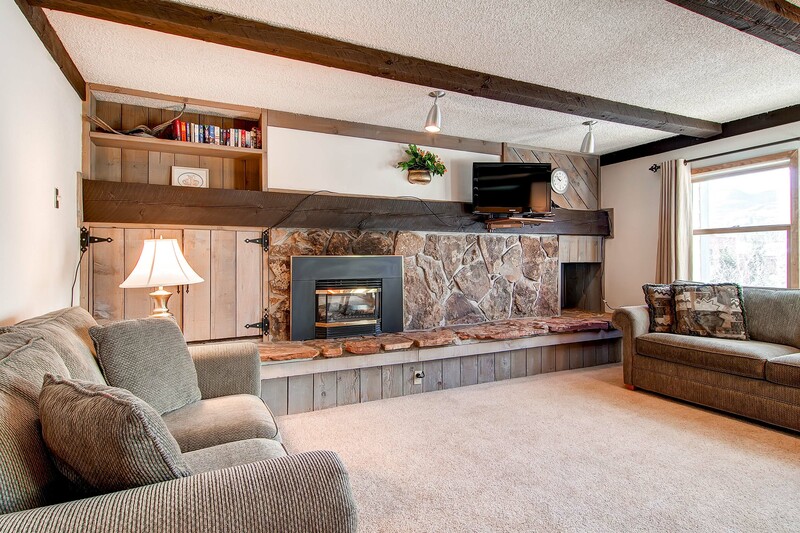 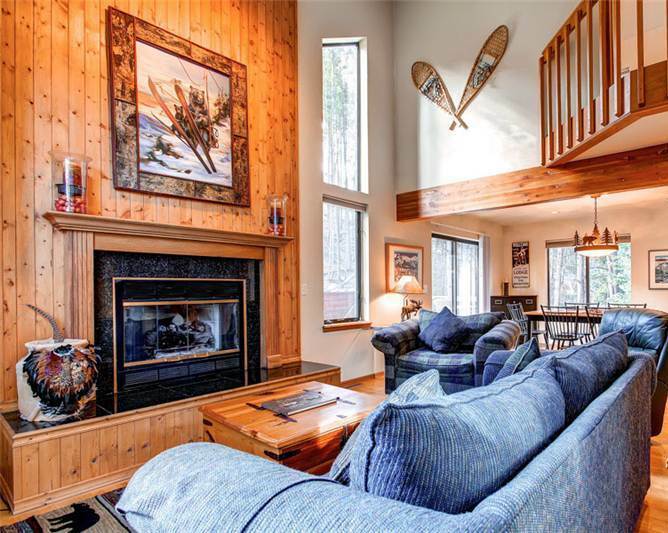 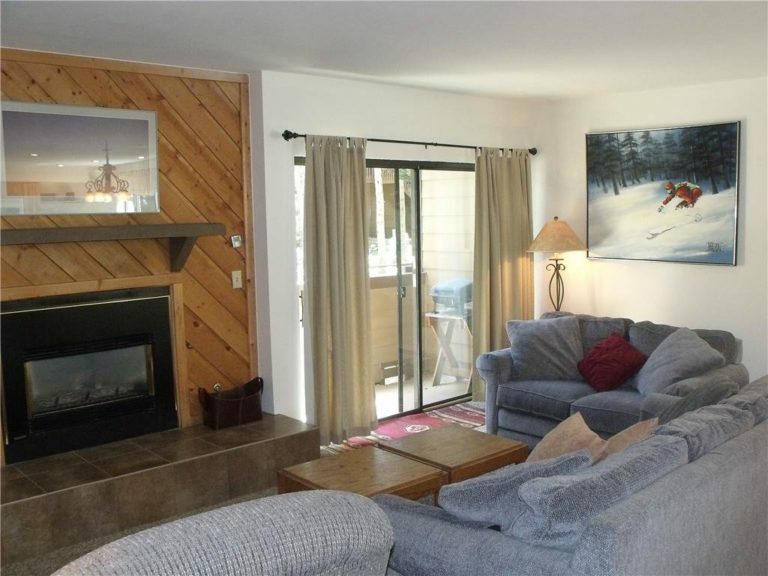 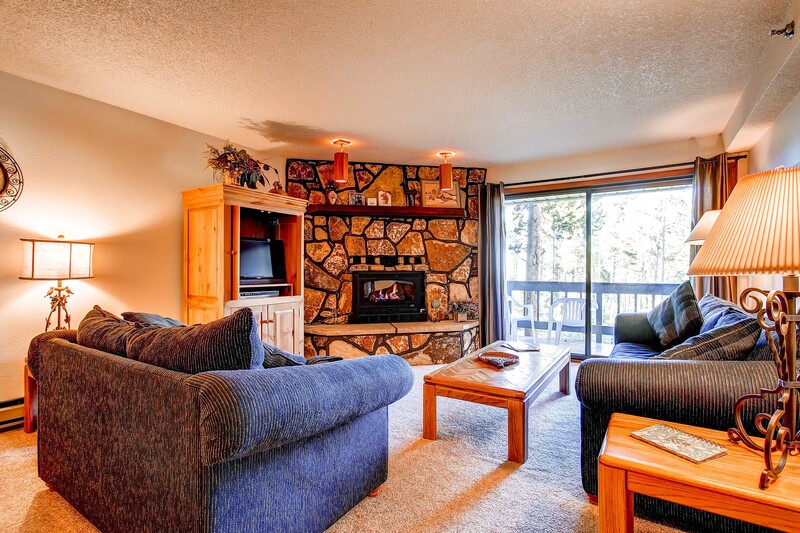 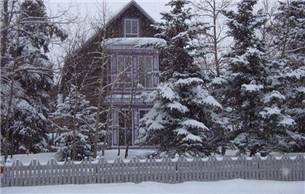 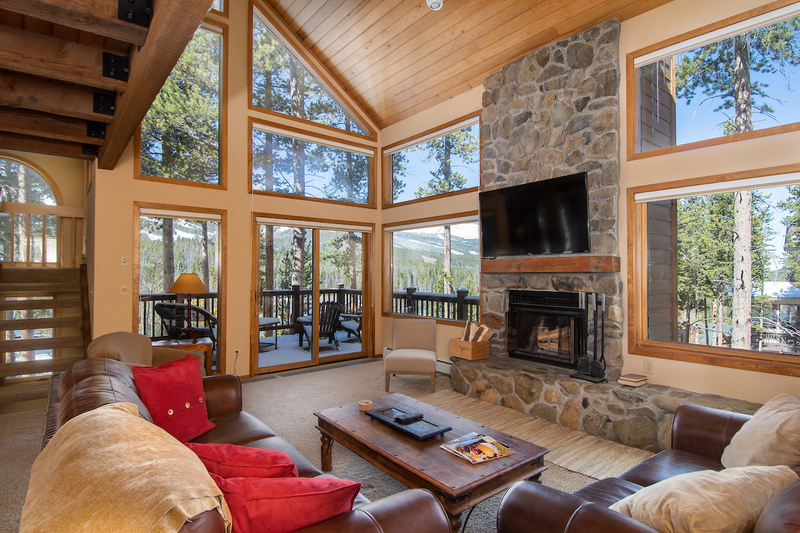 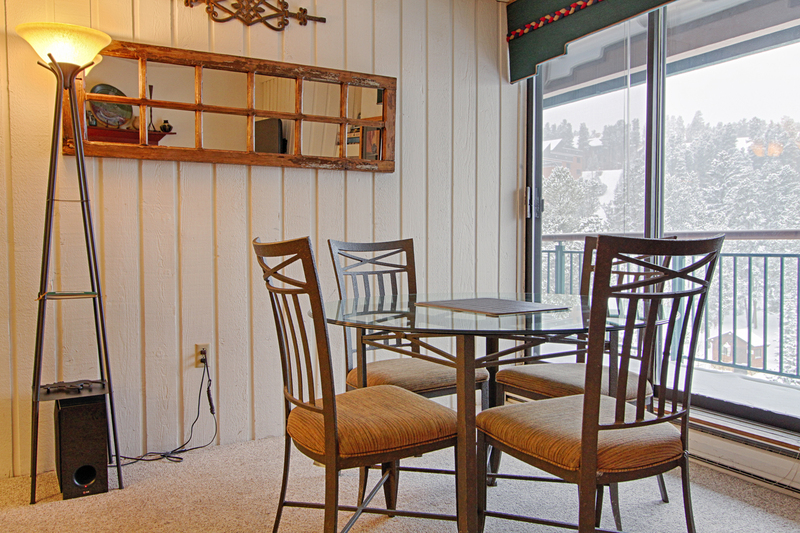 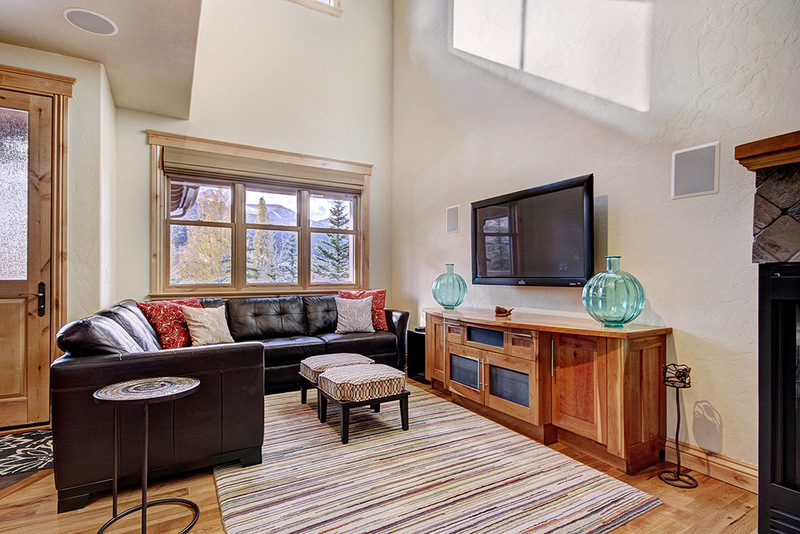 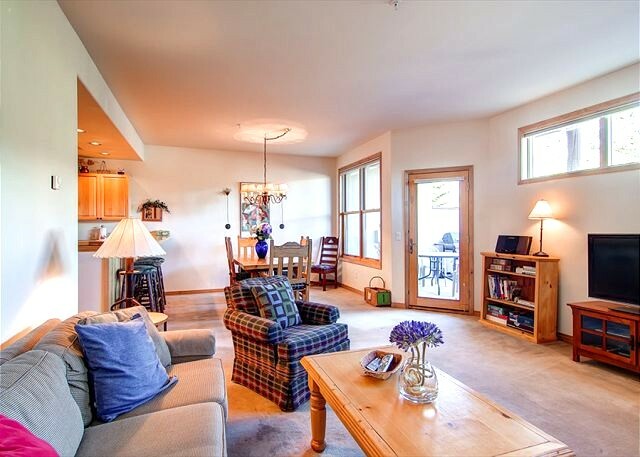 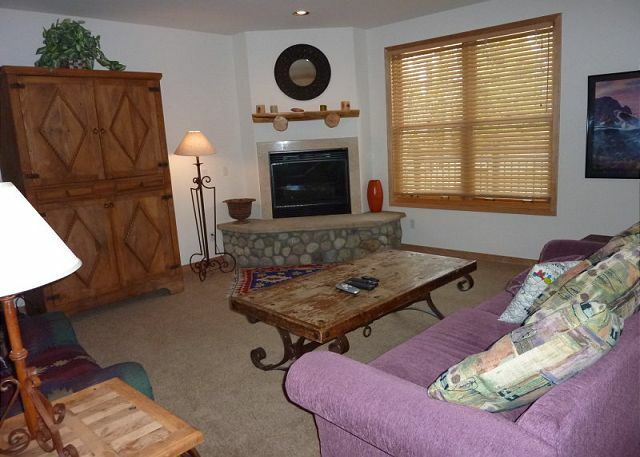 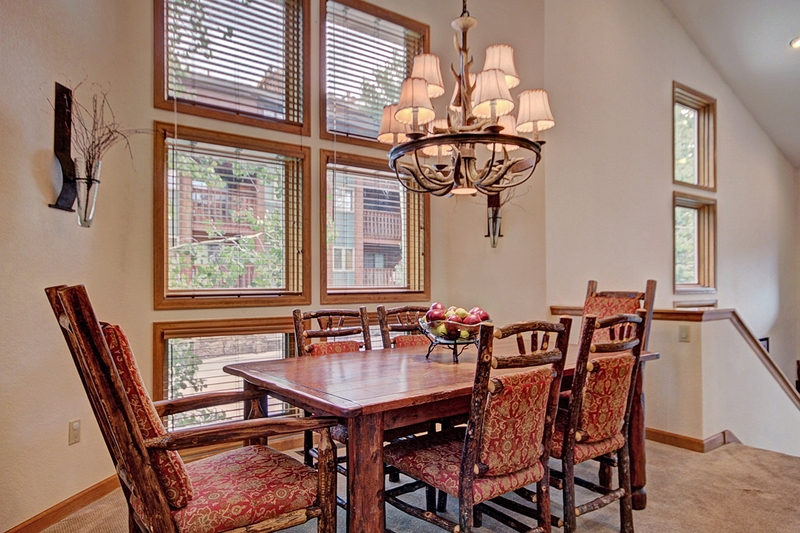 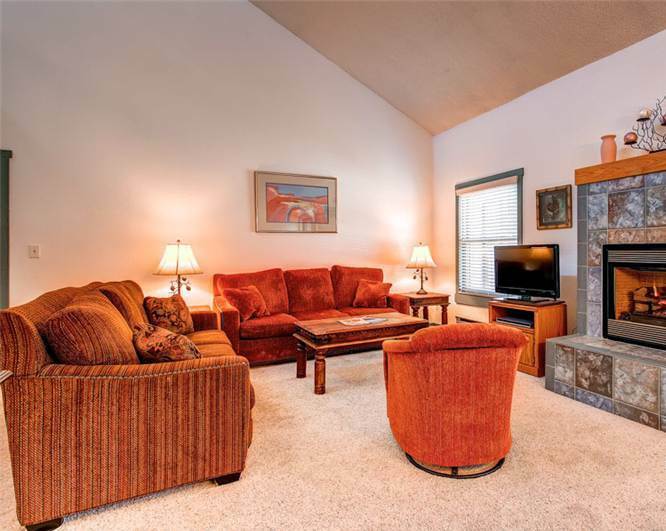 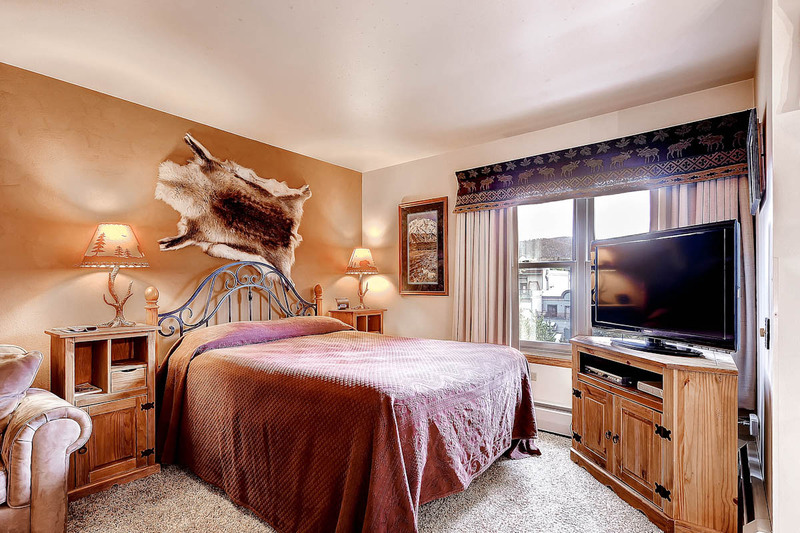 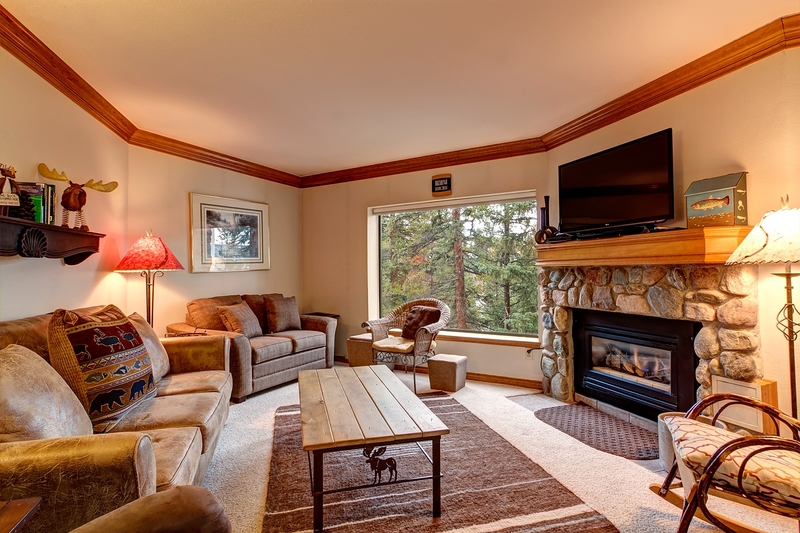 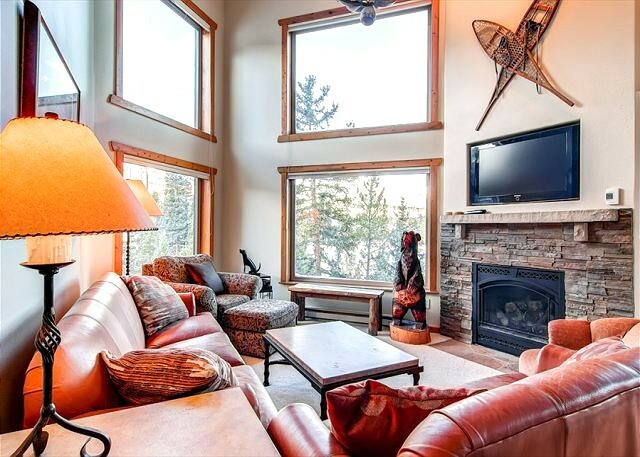 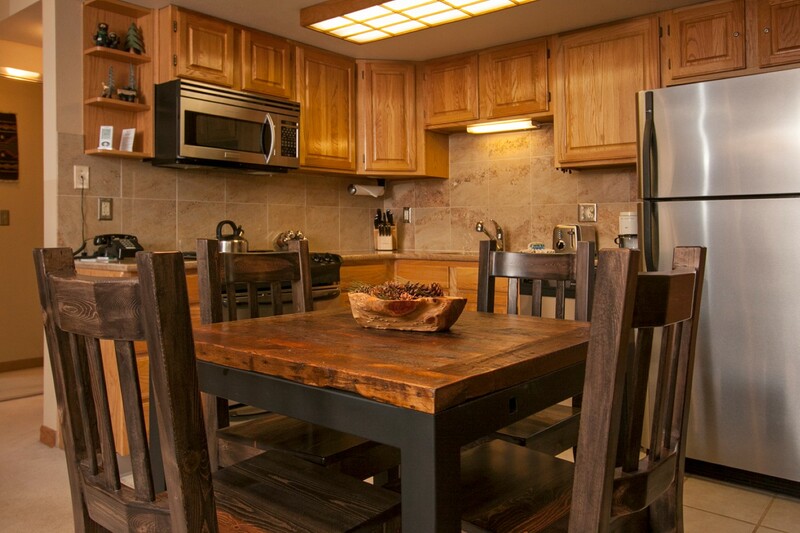 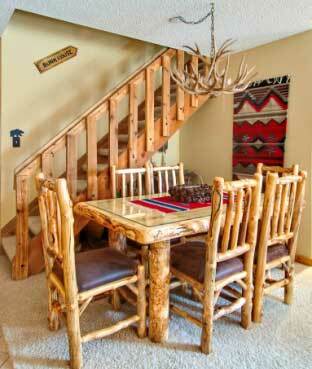 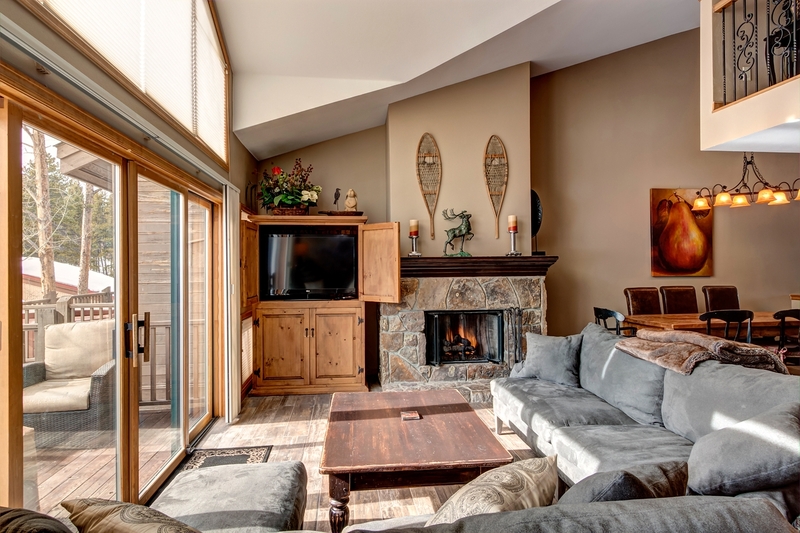 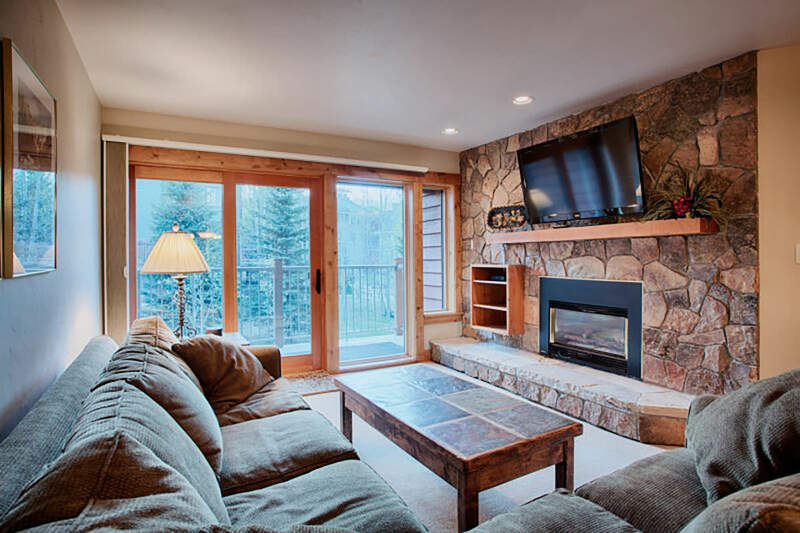 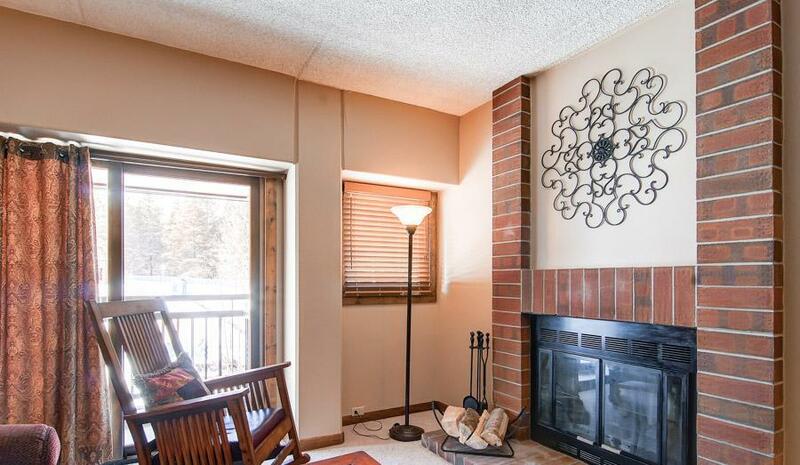 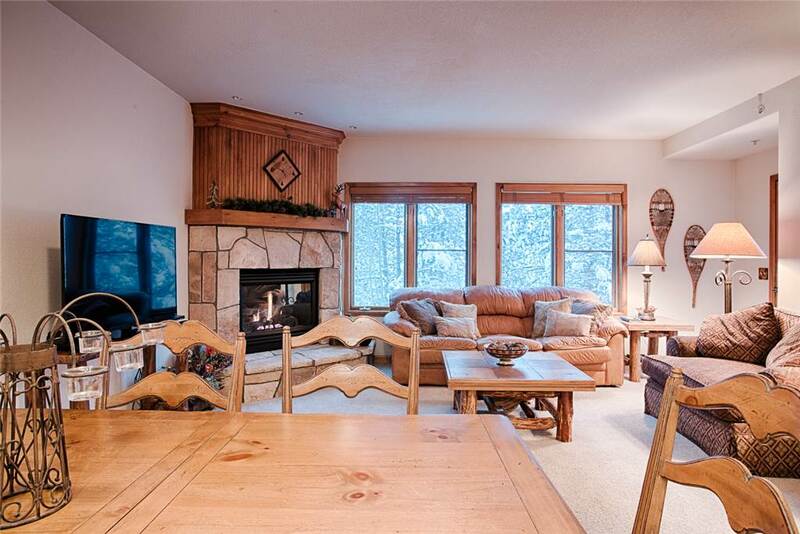 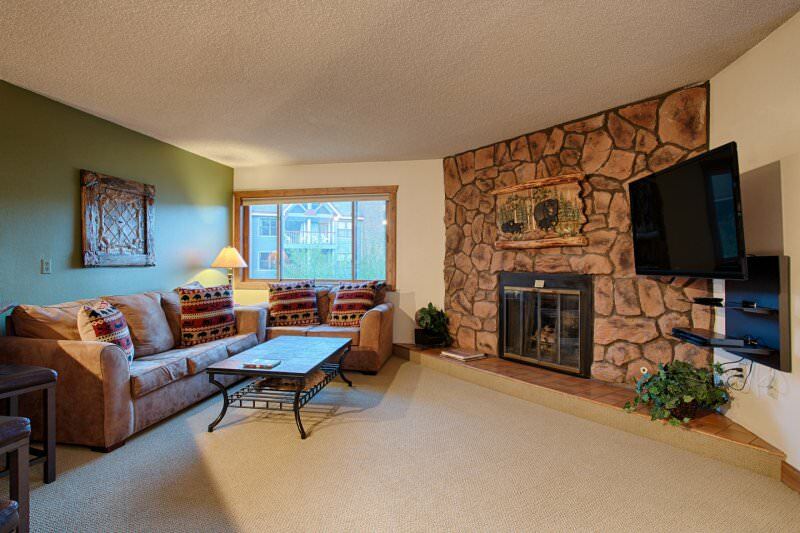 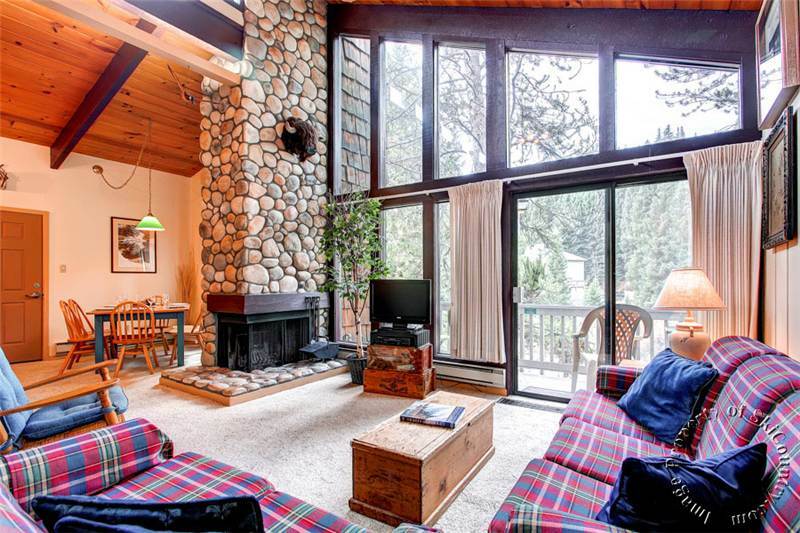 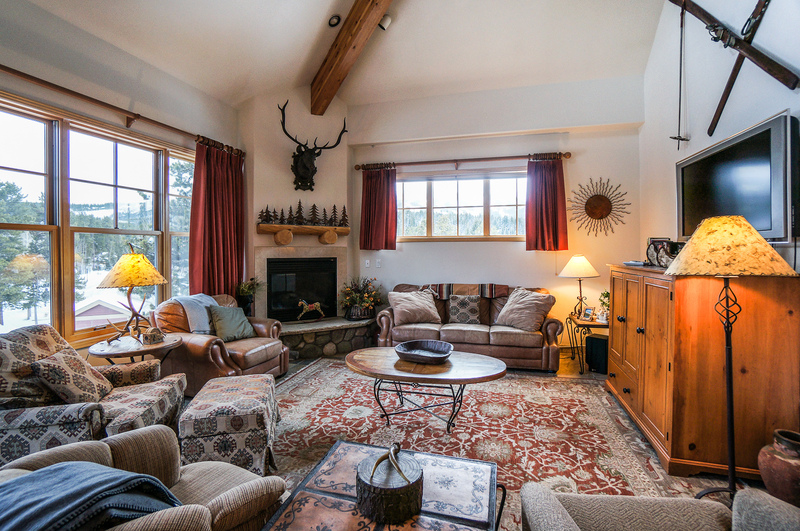 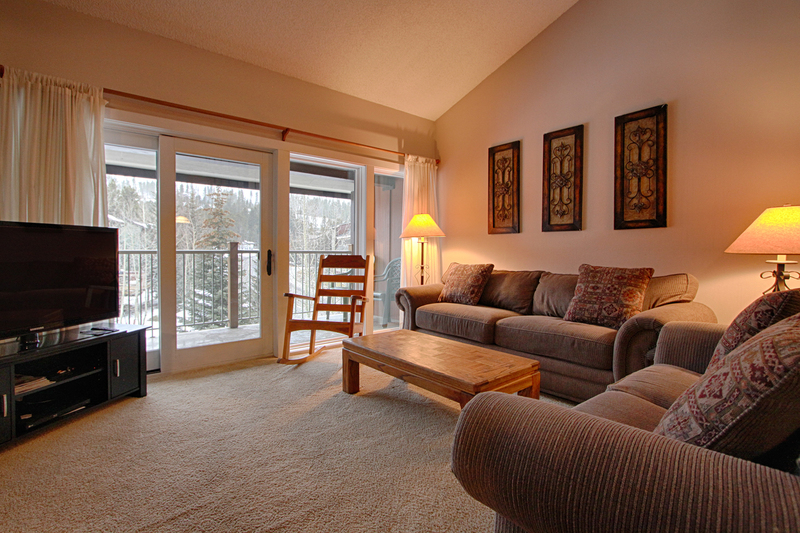 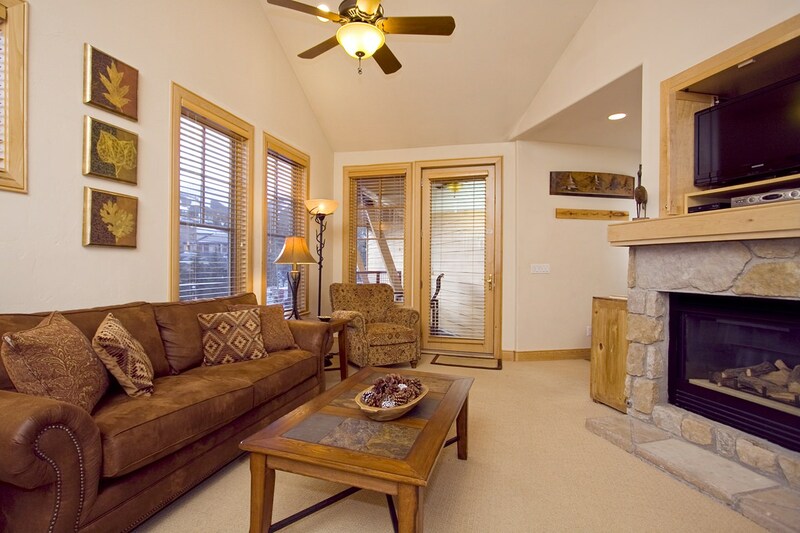 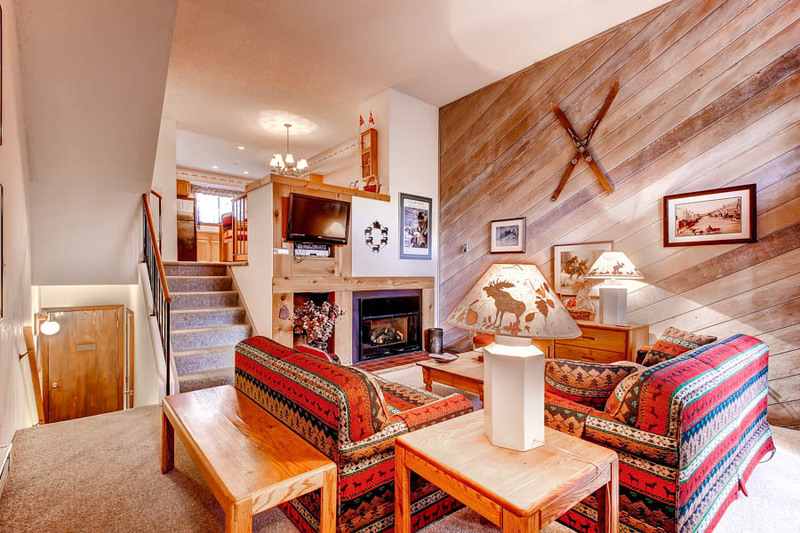 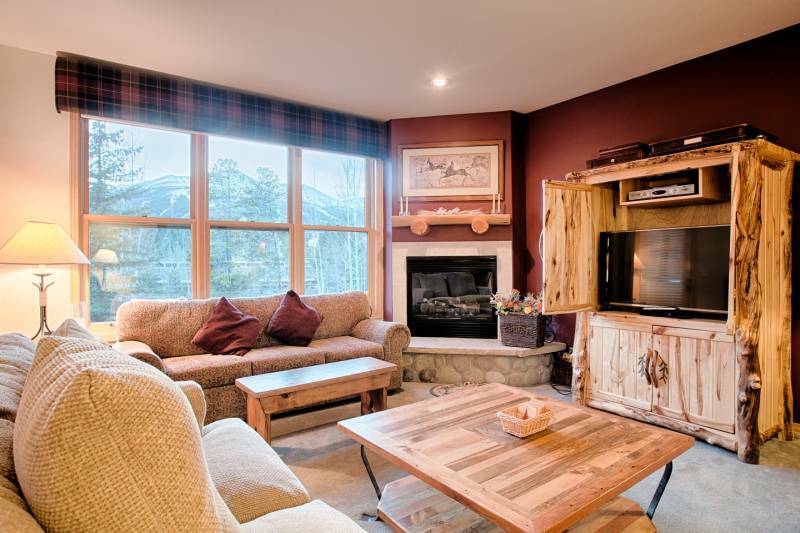 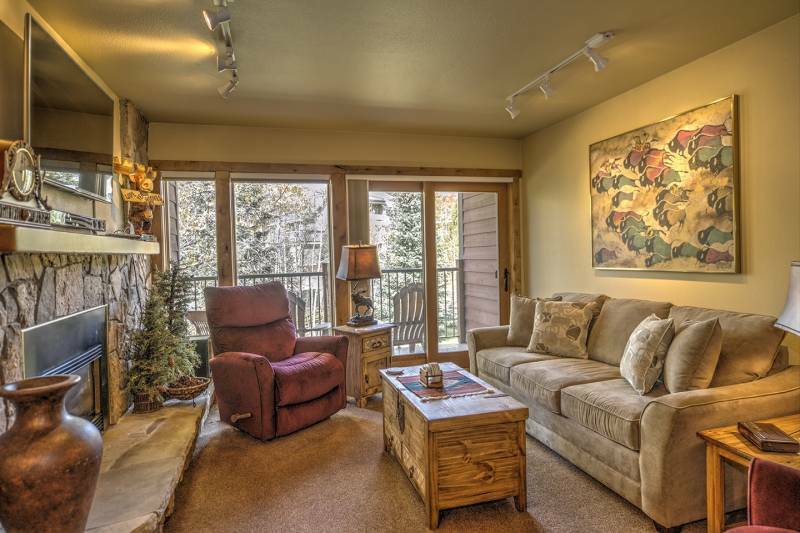 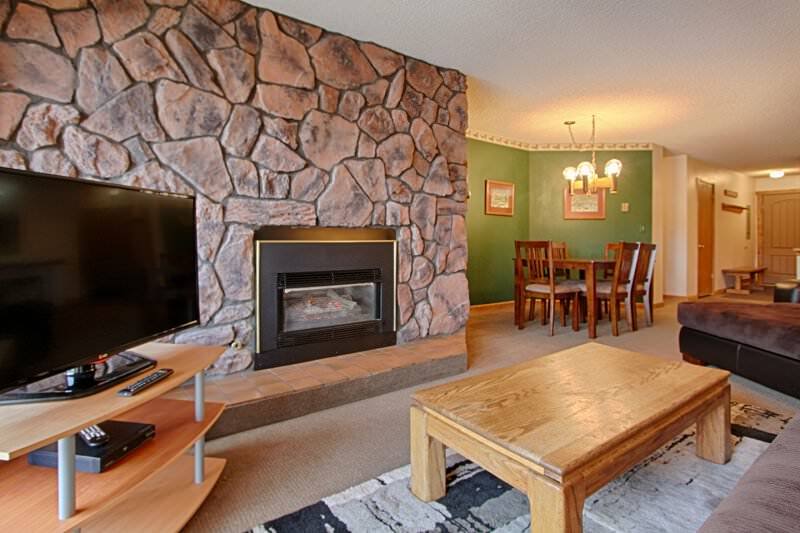 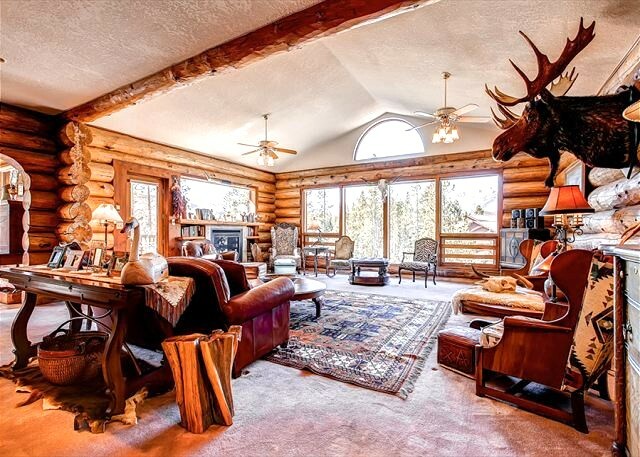 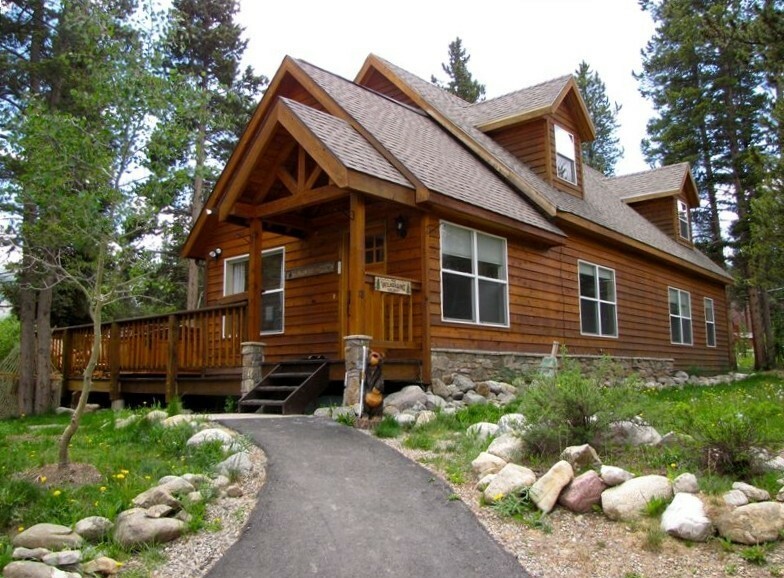 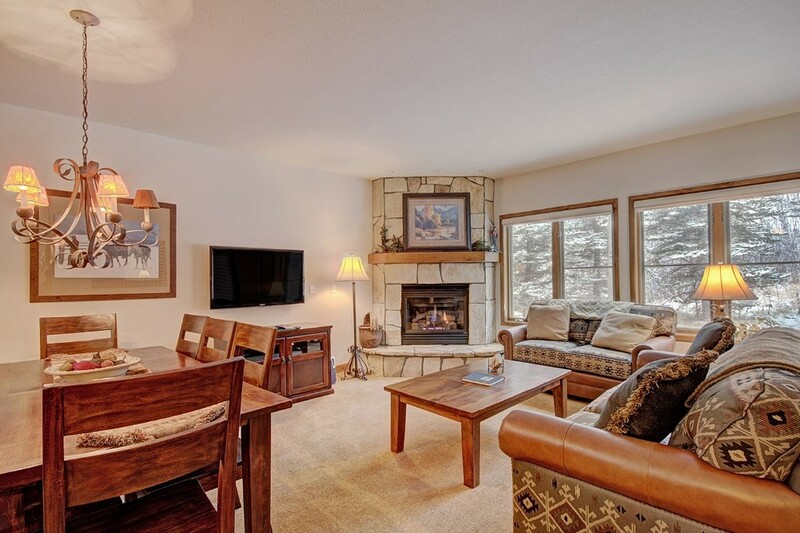 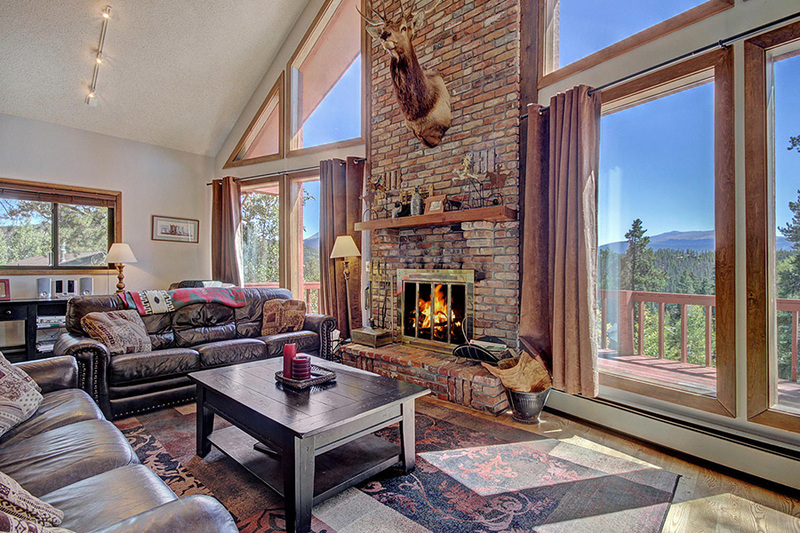 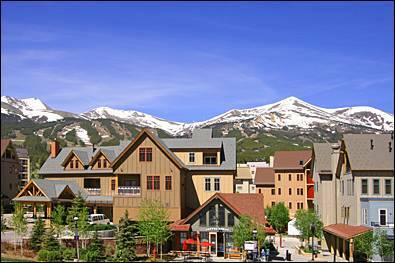 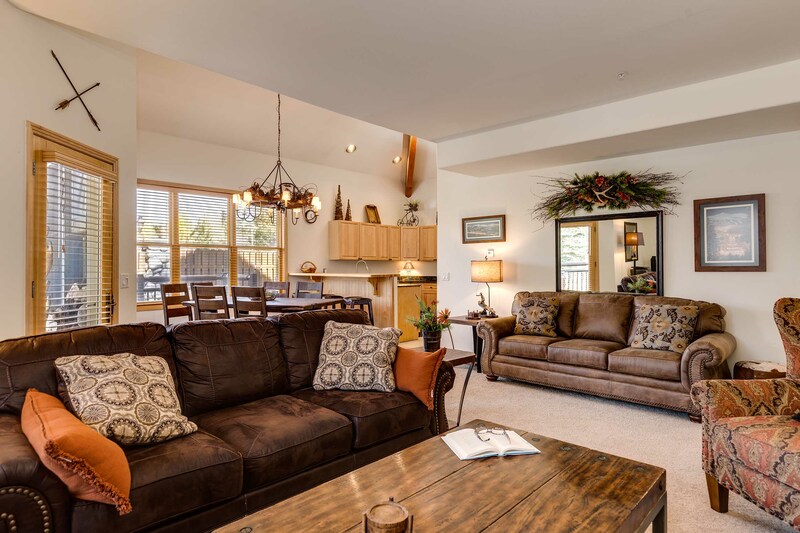 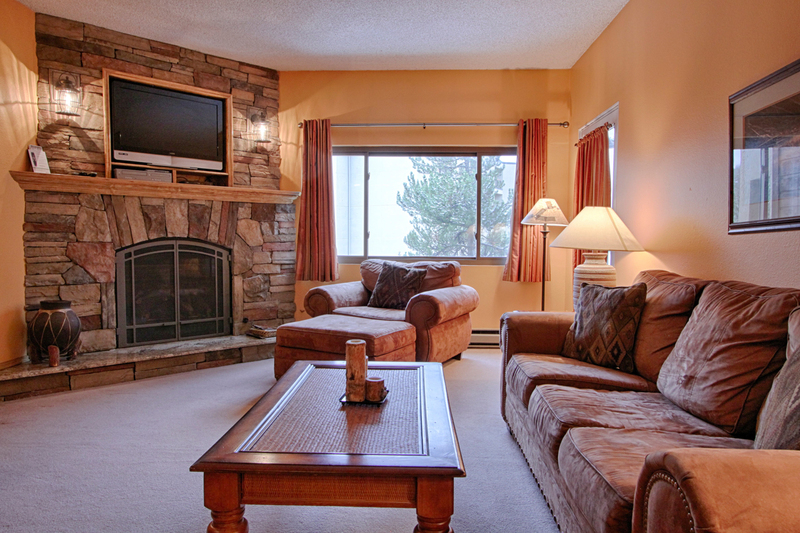 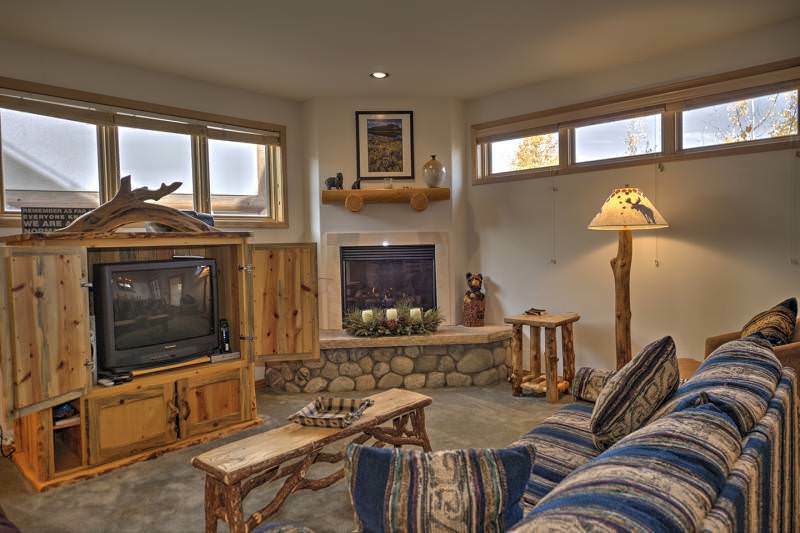 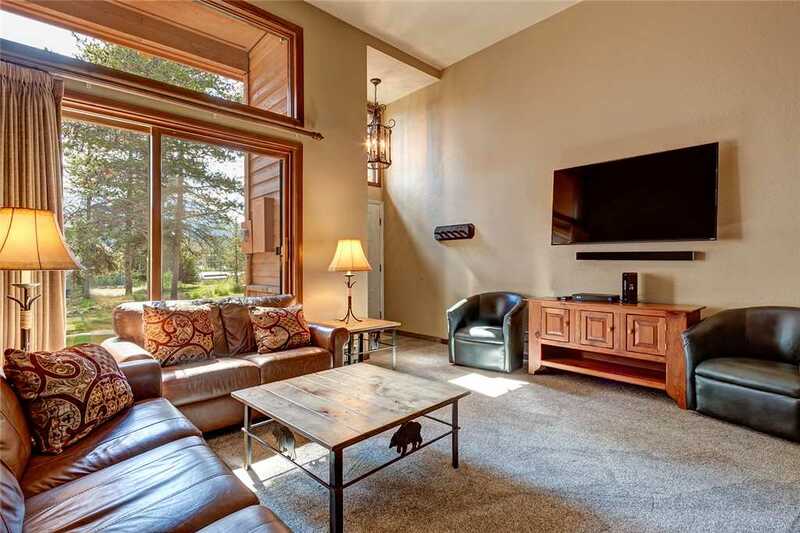 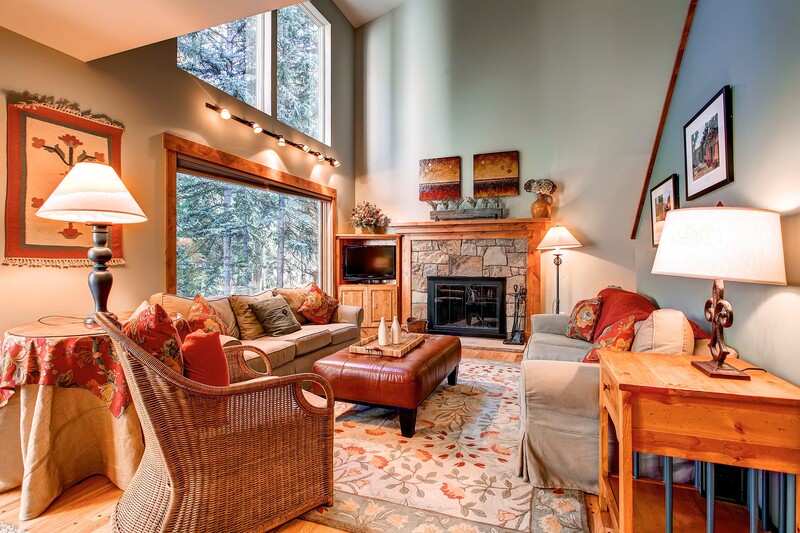 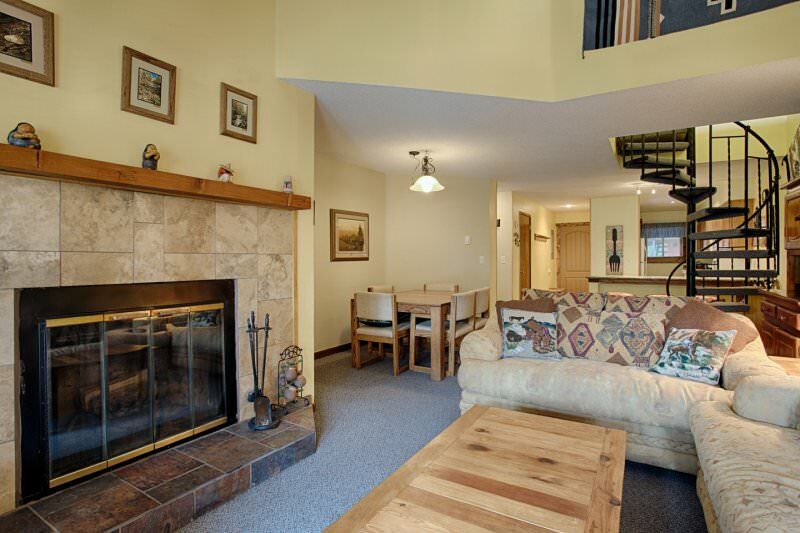 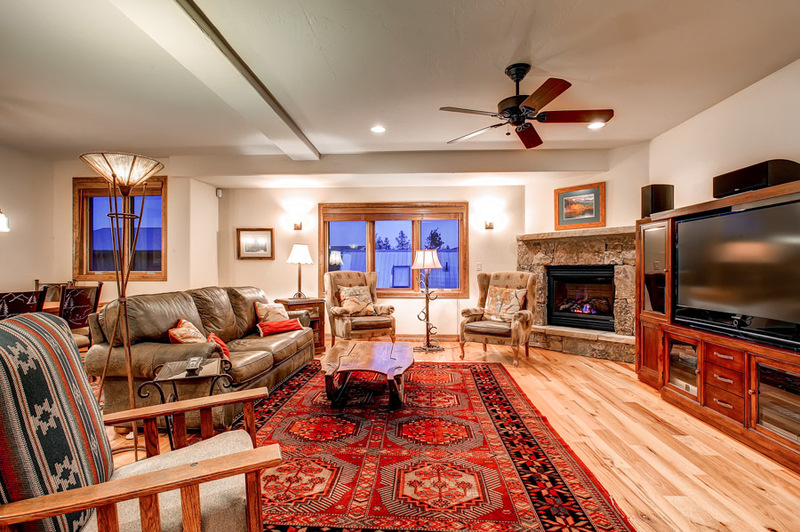 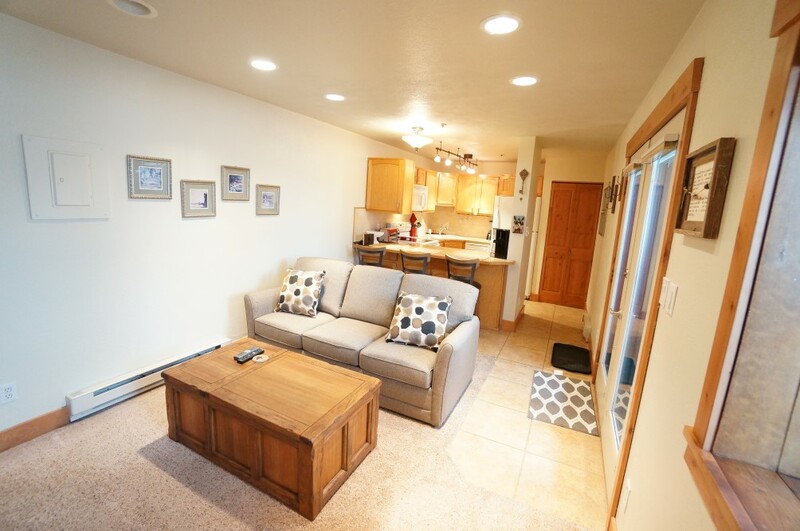 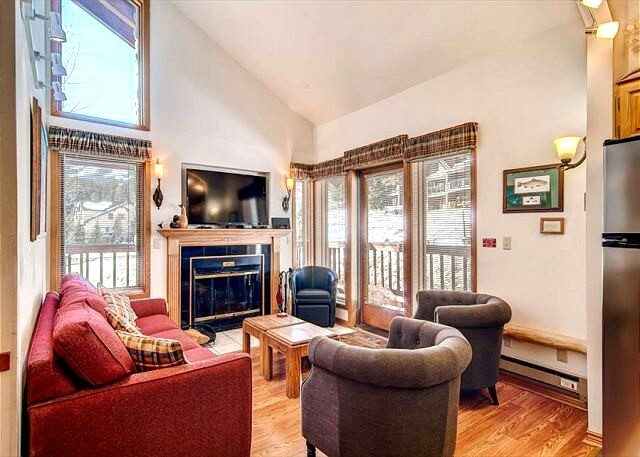 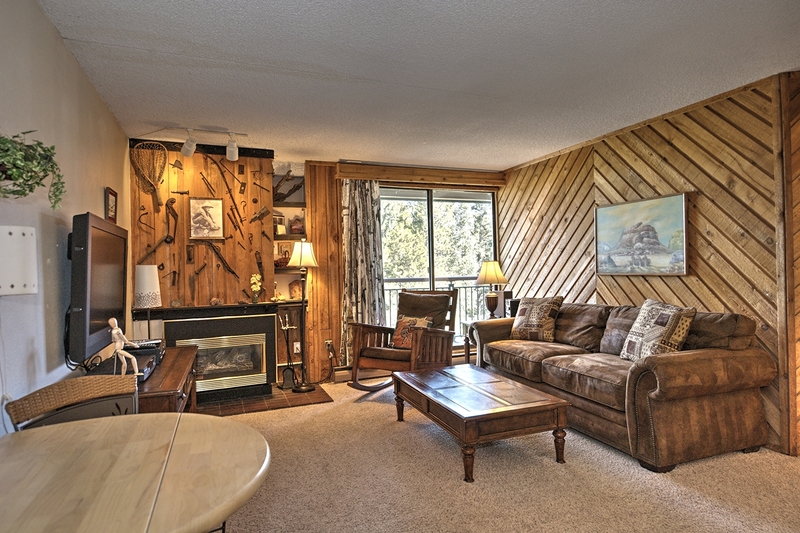 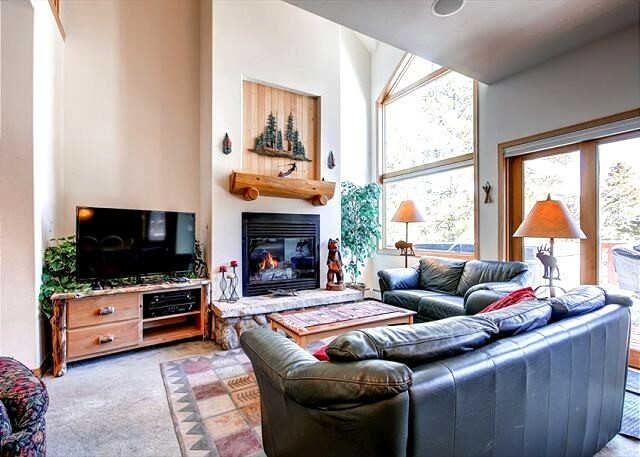 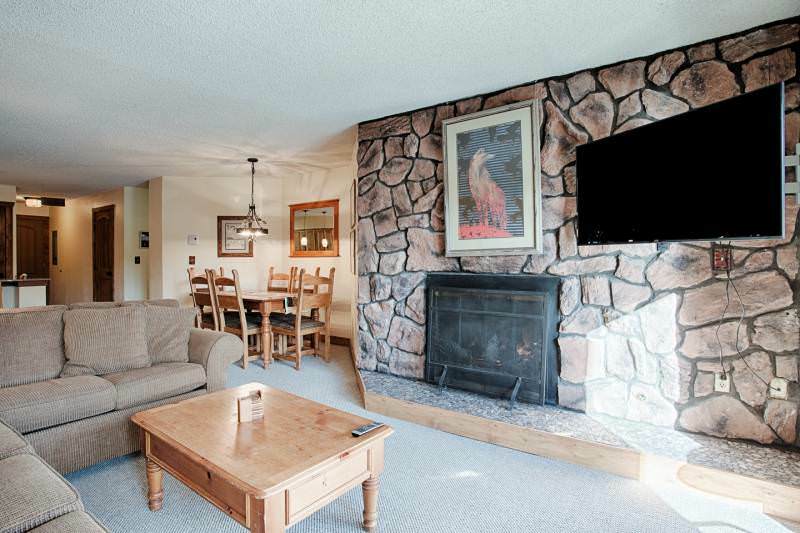 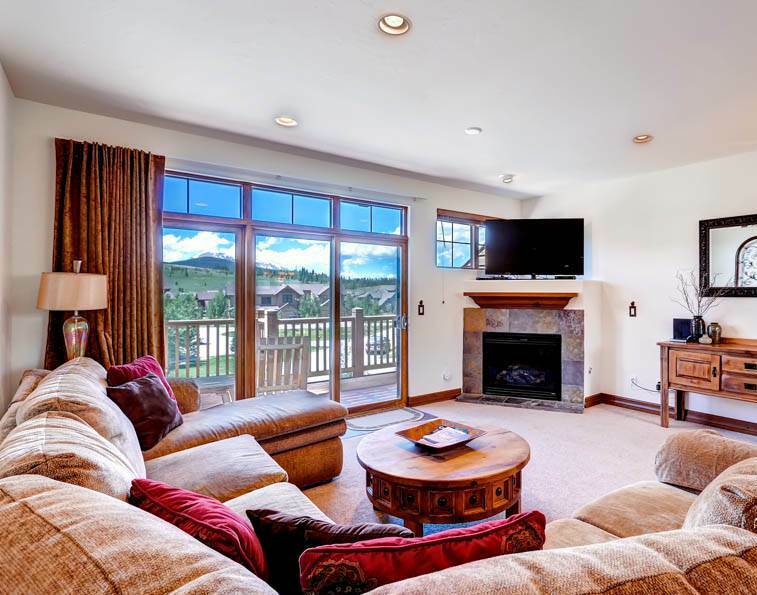 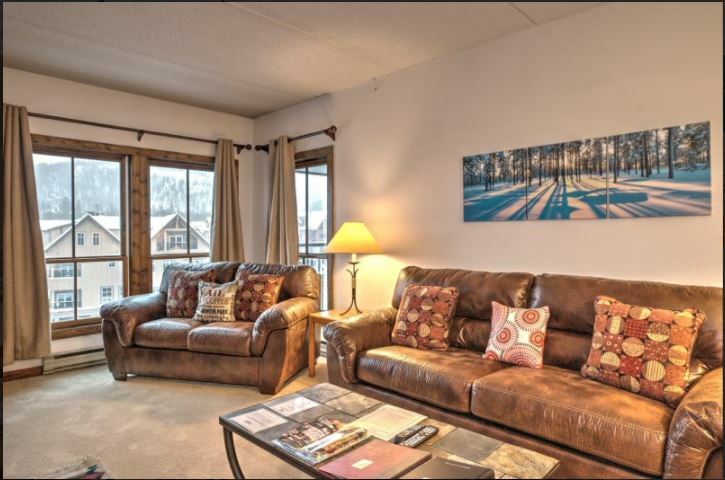 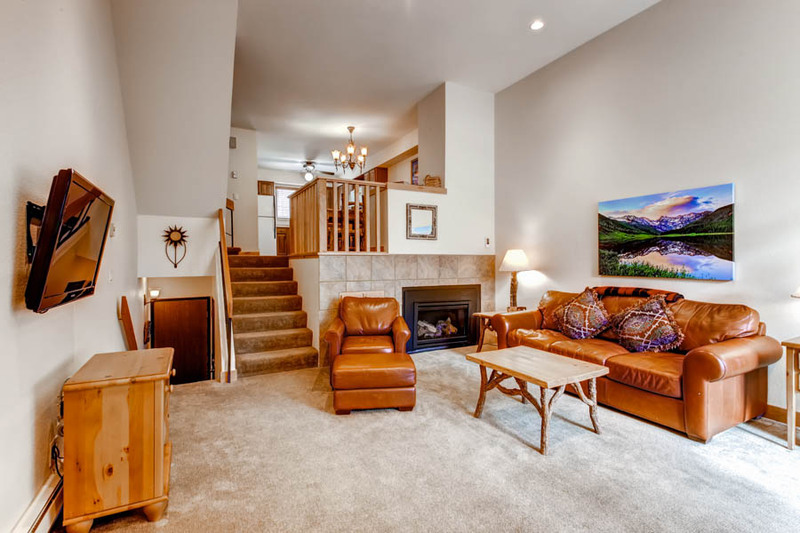 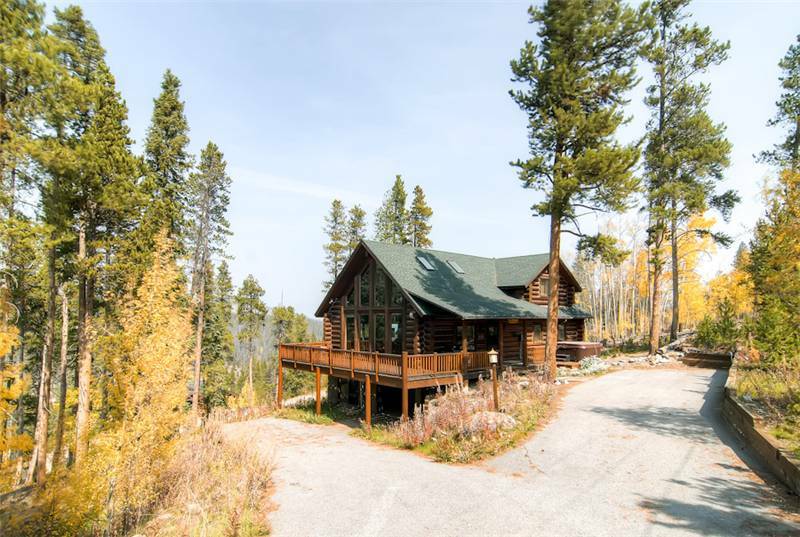 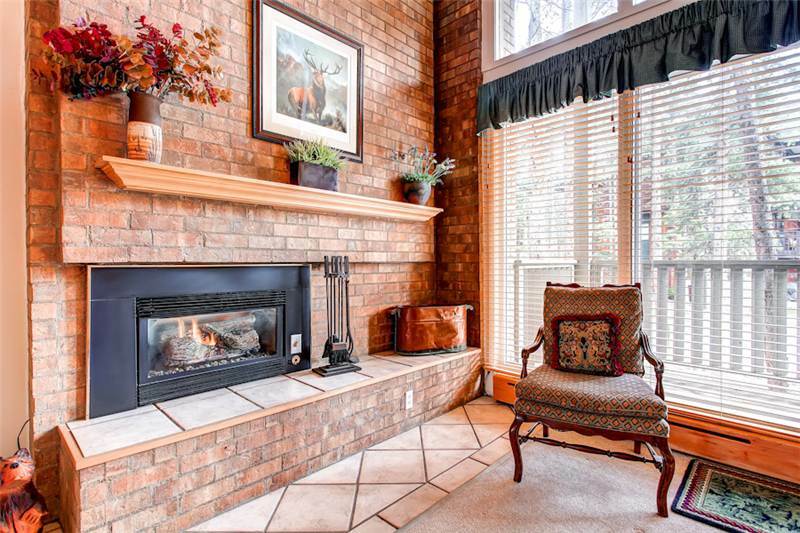 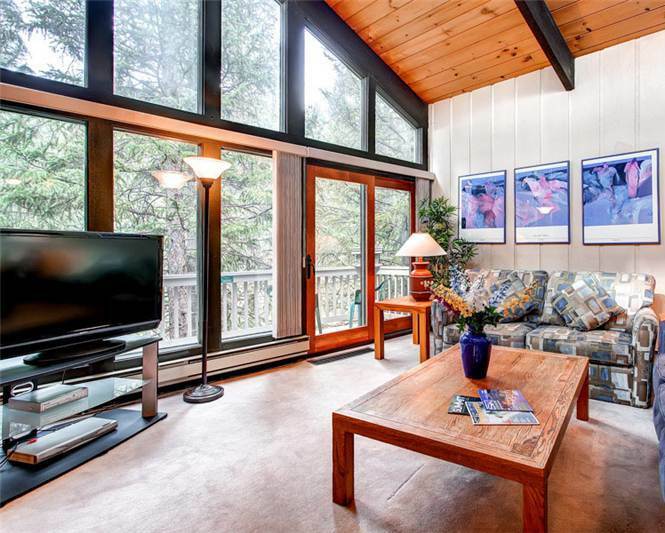 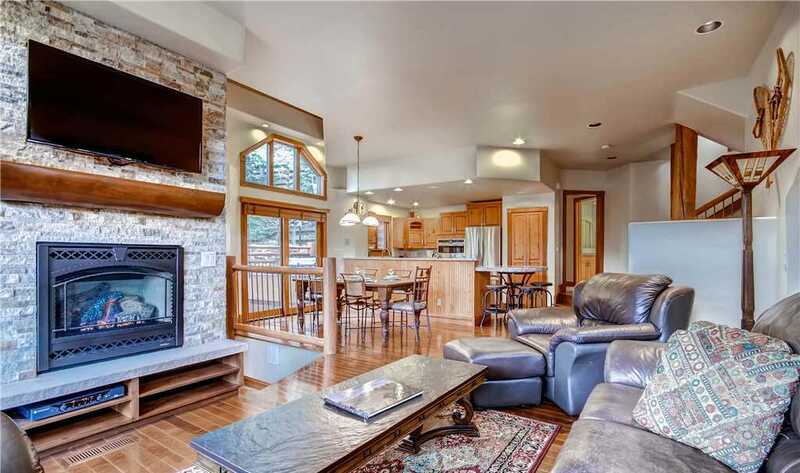 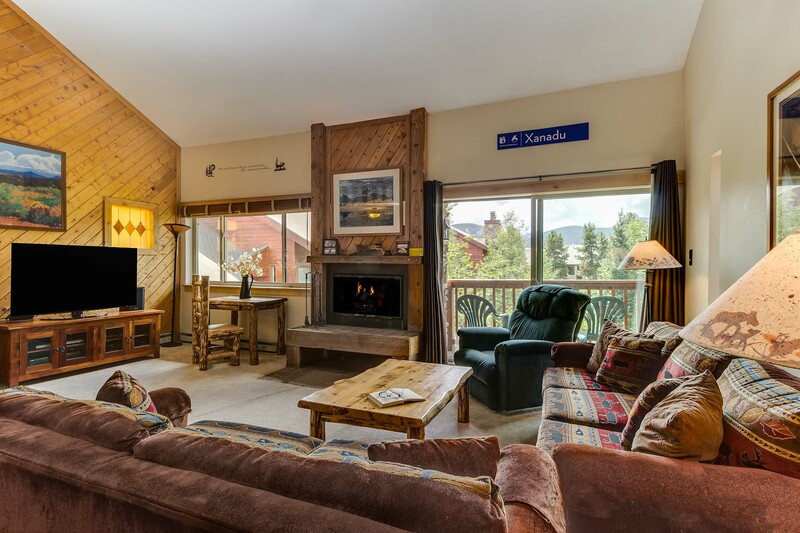 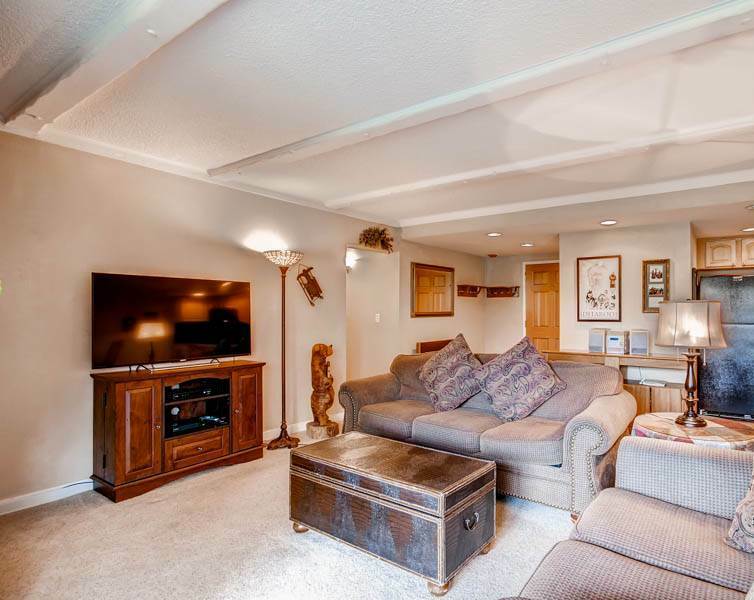 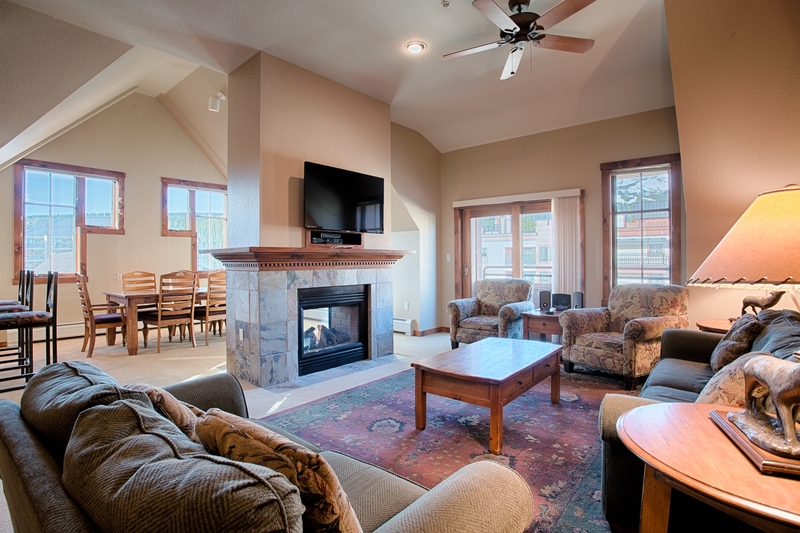 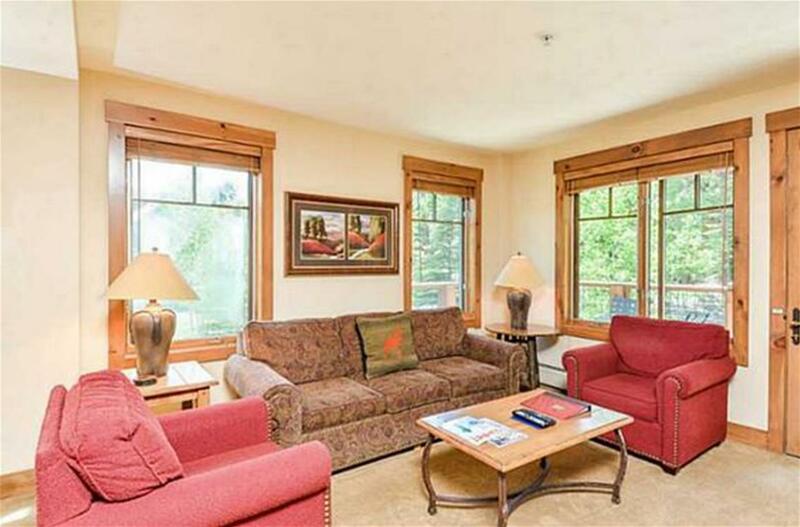 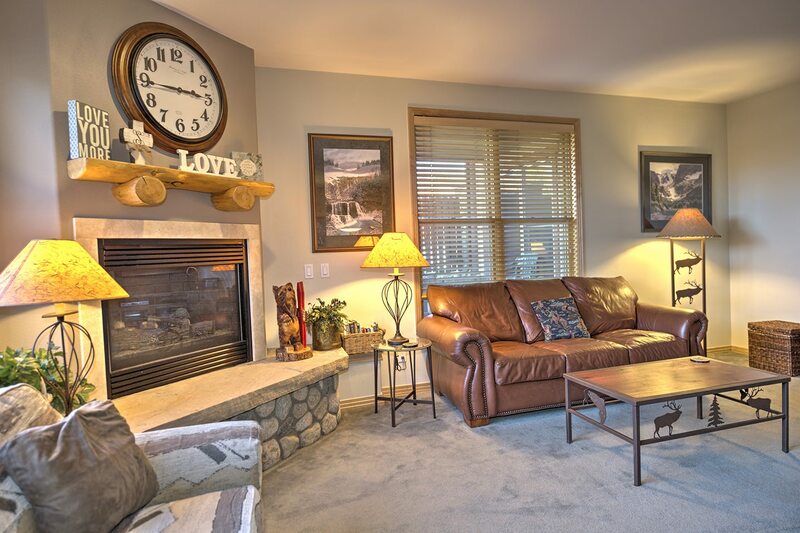 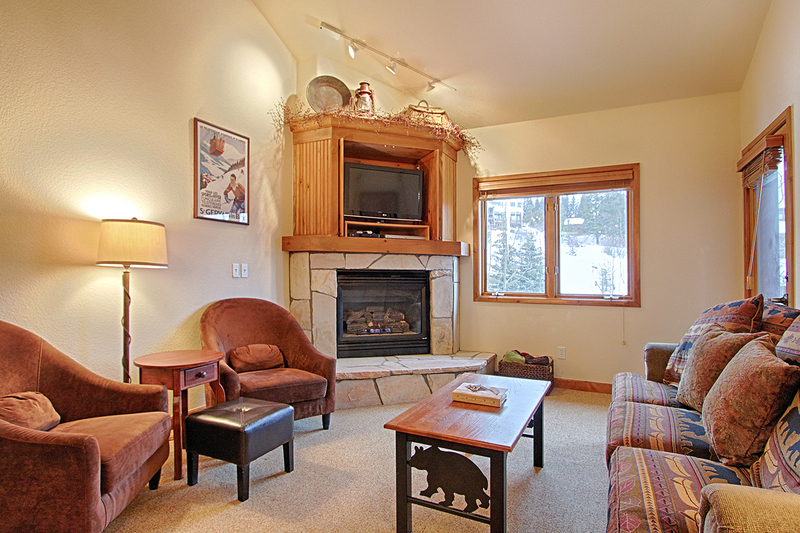 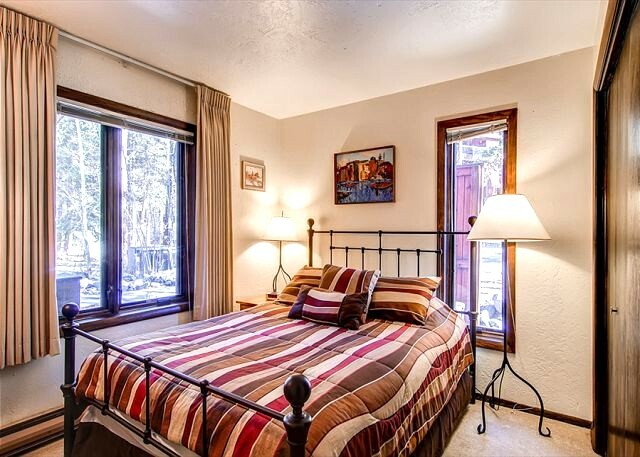 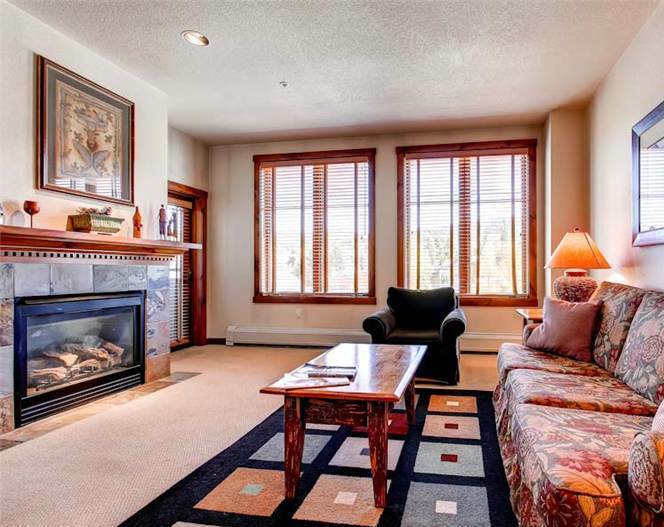 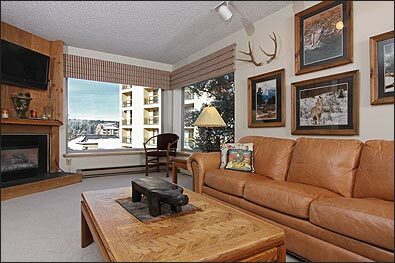 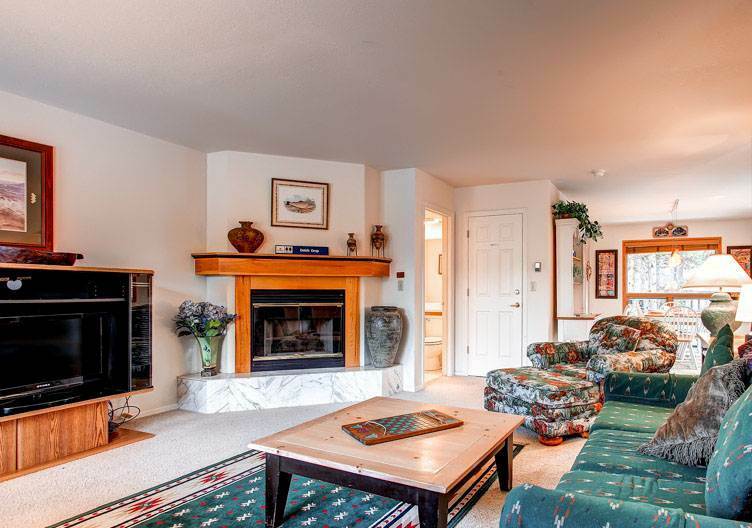 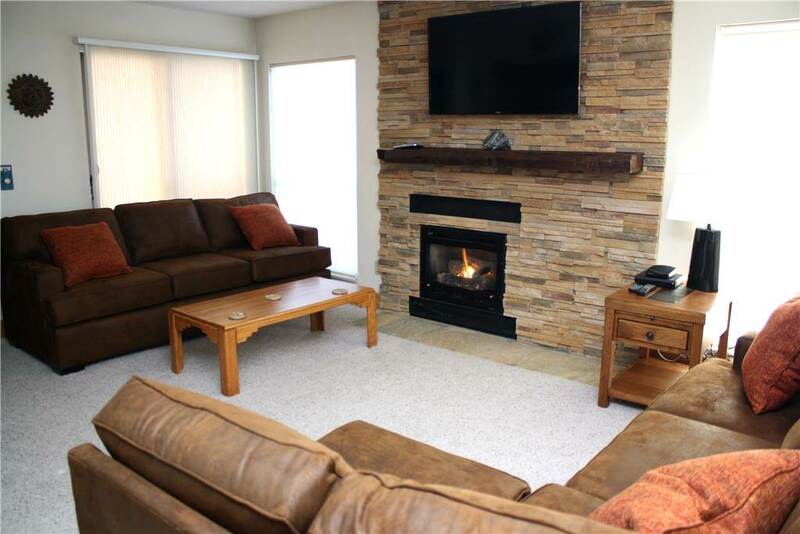 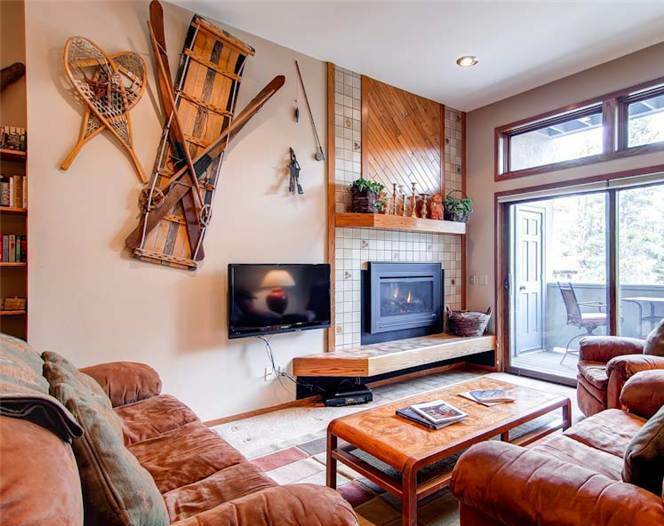 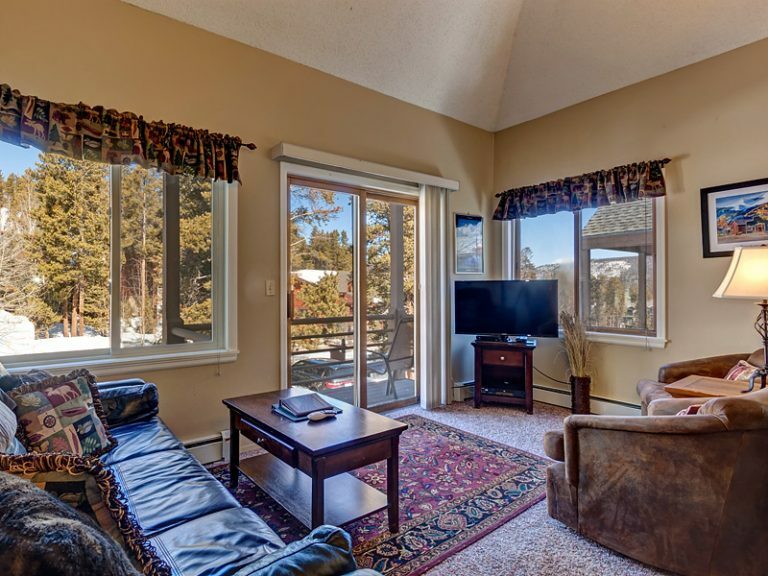 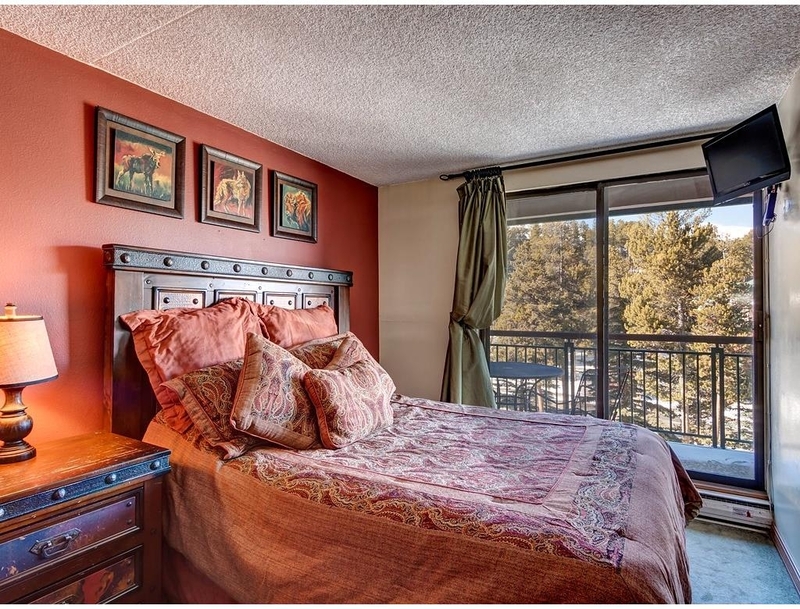 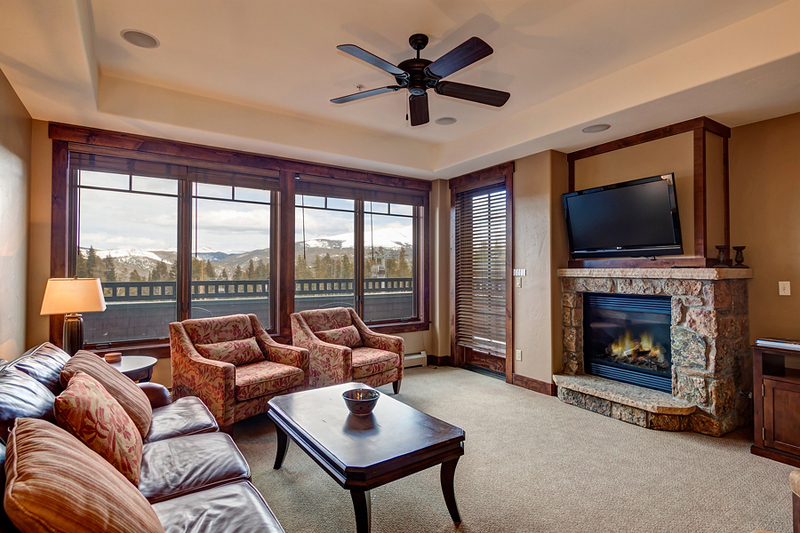 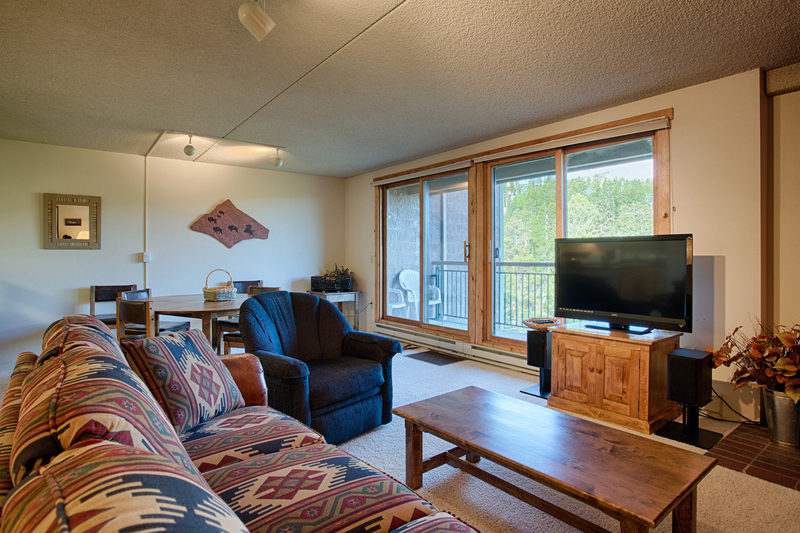 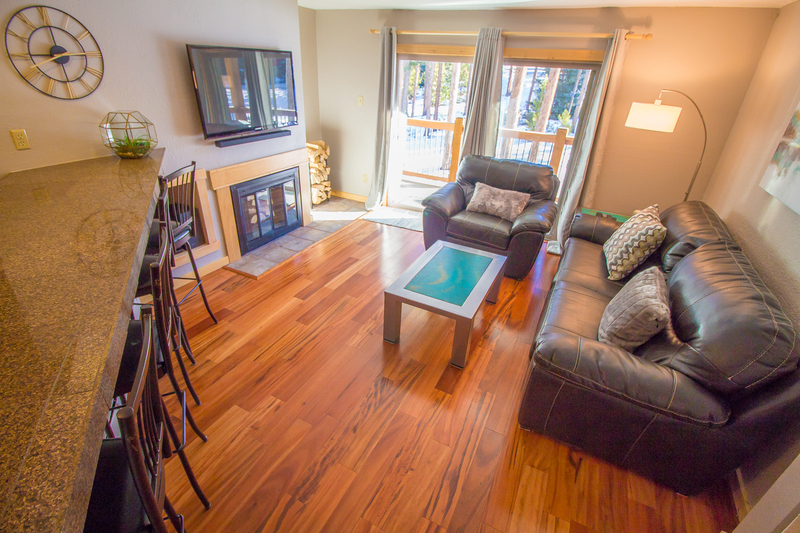 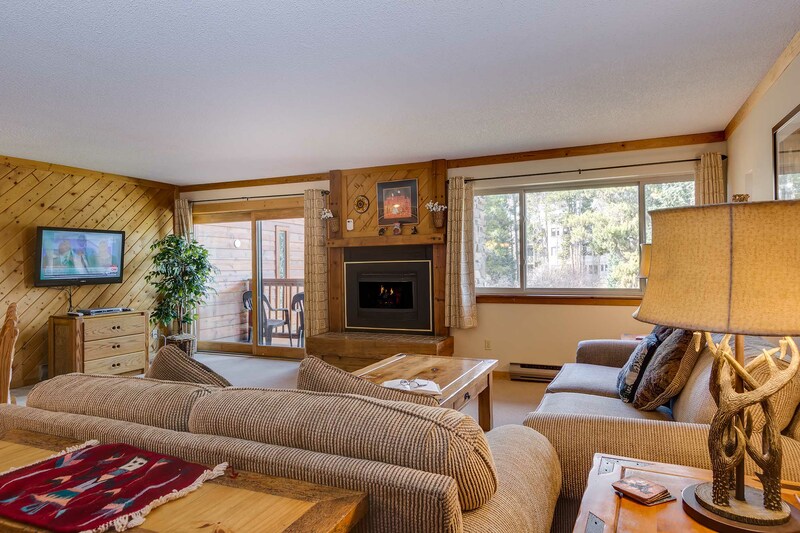 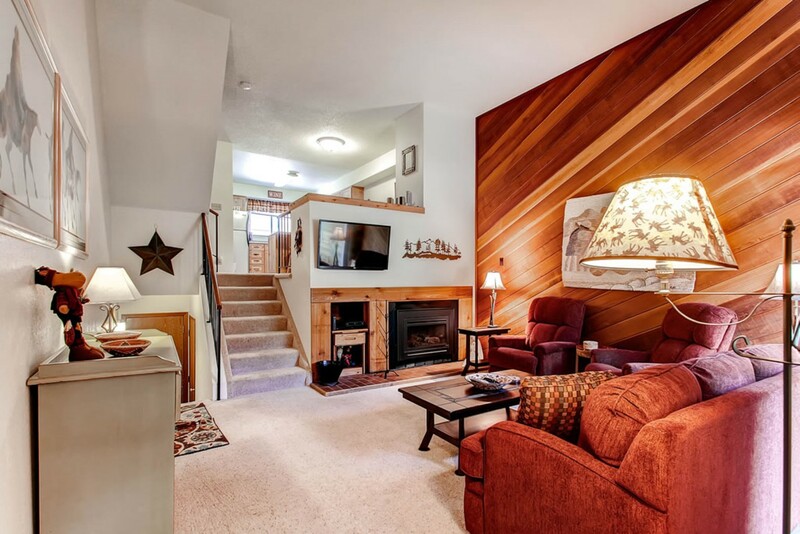 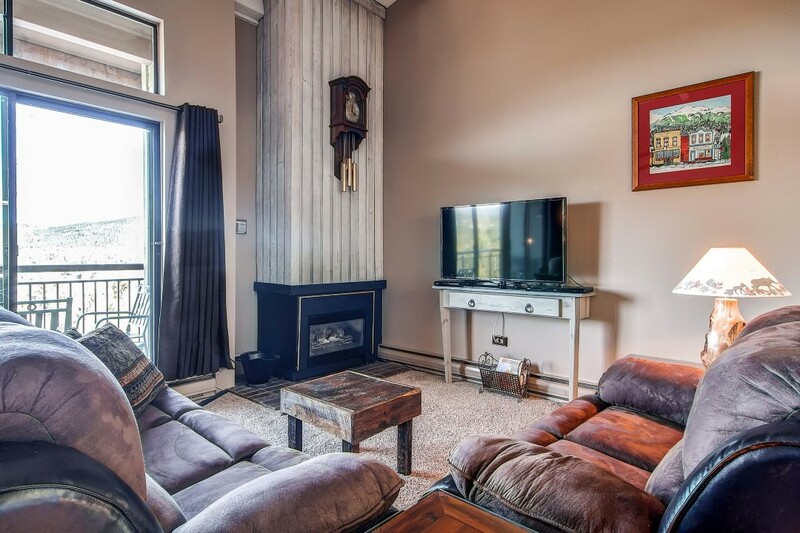 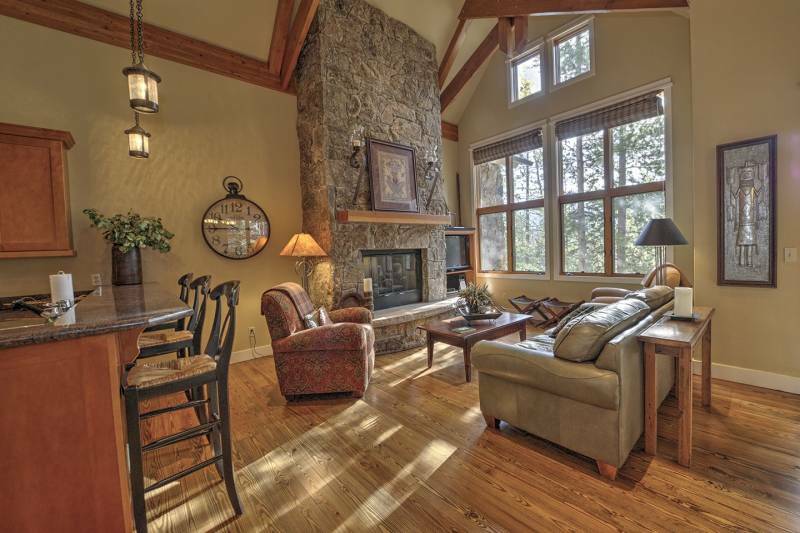 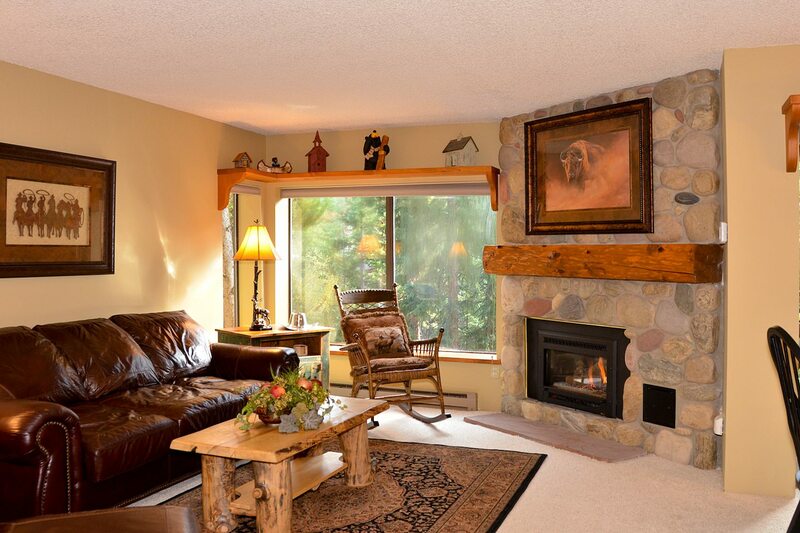 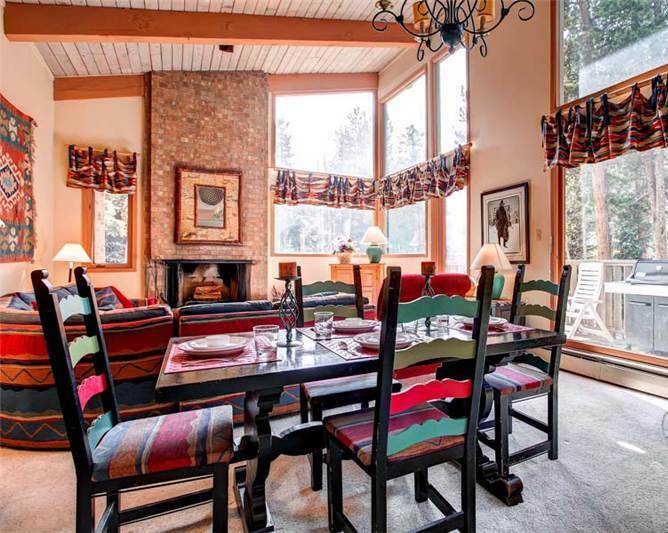 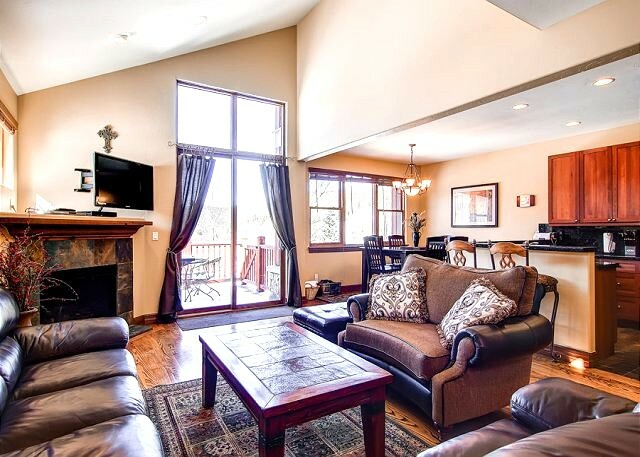 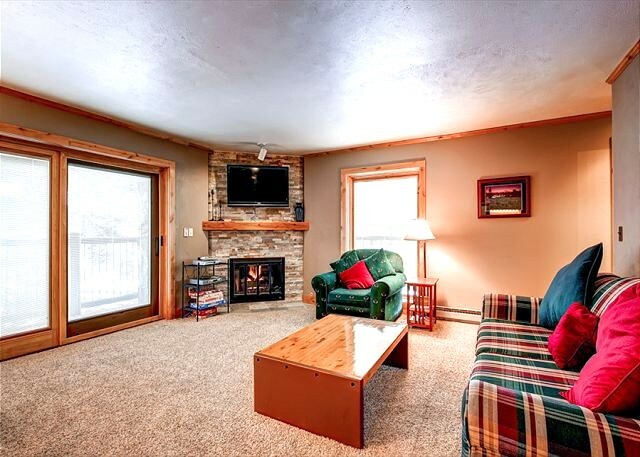 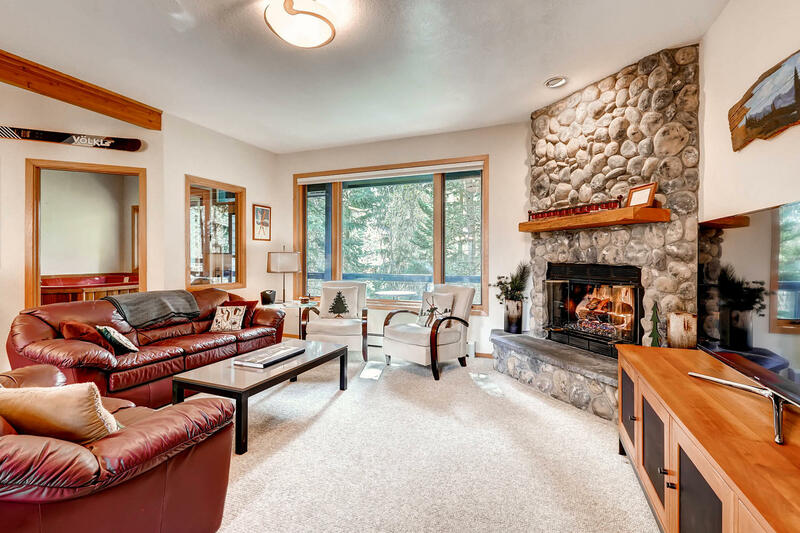 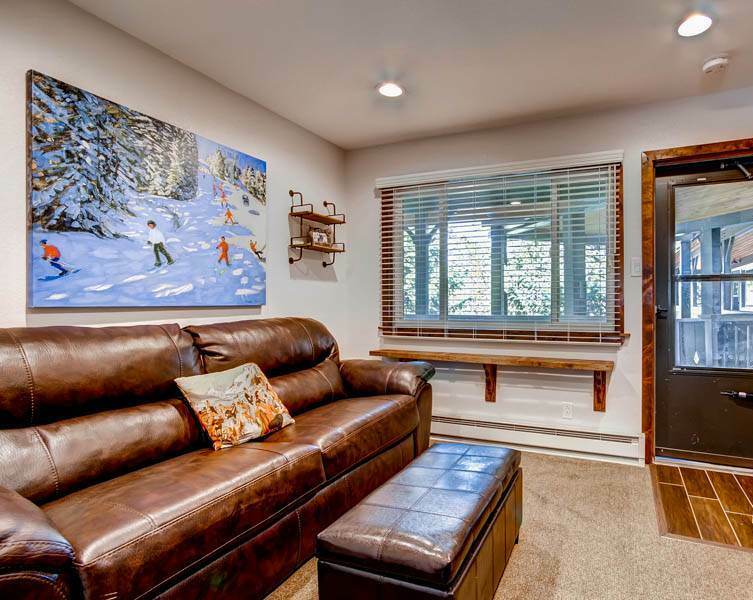 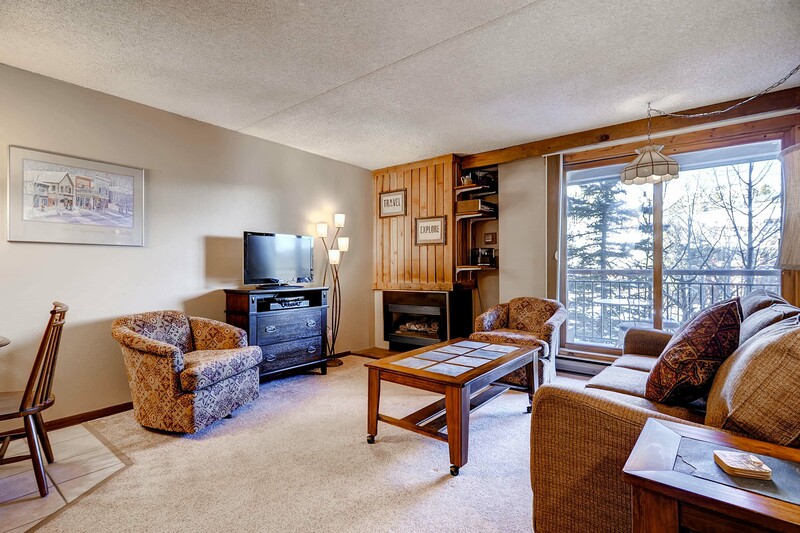 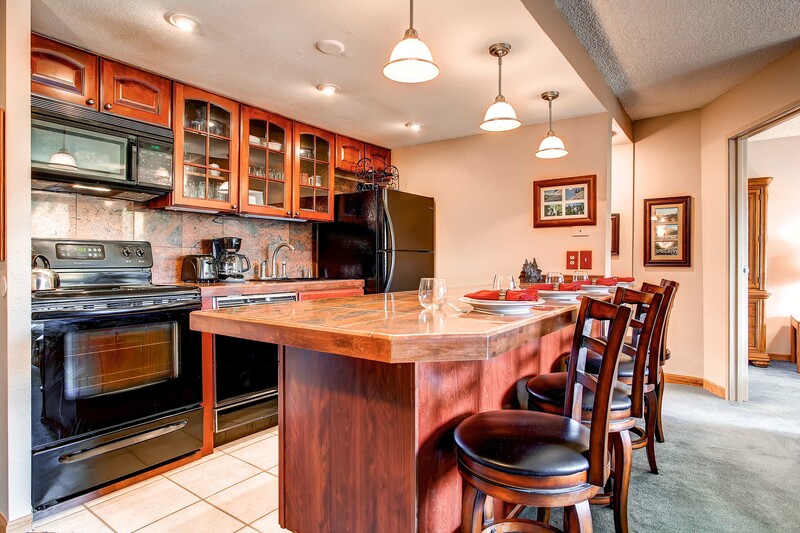 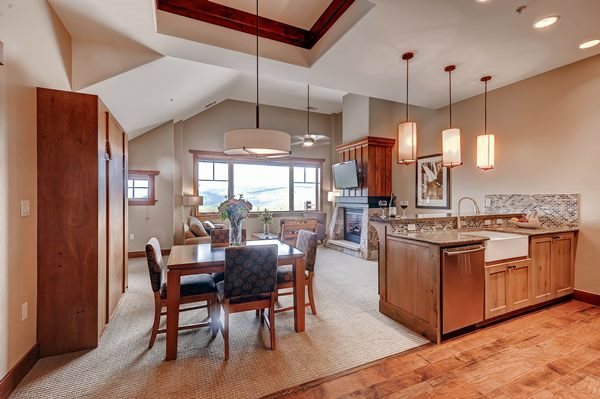 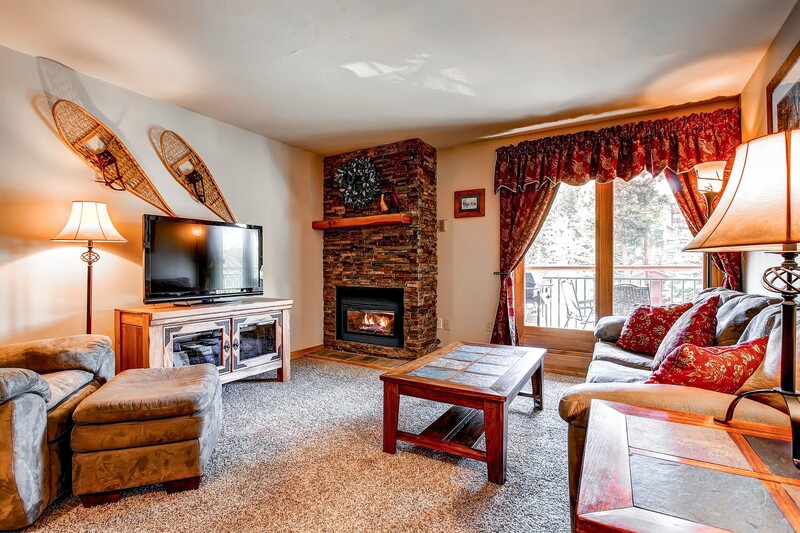 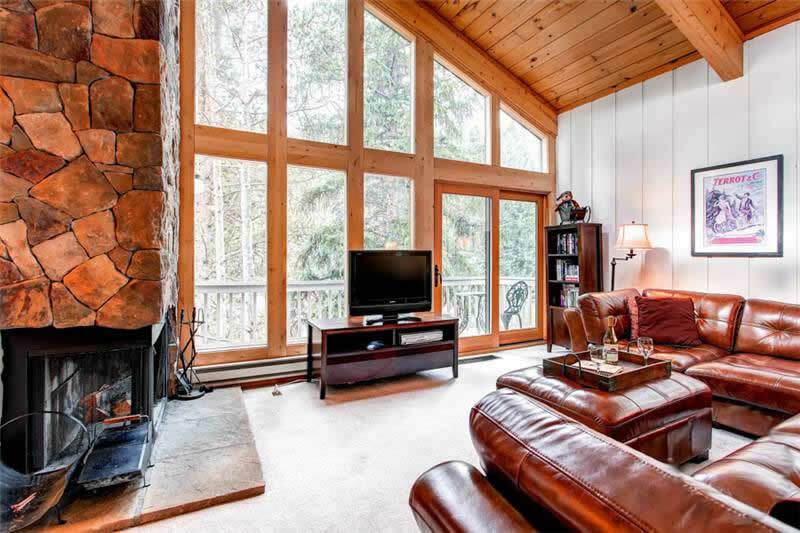 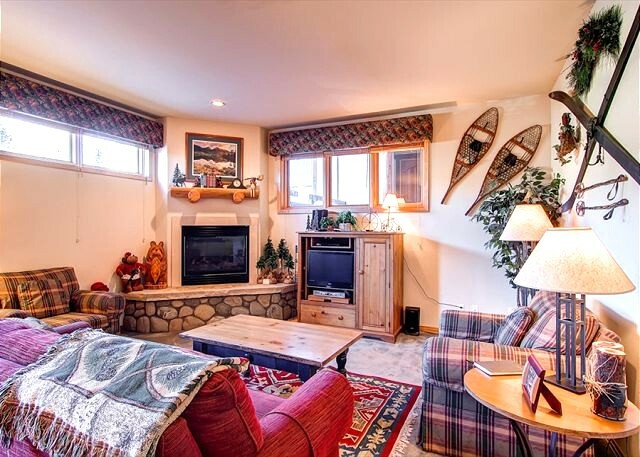 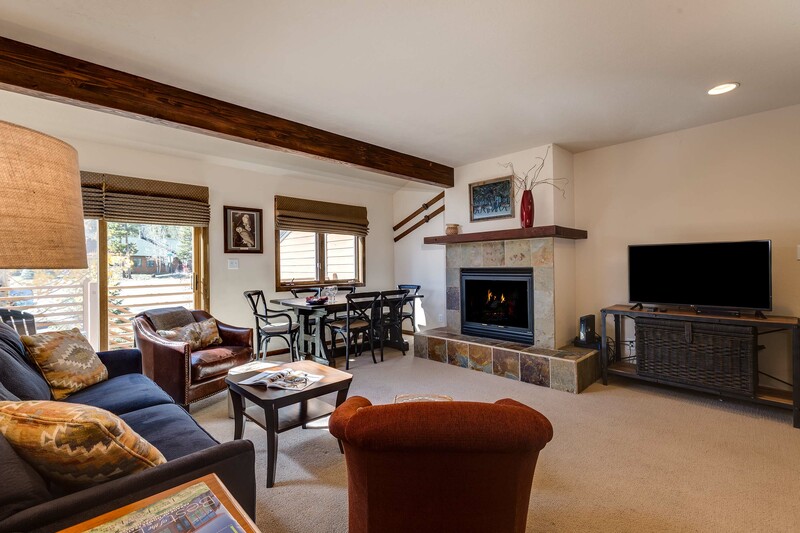 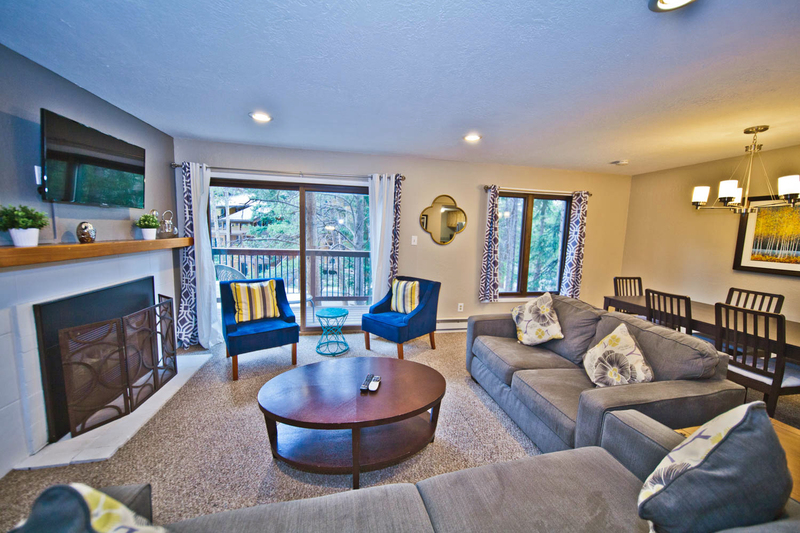 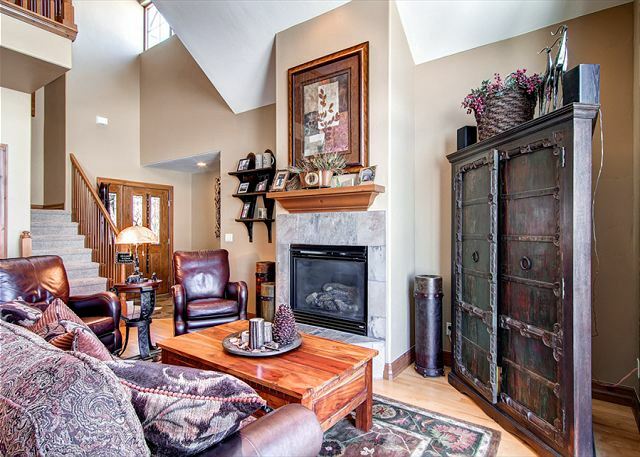 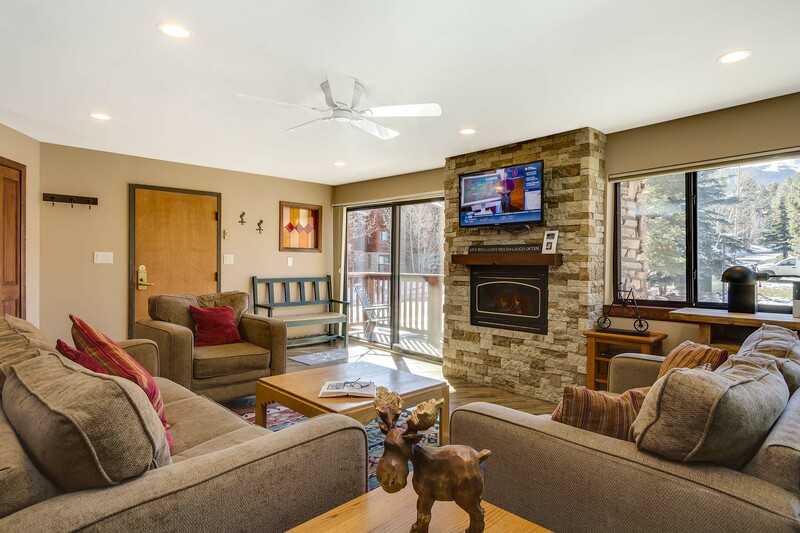 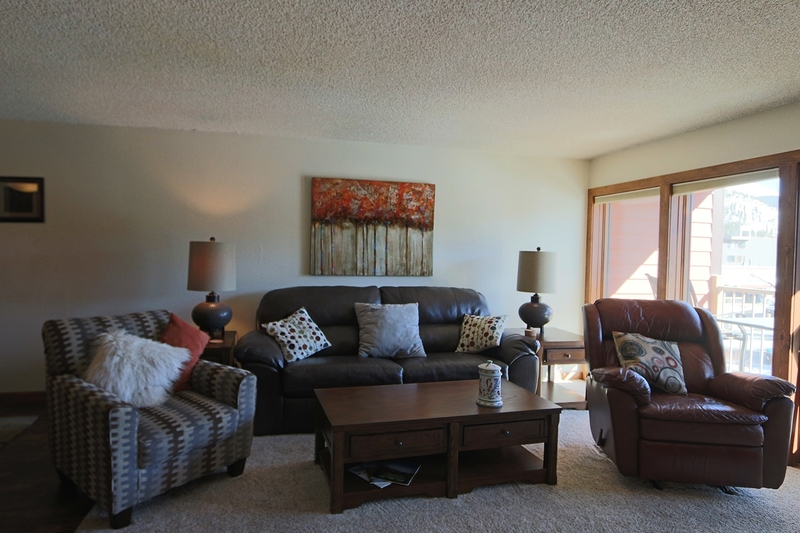 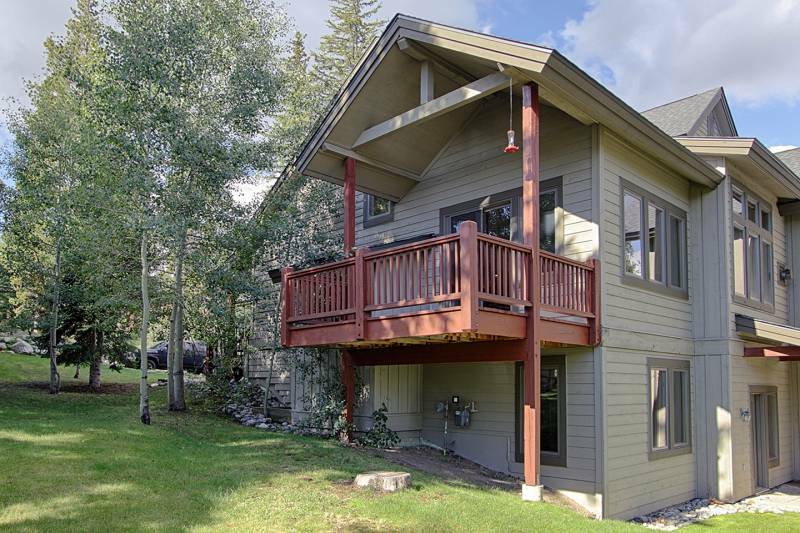 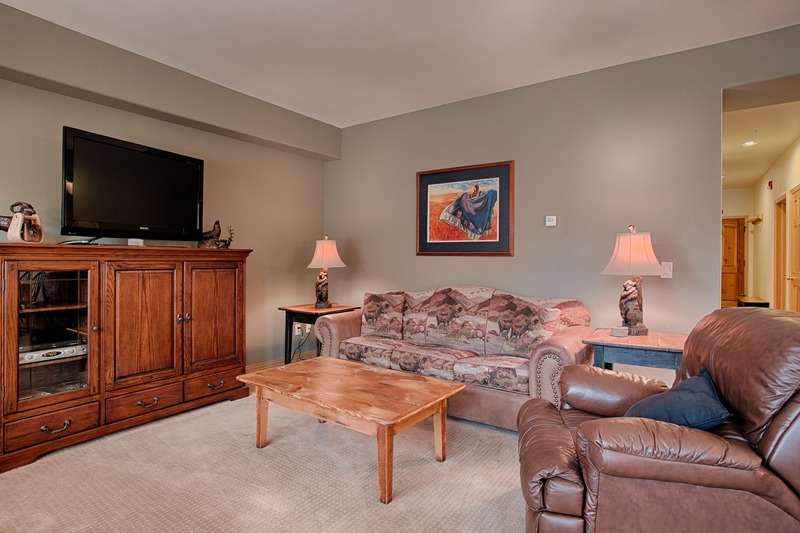 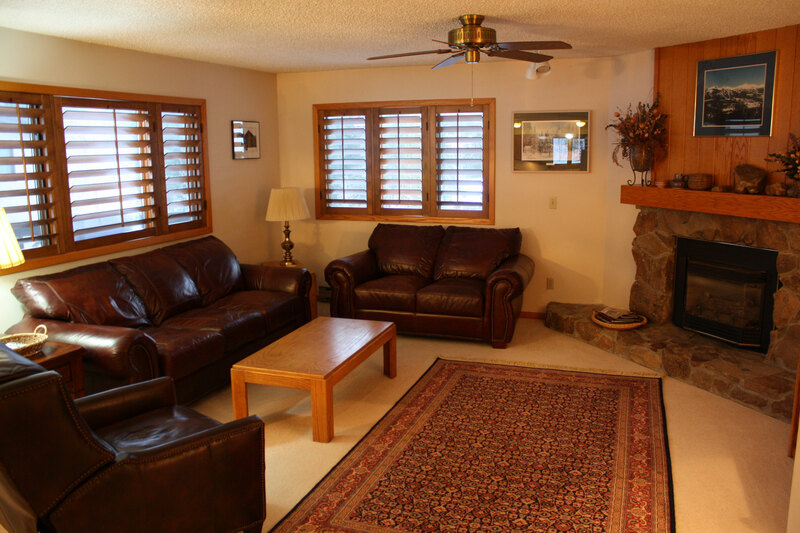 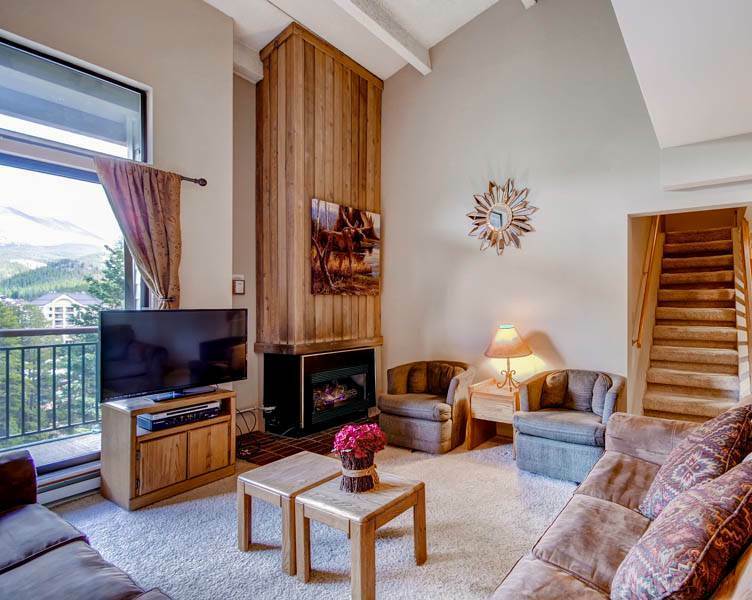 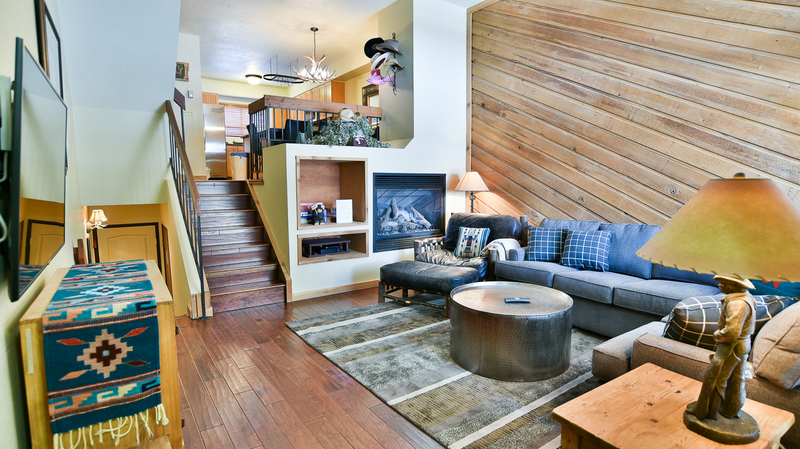 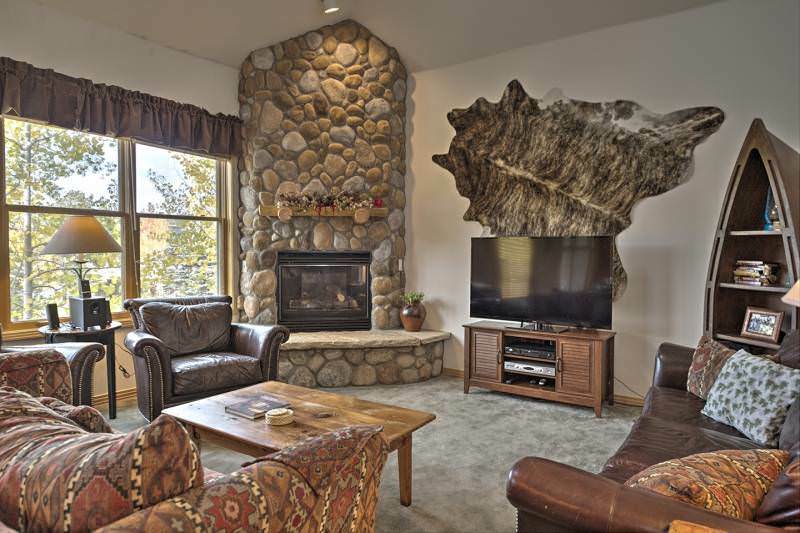 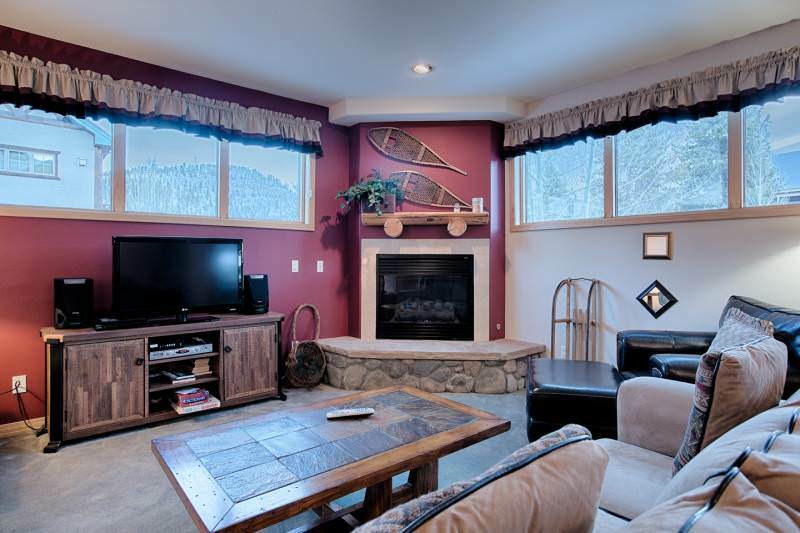 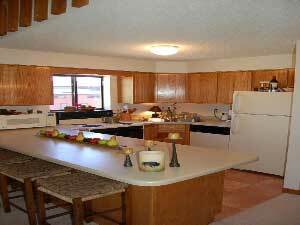 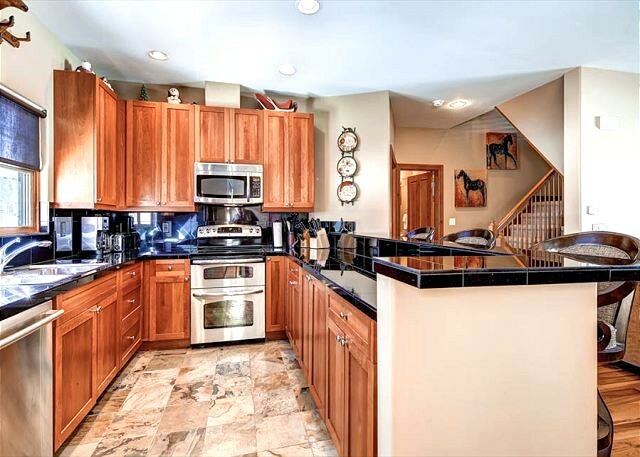 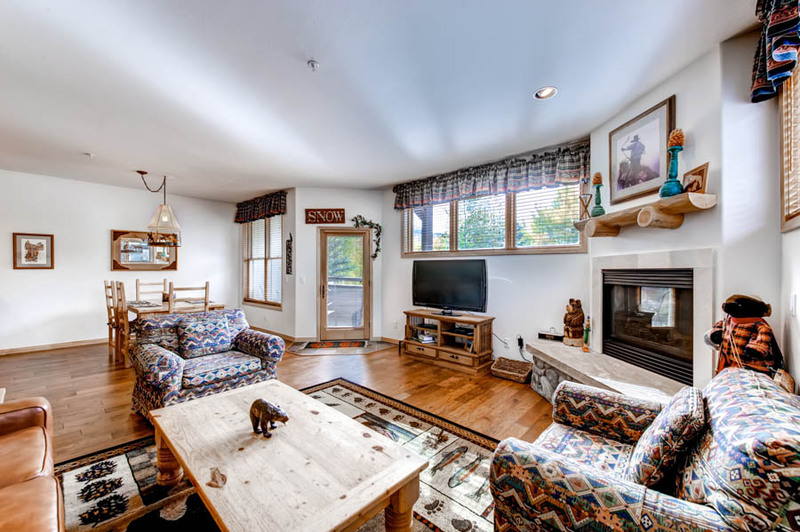 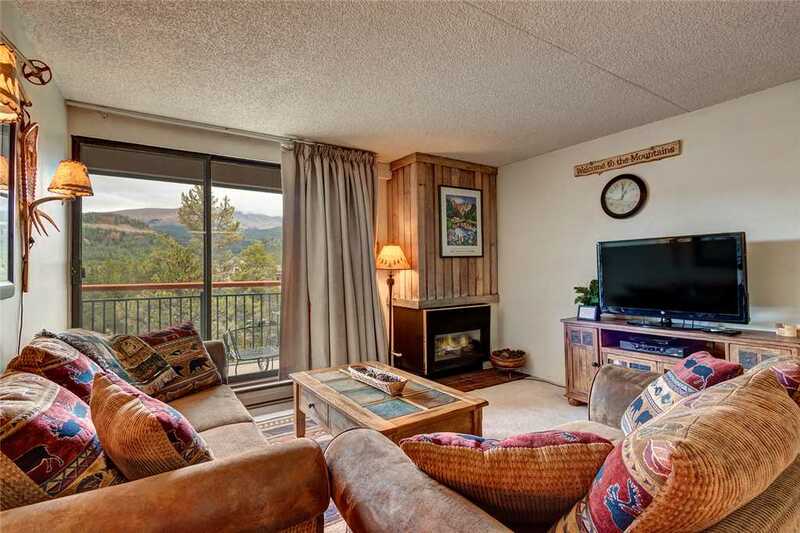 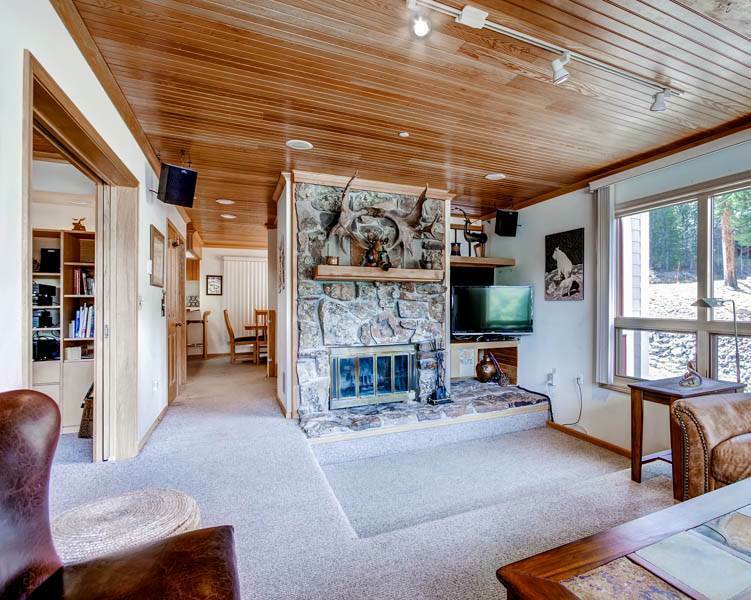 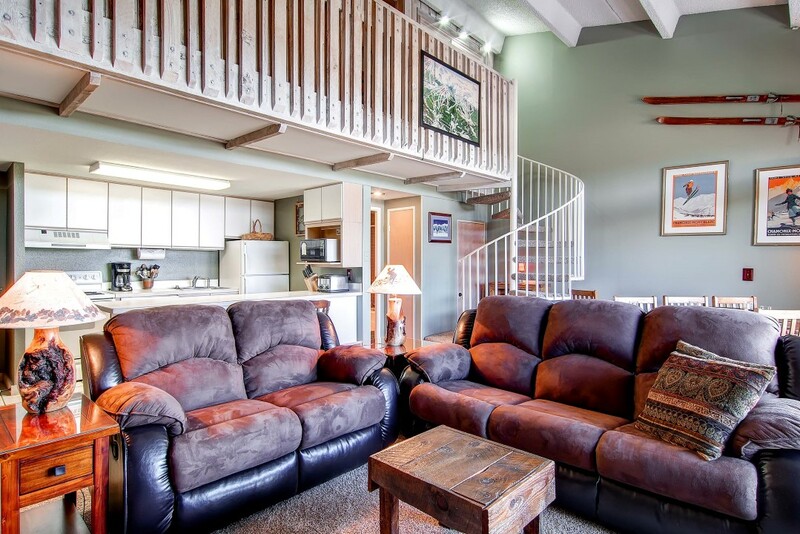 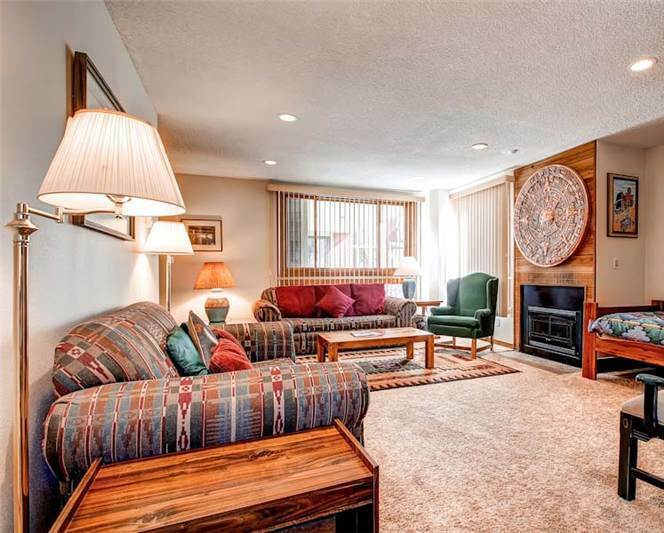 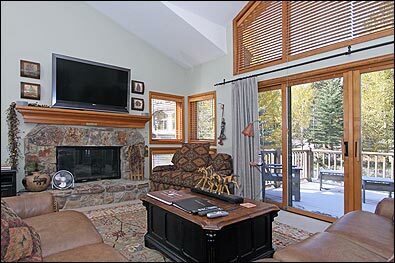 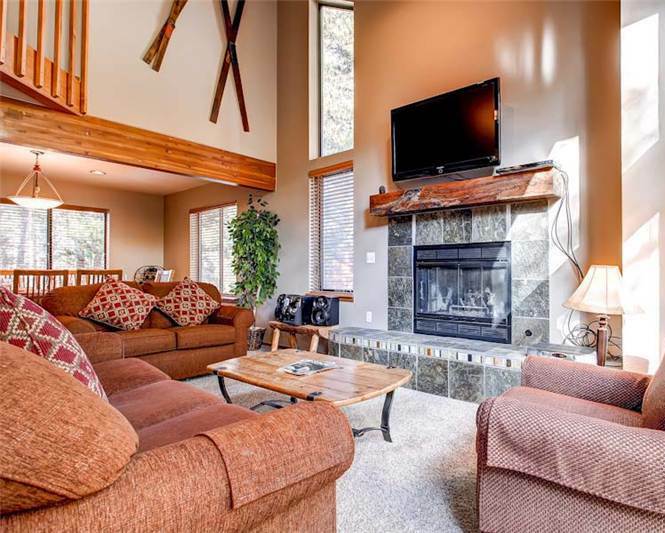 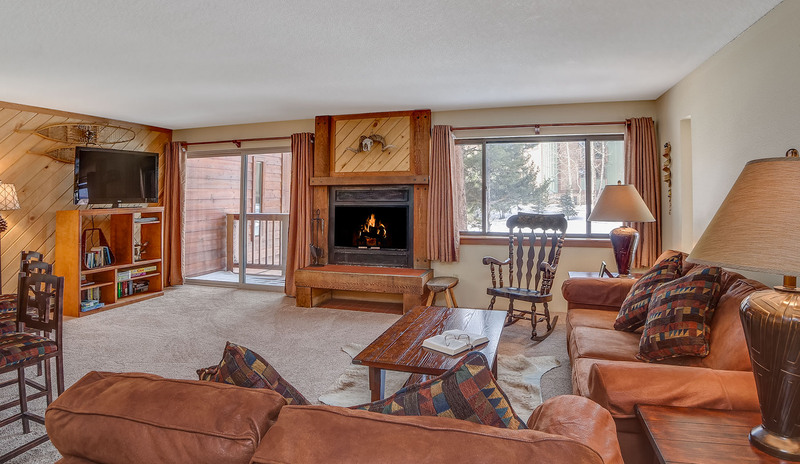 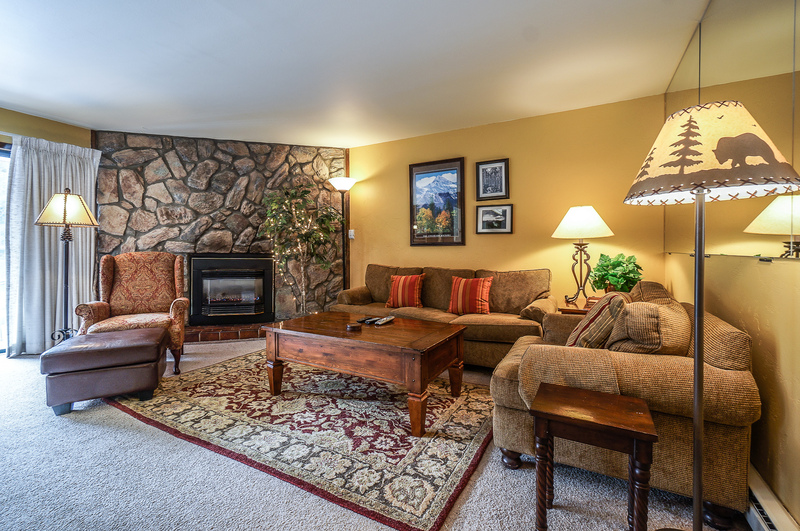 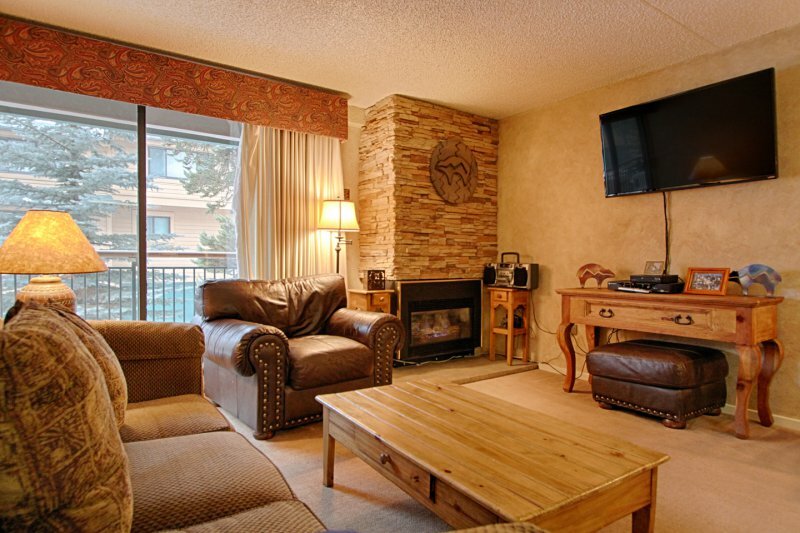 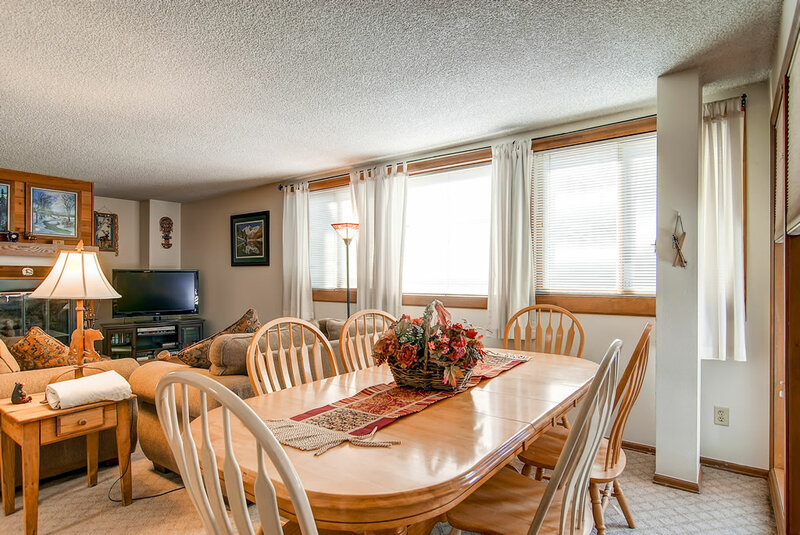 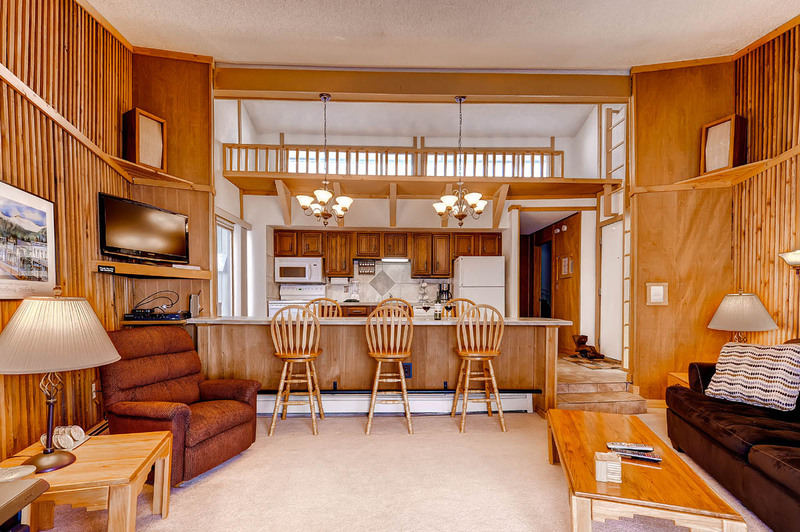 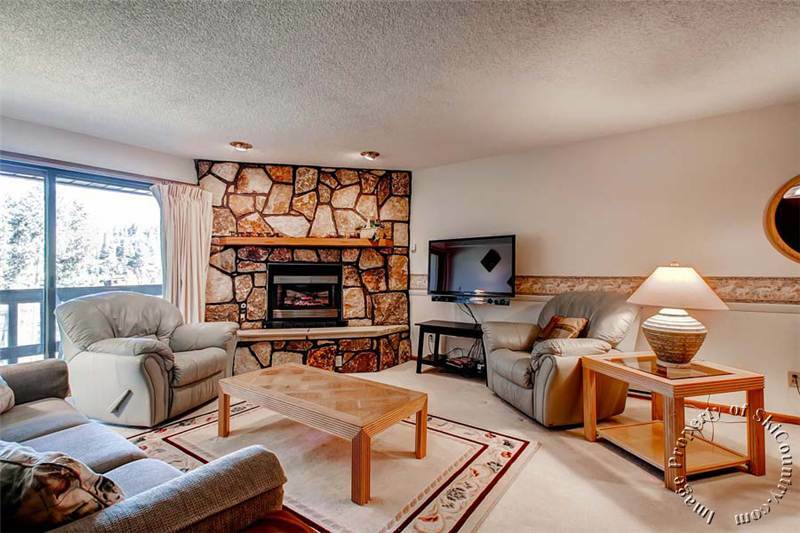 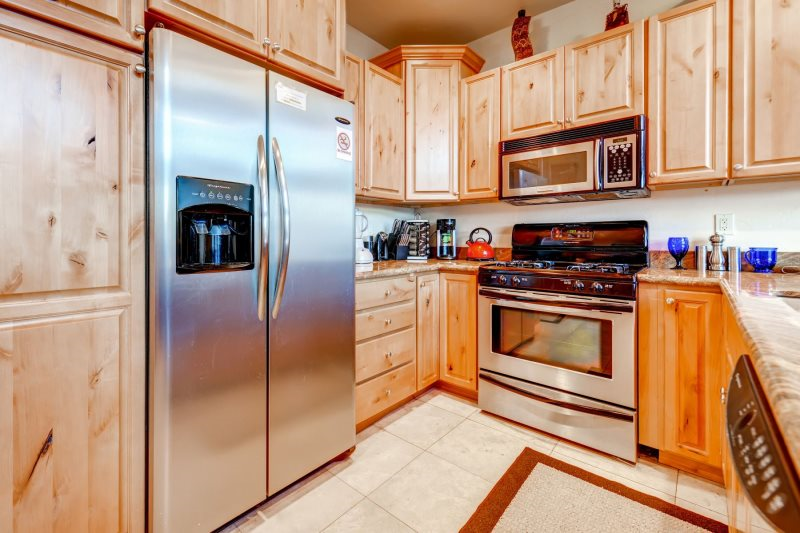 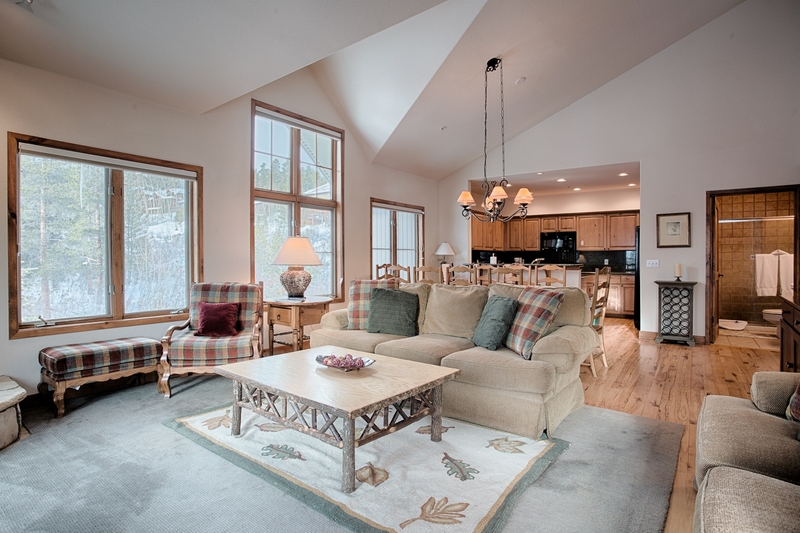 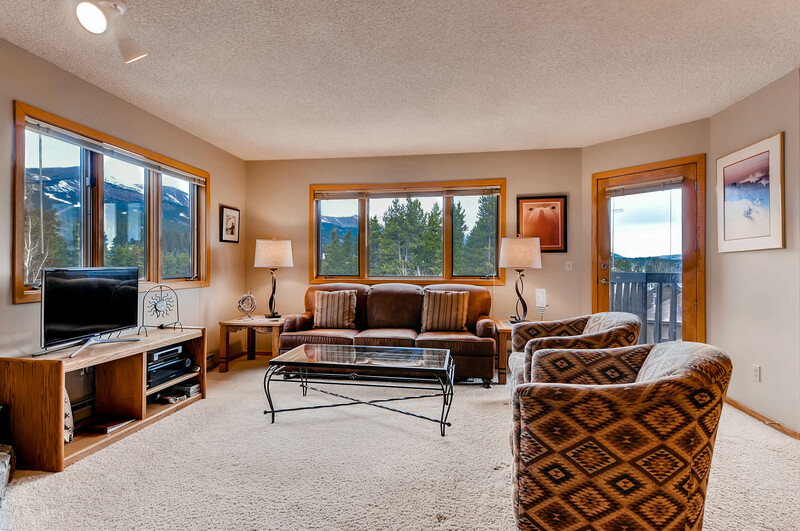 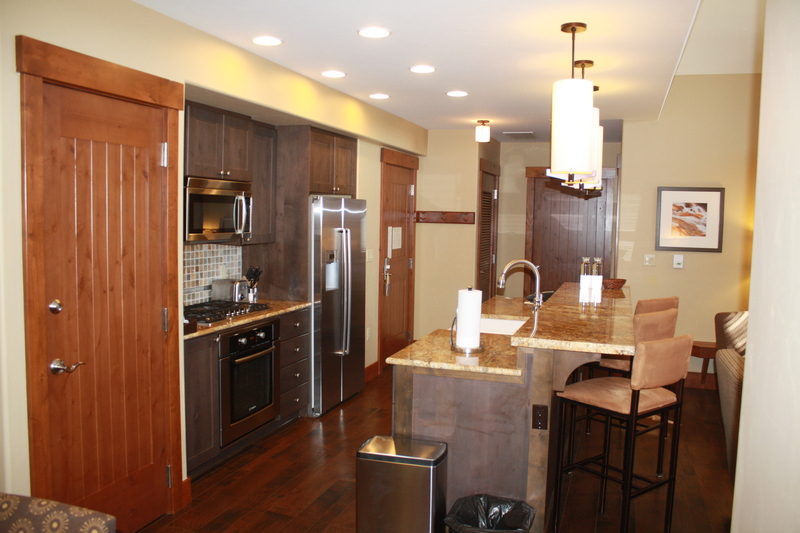 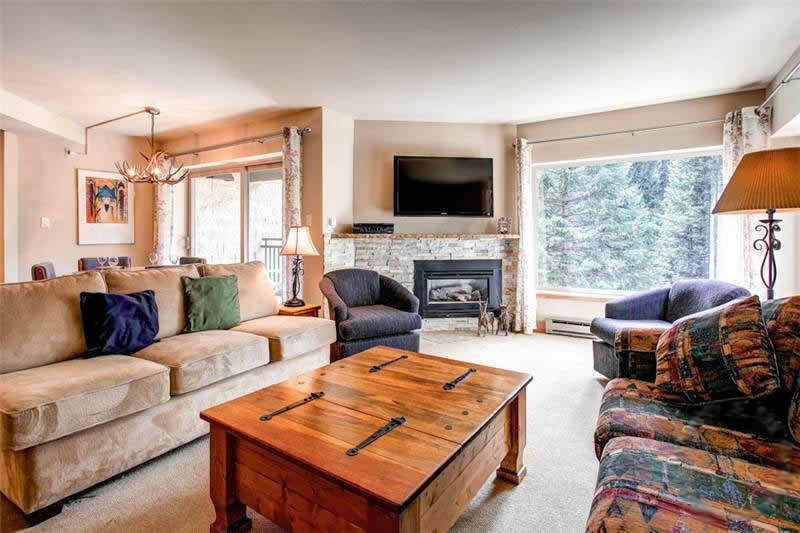 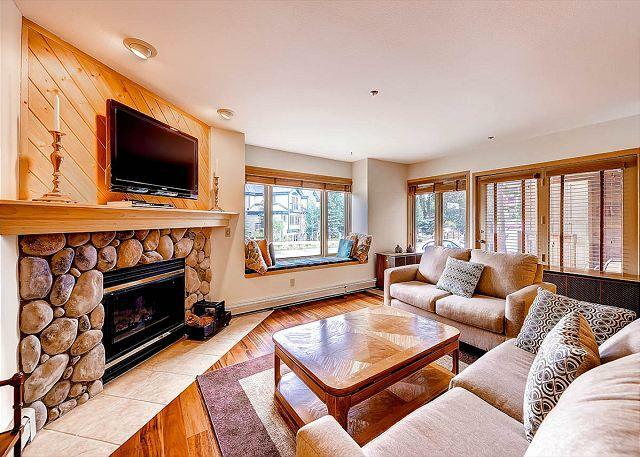 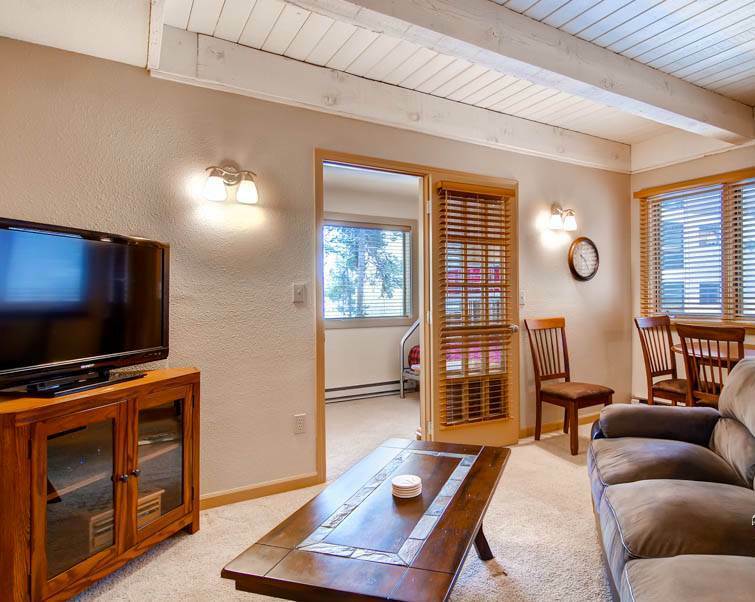 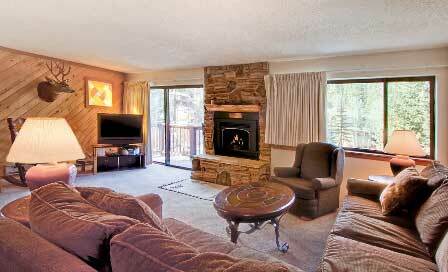 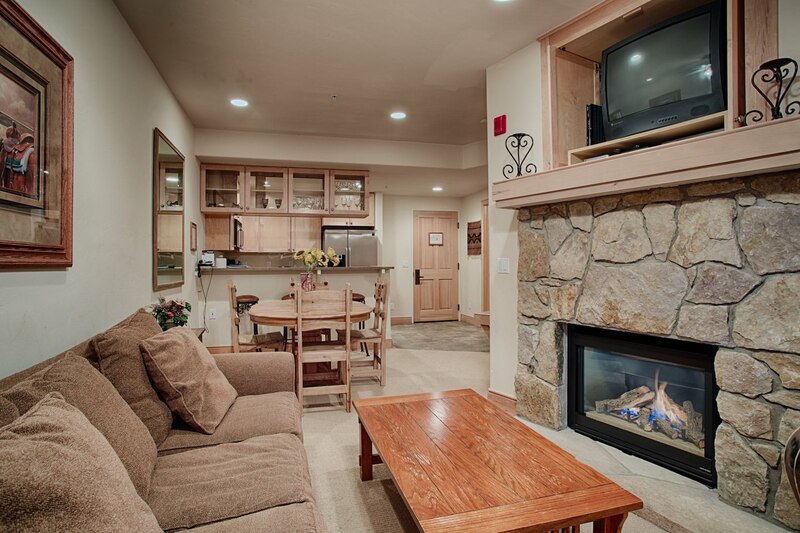 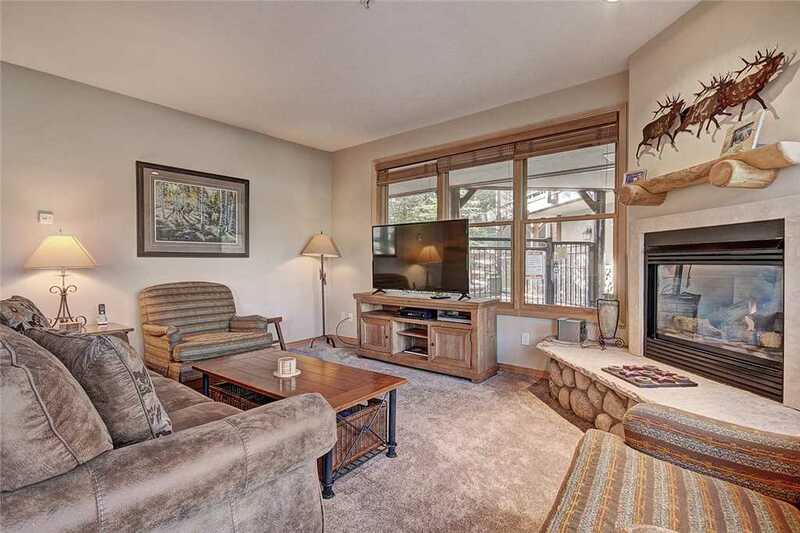 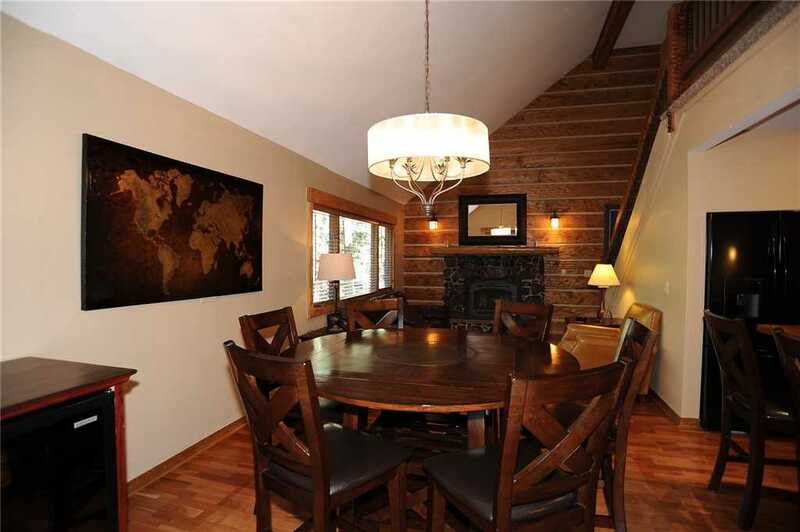 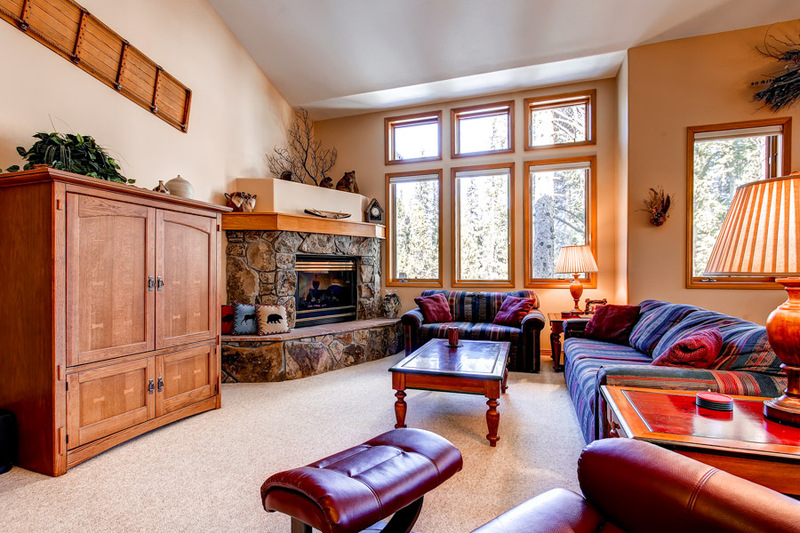 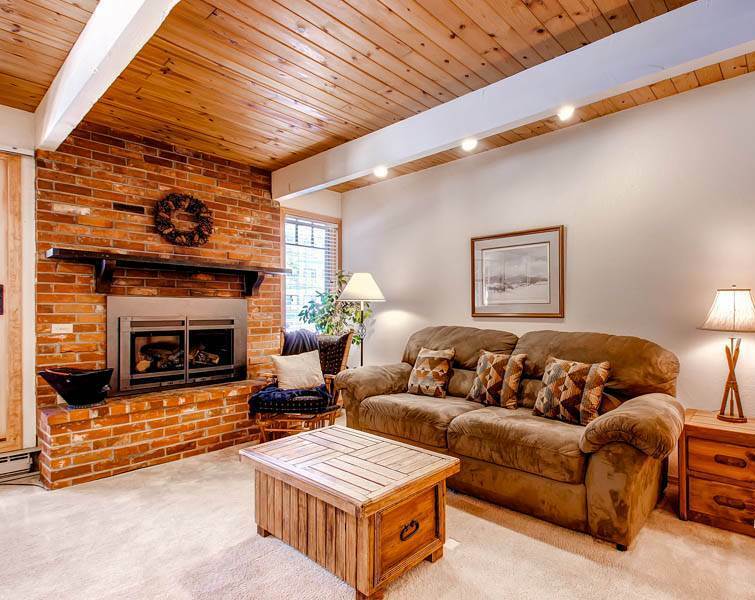 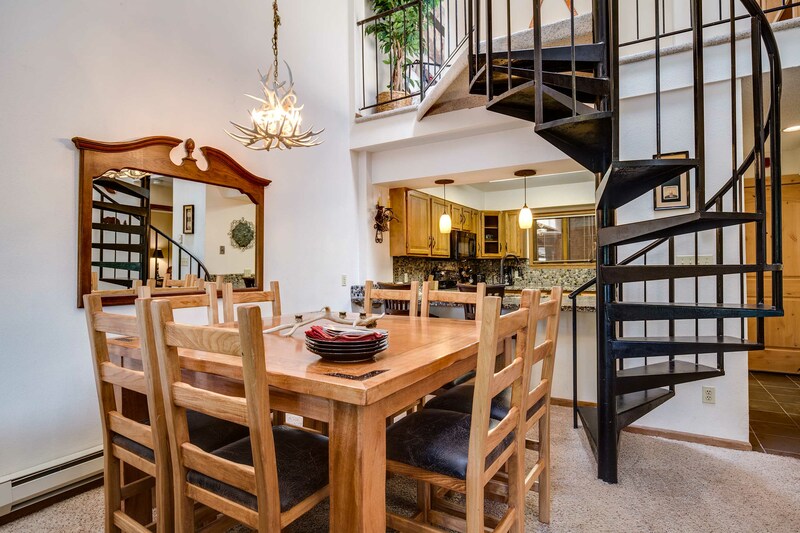 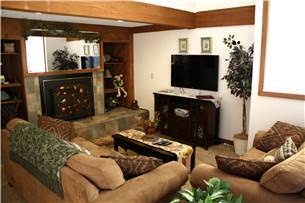 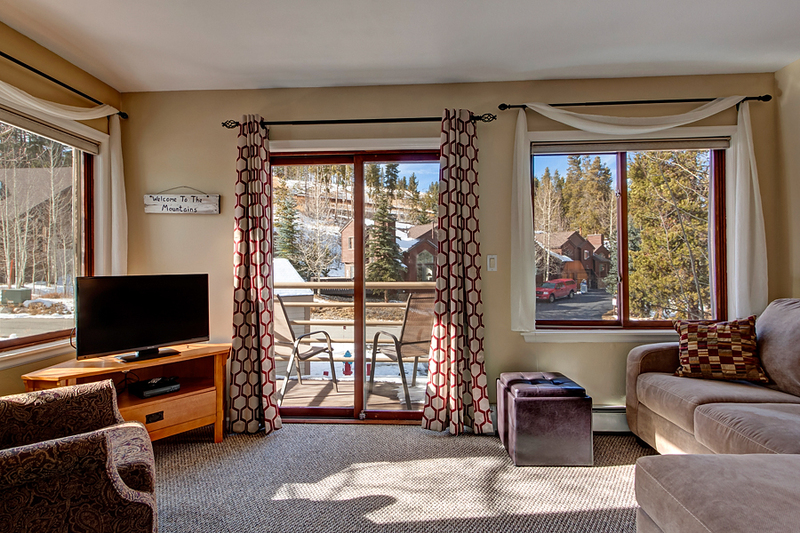 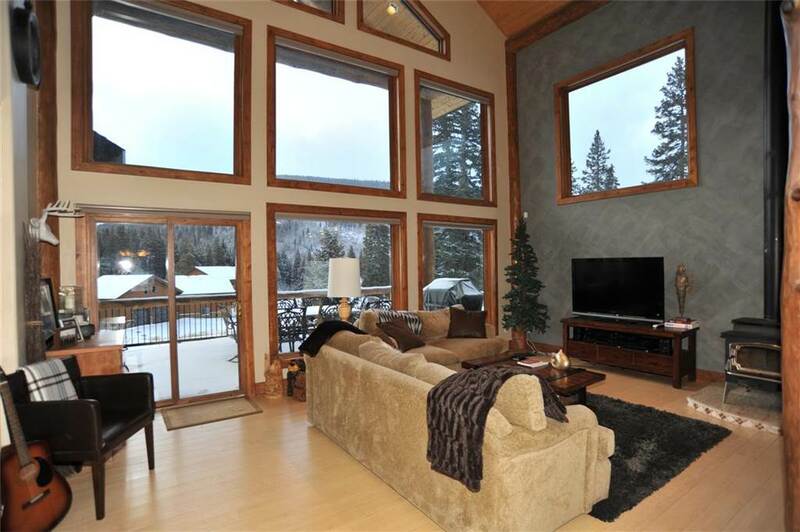 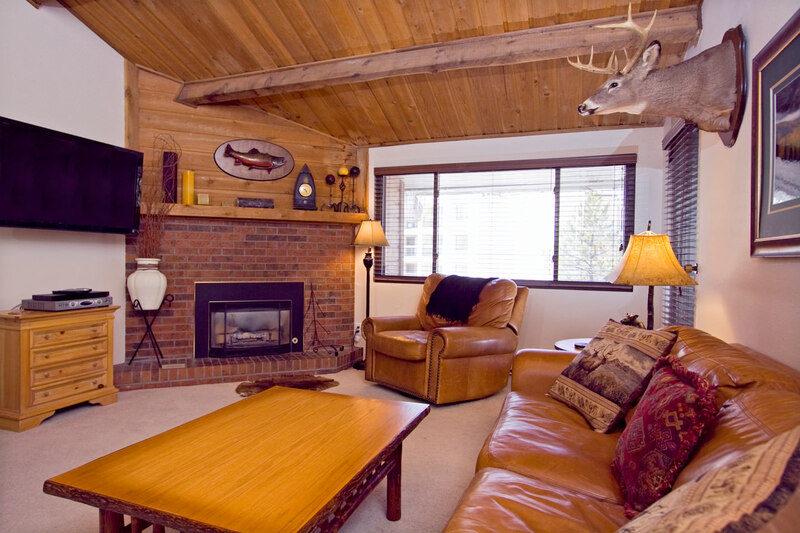 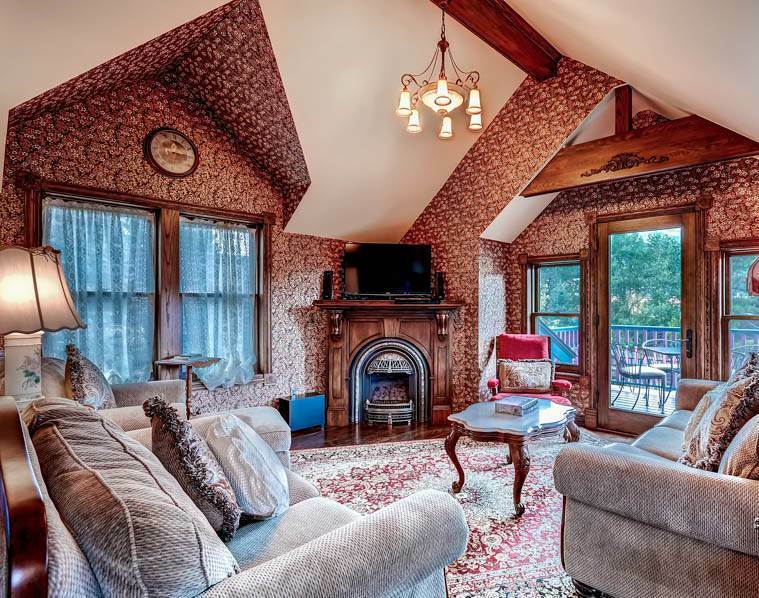 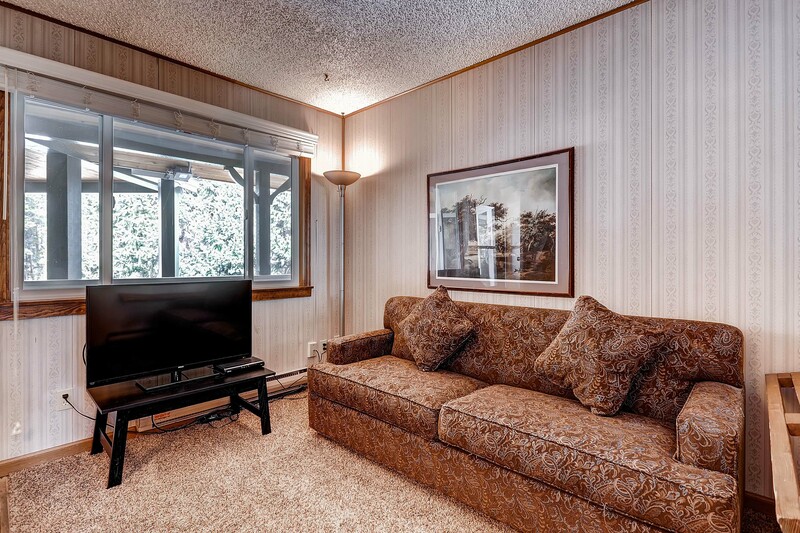 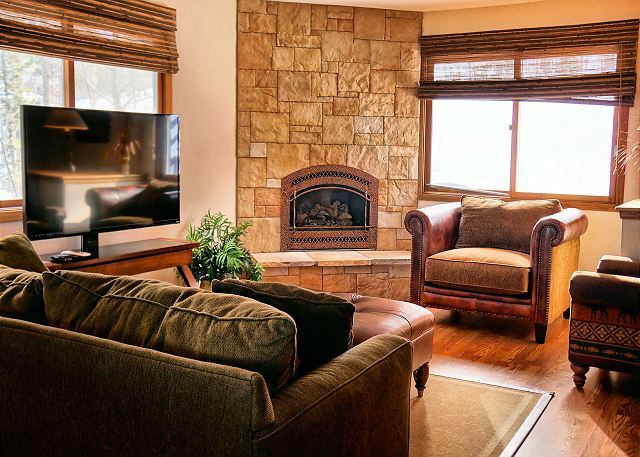 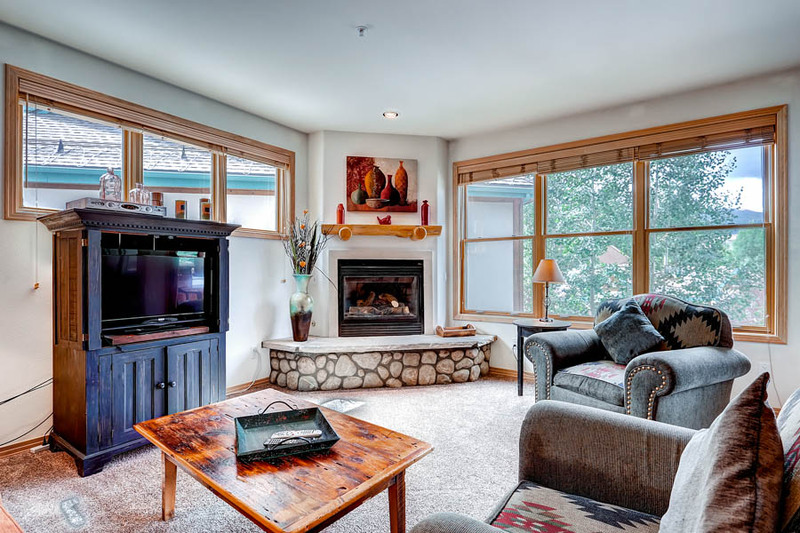 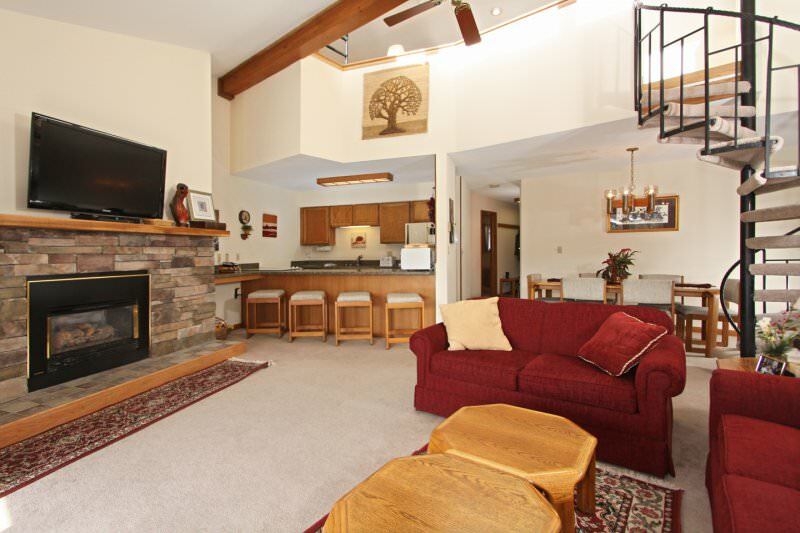 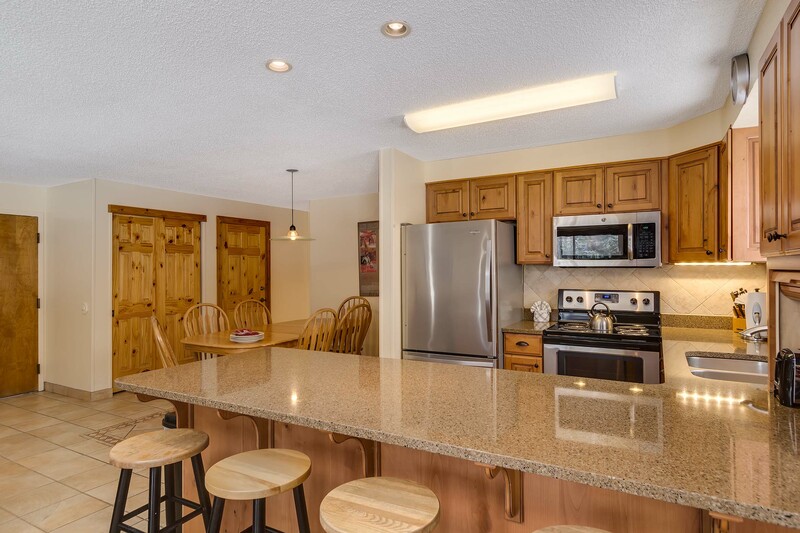 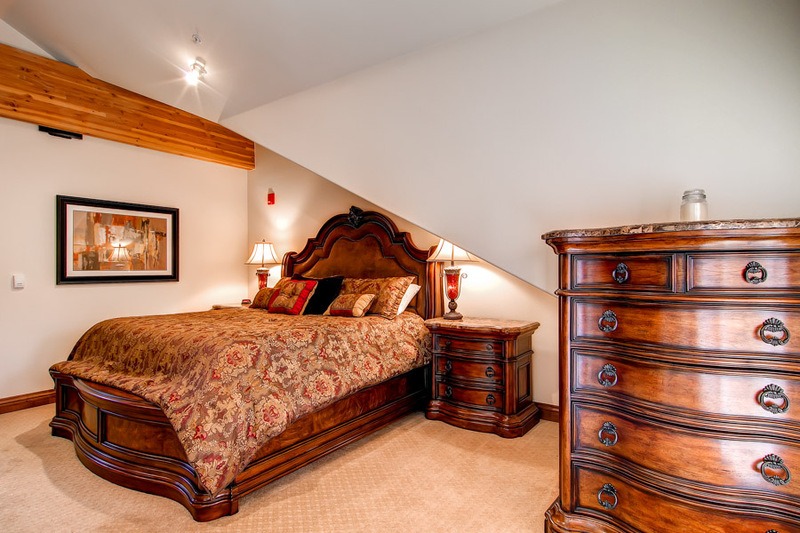 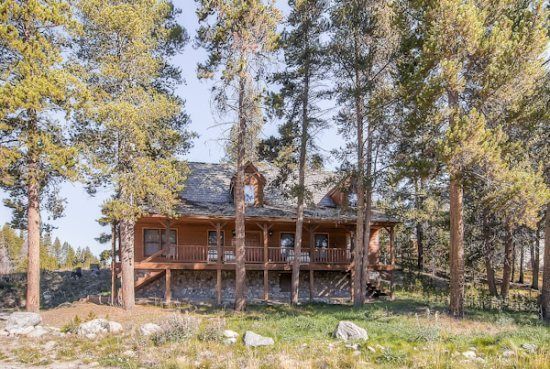 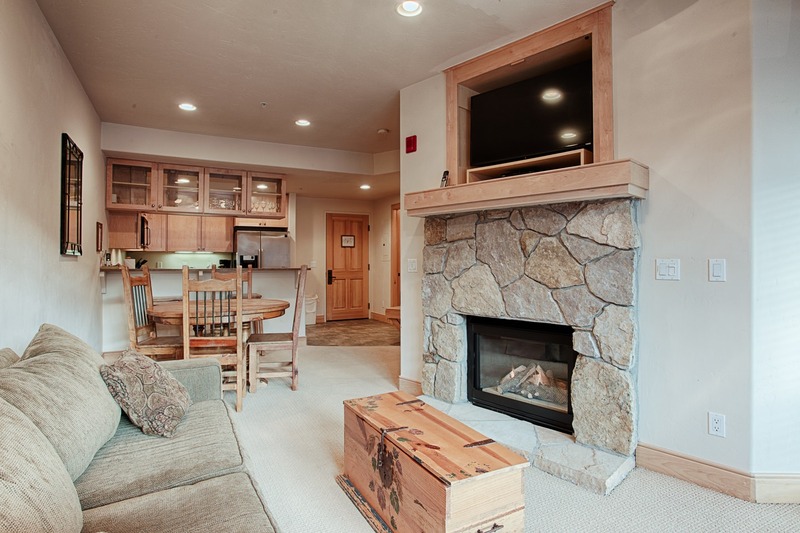 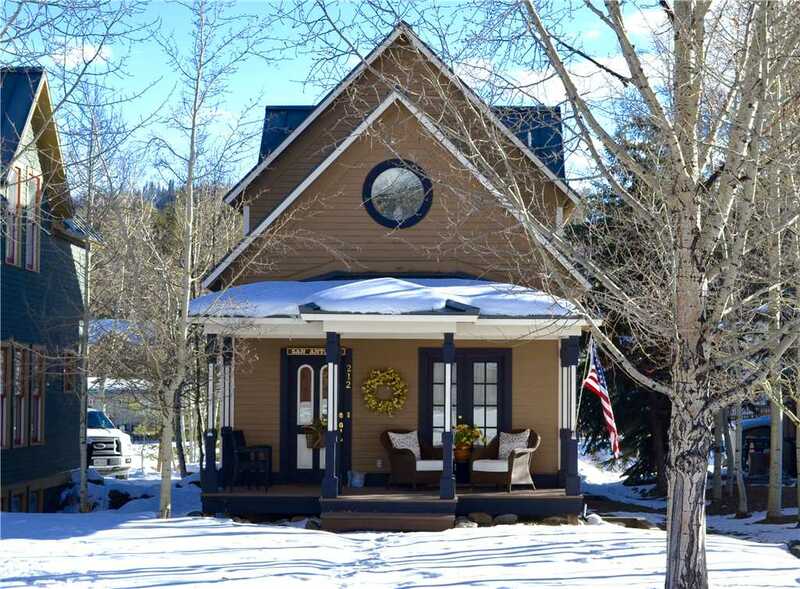 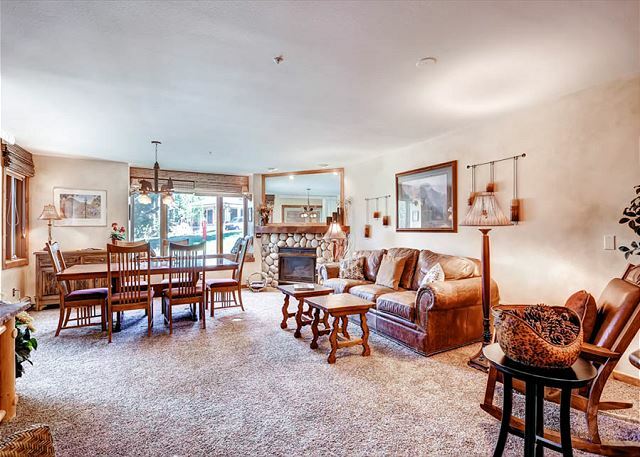 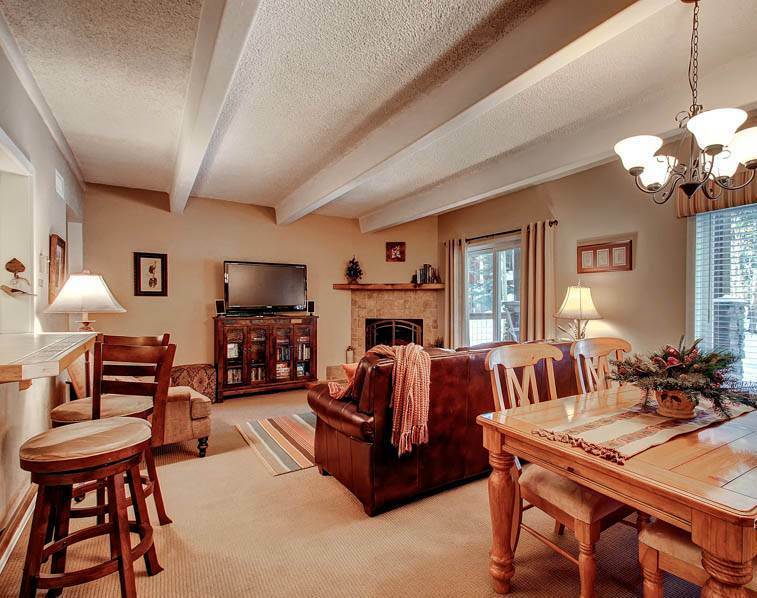 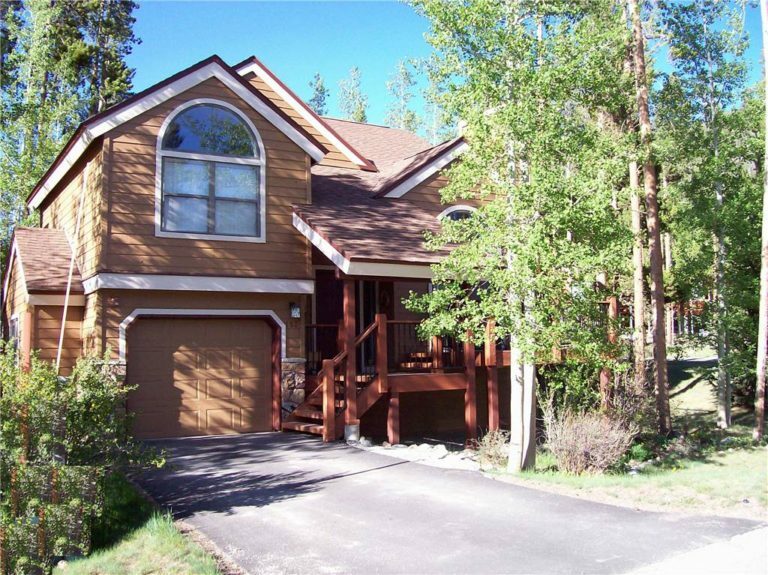 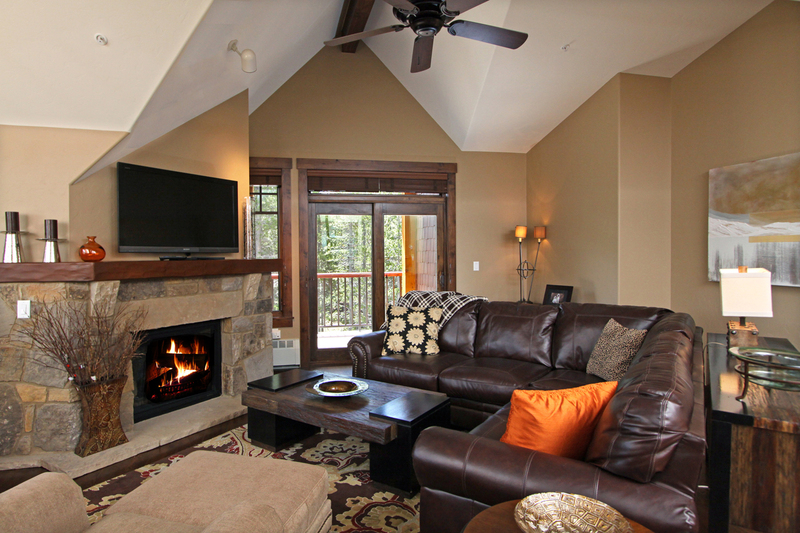 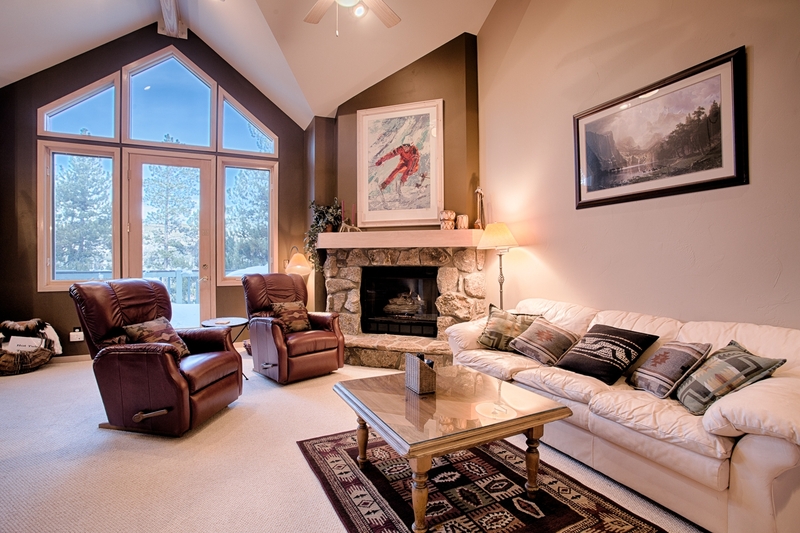 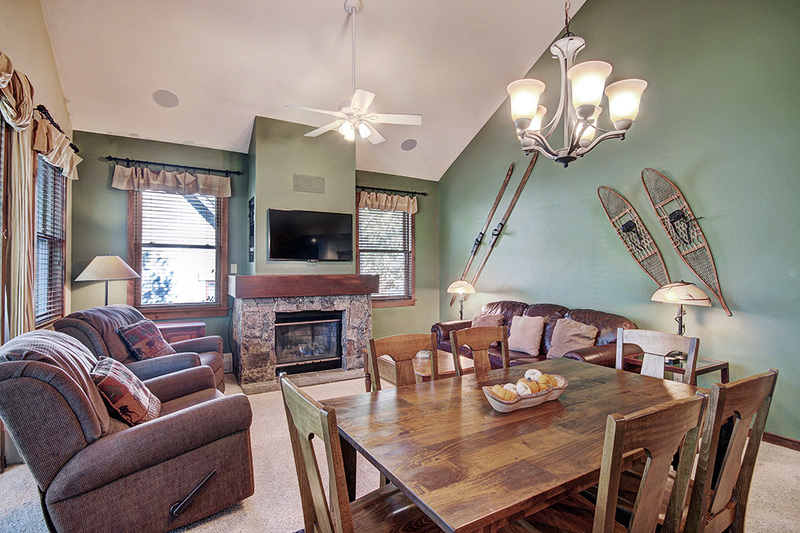 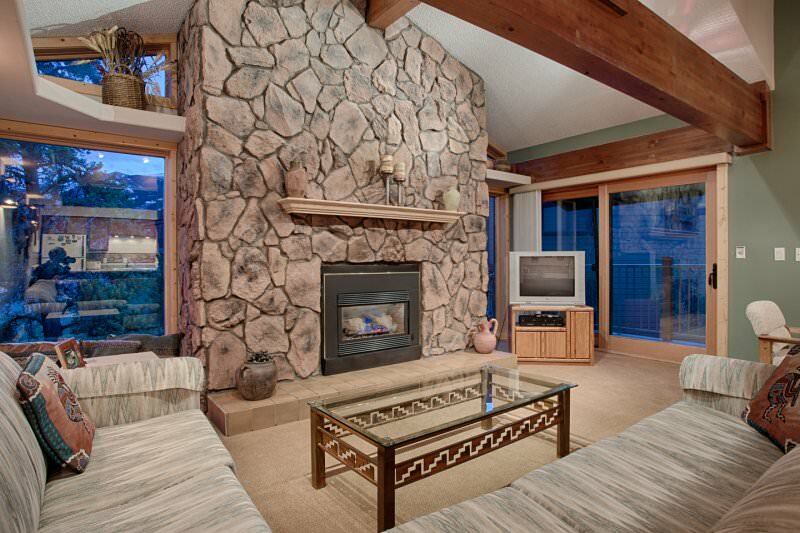 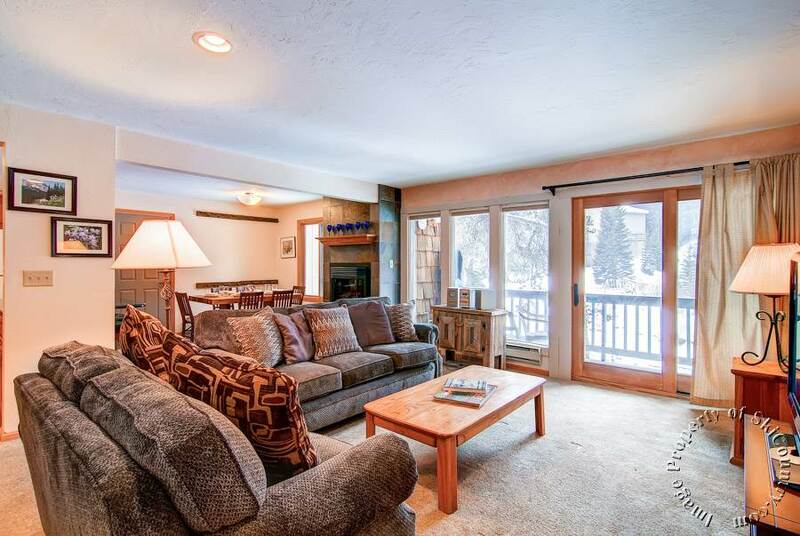 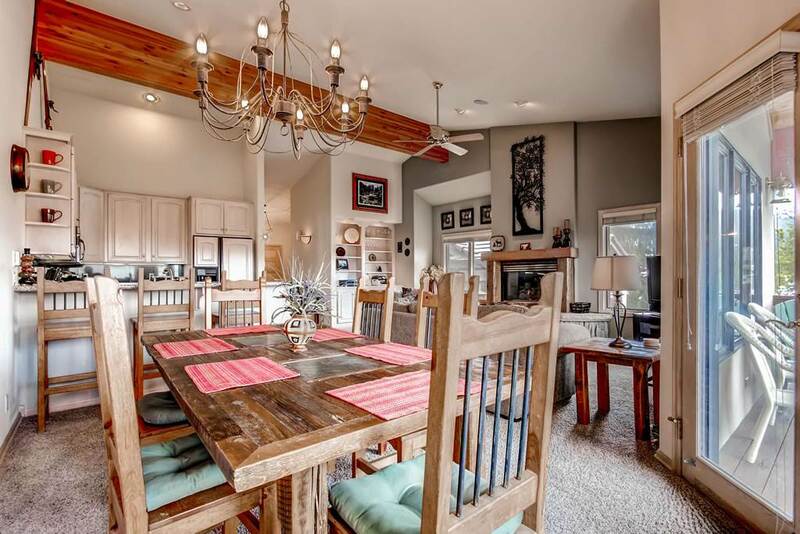 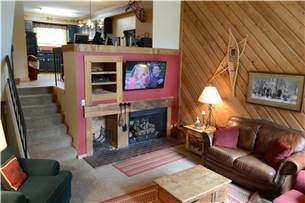 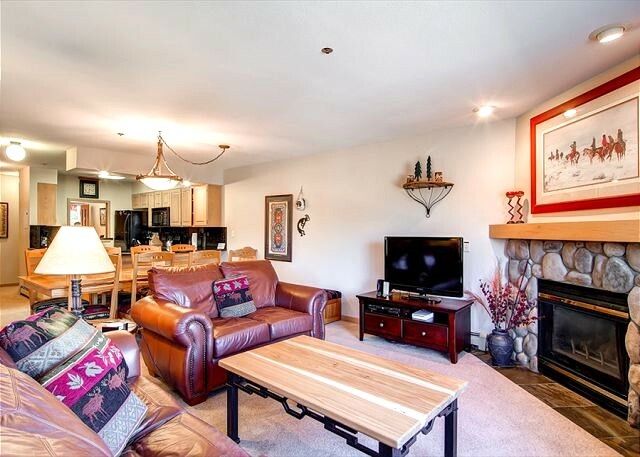 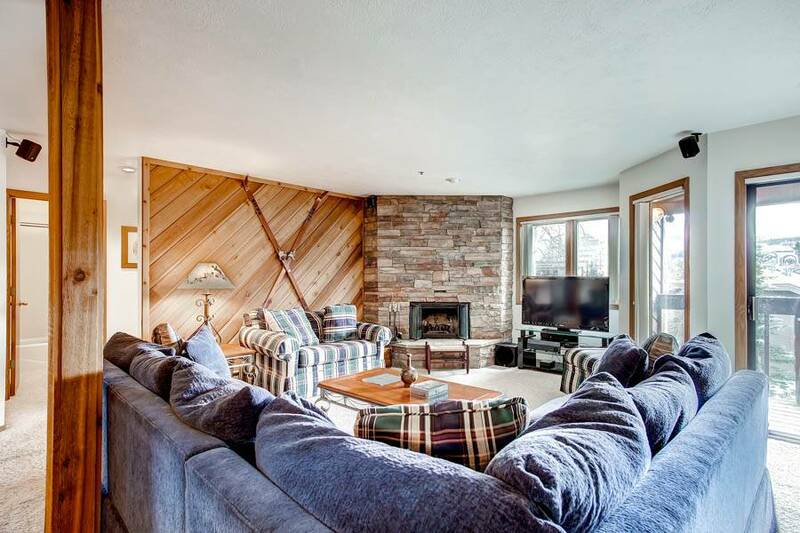 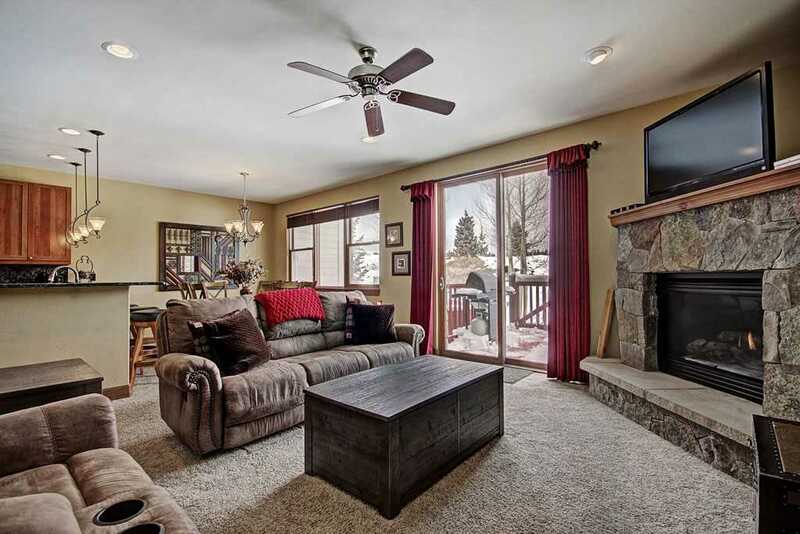 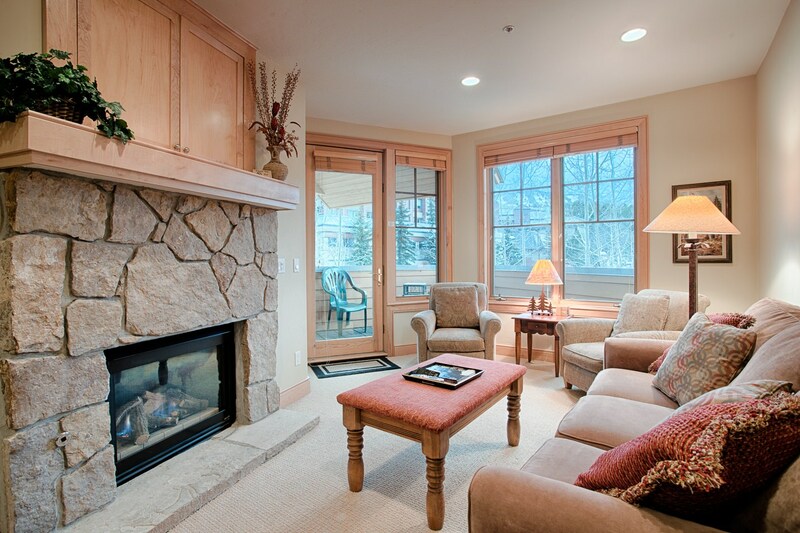 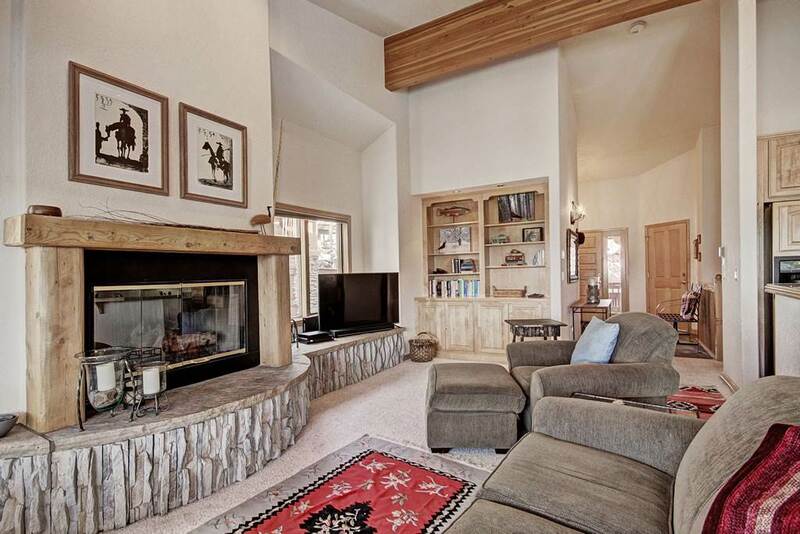 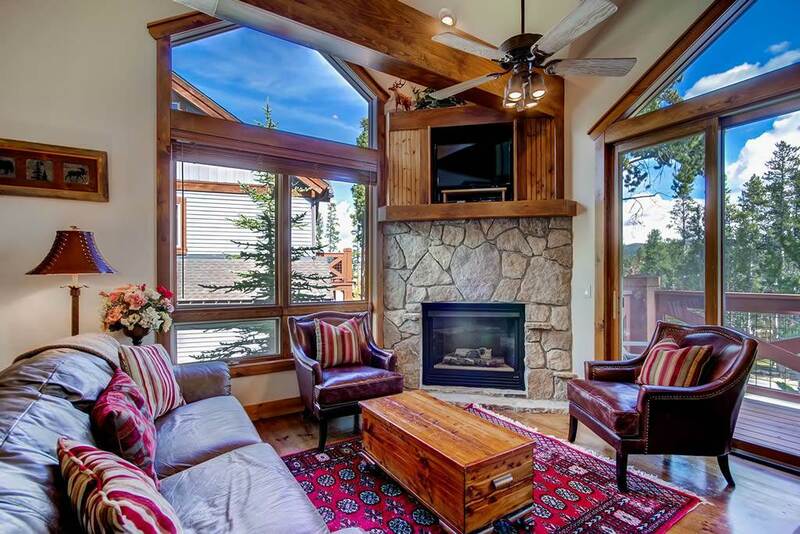 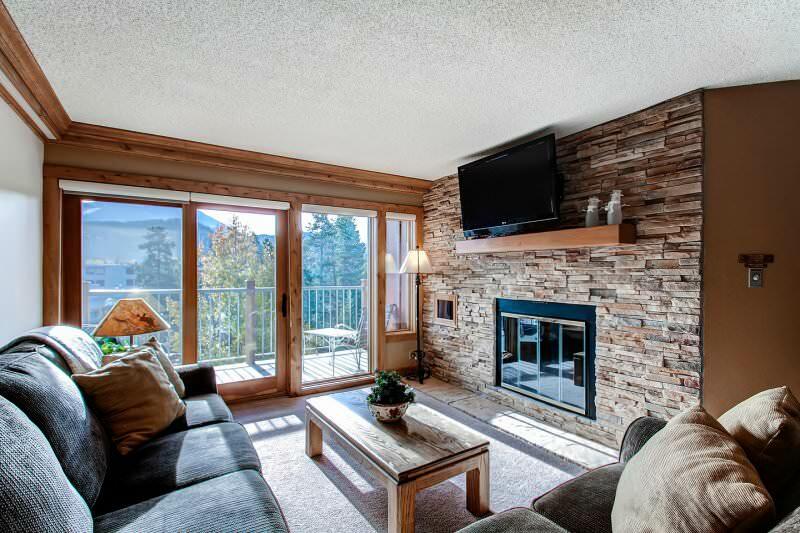 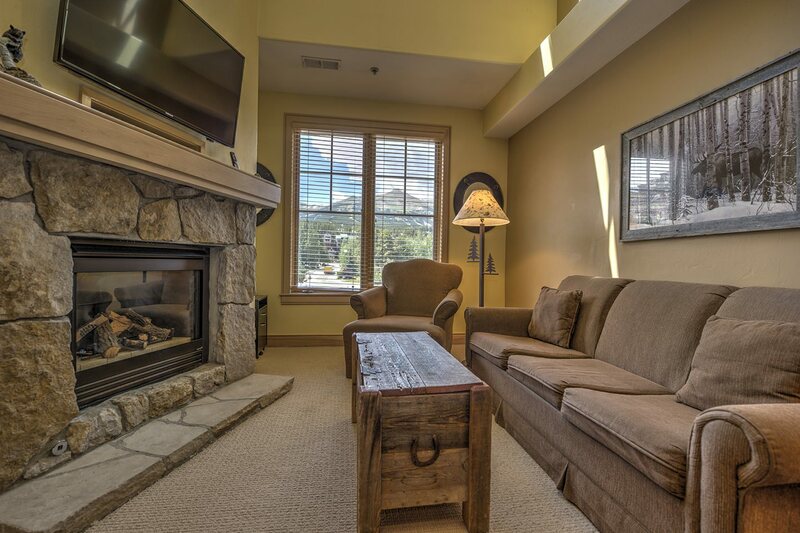 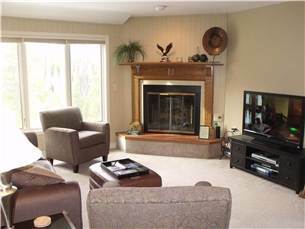 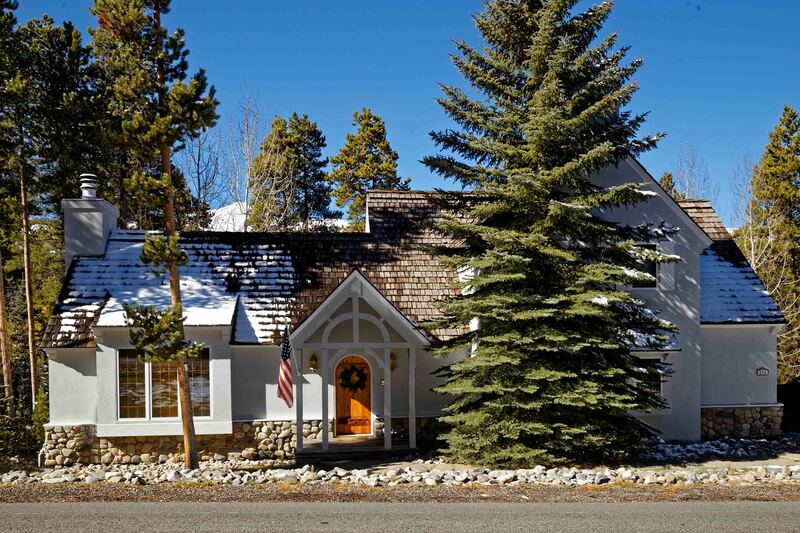 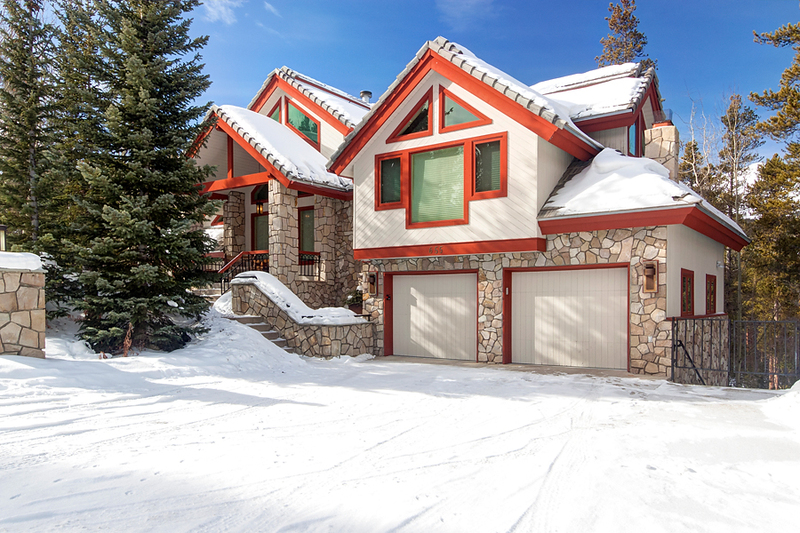 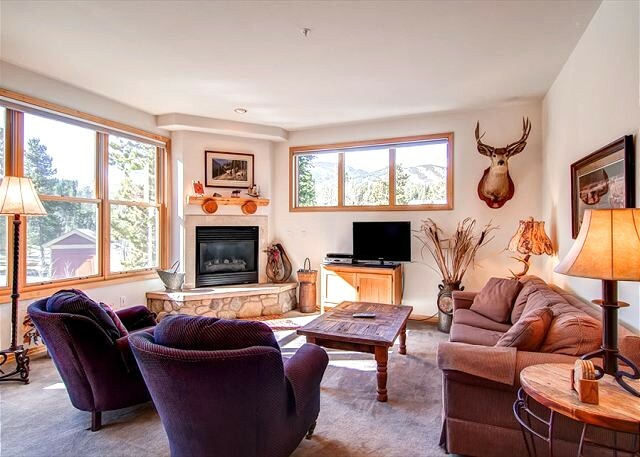 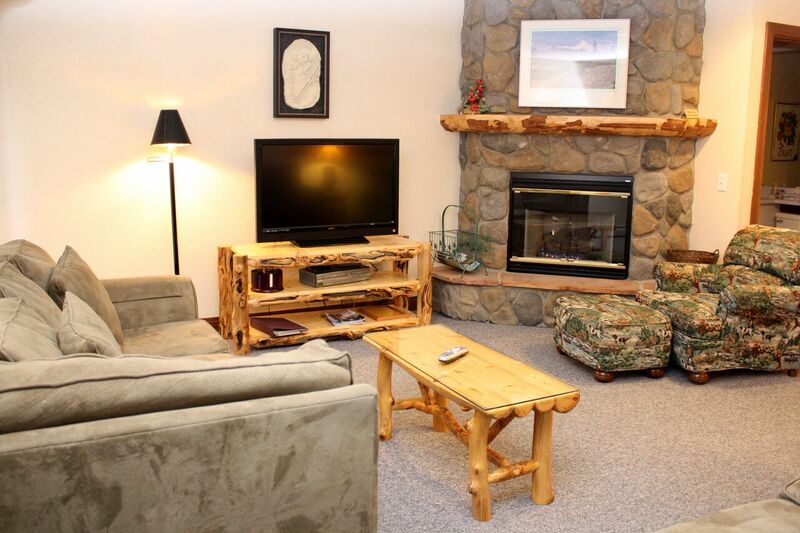 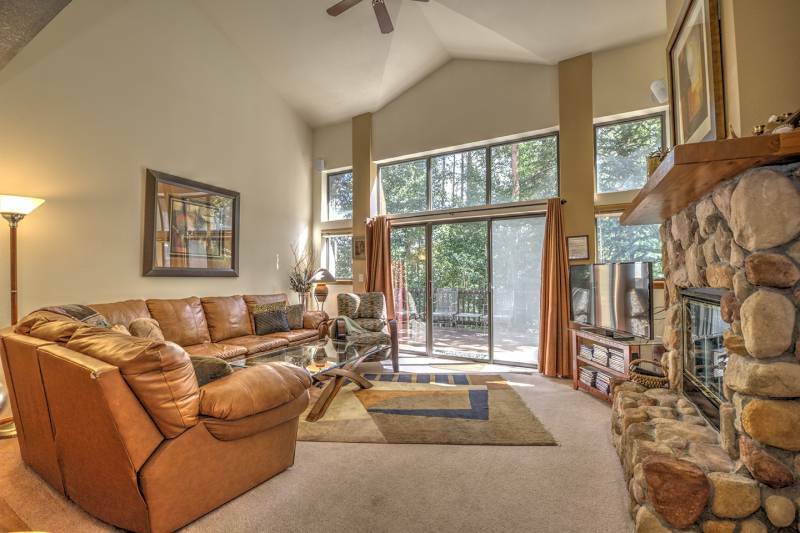 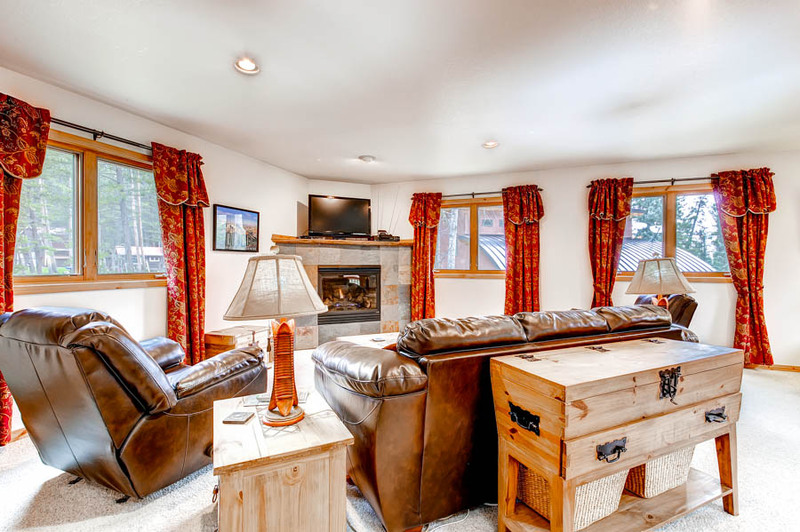 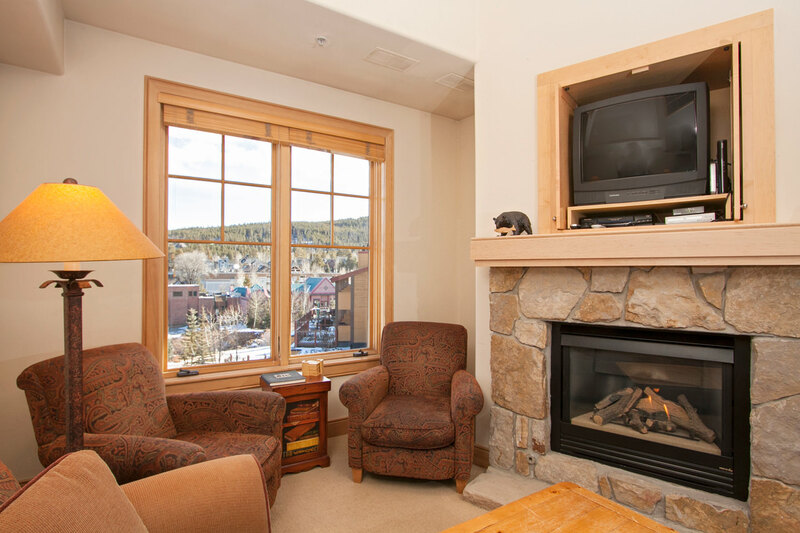 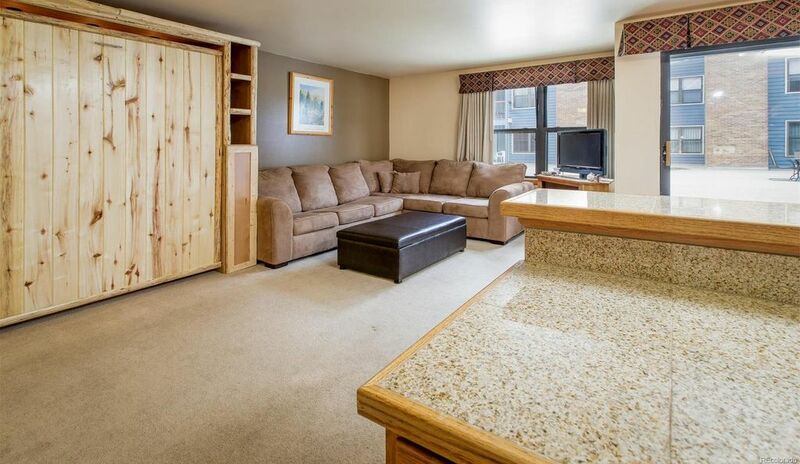 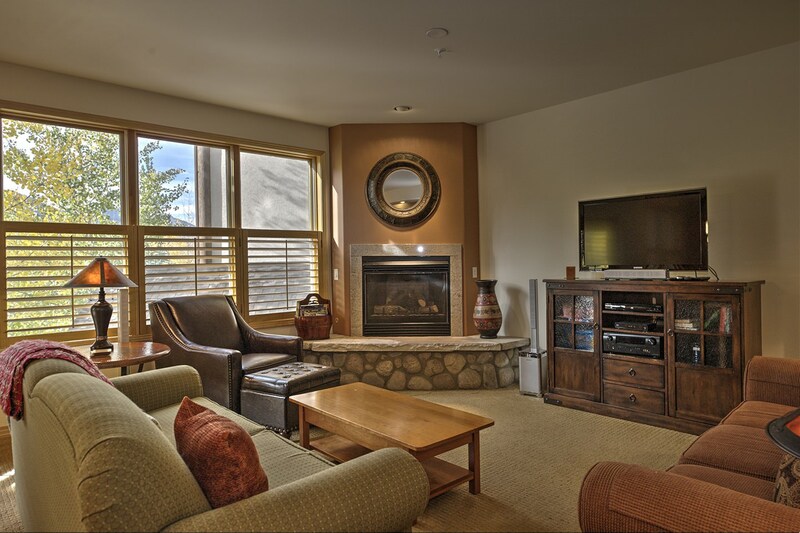 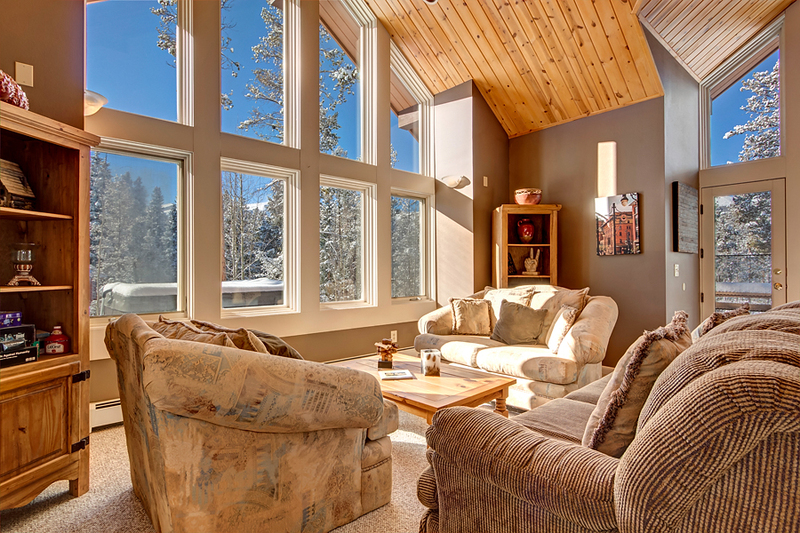 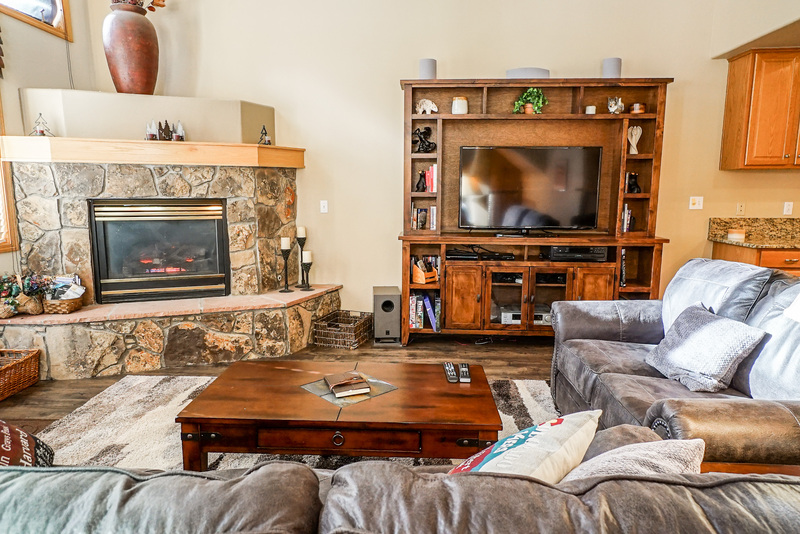 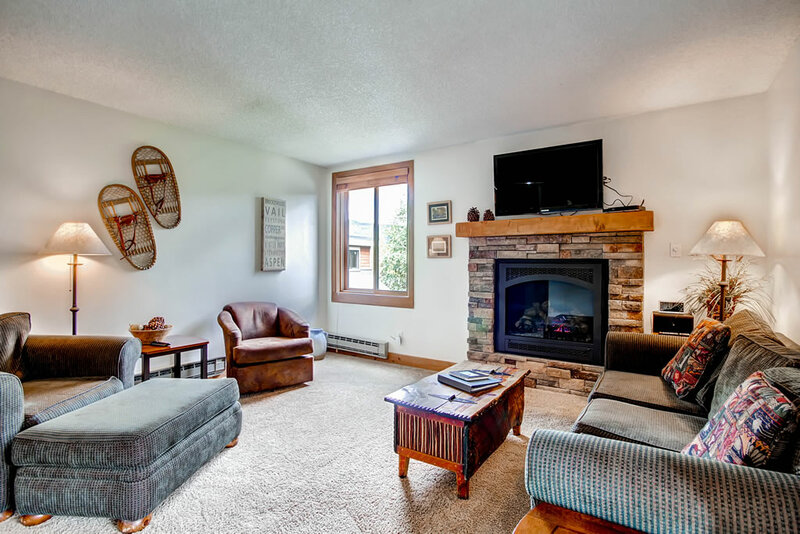 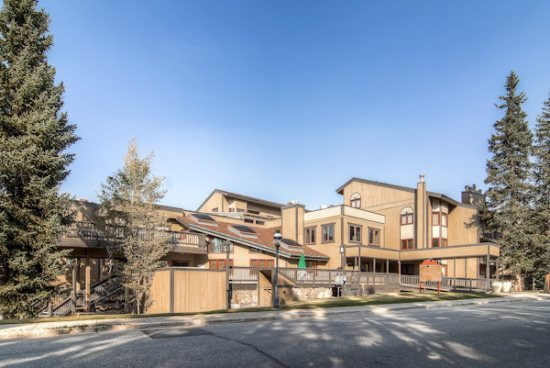 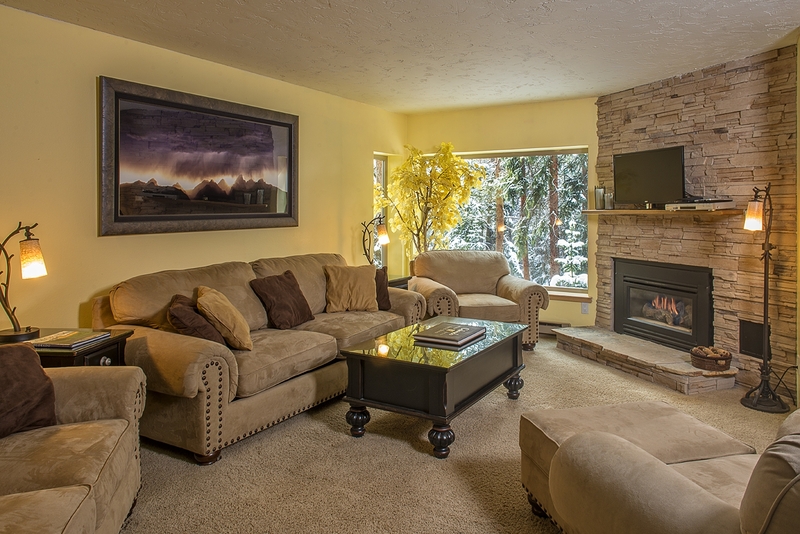 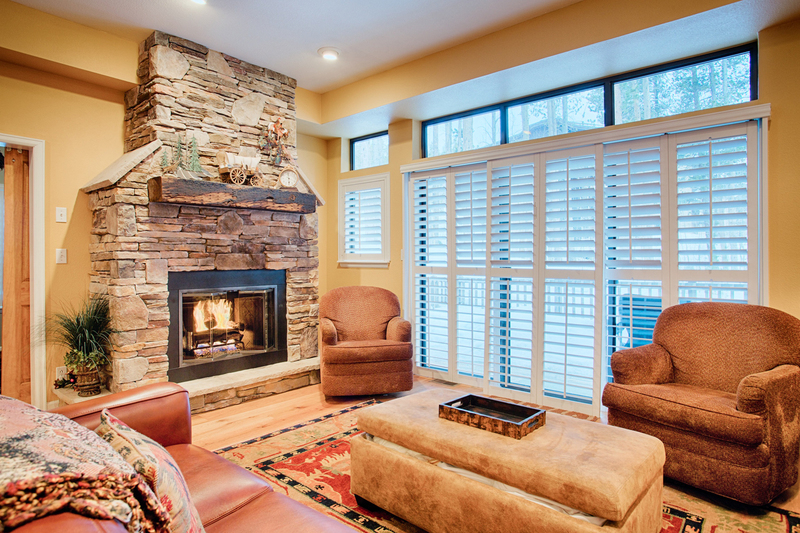 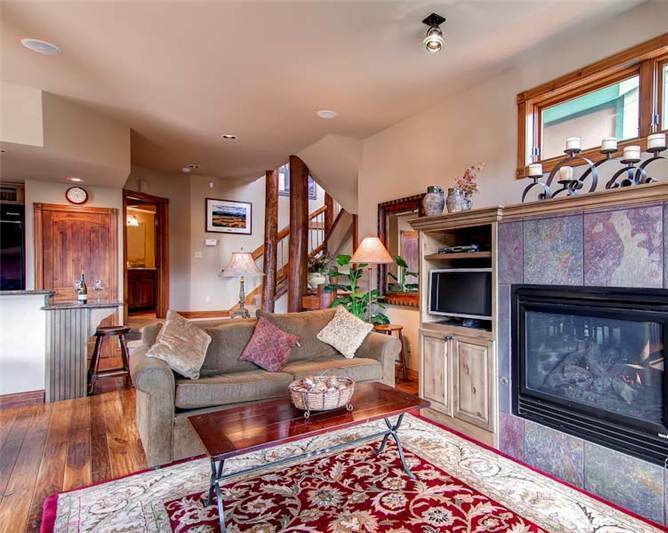 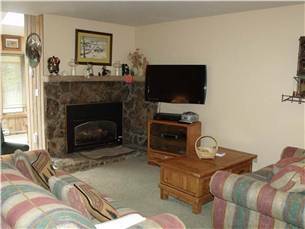 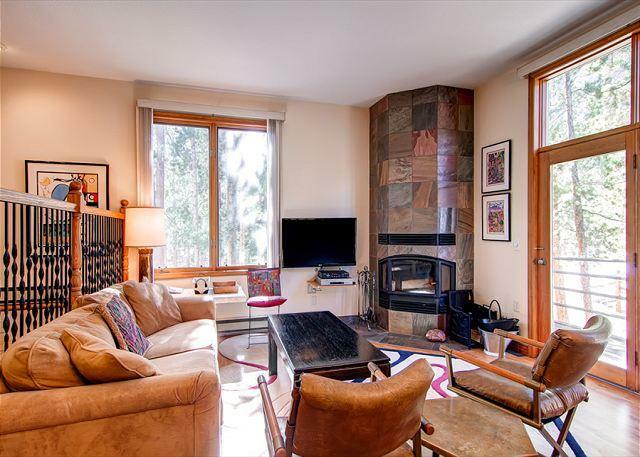 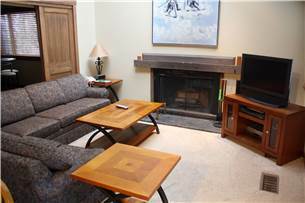 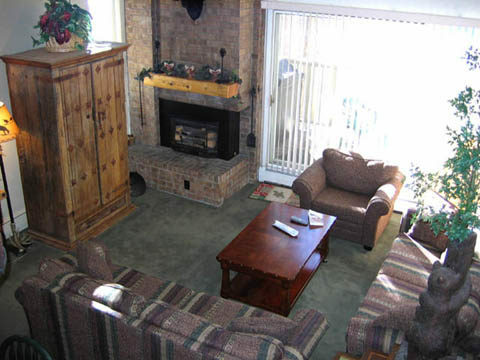 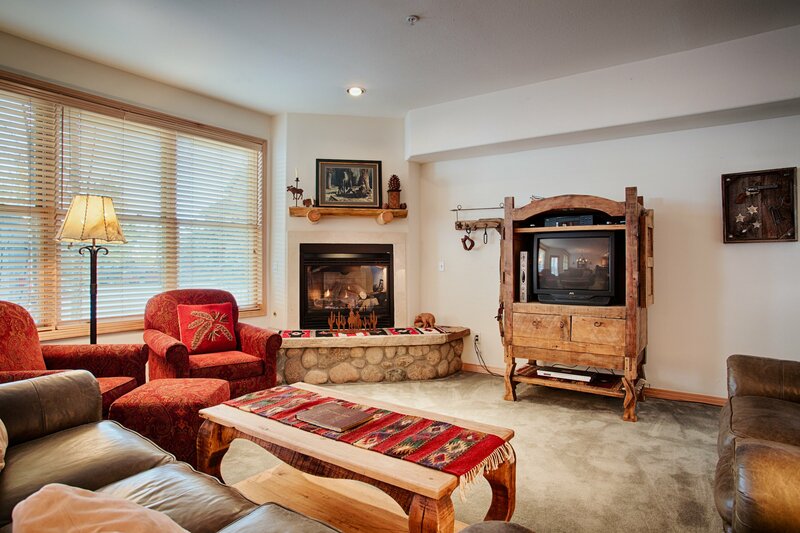 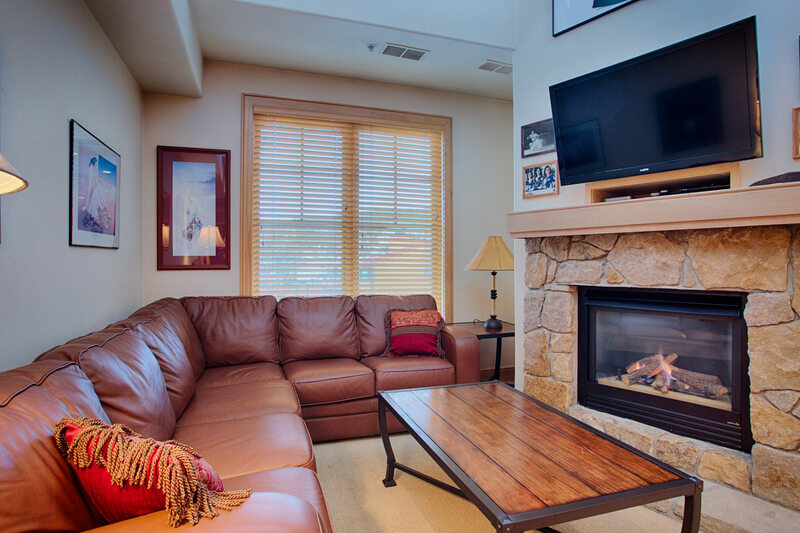 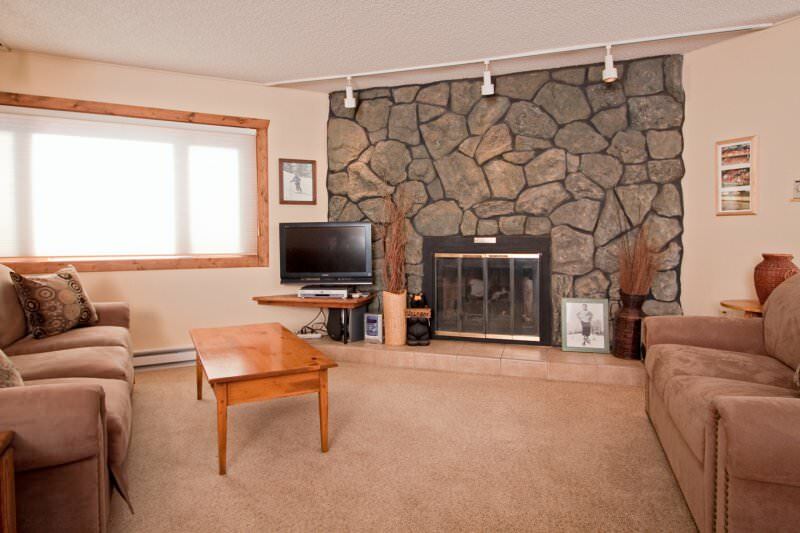 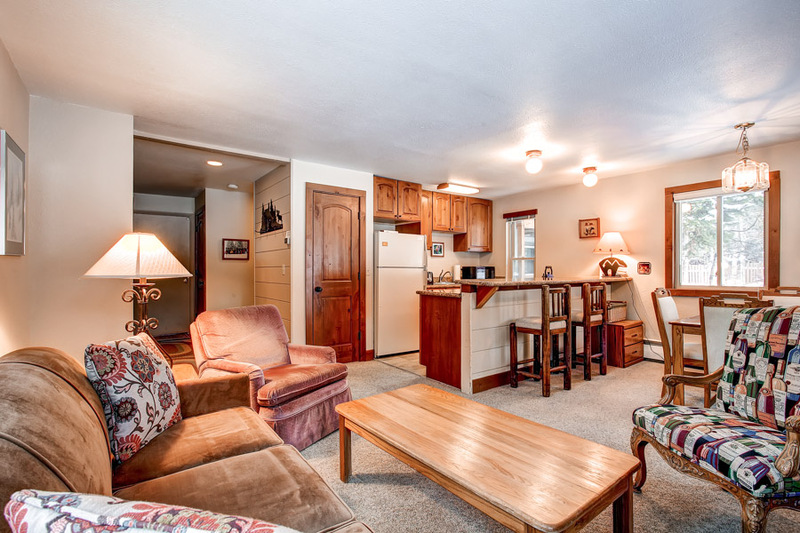 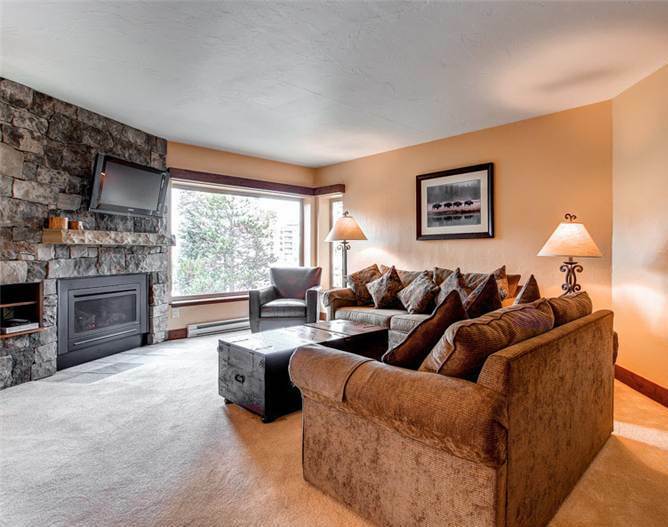 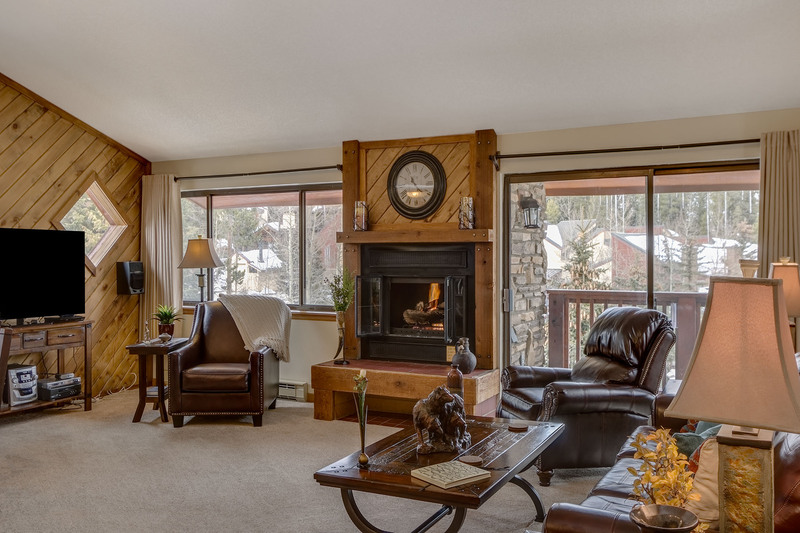 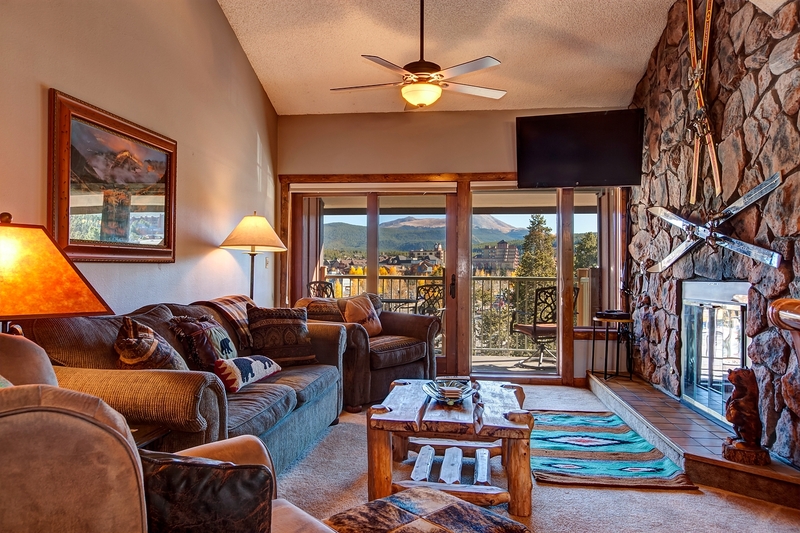 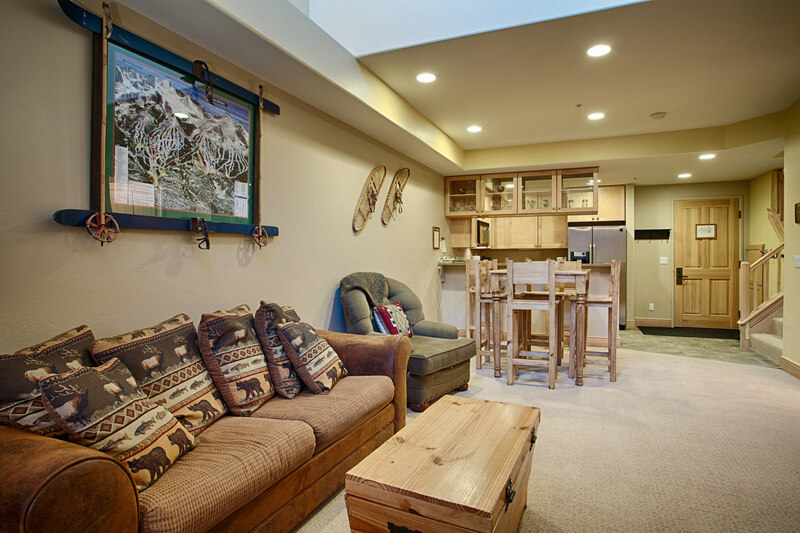 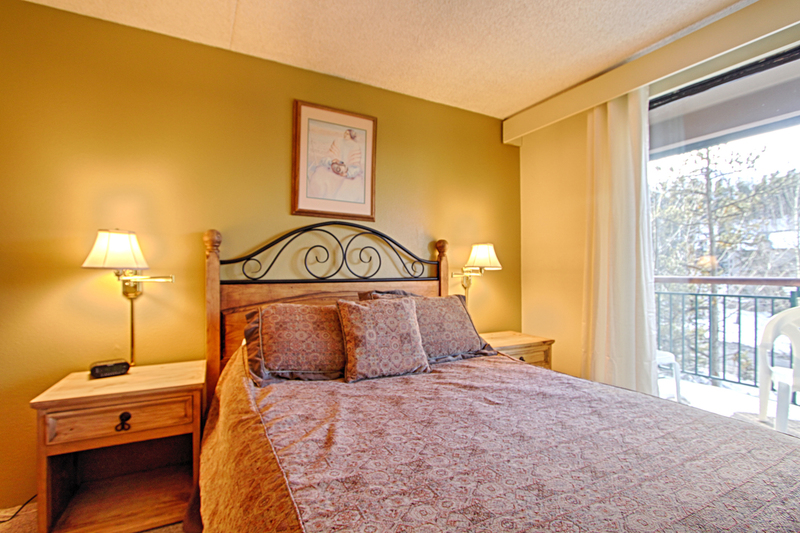 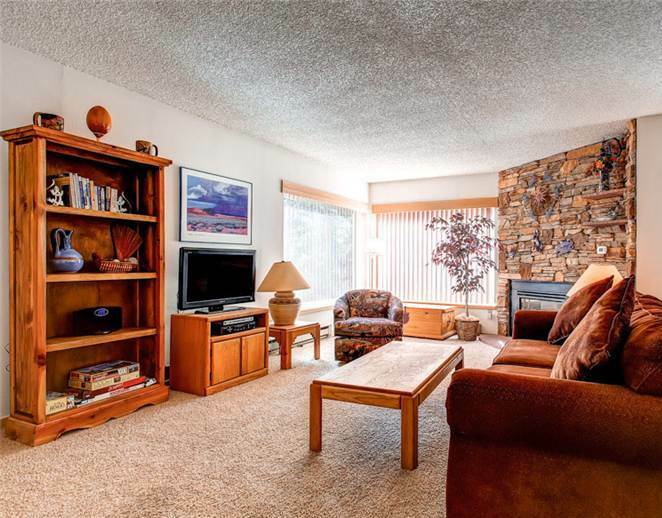 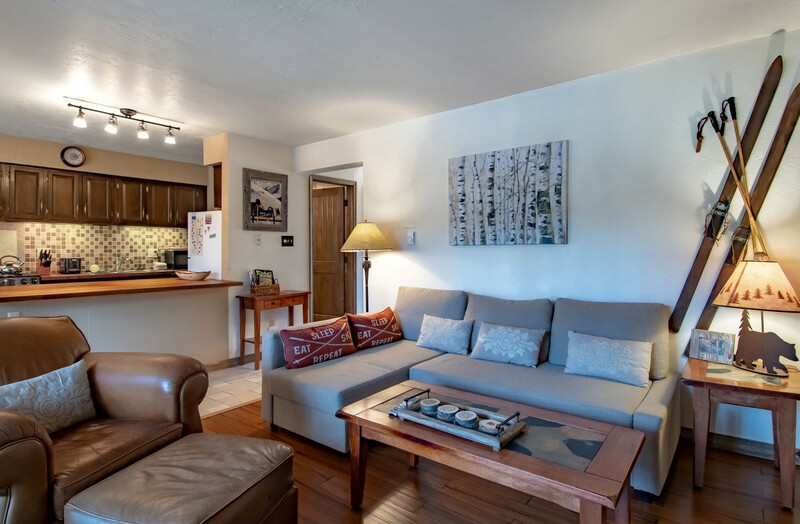 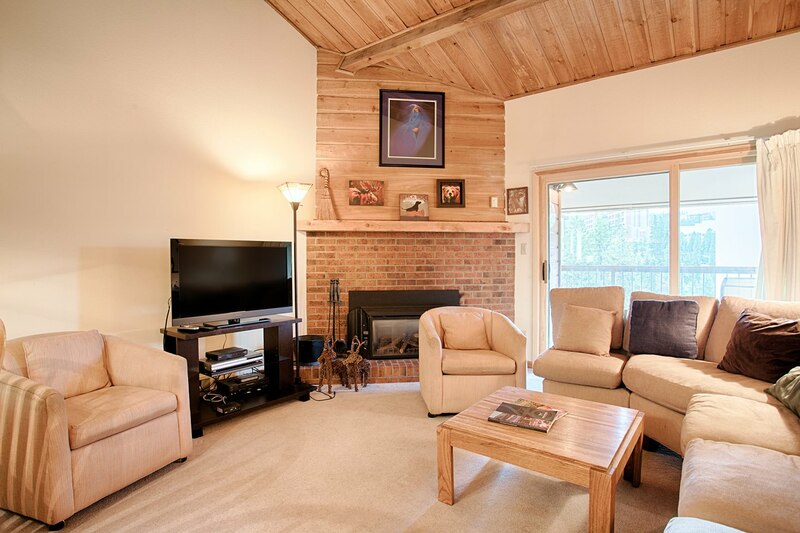 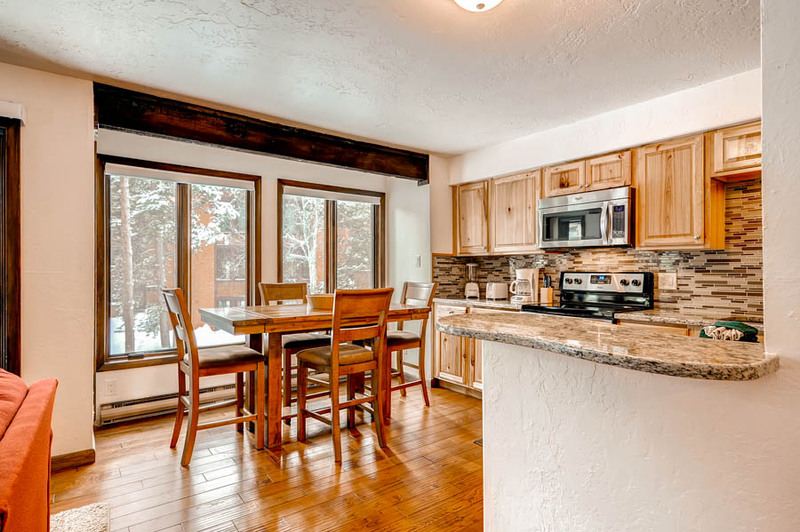 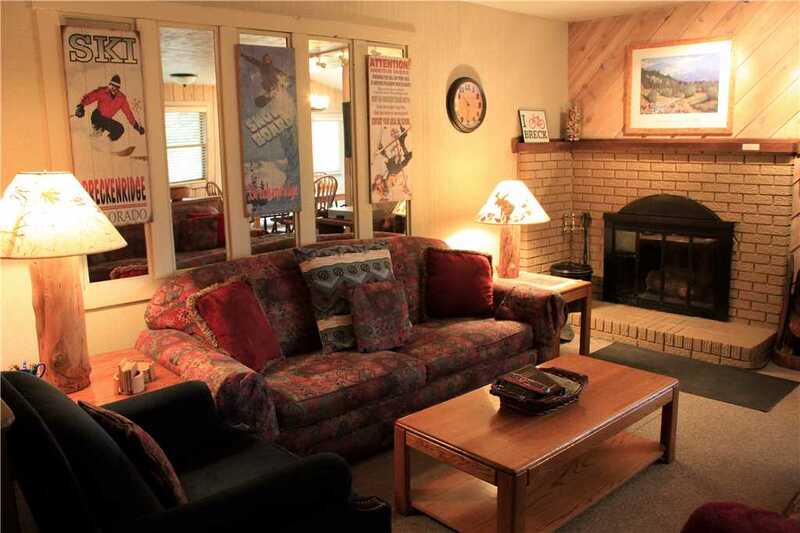 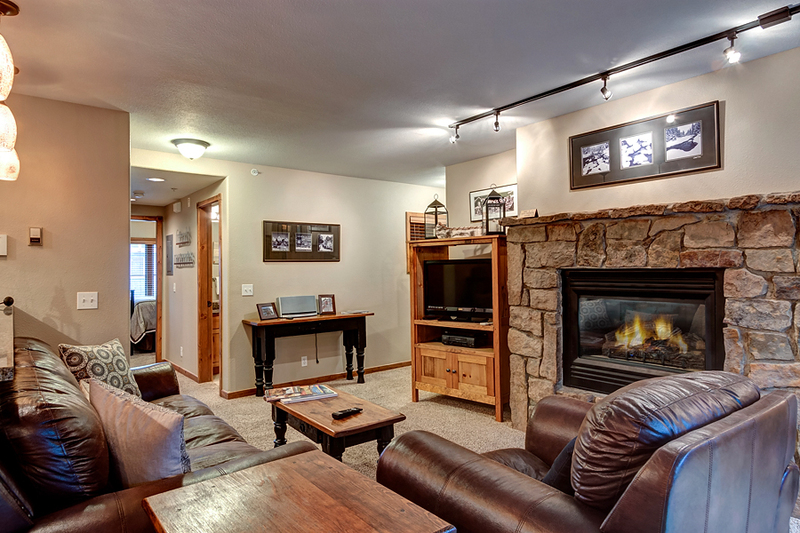 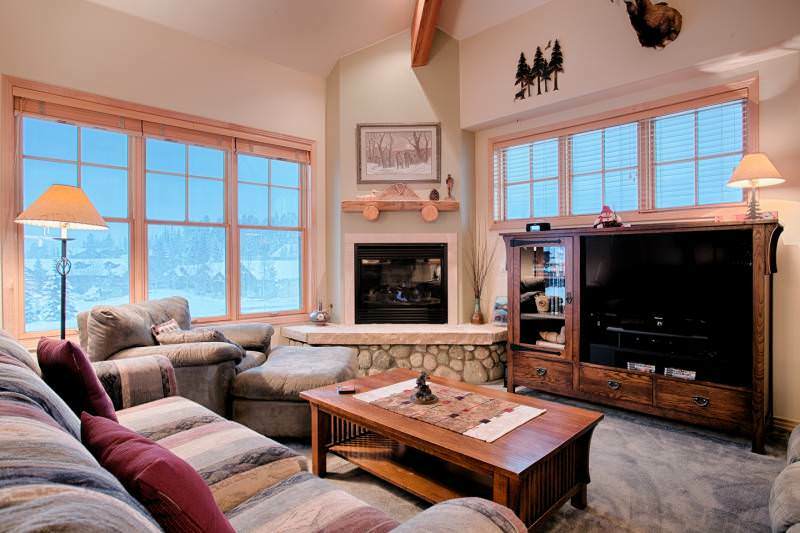 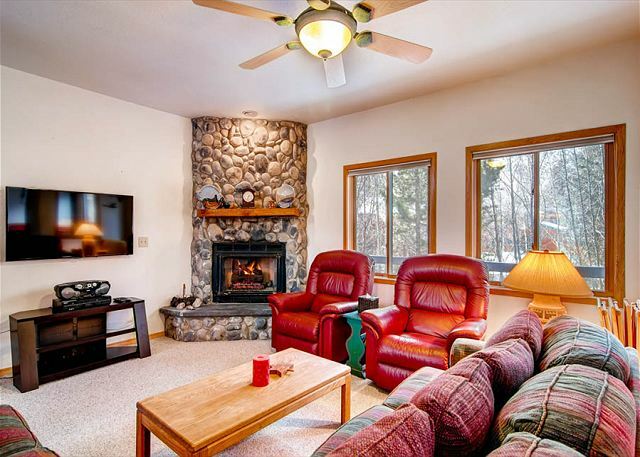 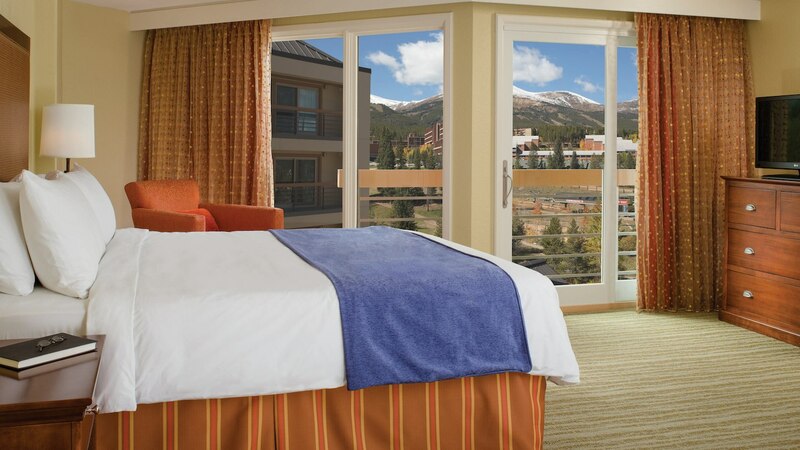 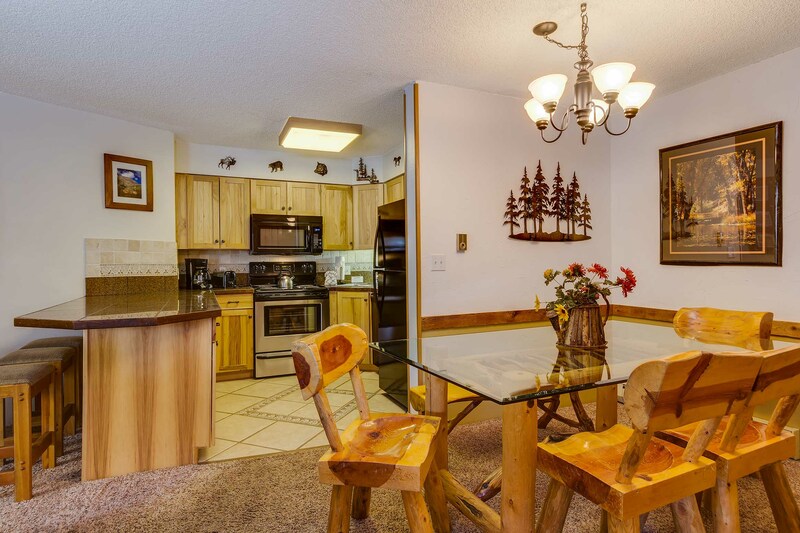 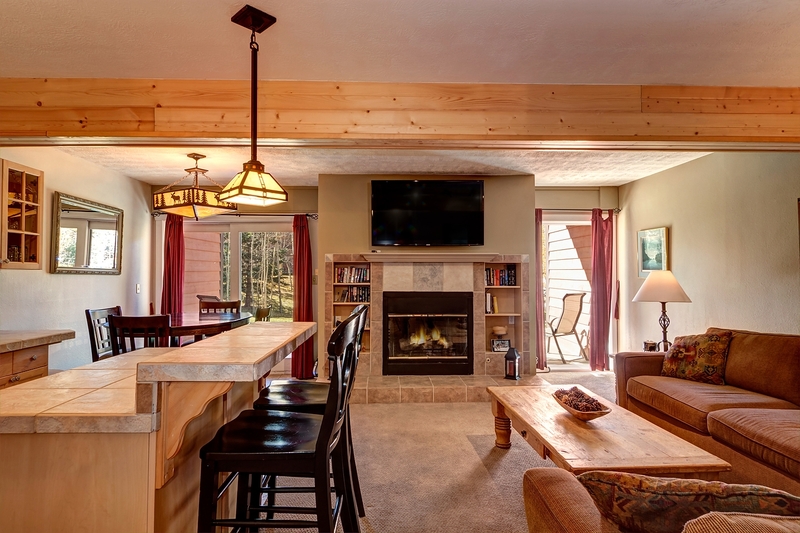 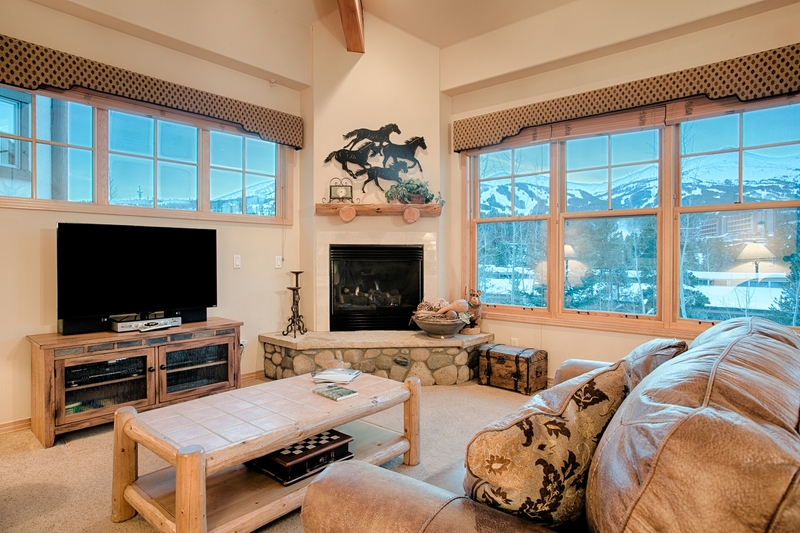 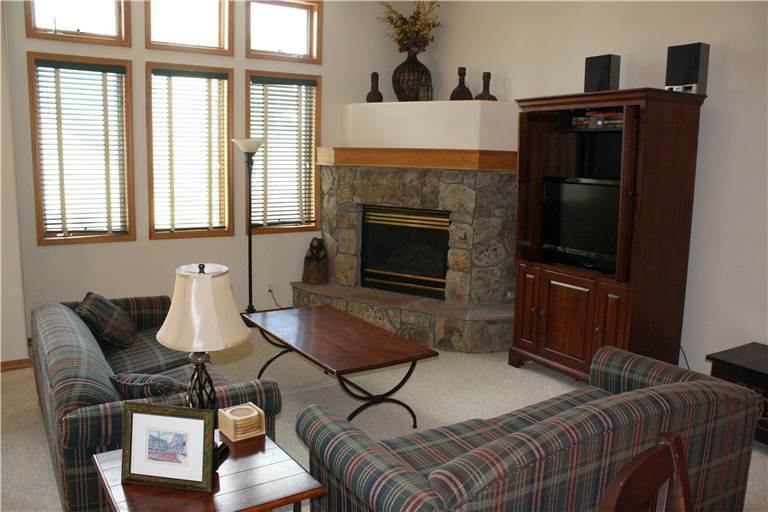 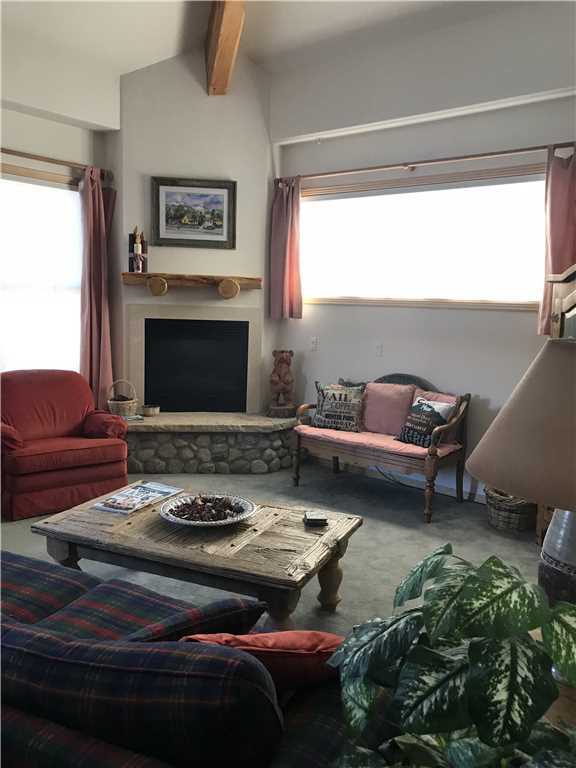 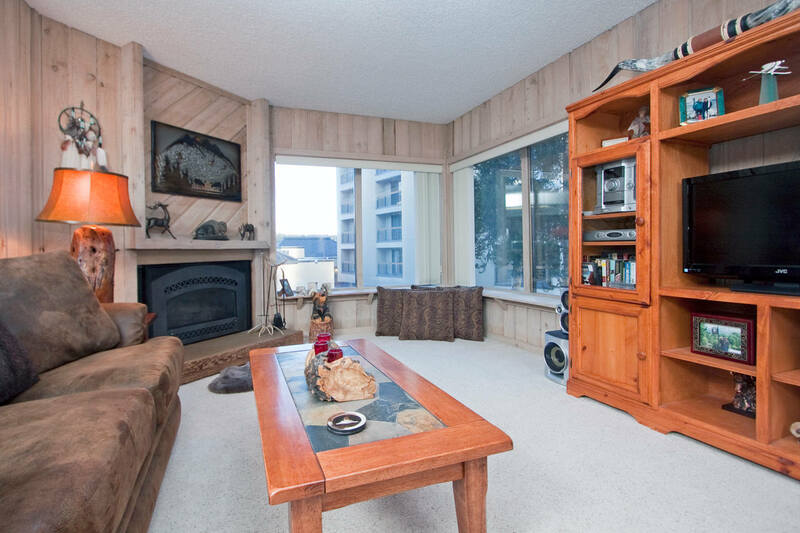 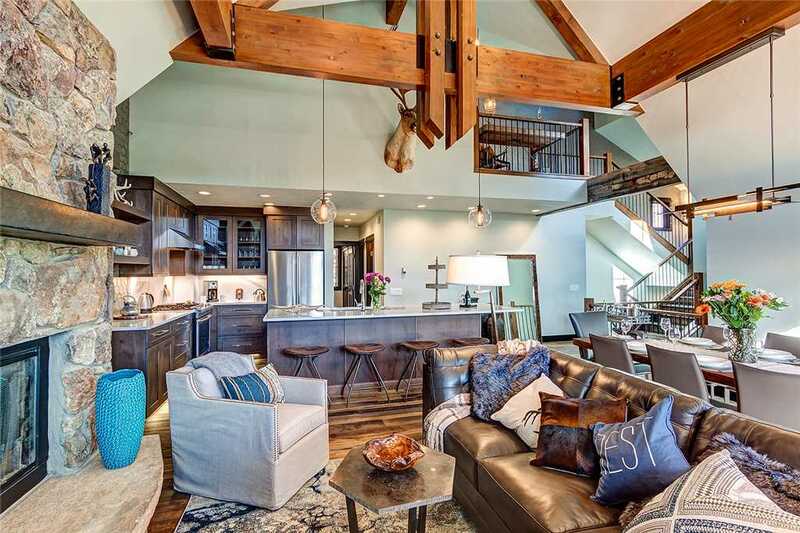 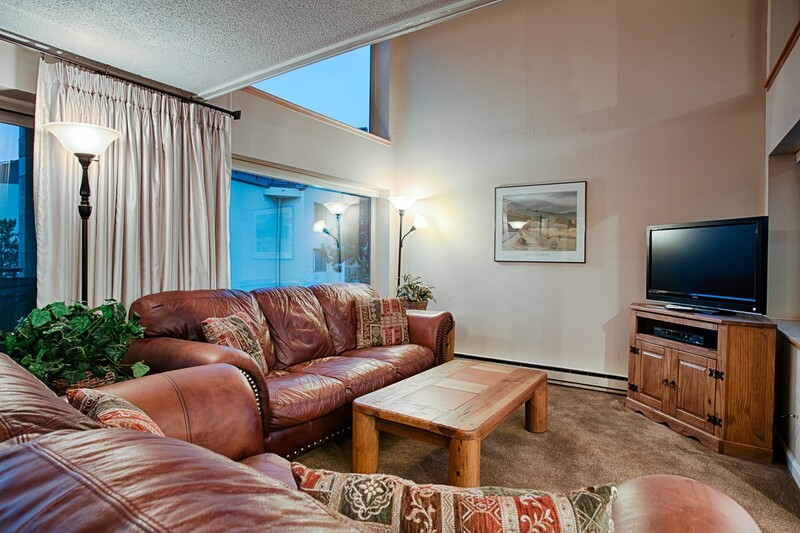 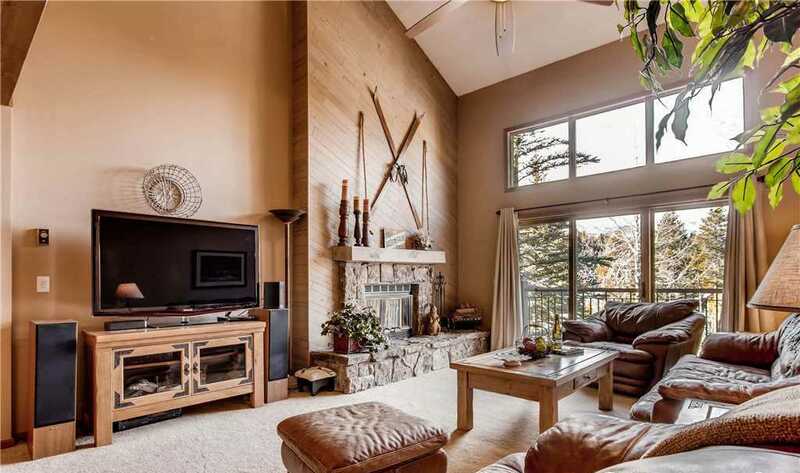 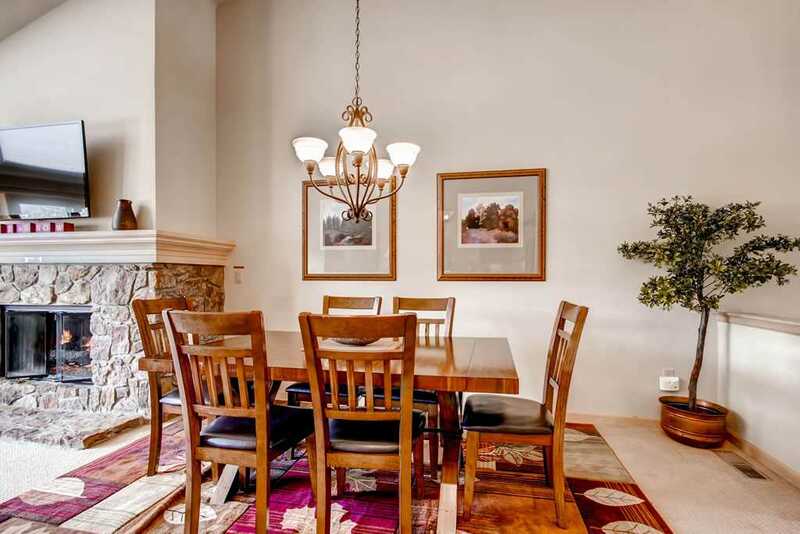 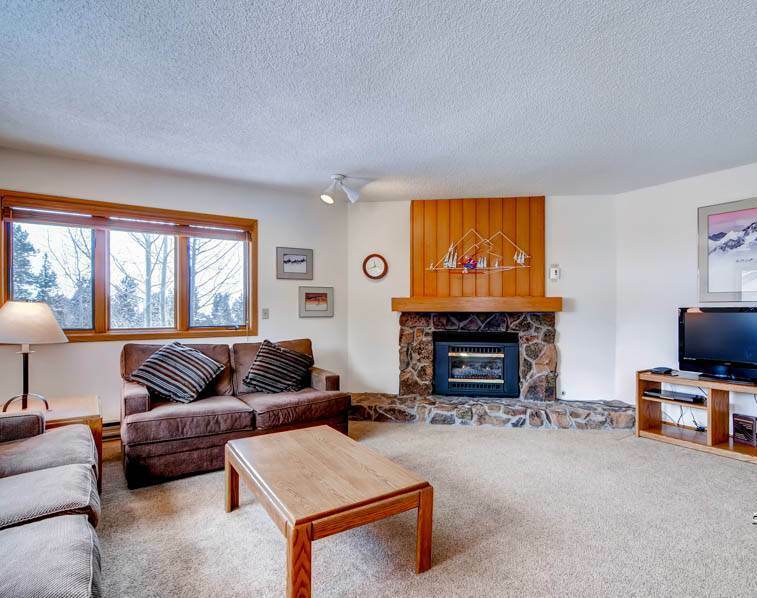 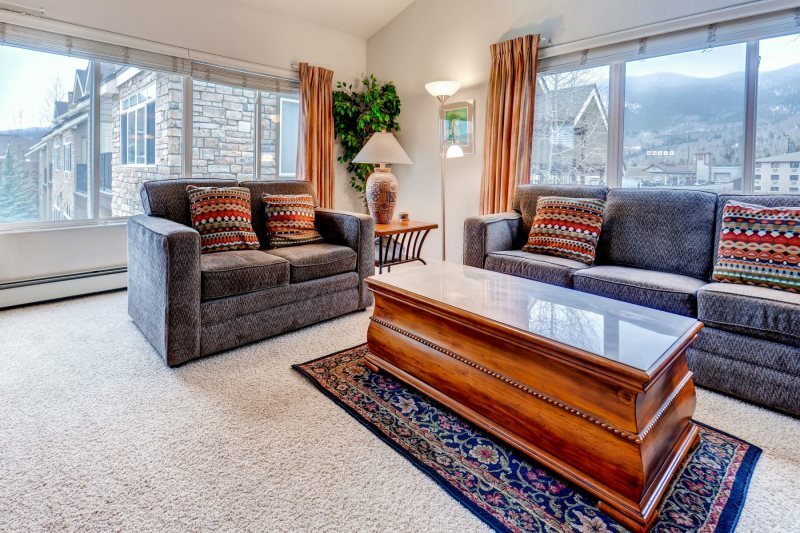 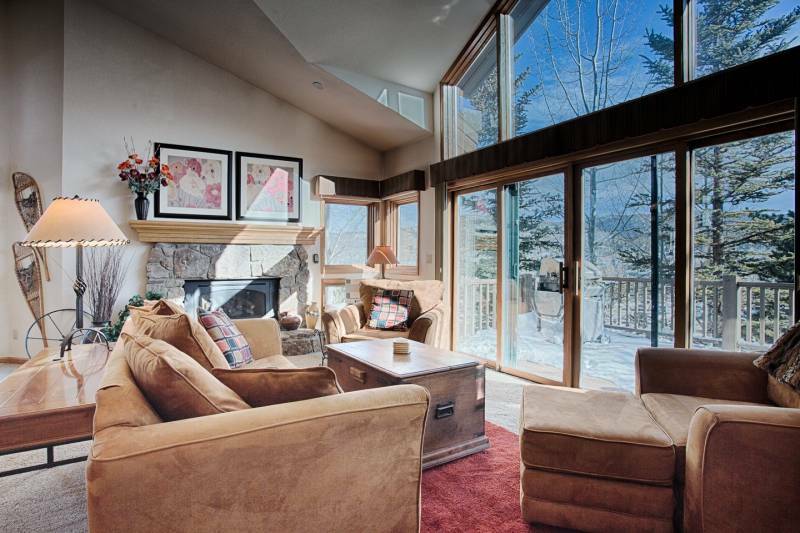 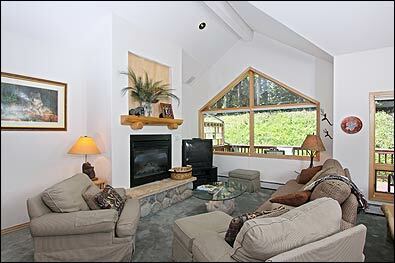 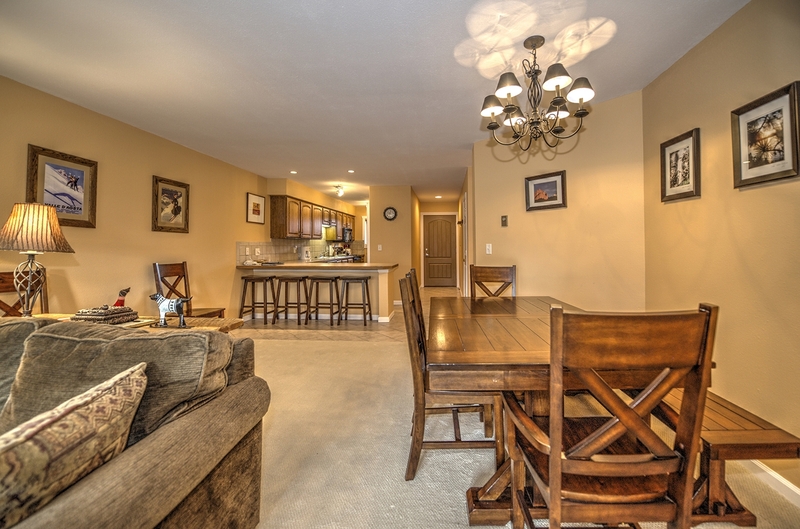 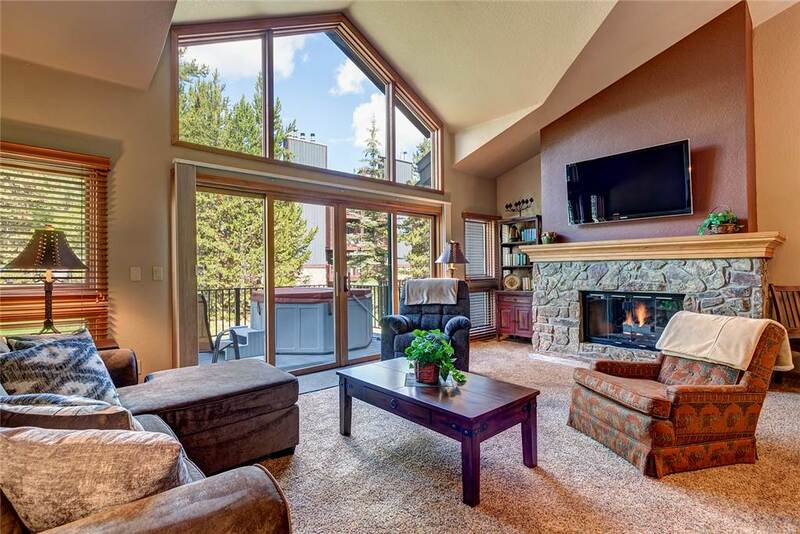 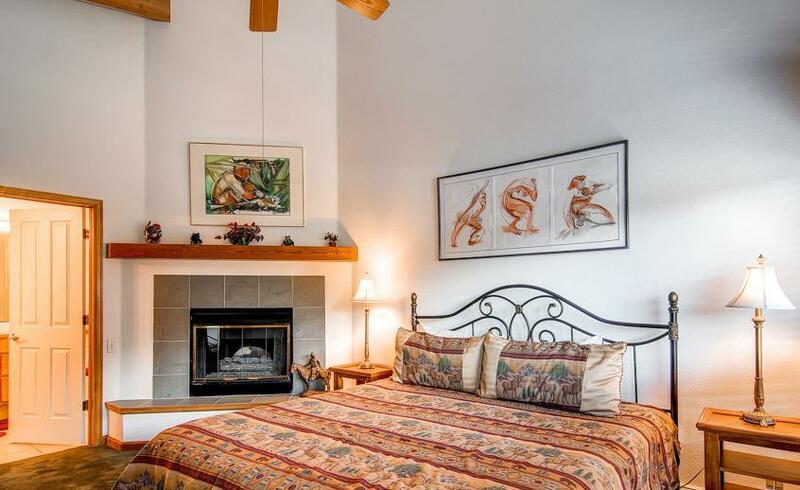 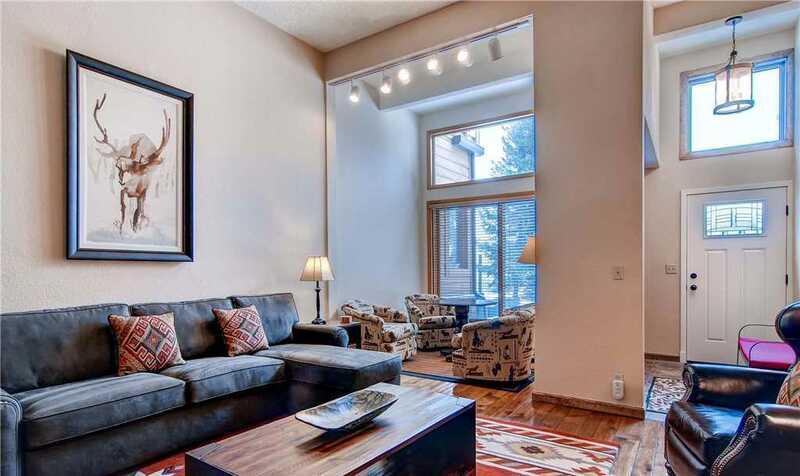 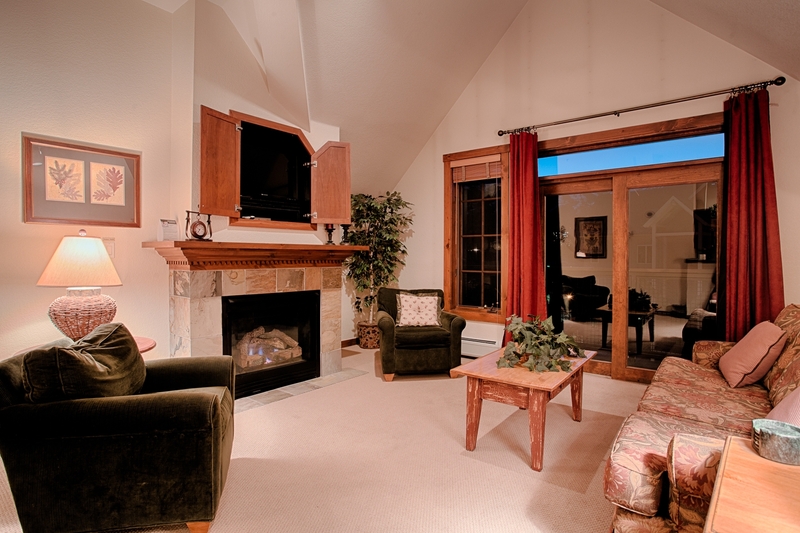 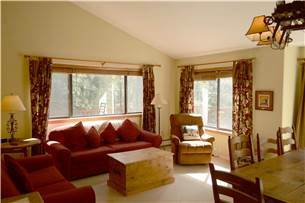 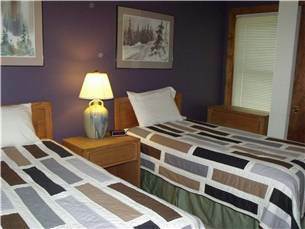 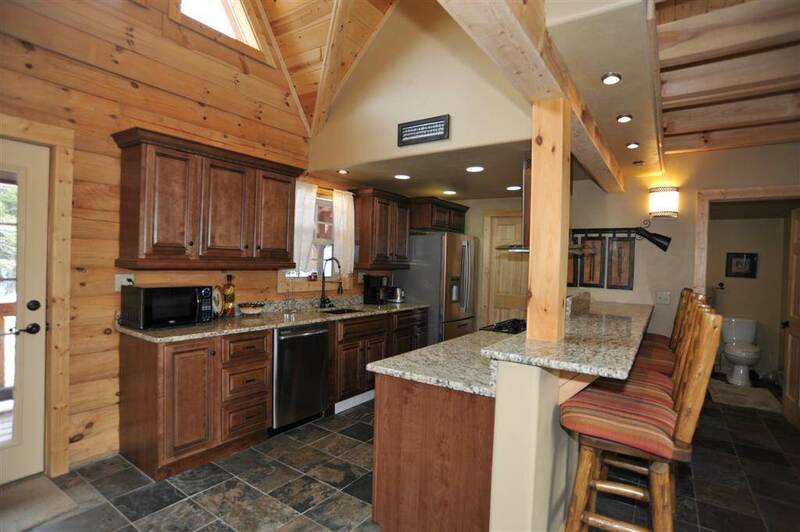 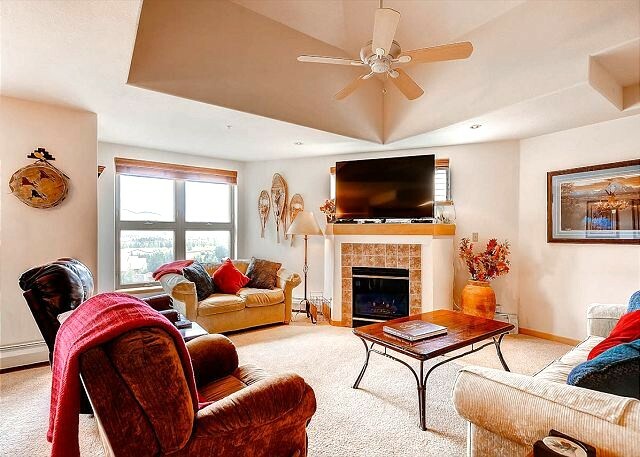 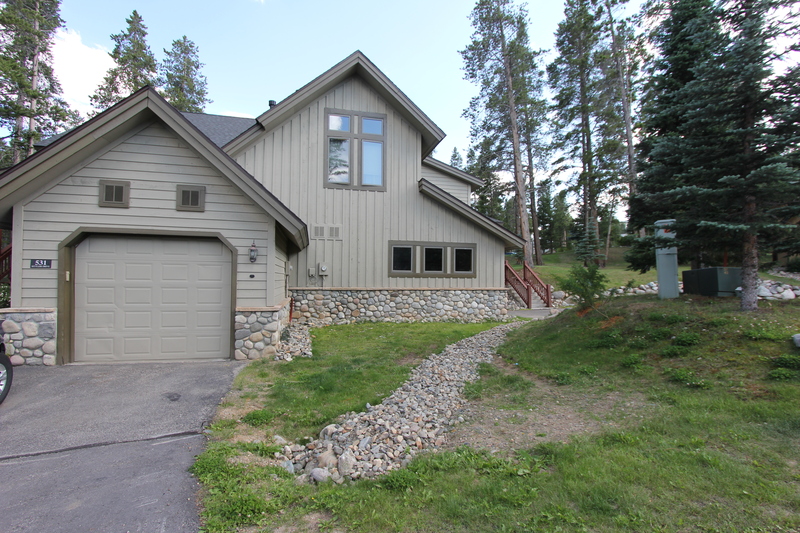 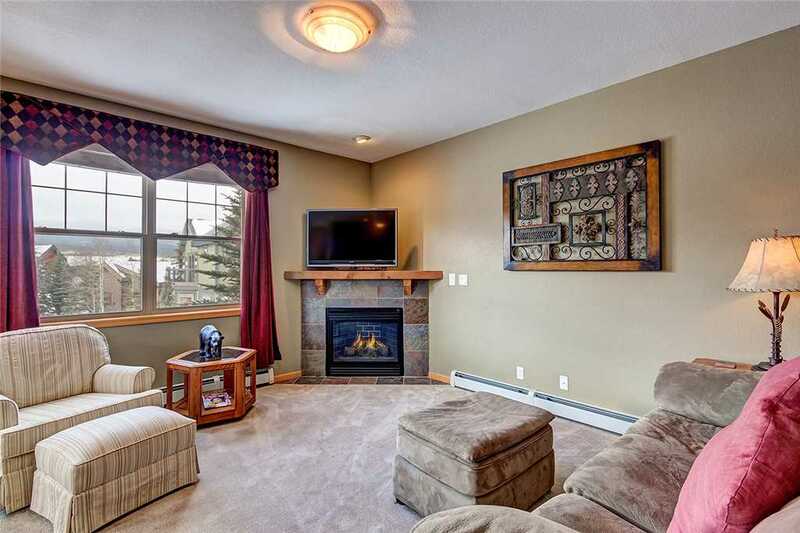 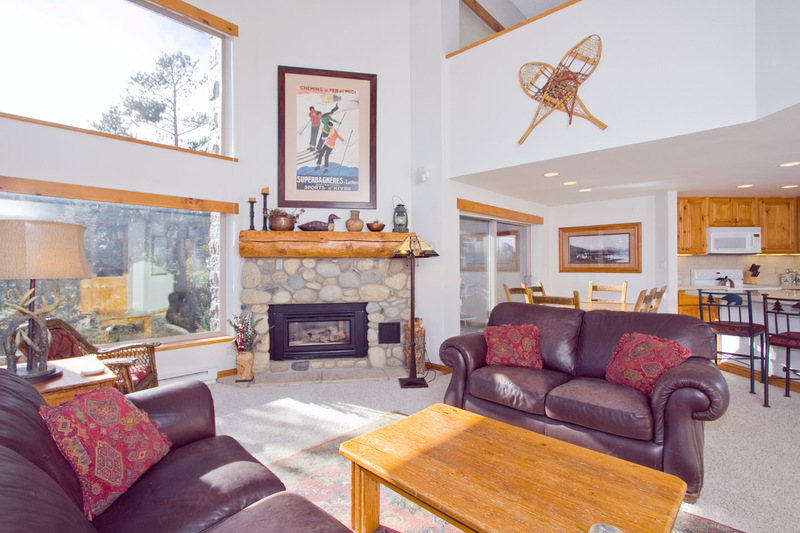 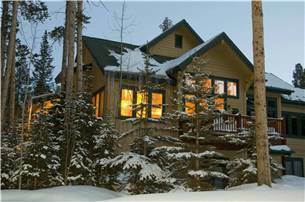 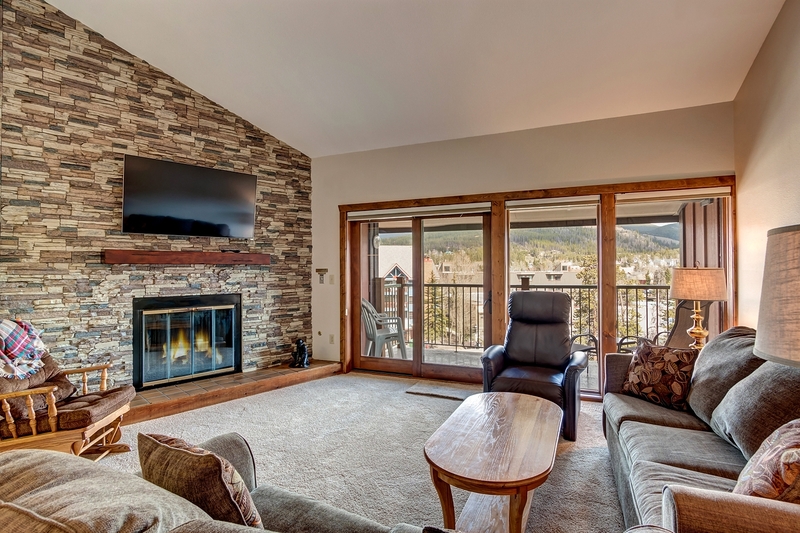 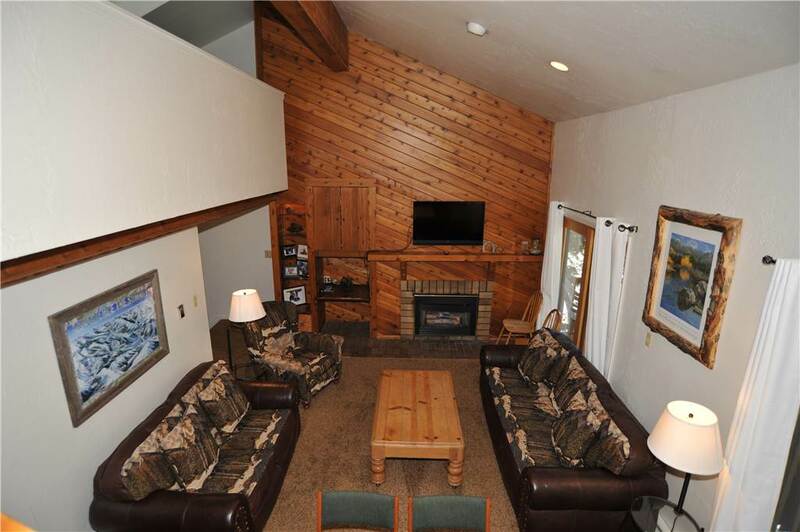 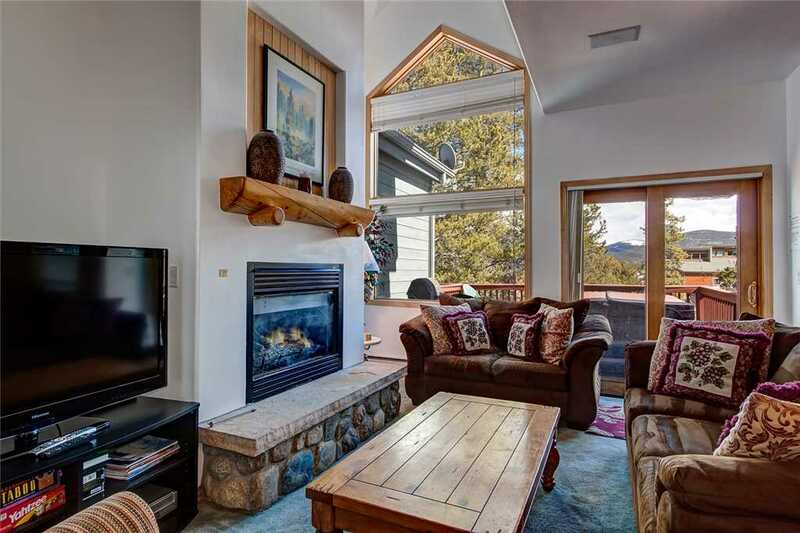 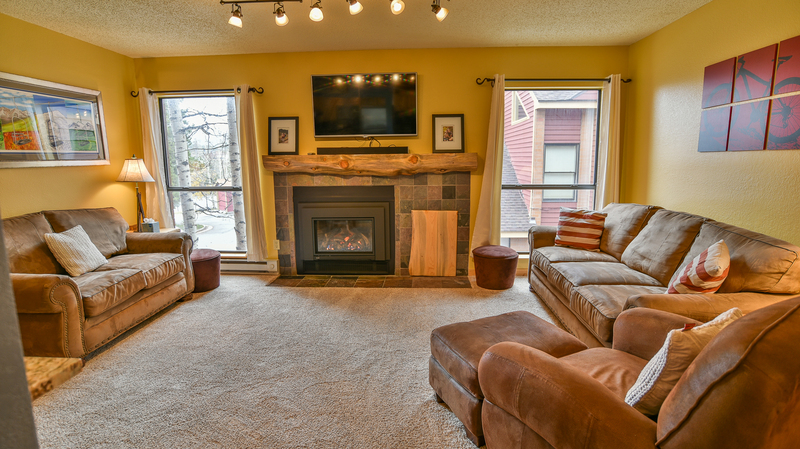 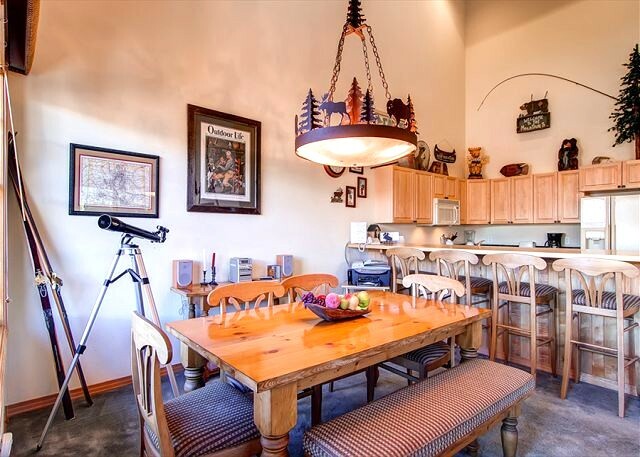 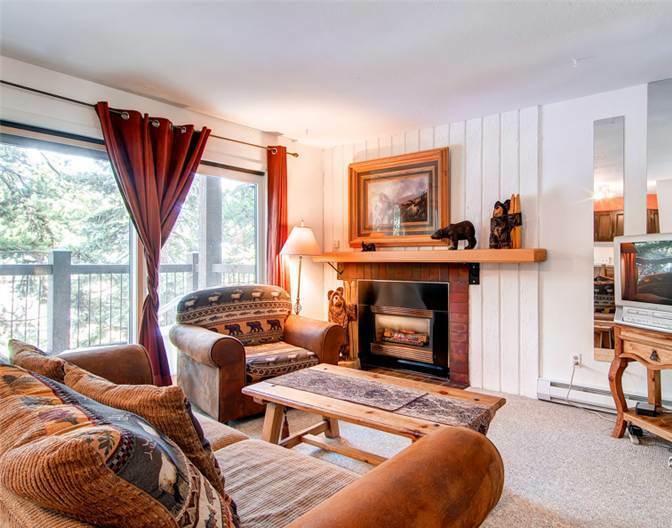 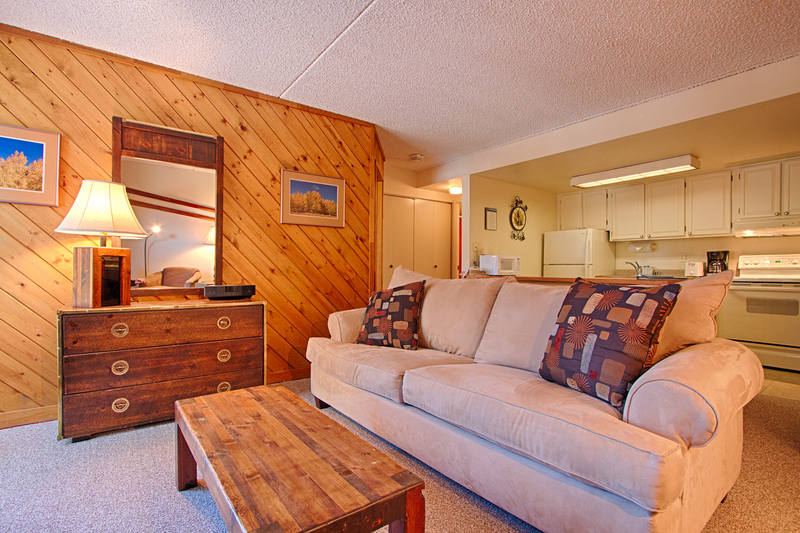 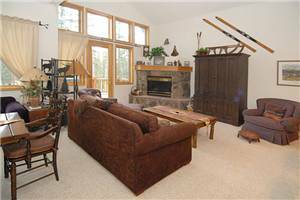 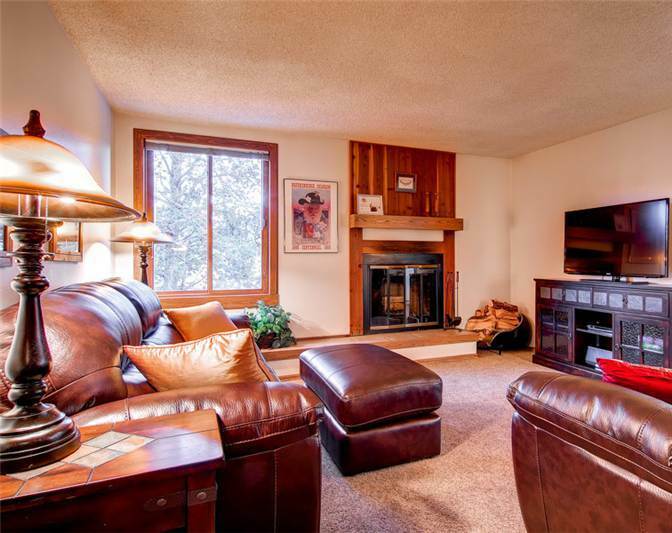 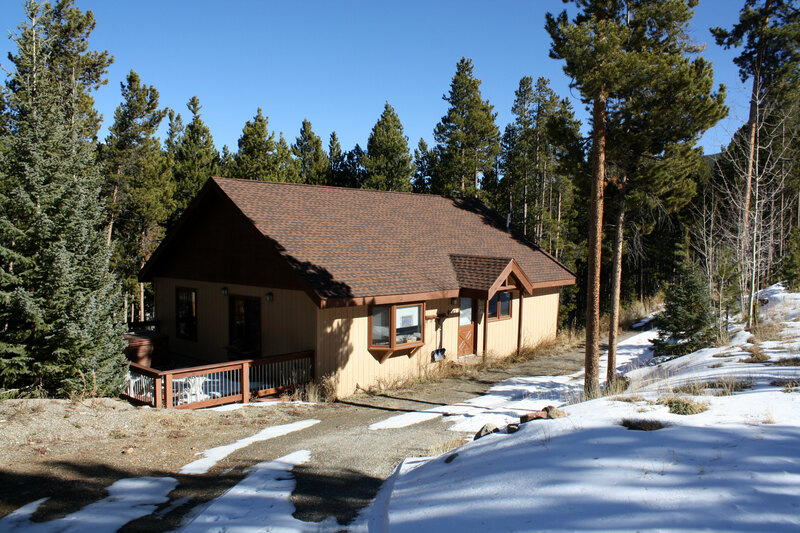 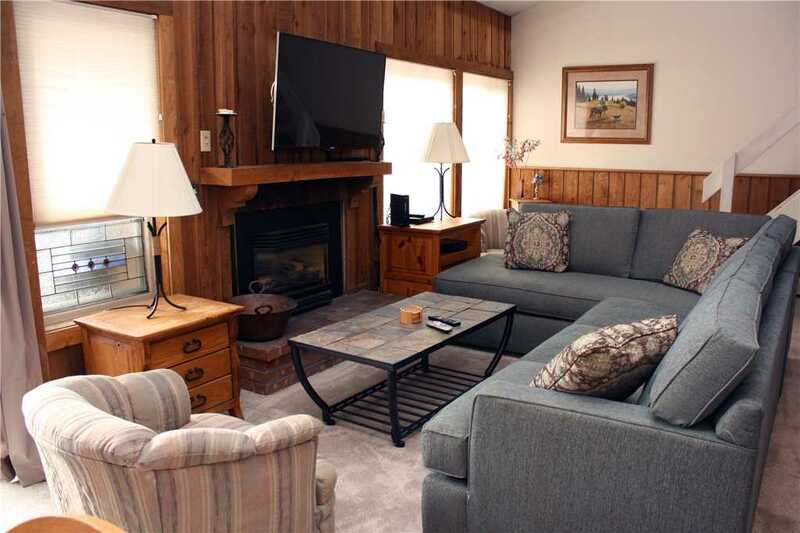 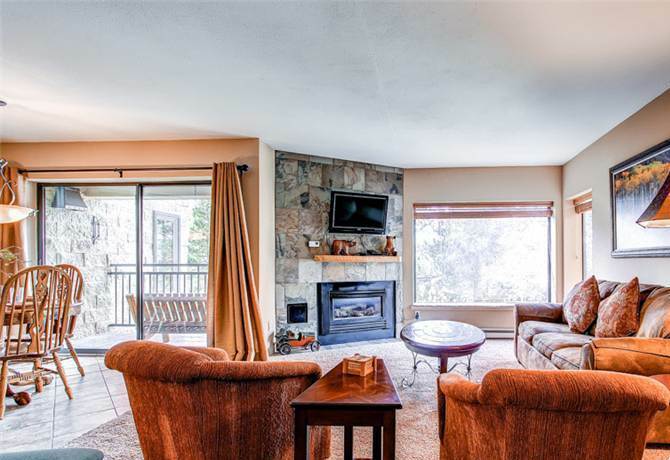 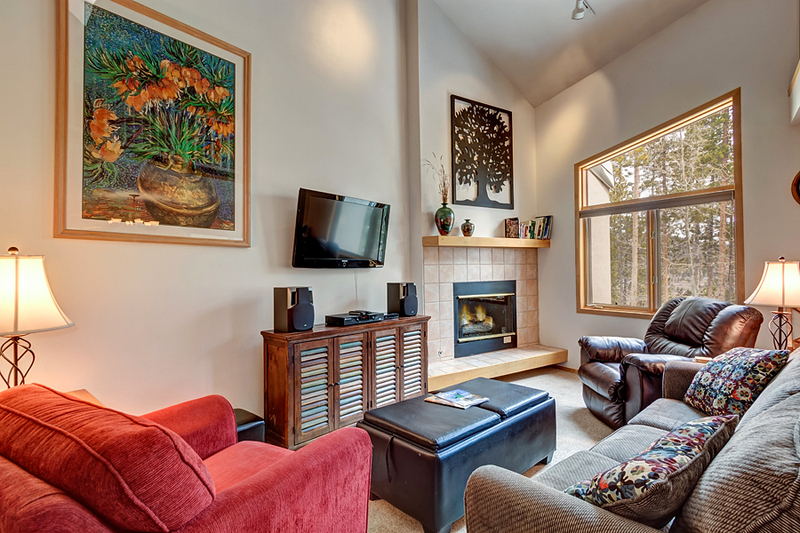 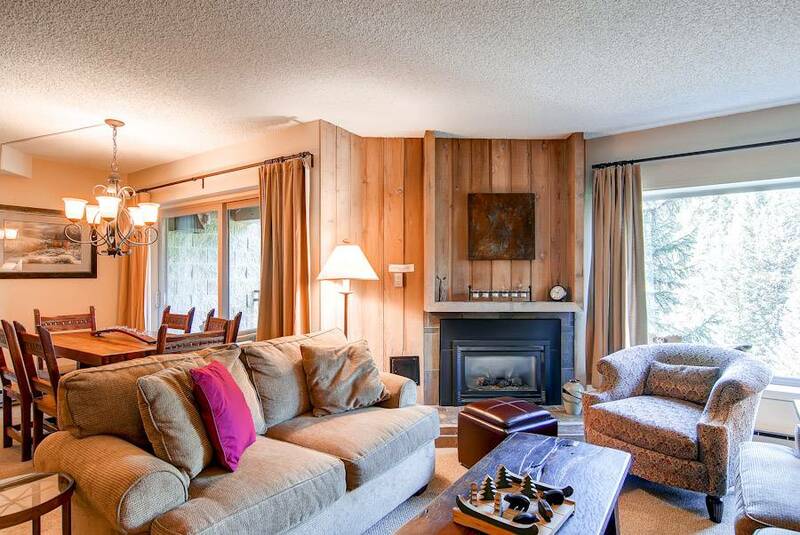 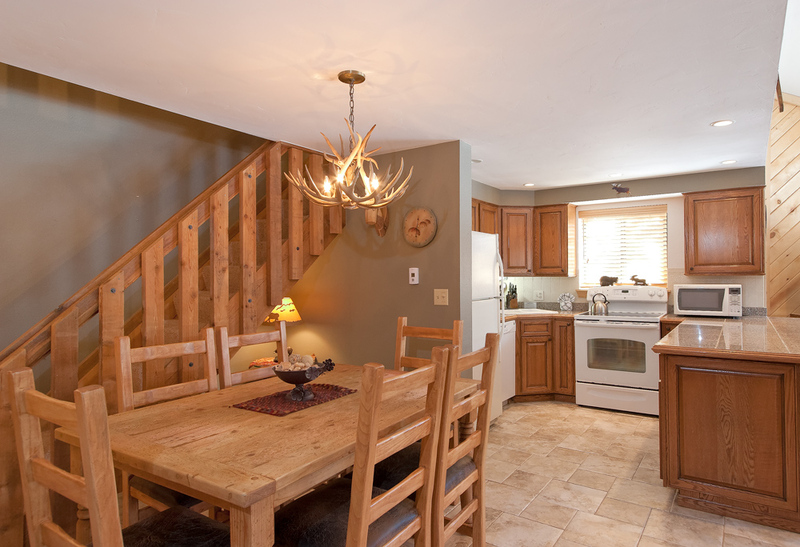 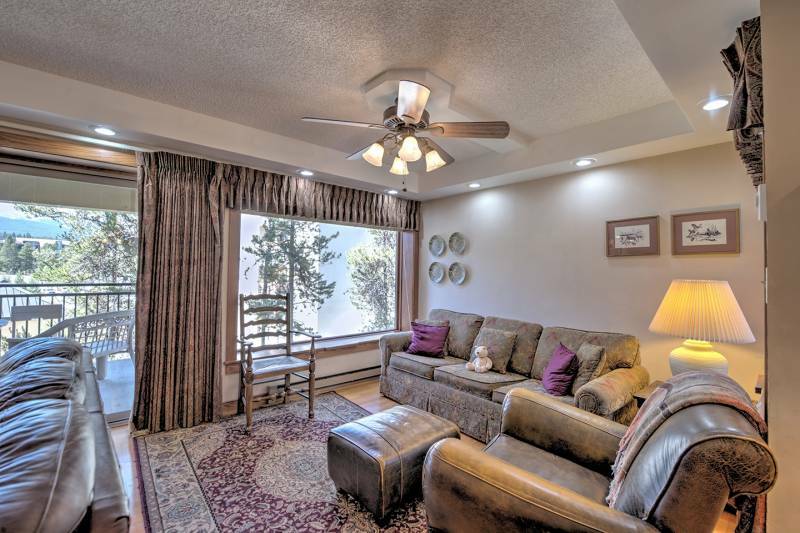 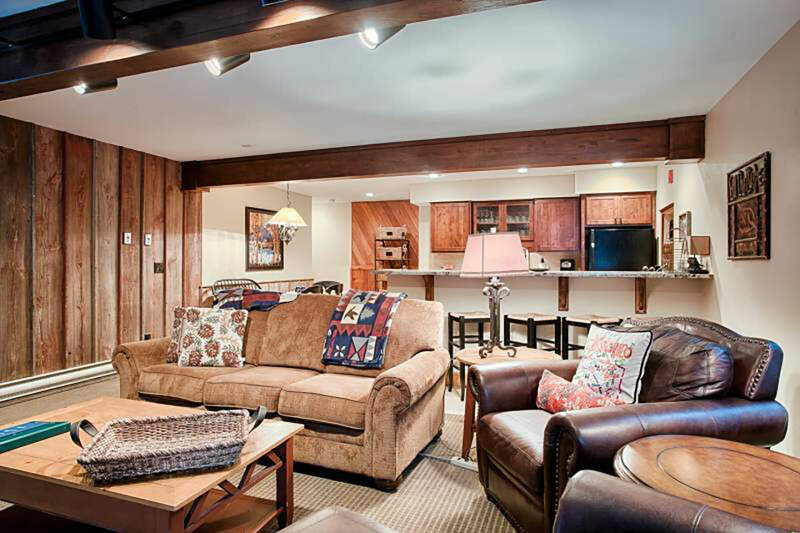 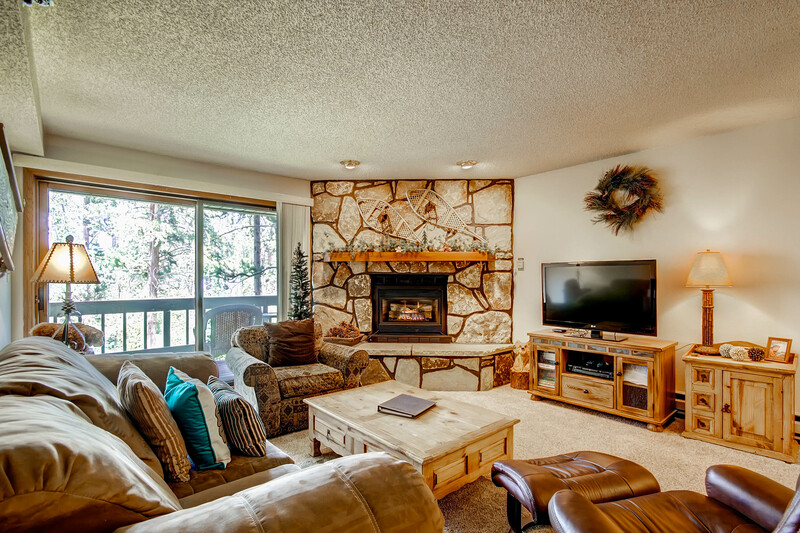 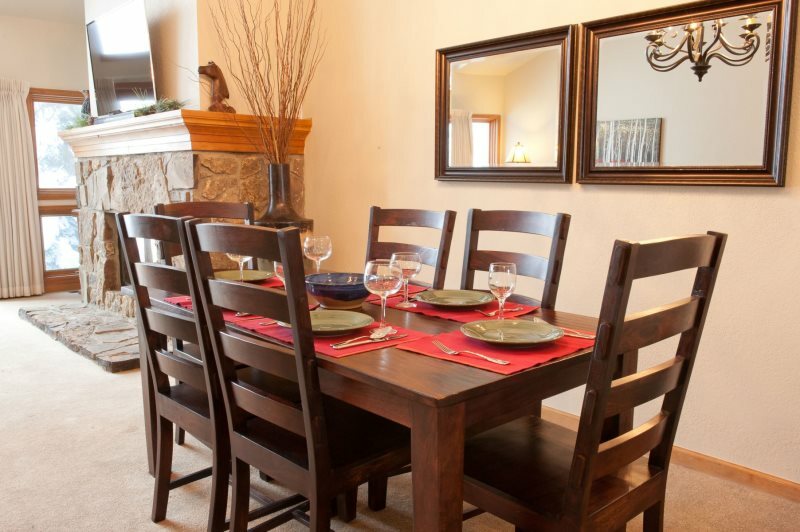 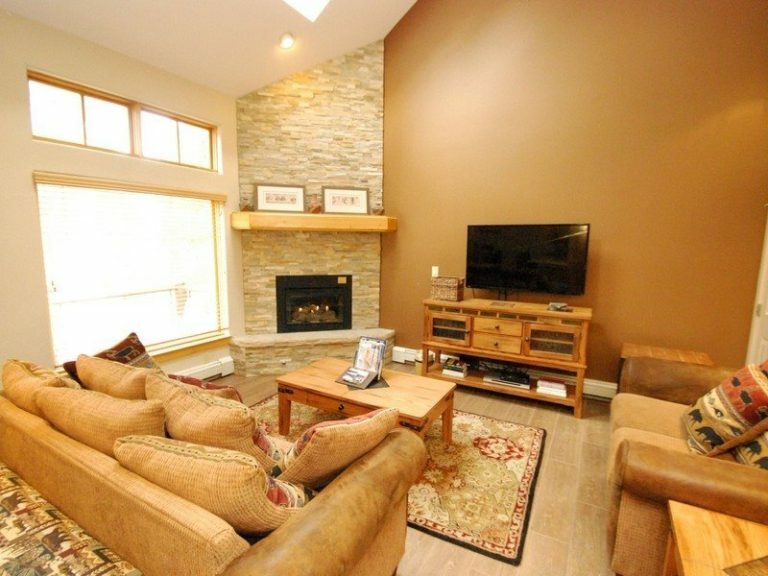 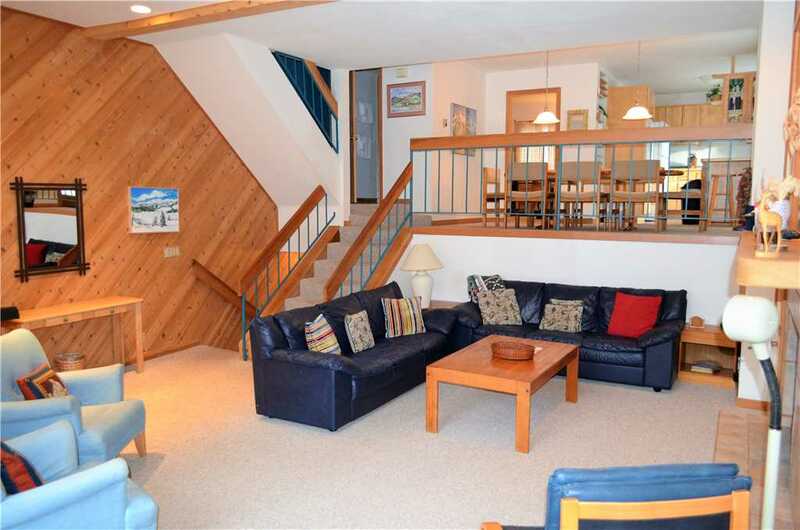 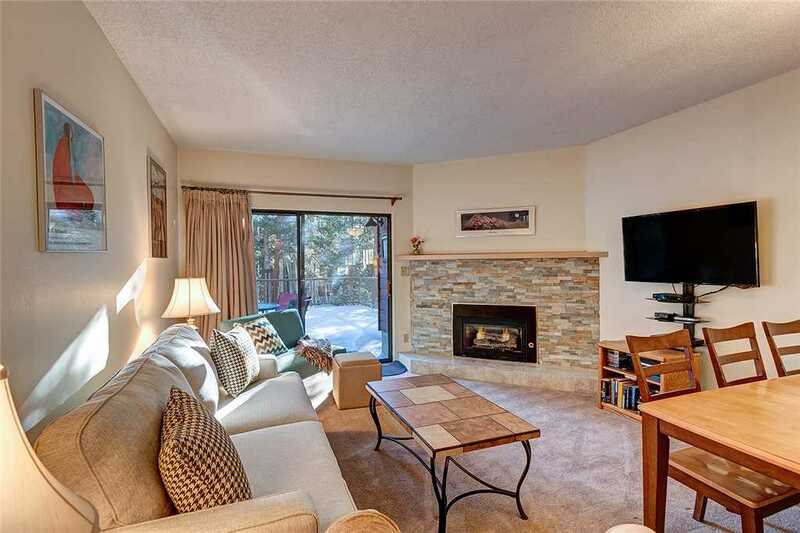 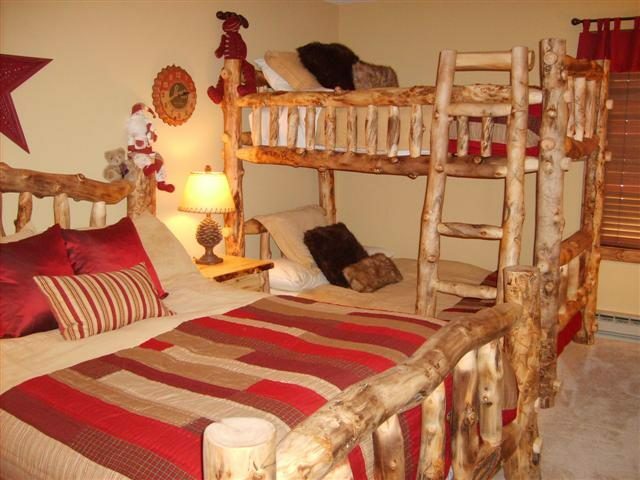 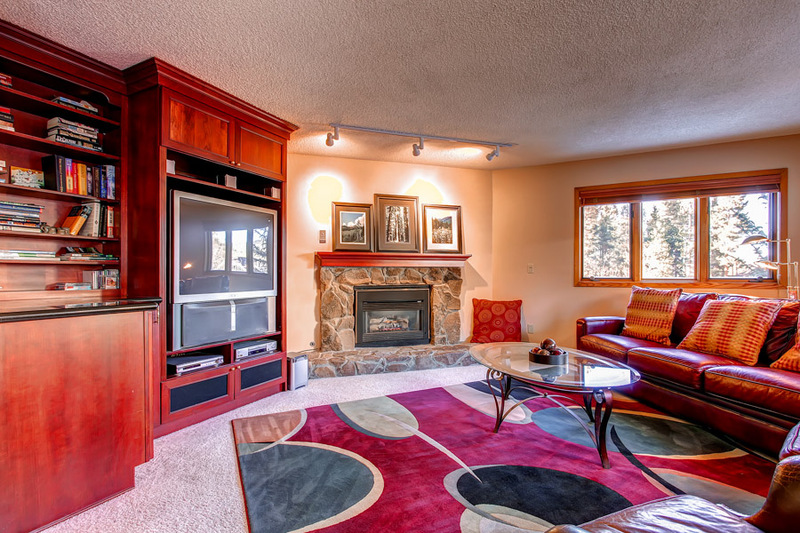 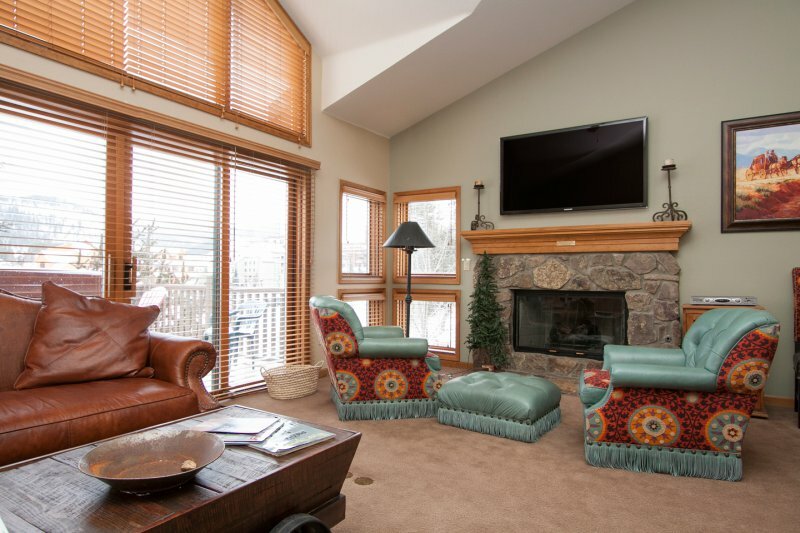 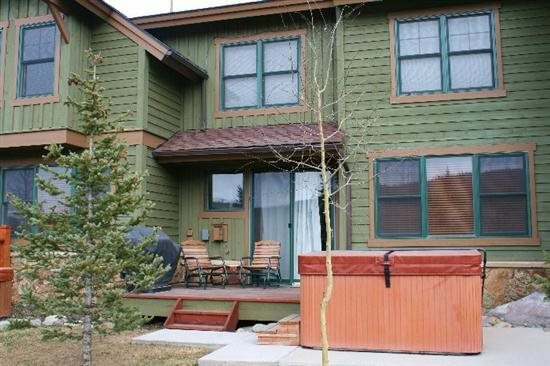 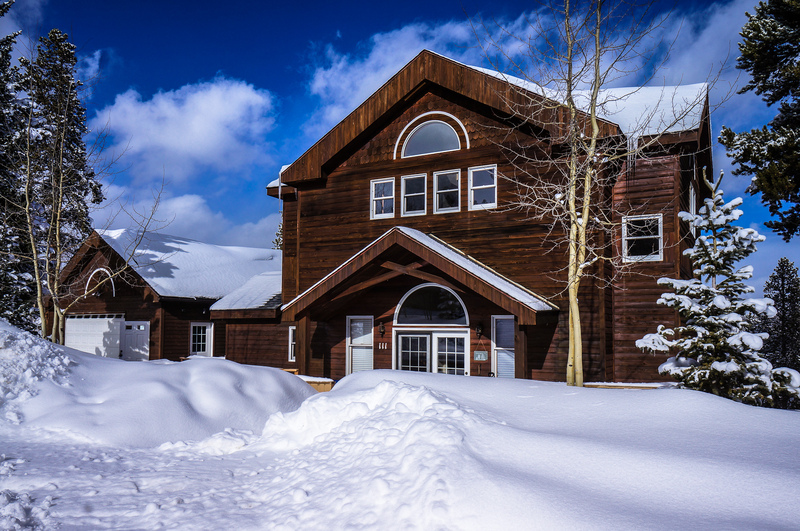 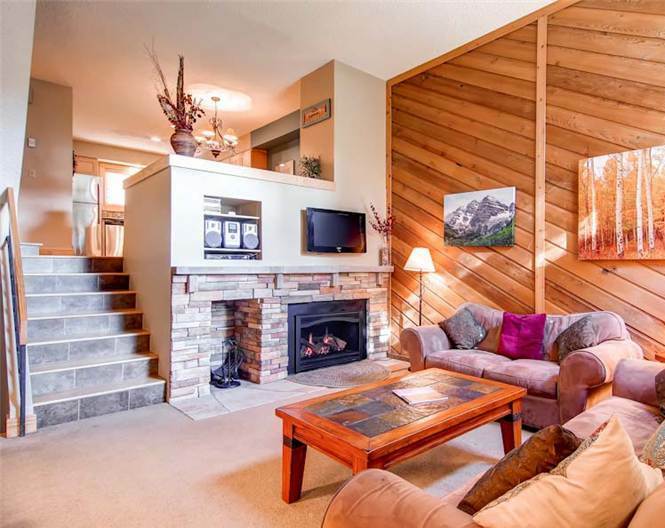 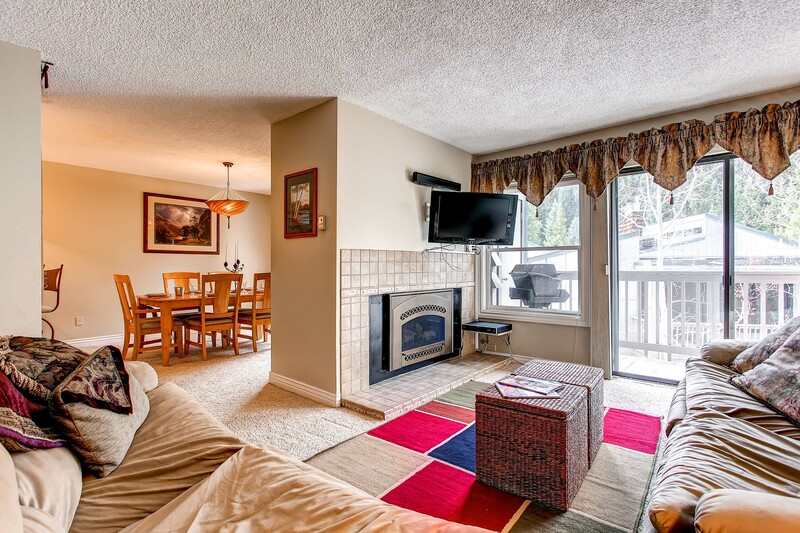 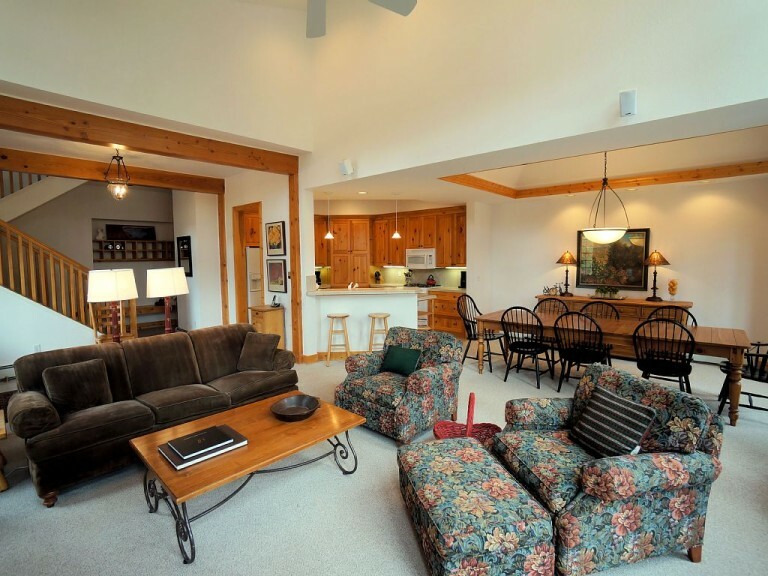 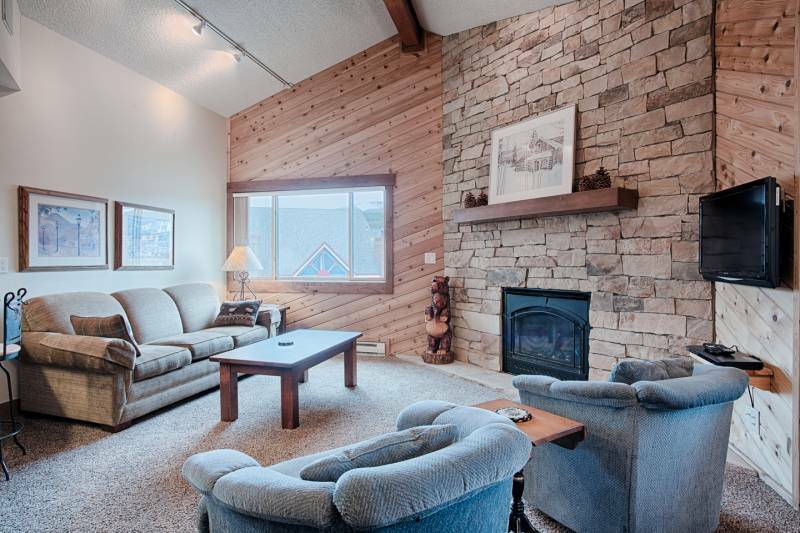 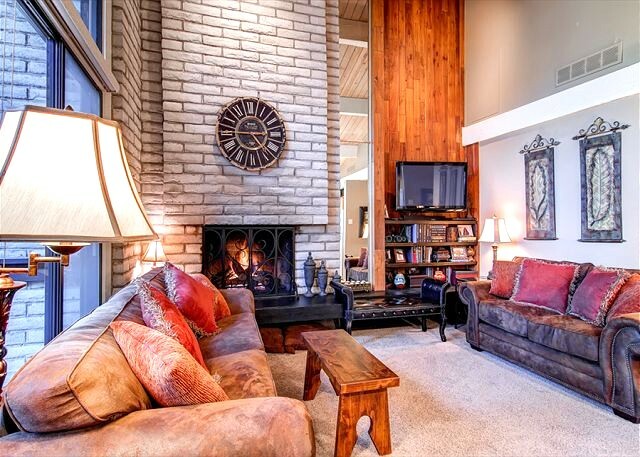 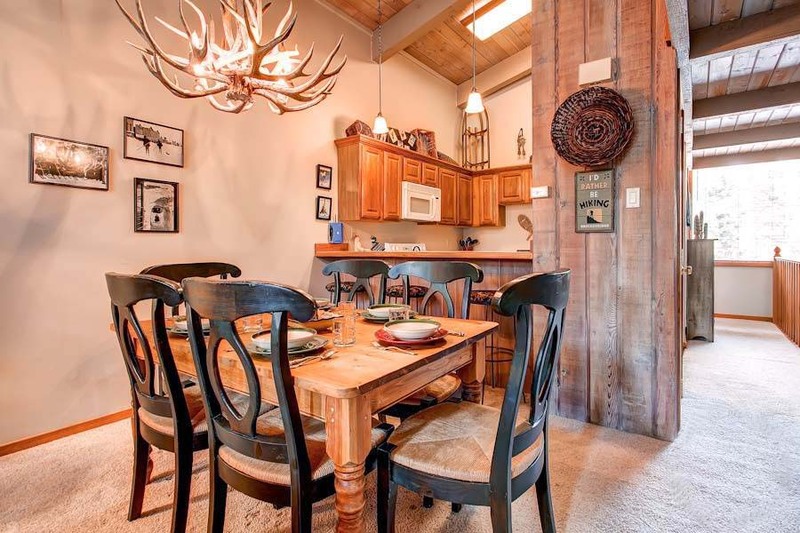 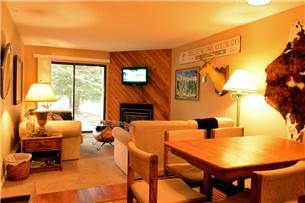 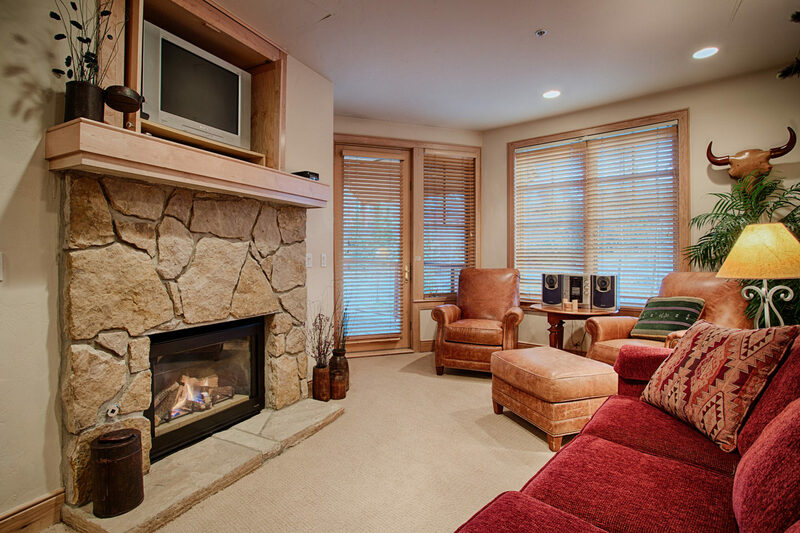 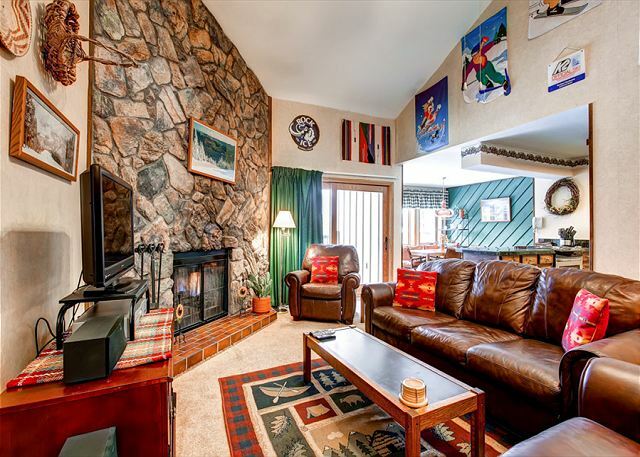 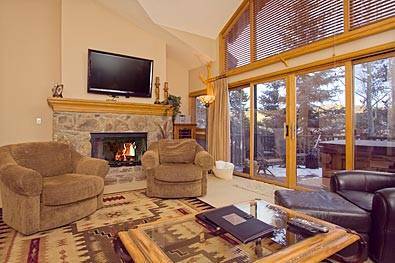 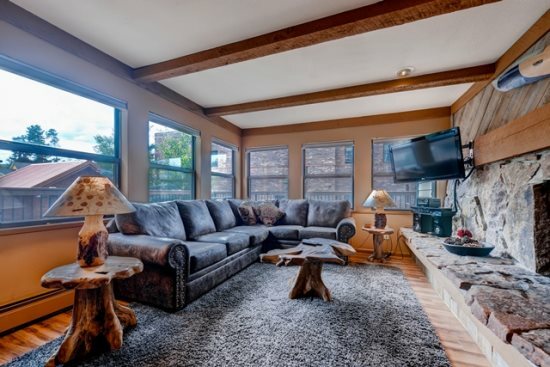 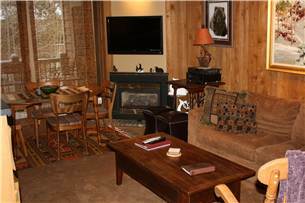 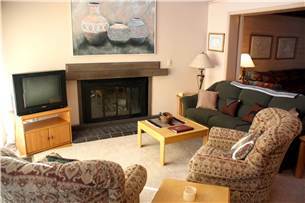 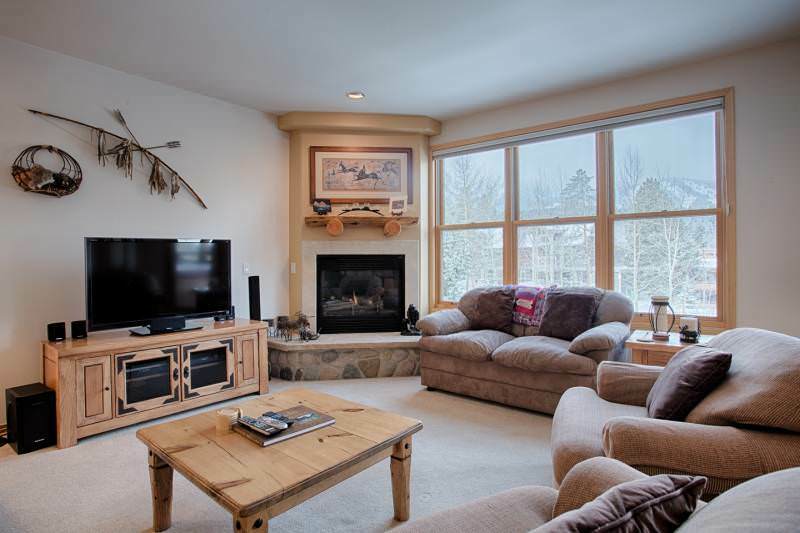 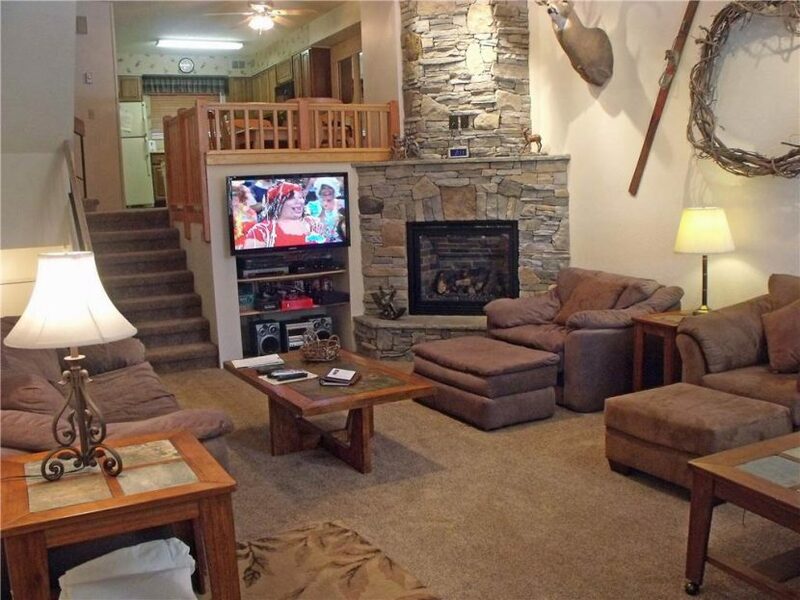 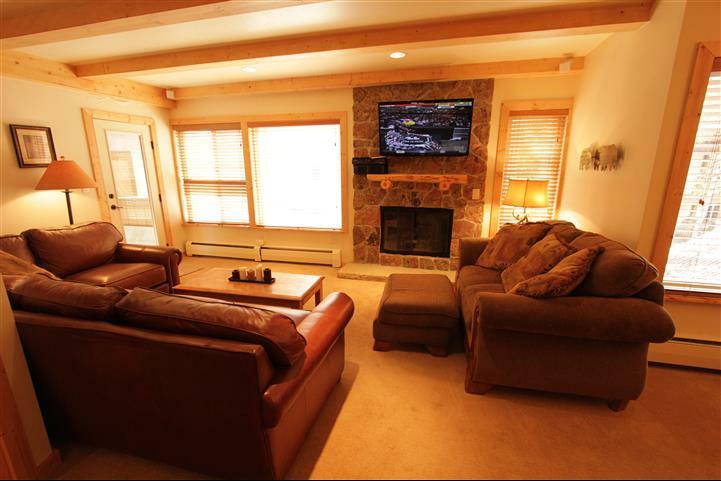 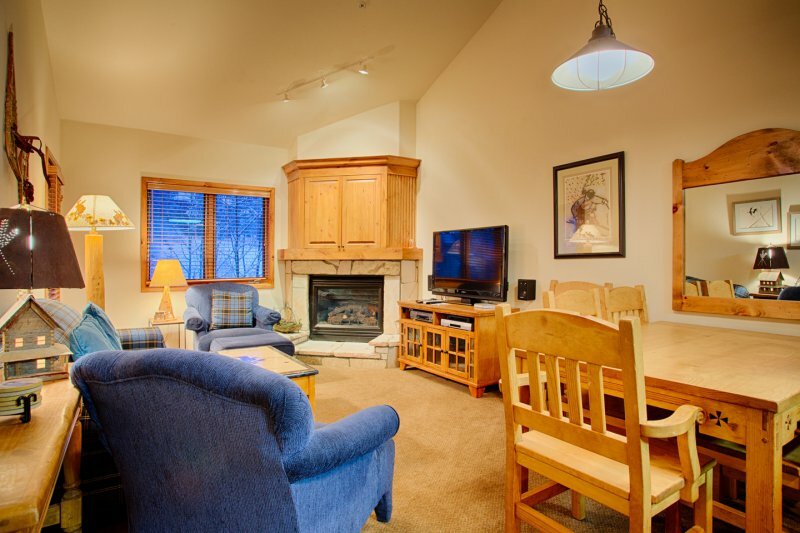 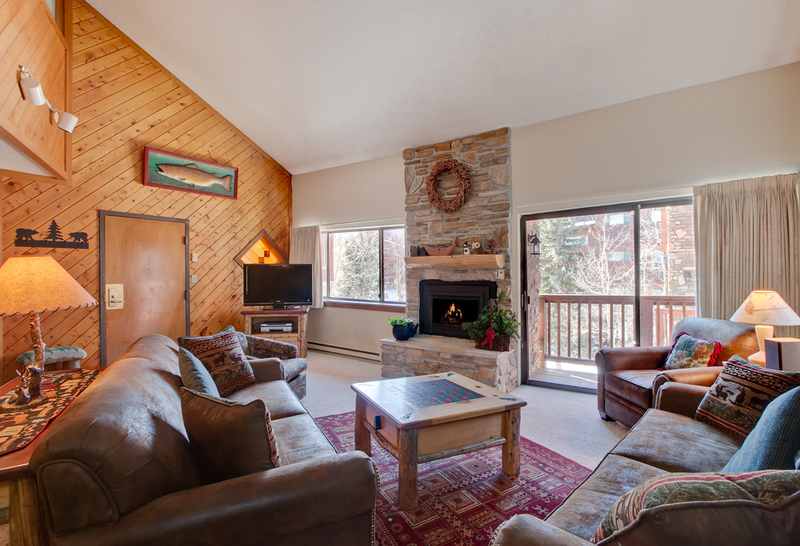 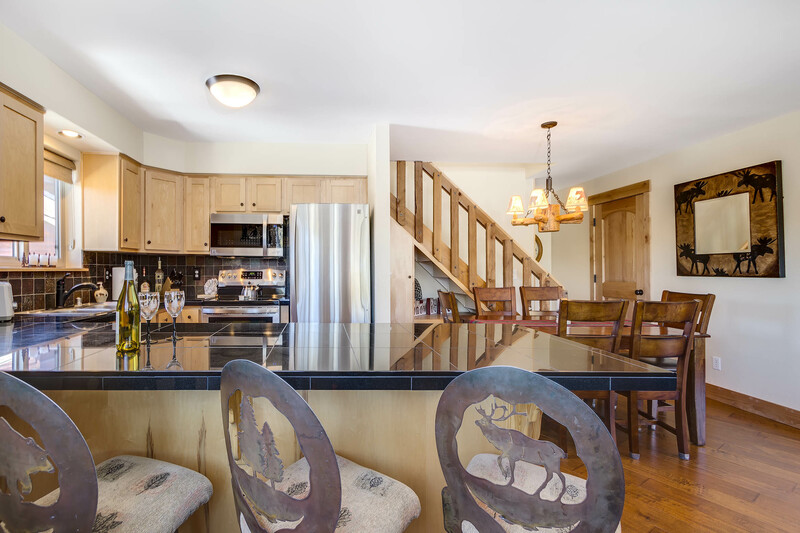 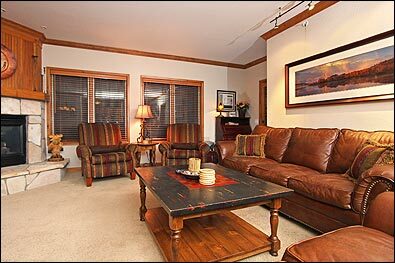 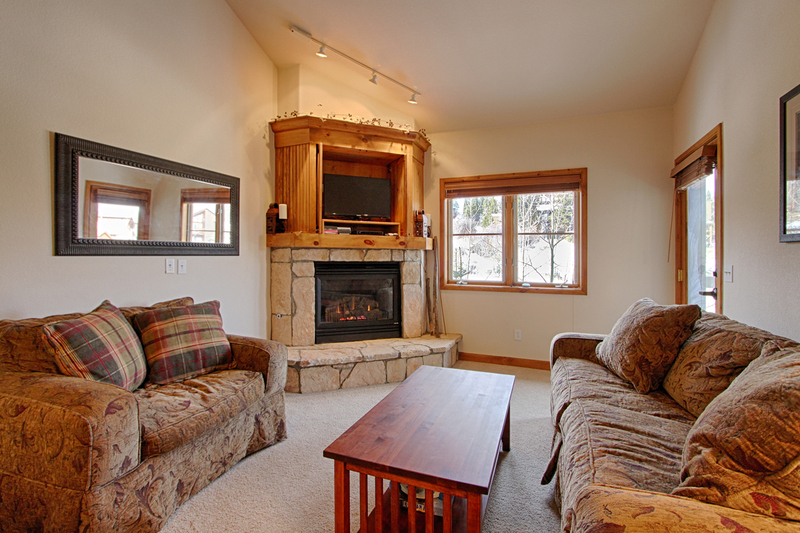 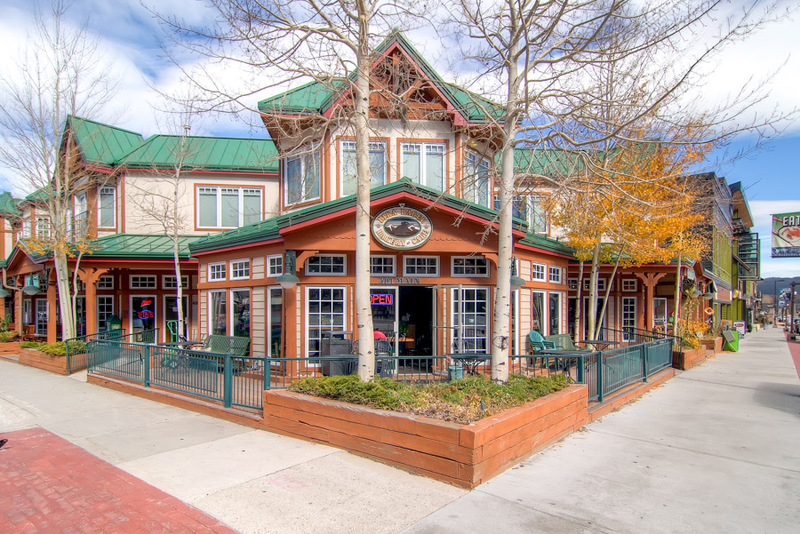 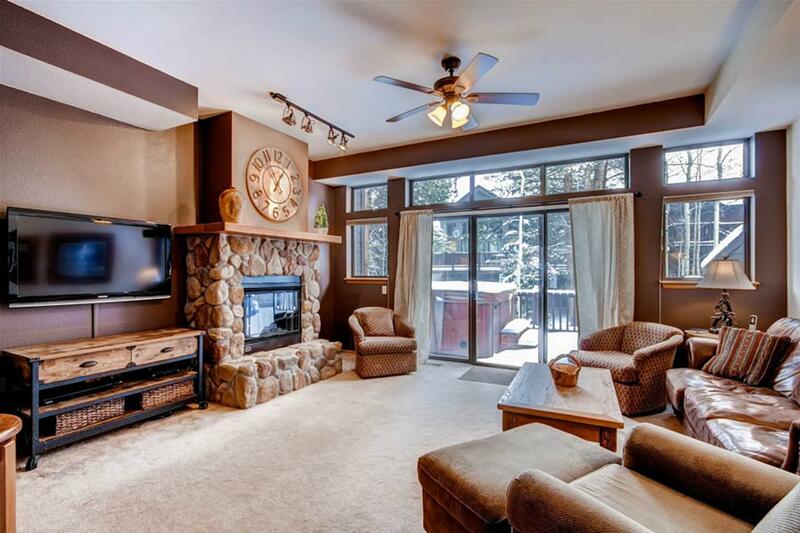 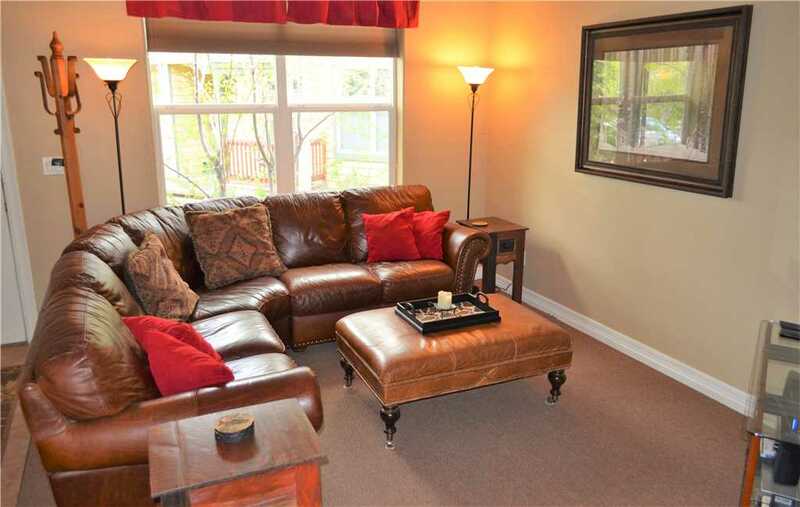 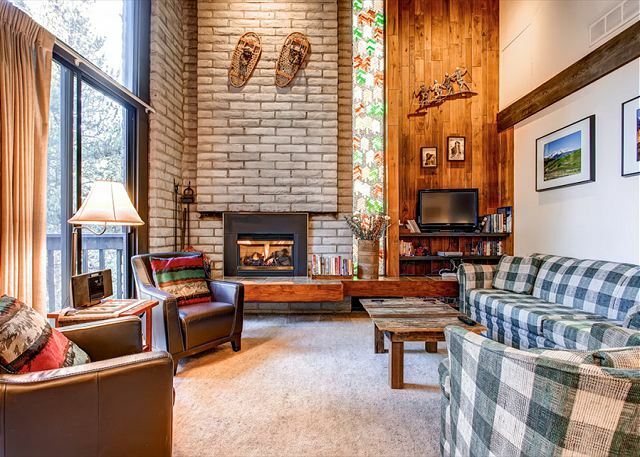 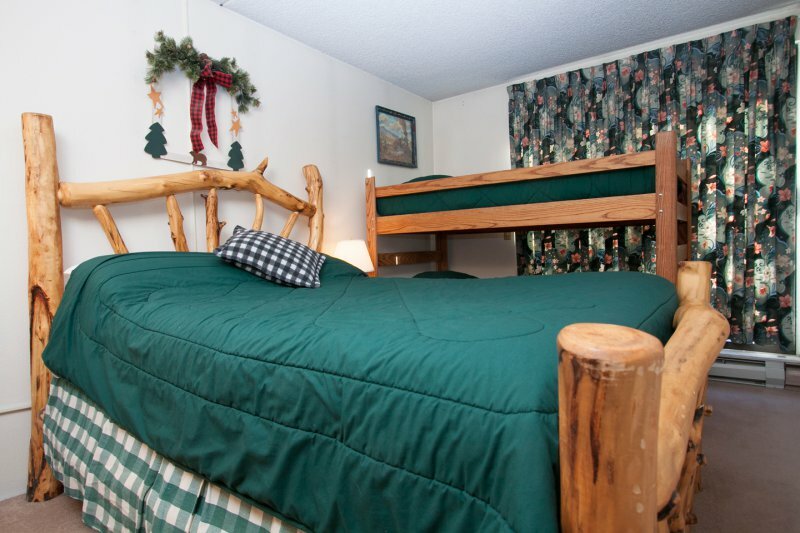 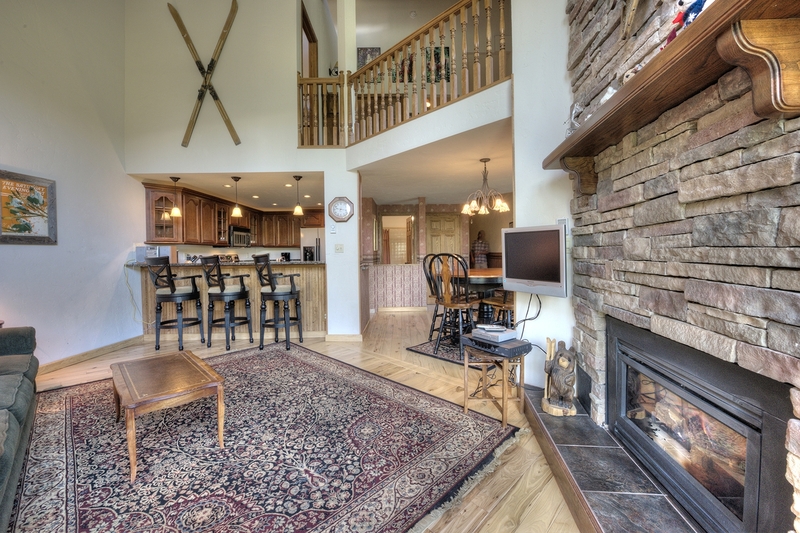 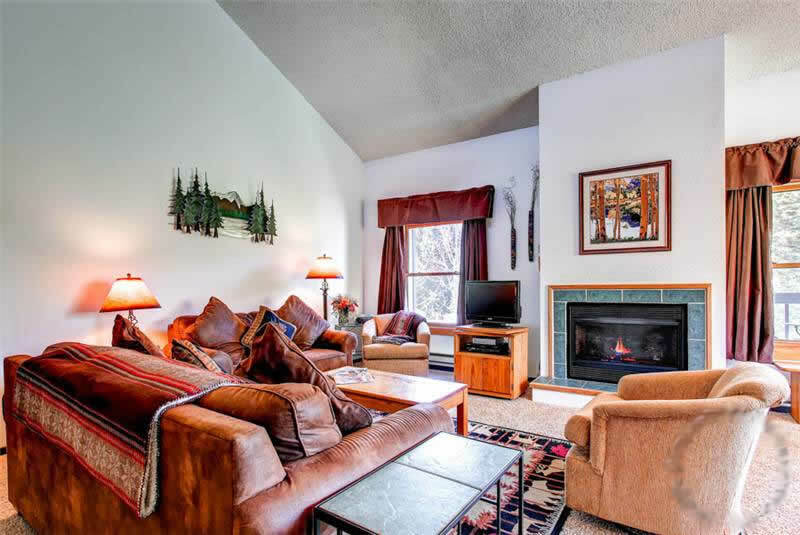 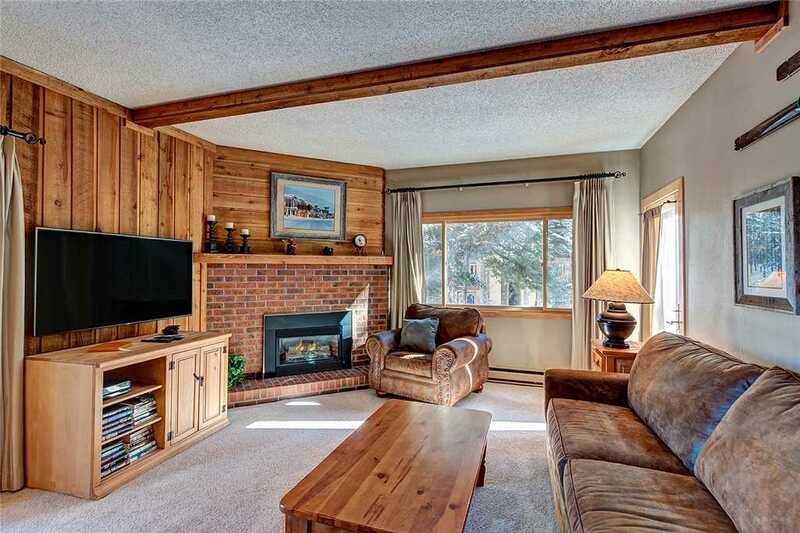 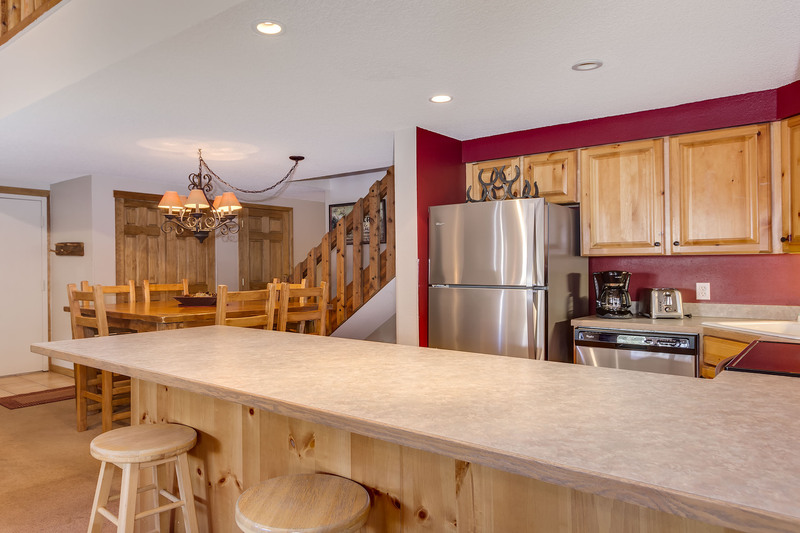 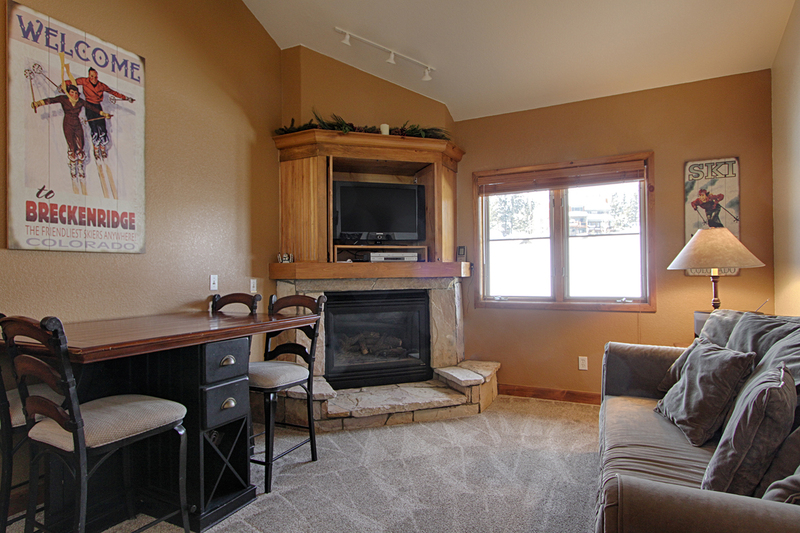 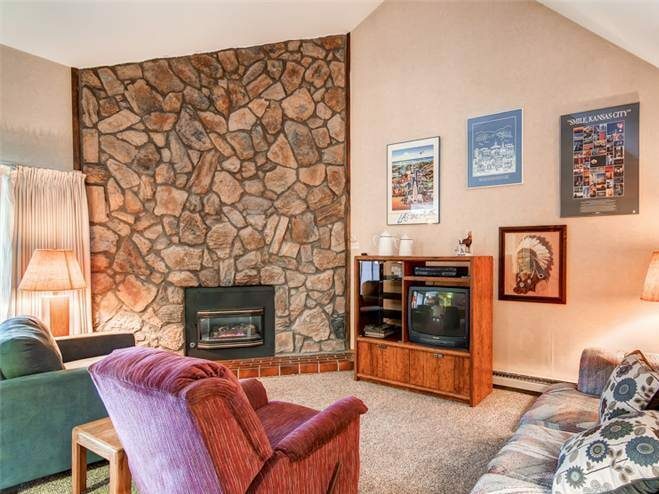 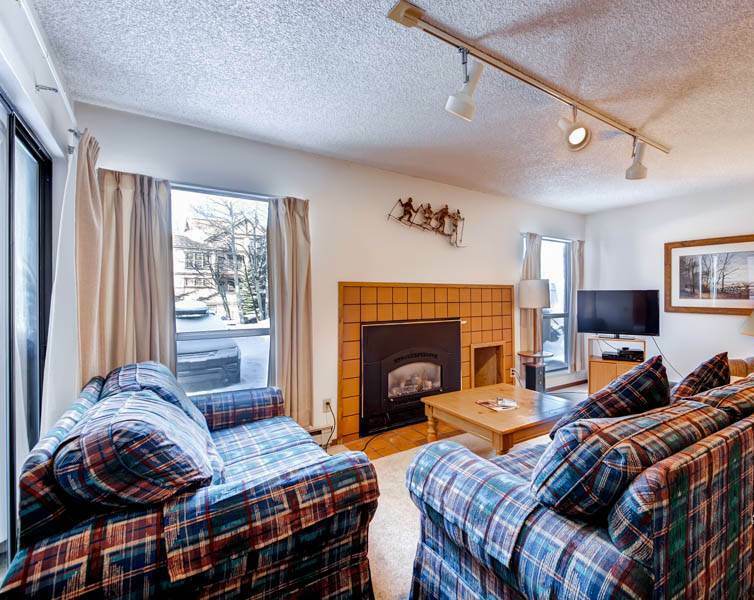 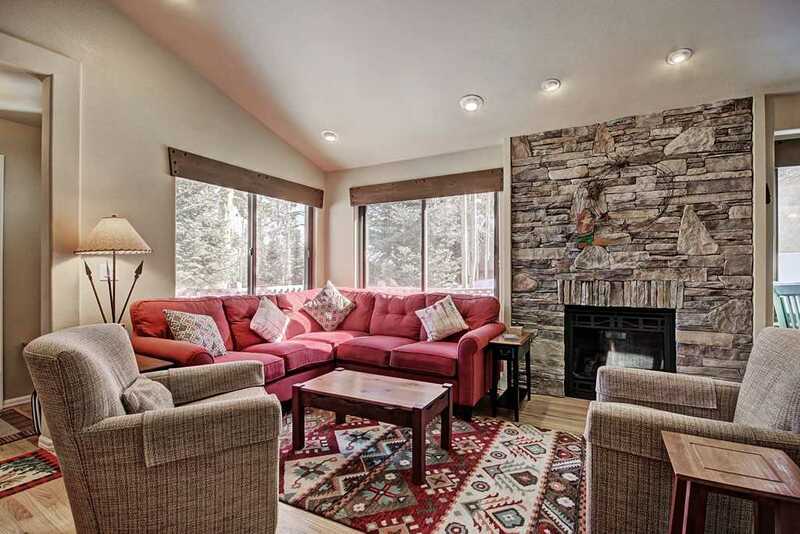 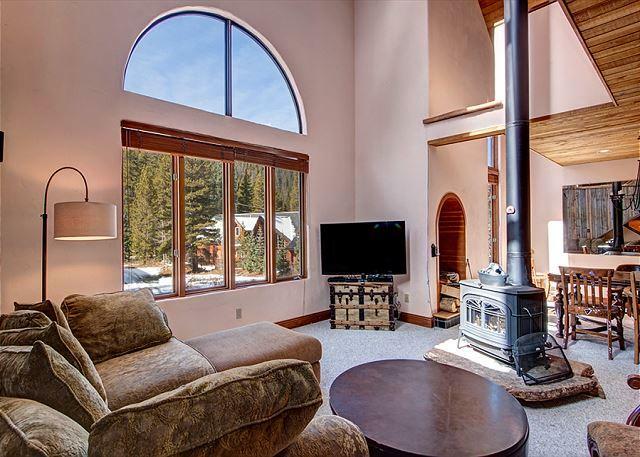 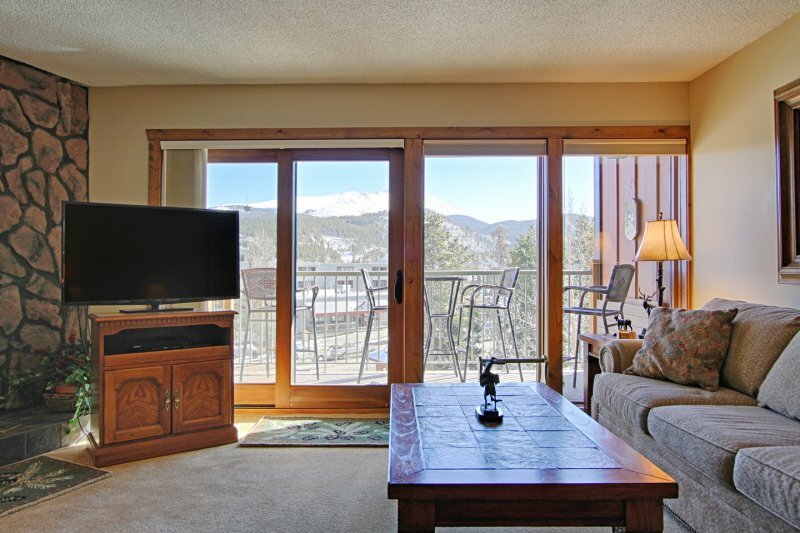 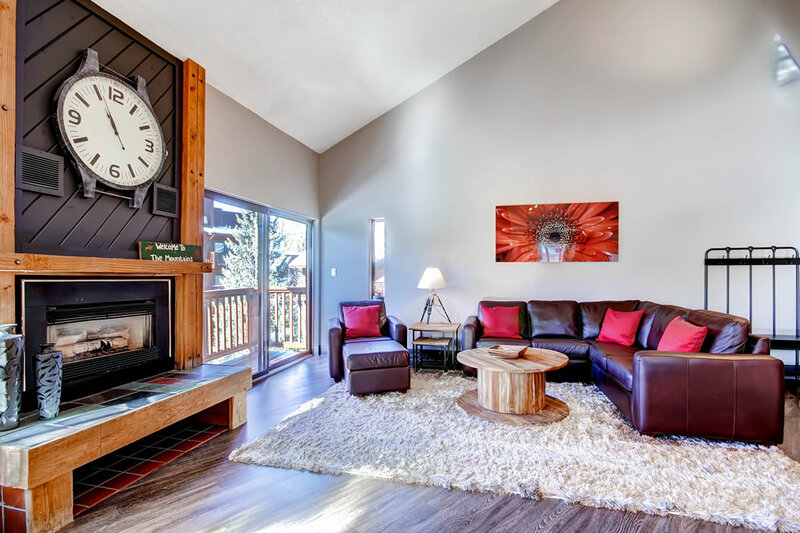 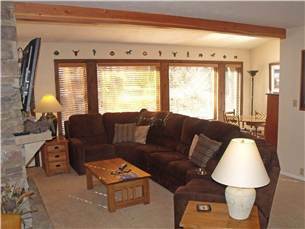 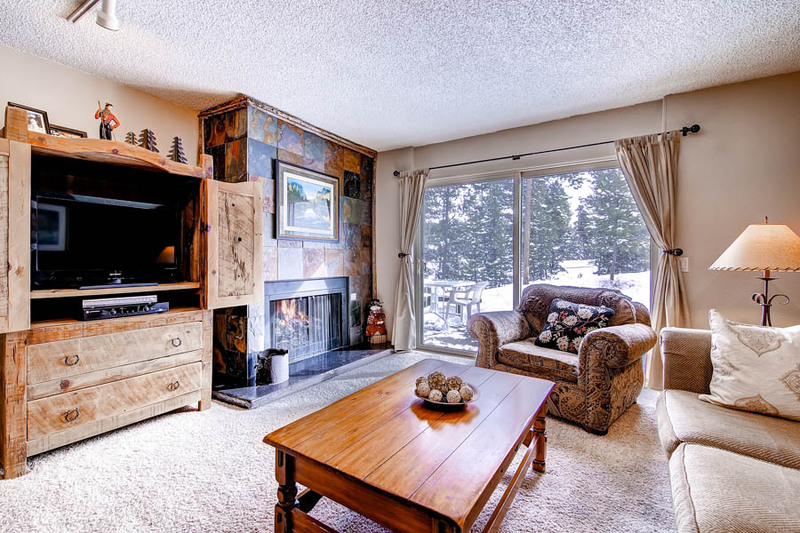 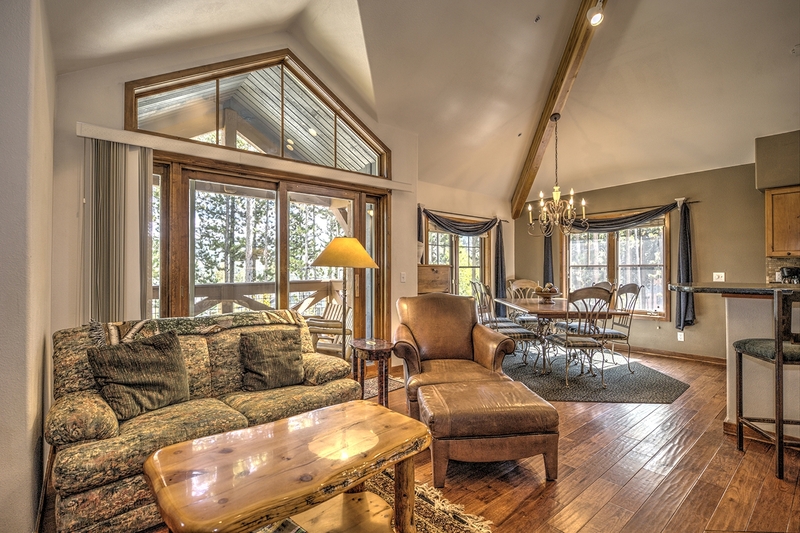 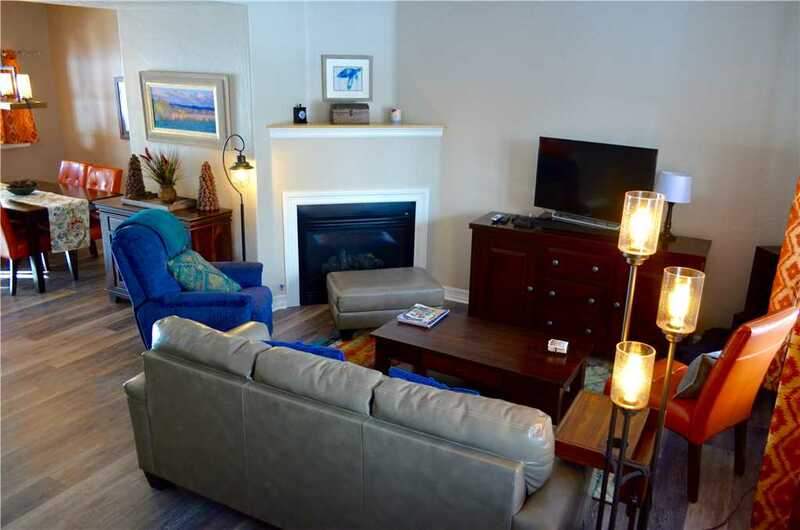 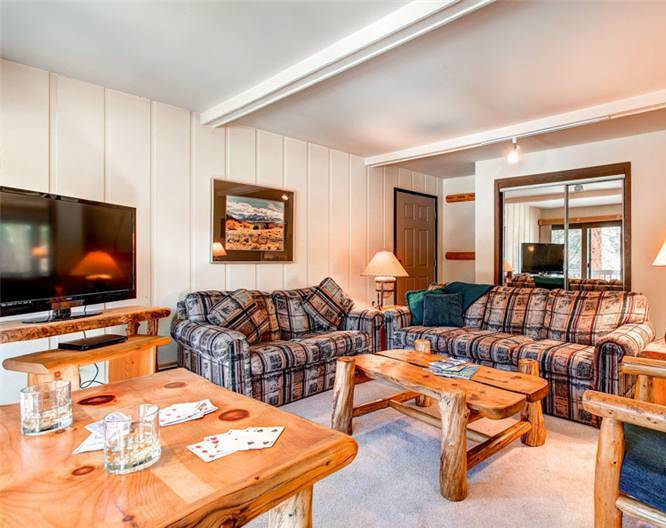 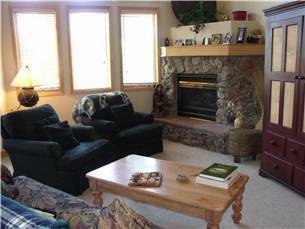 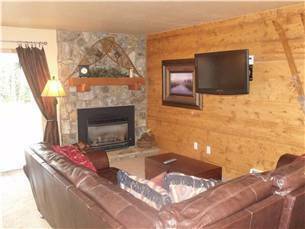 This unit also offers a private entrance to the large, comfortable chalet style lobby.